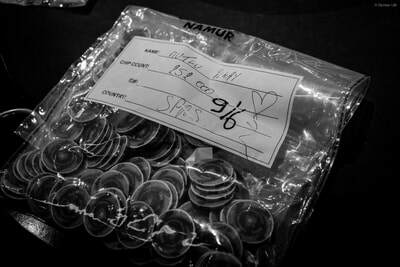 SAVE MONEY & GET MORE VALUE: BOOK YOUR EPS PACKAGE NOW! 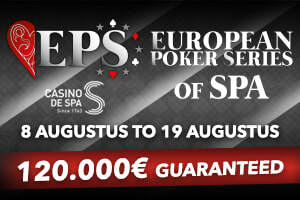 A bunch of hotel & buy-in packages are available for EPS Spa coming in quickly now. 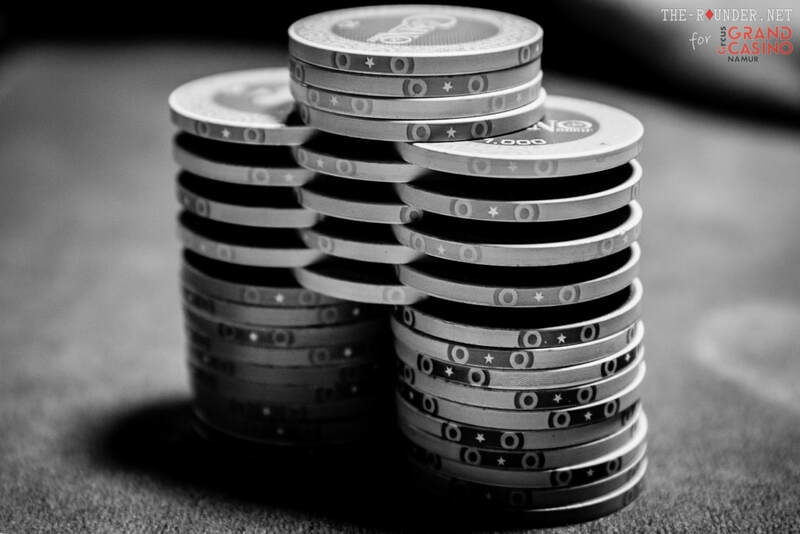 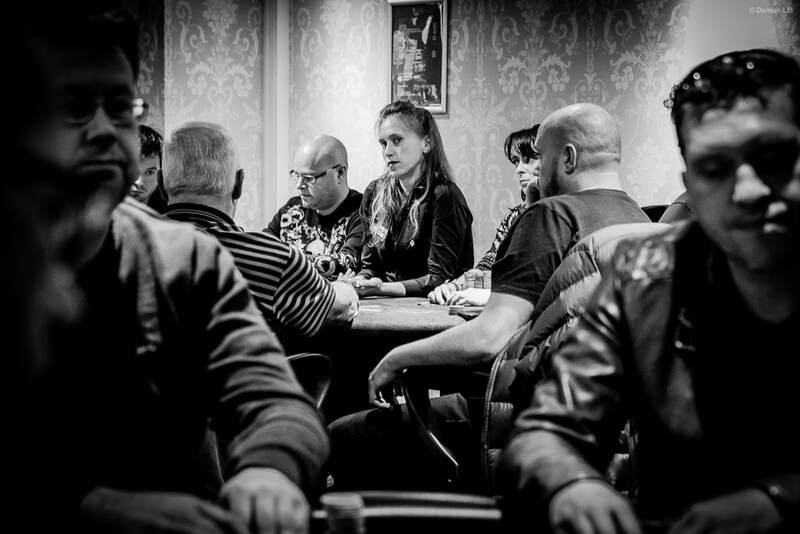 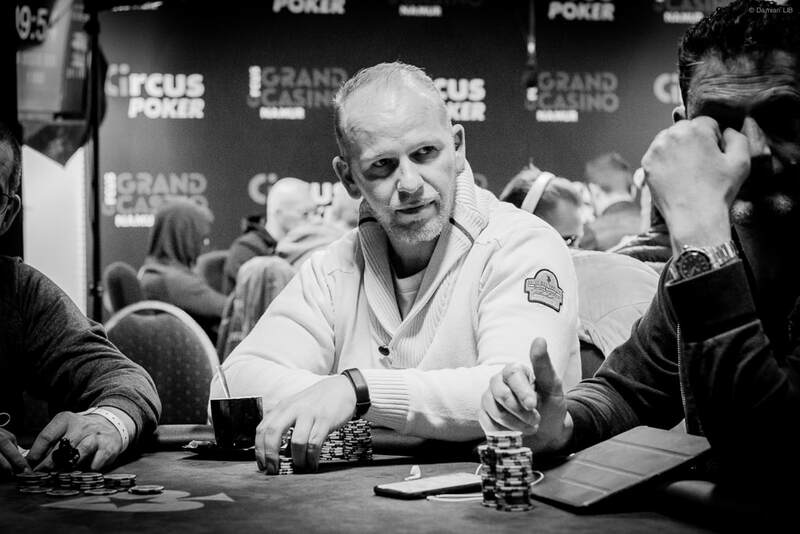 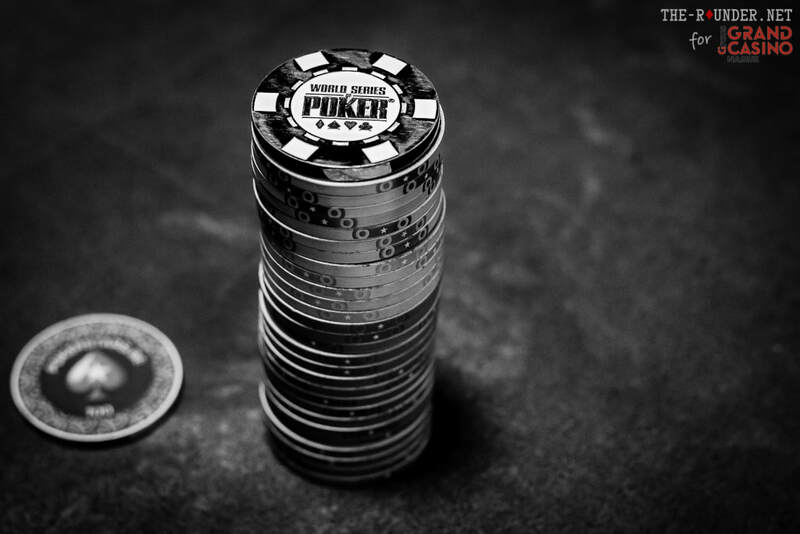 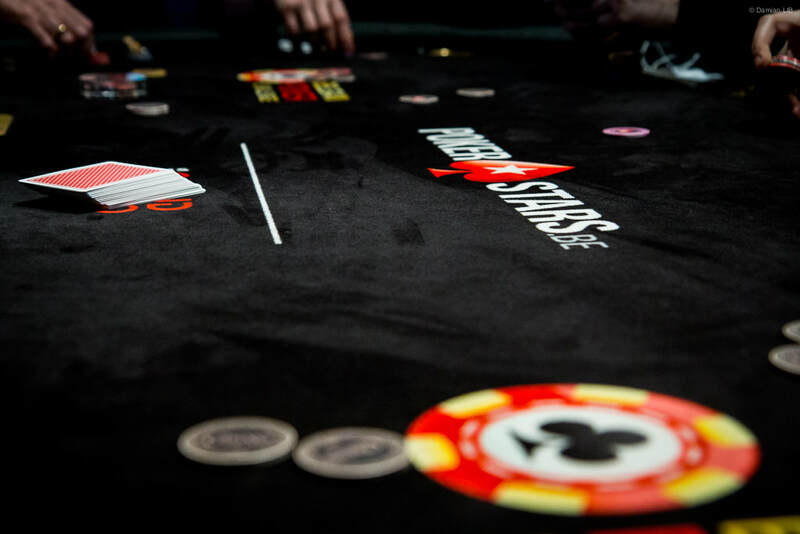 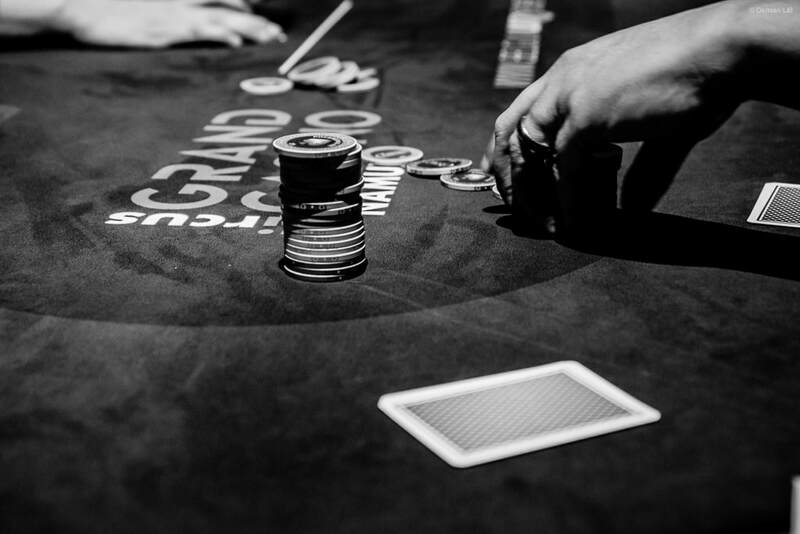 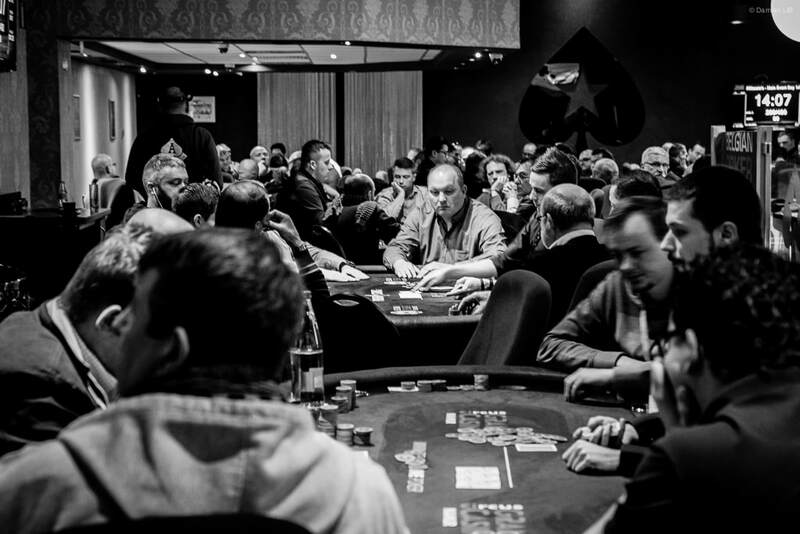 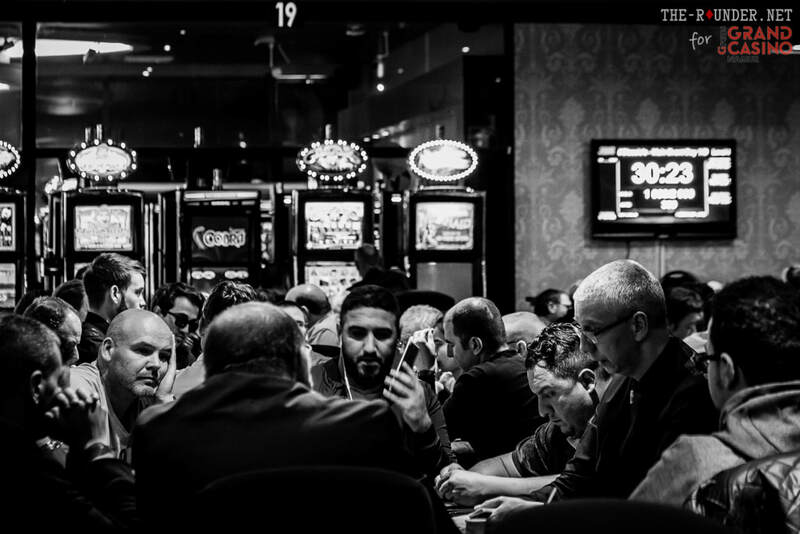 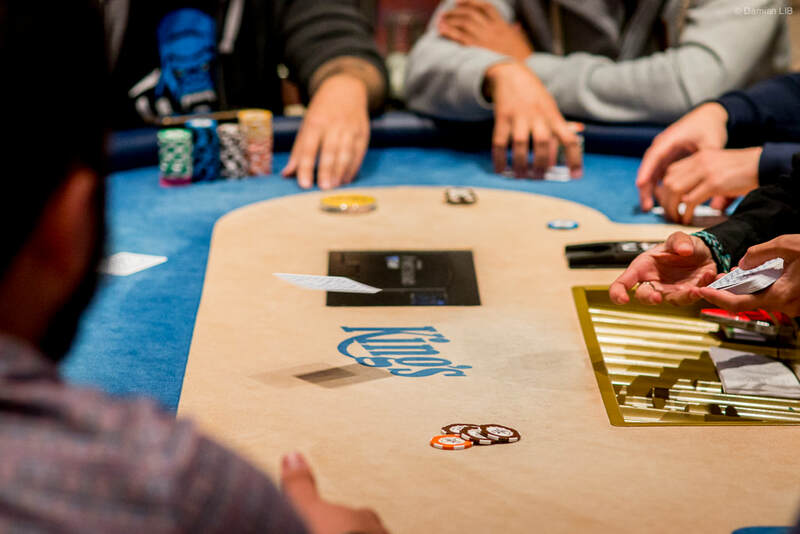 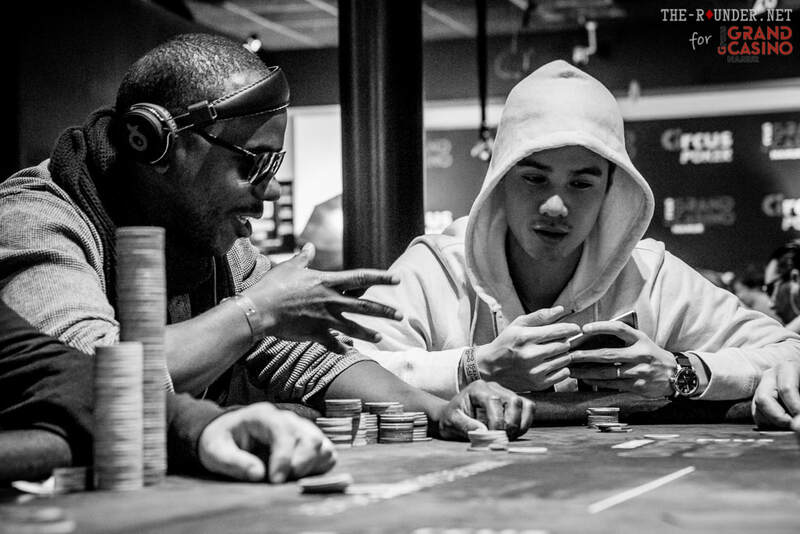 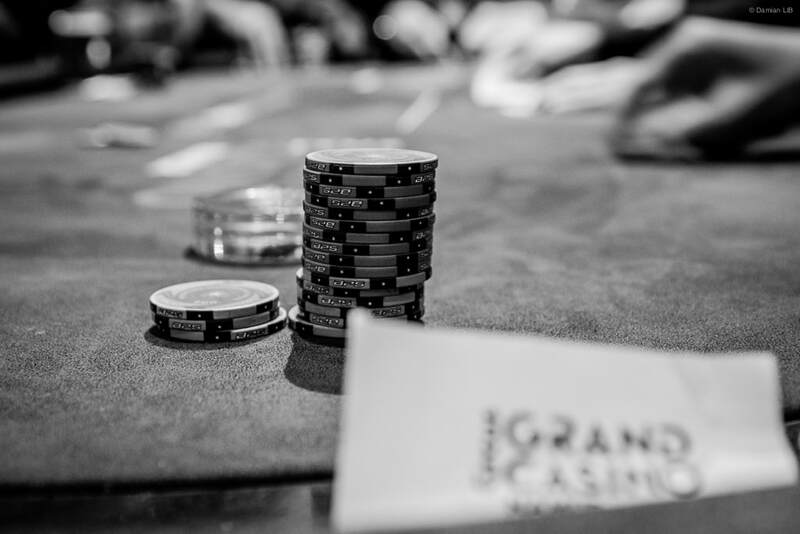 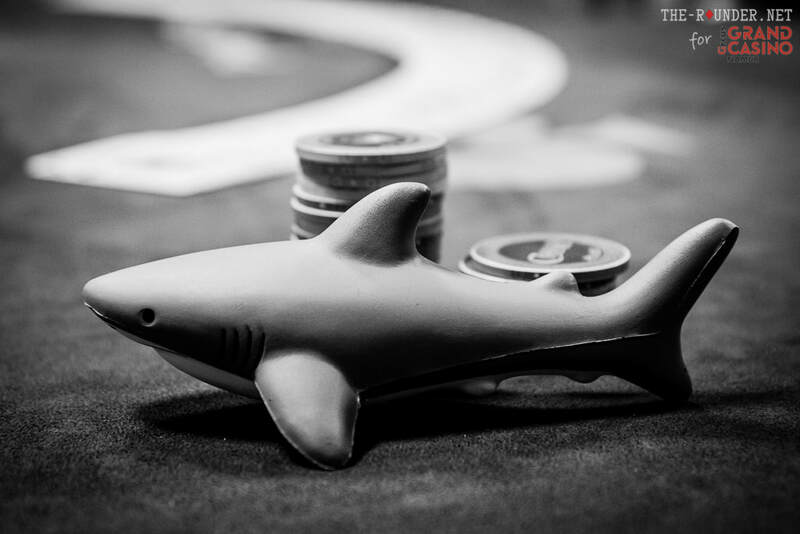 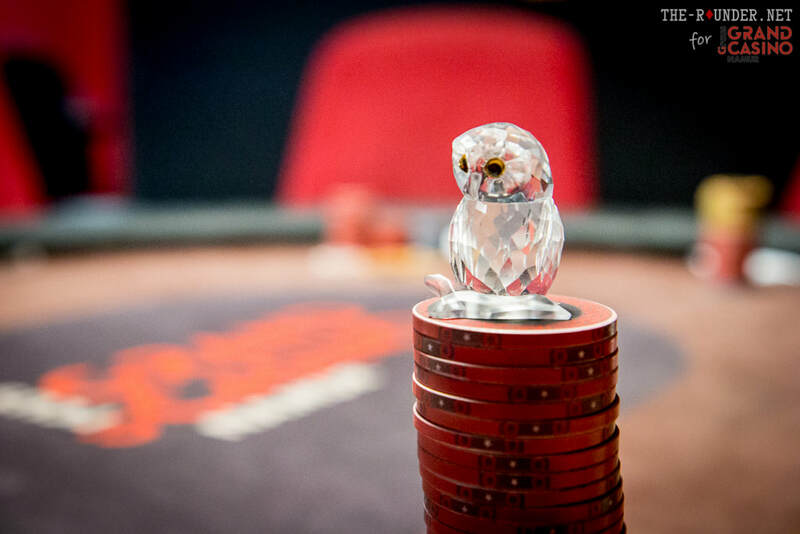 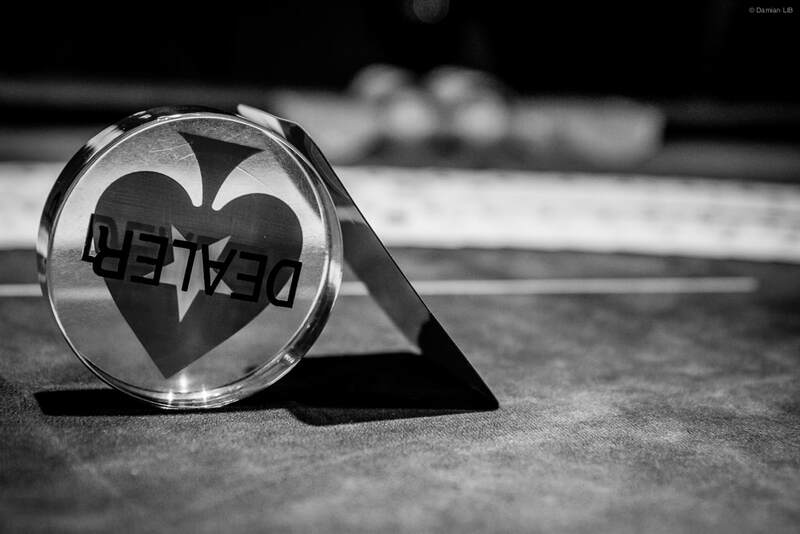 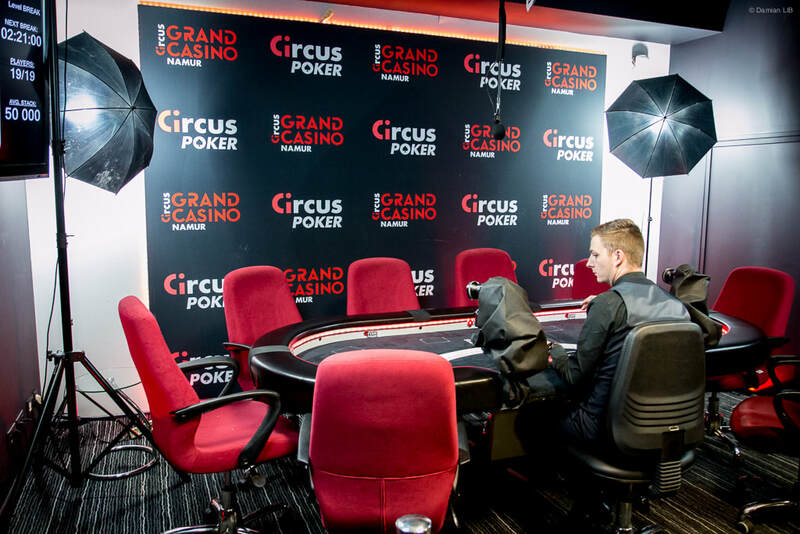 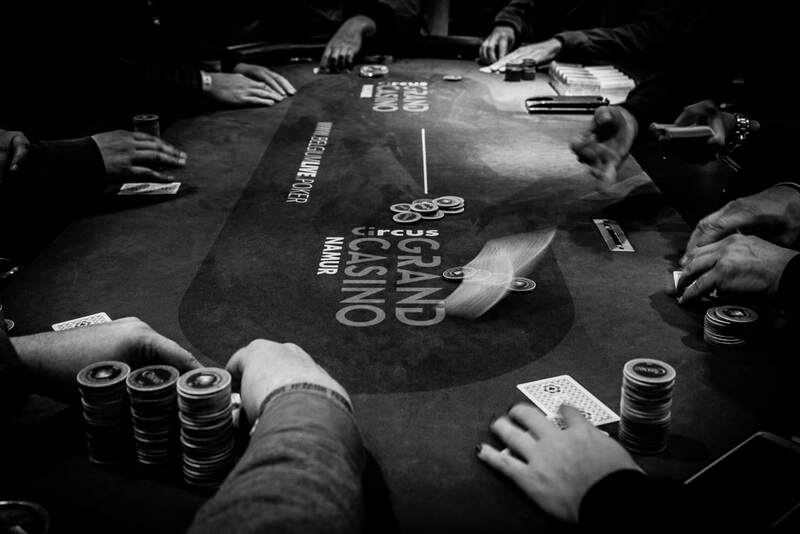 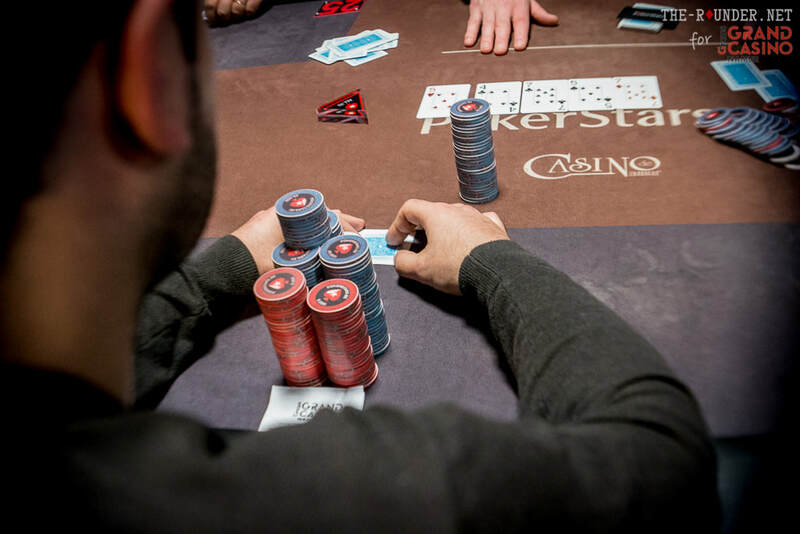 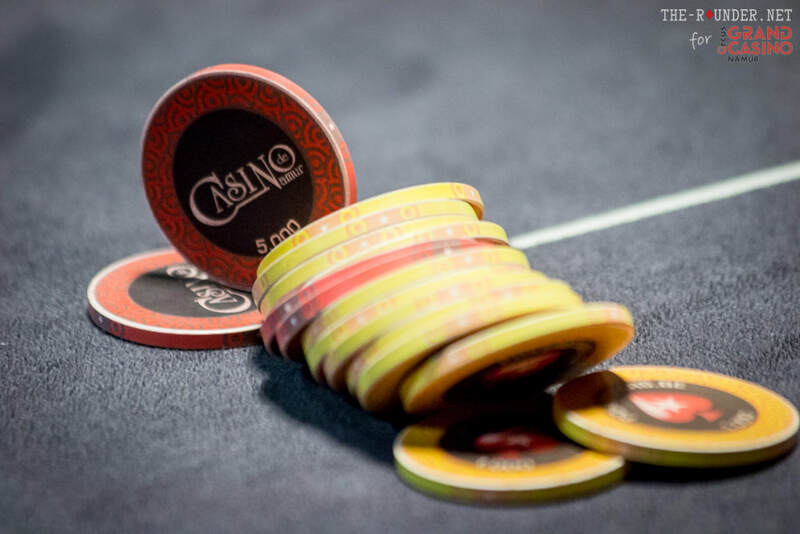 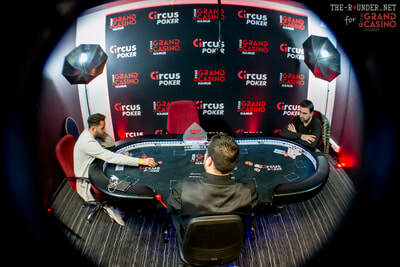 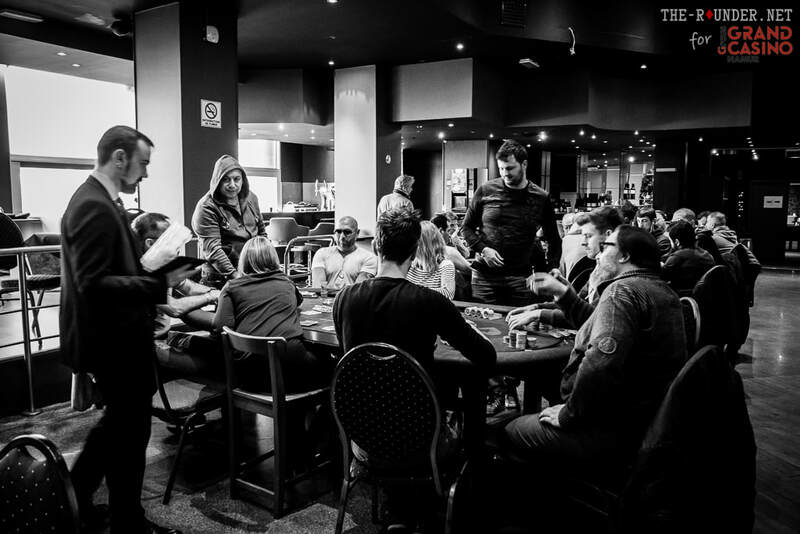 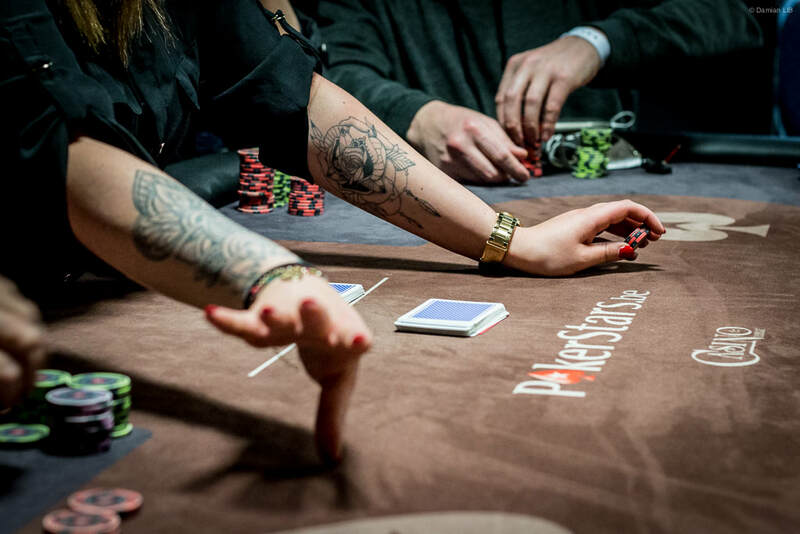 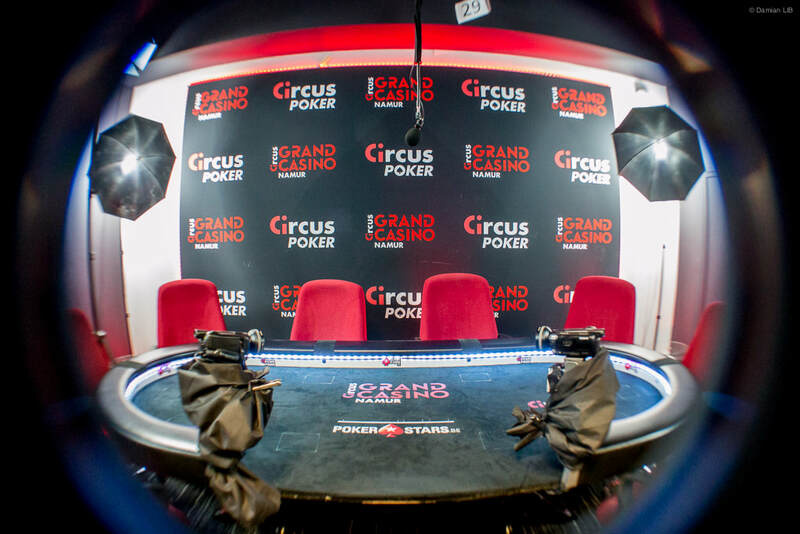 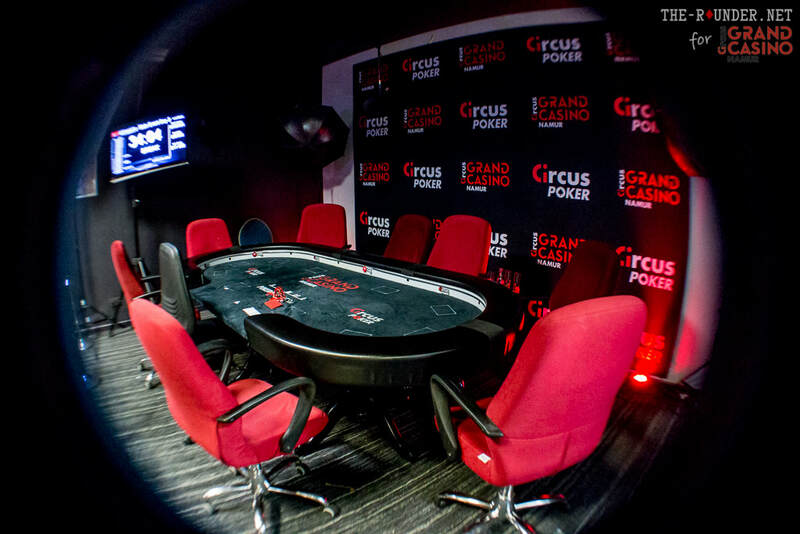 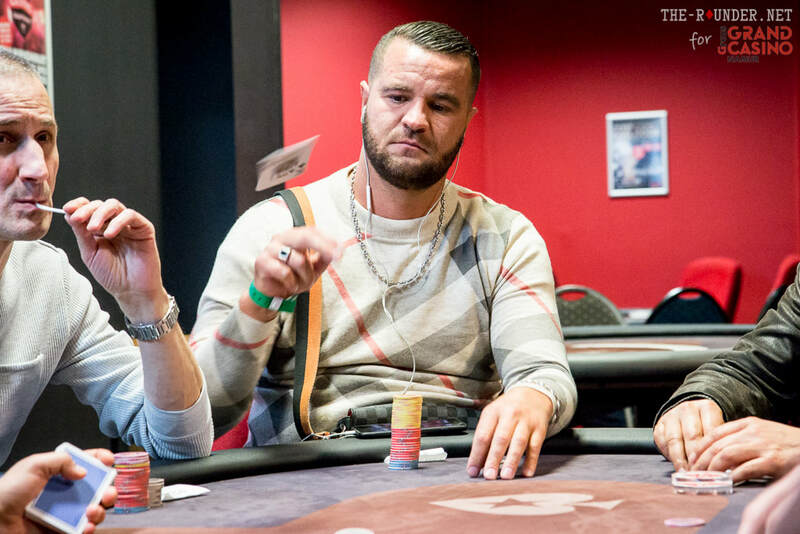 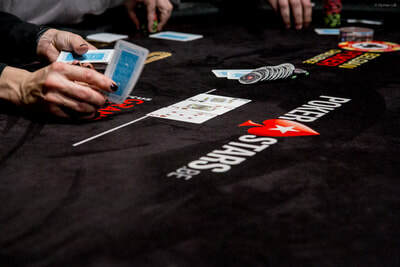 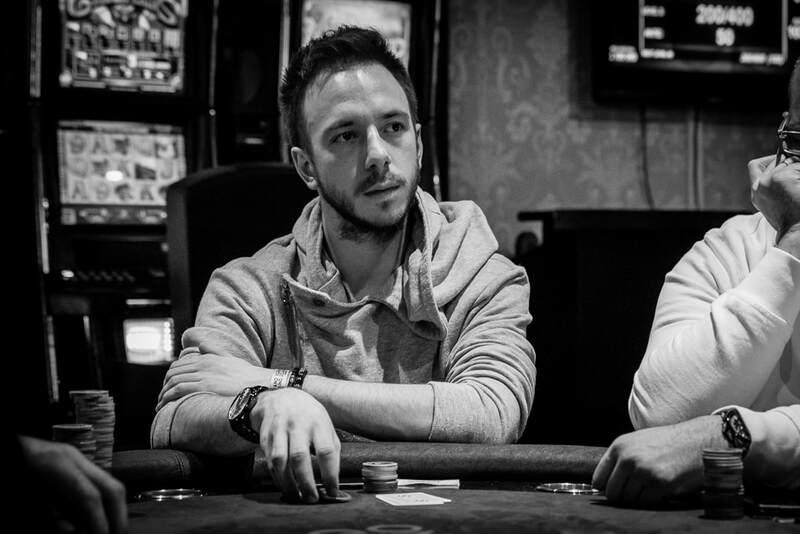 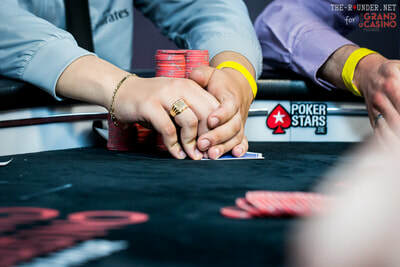 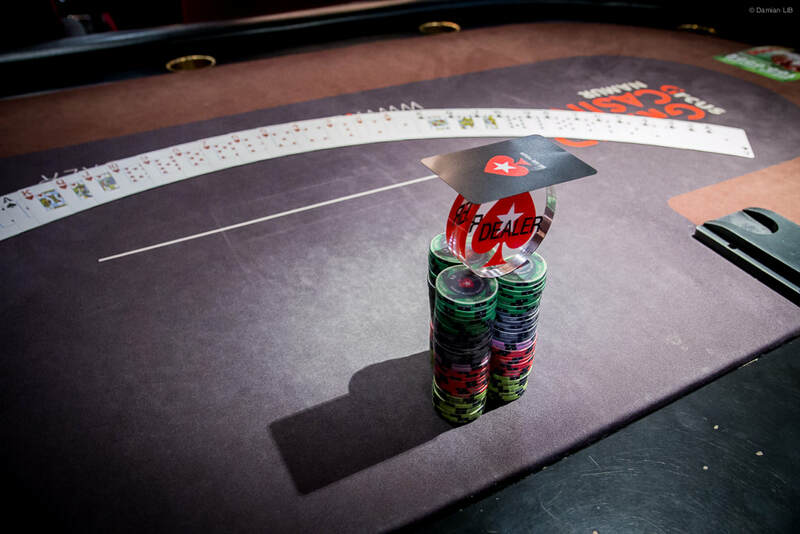 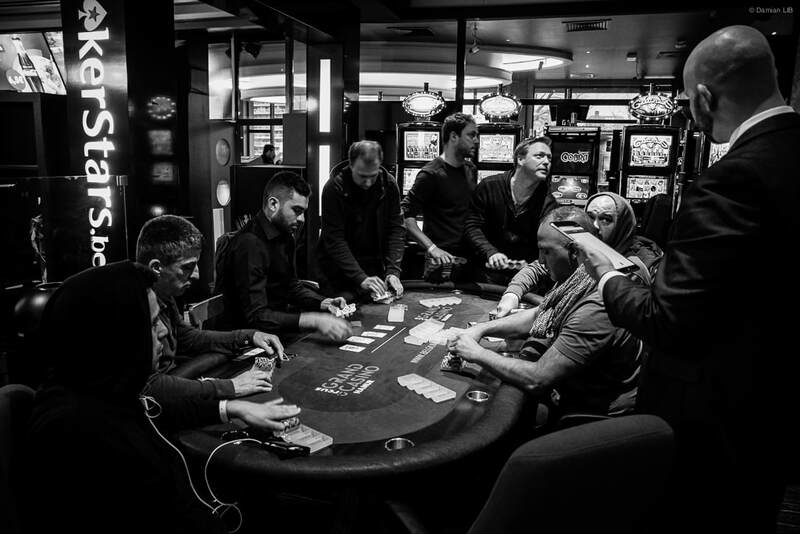 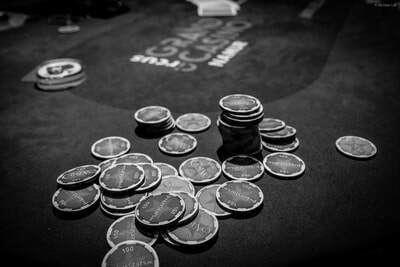 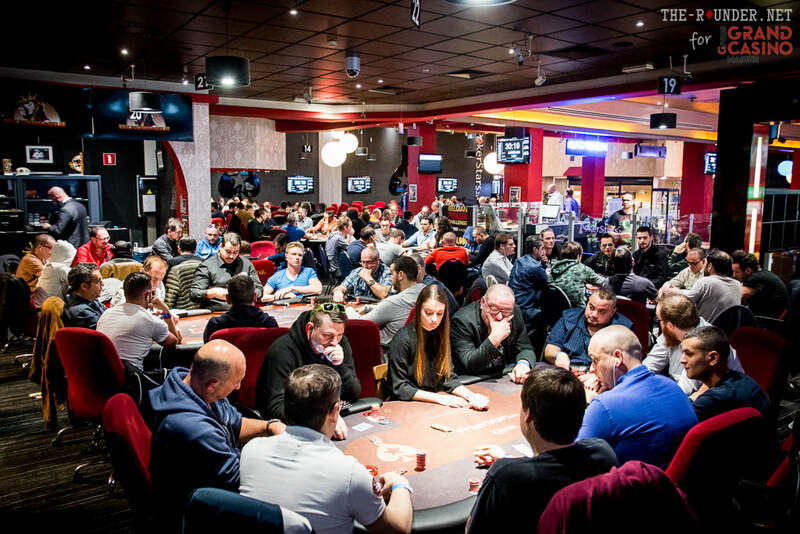 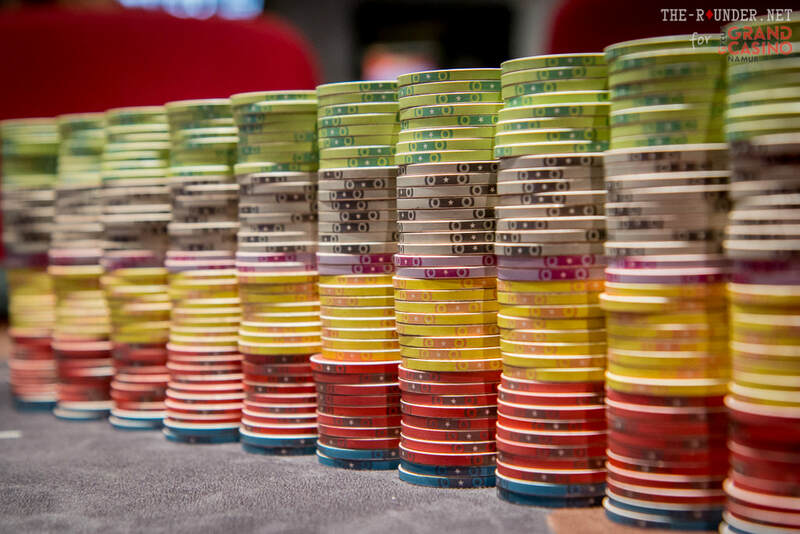 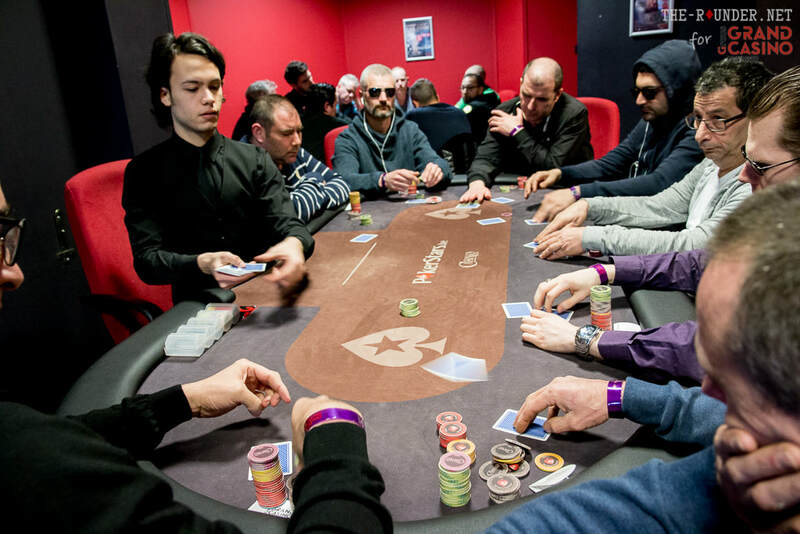 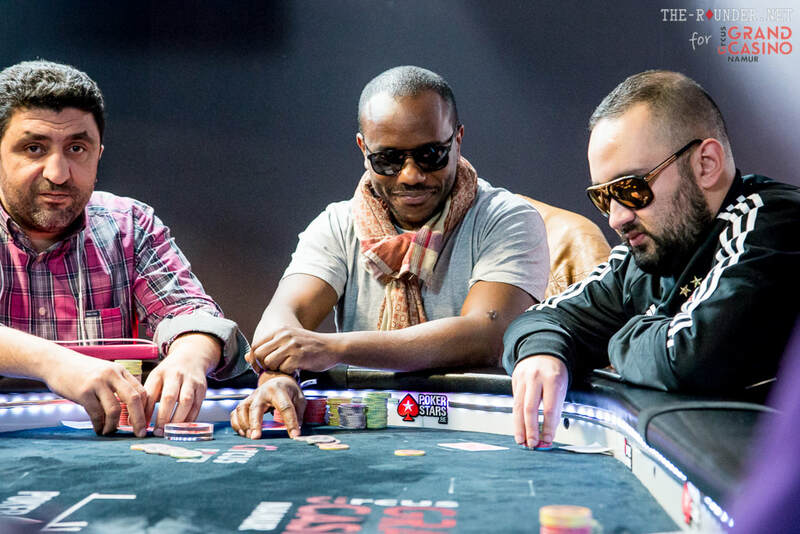 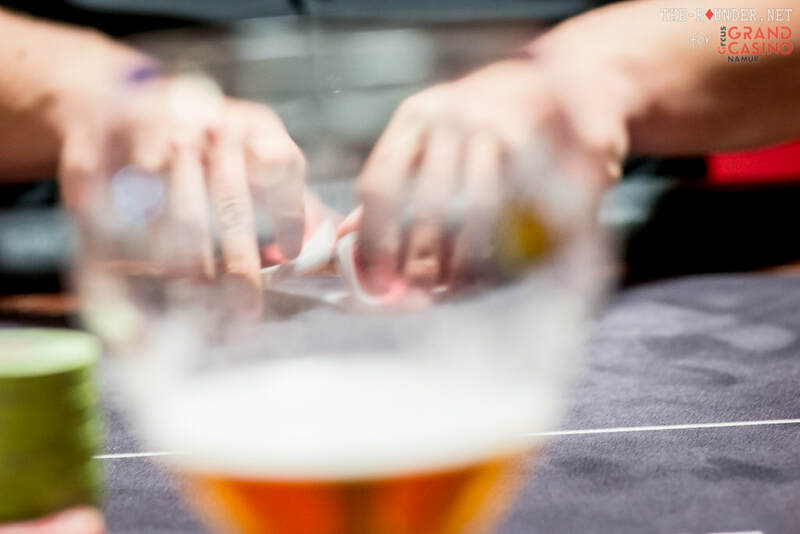 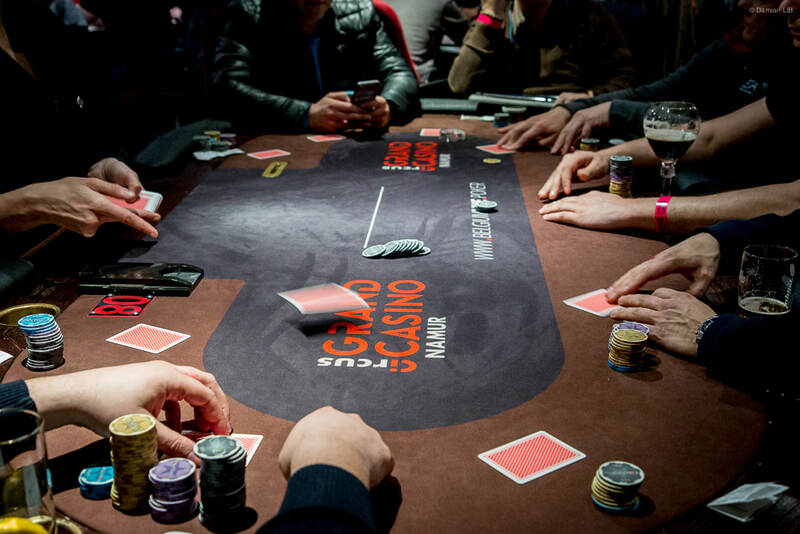 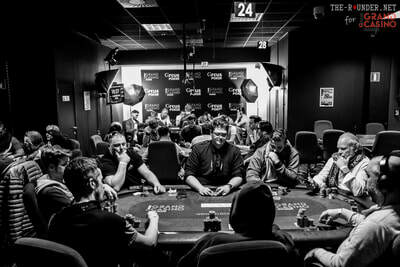 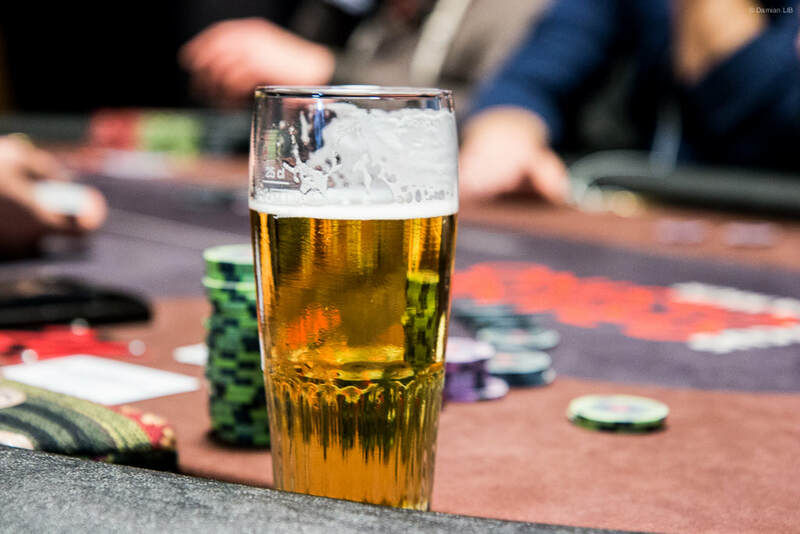 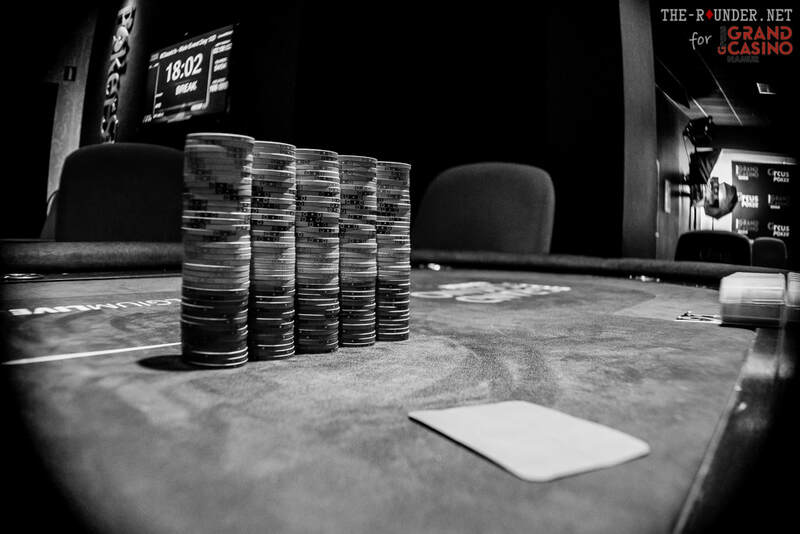 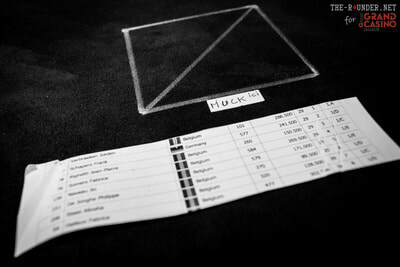 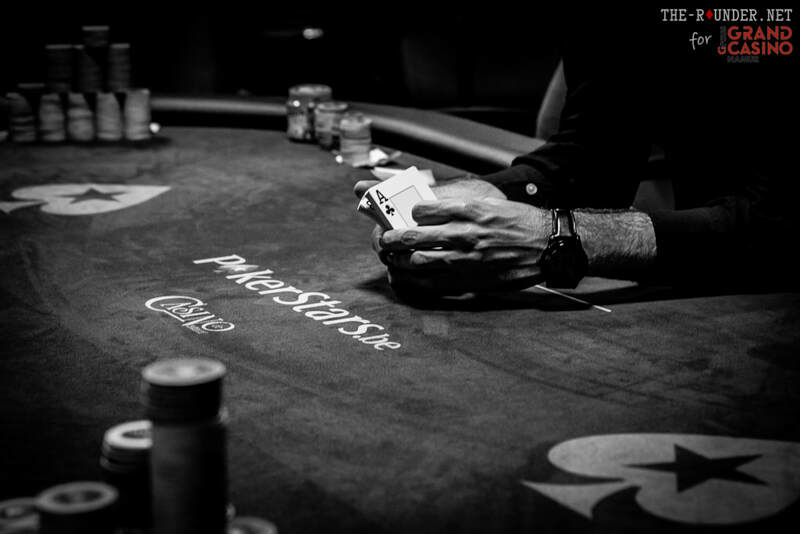 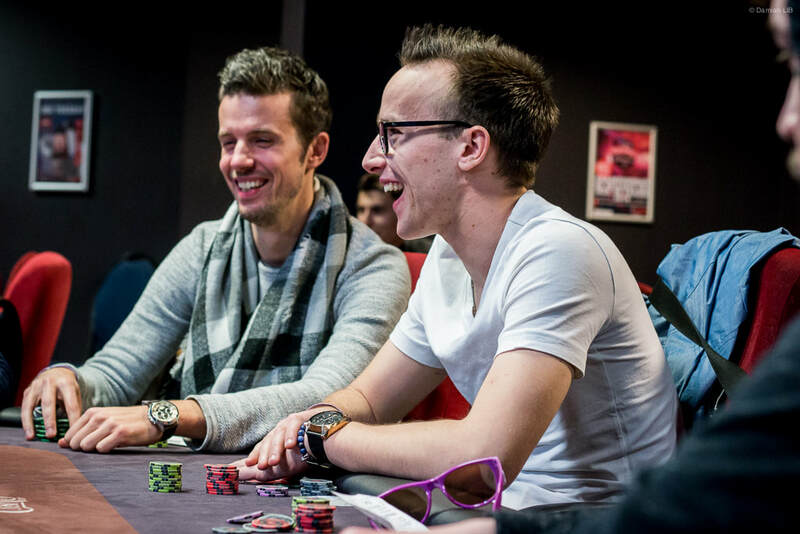 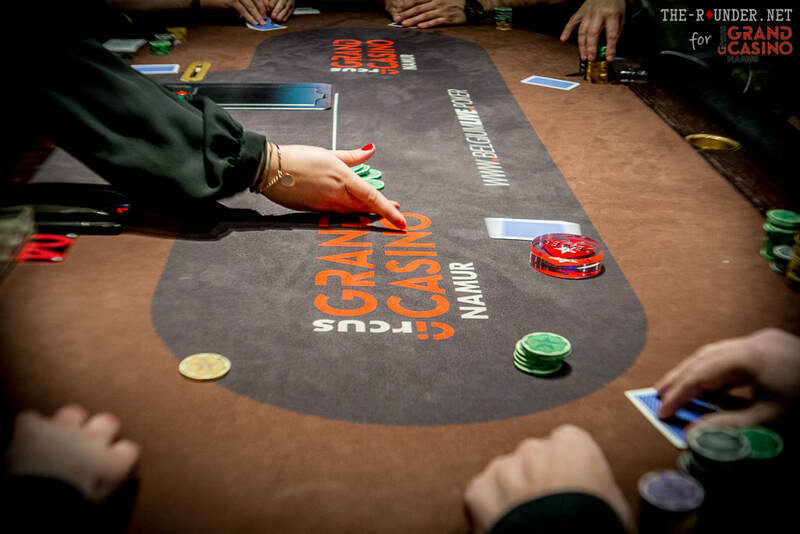 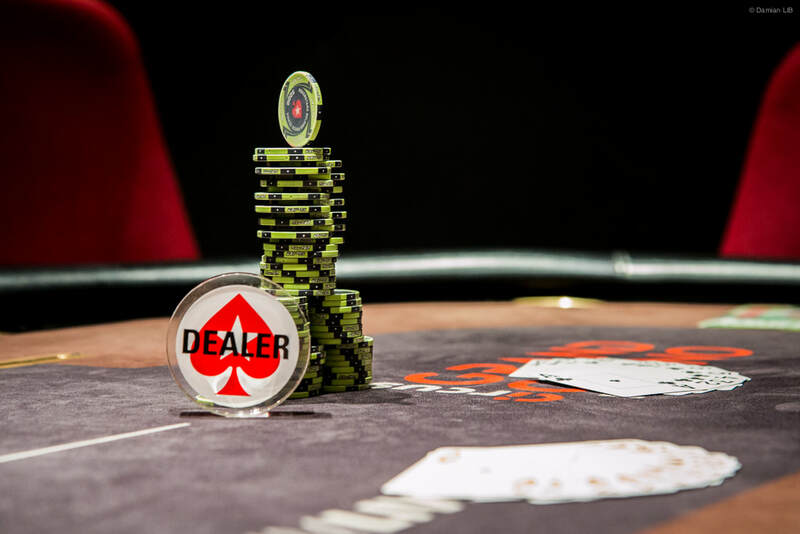 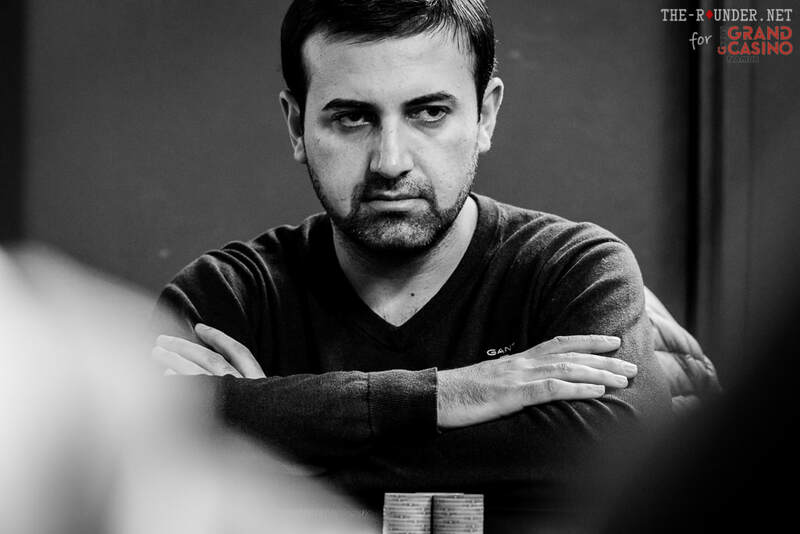 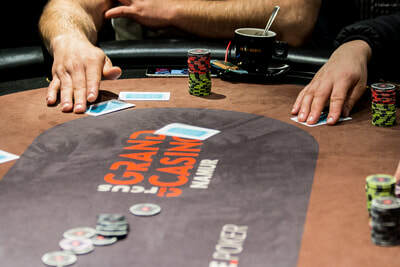 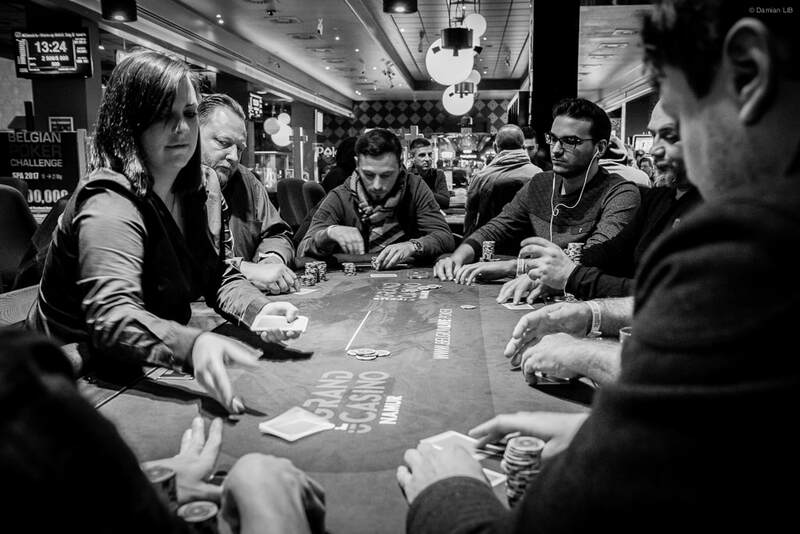 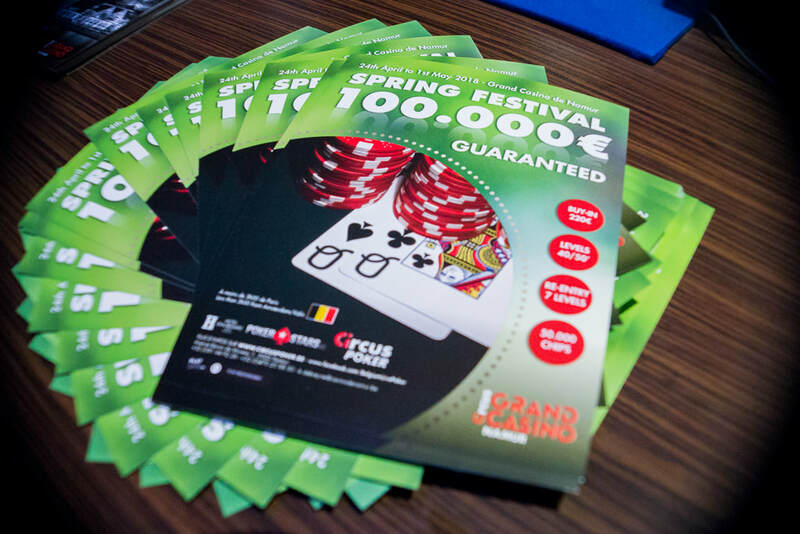 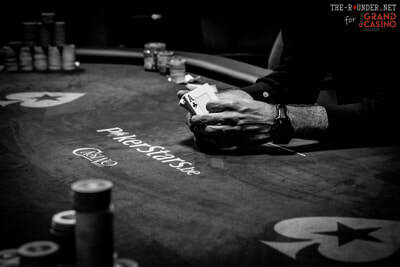 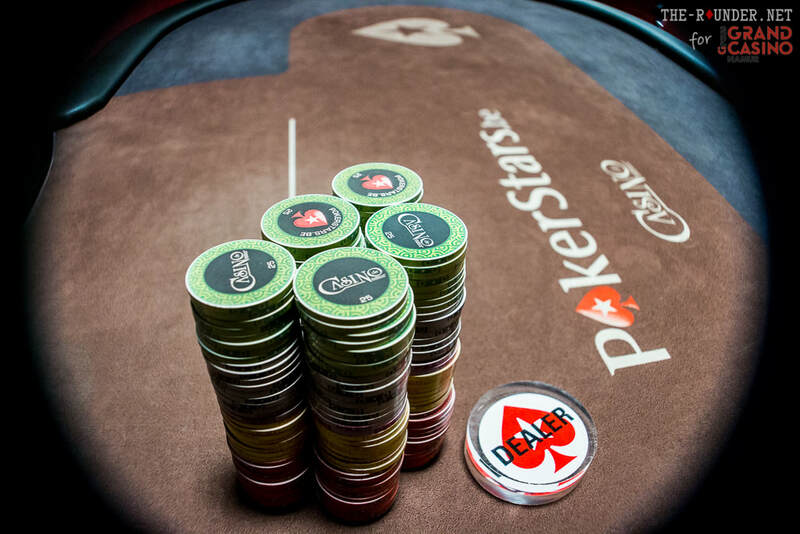 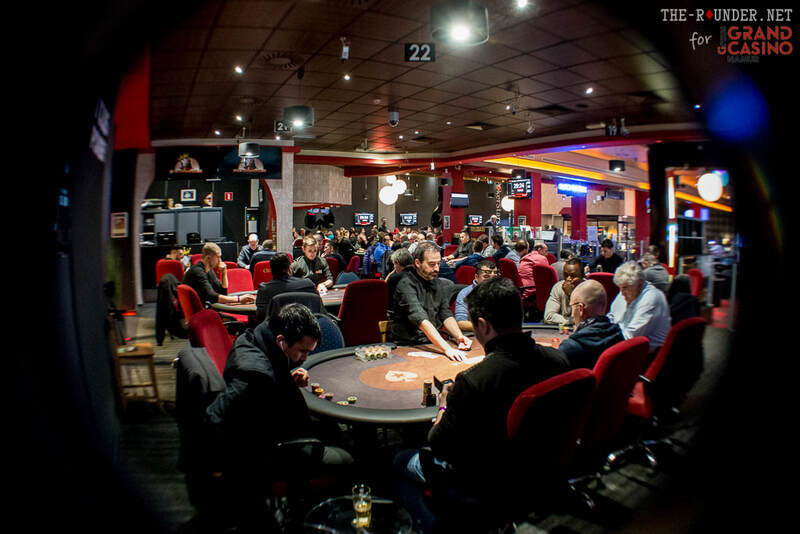 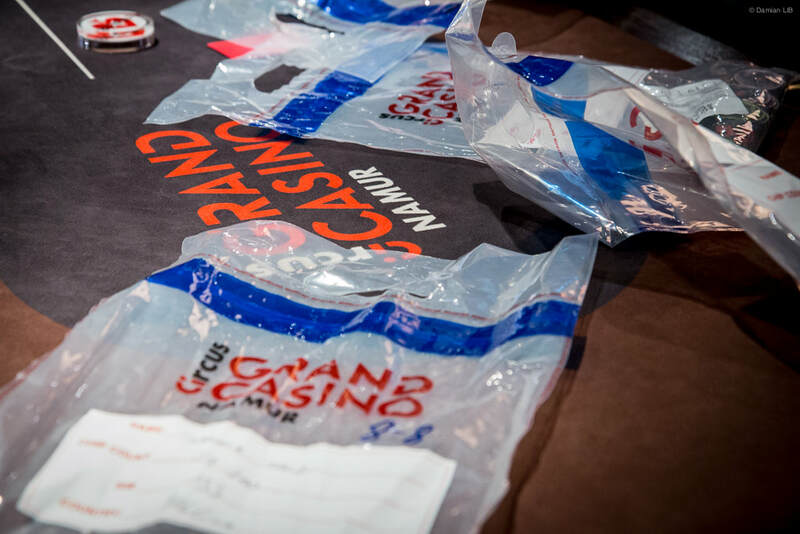 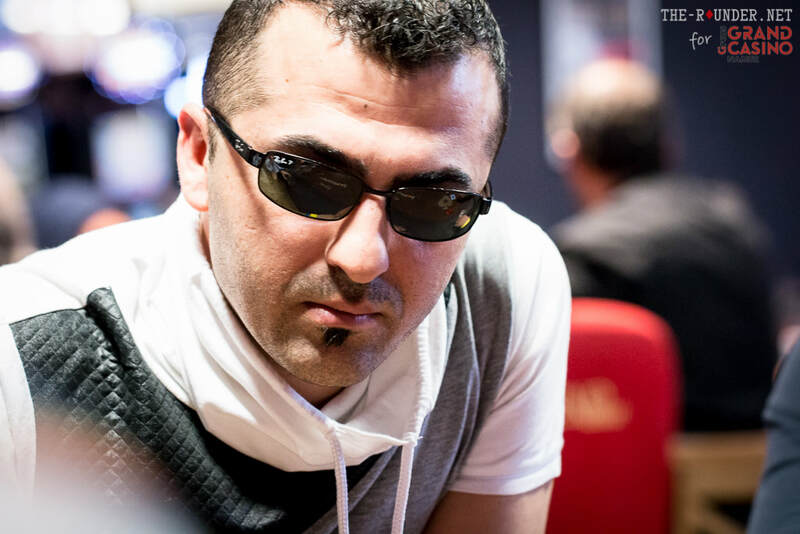 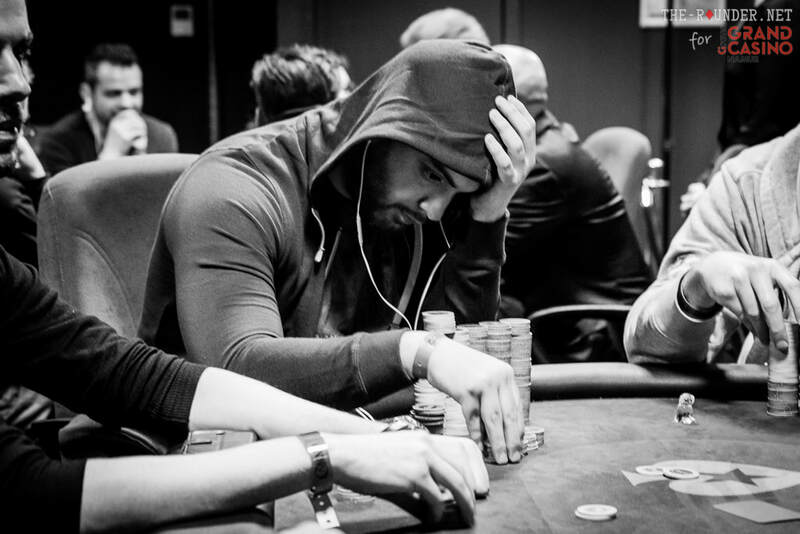 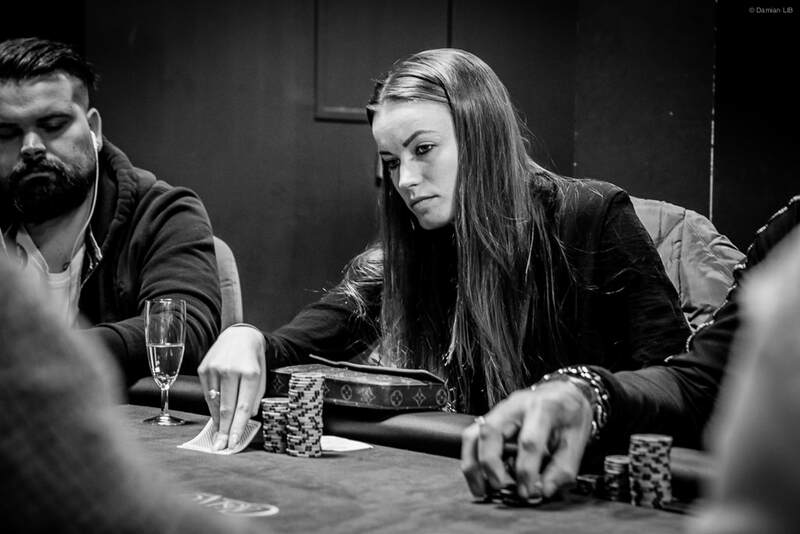 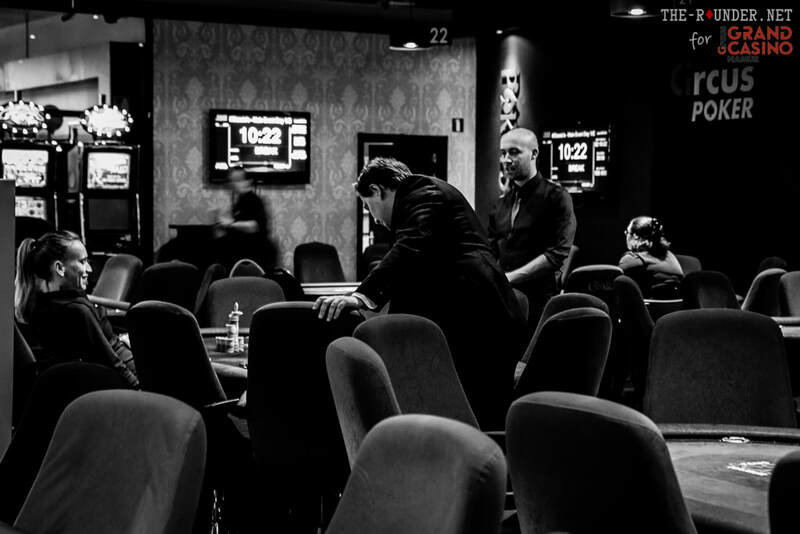 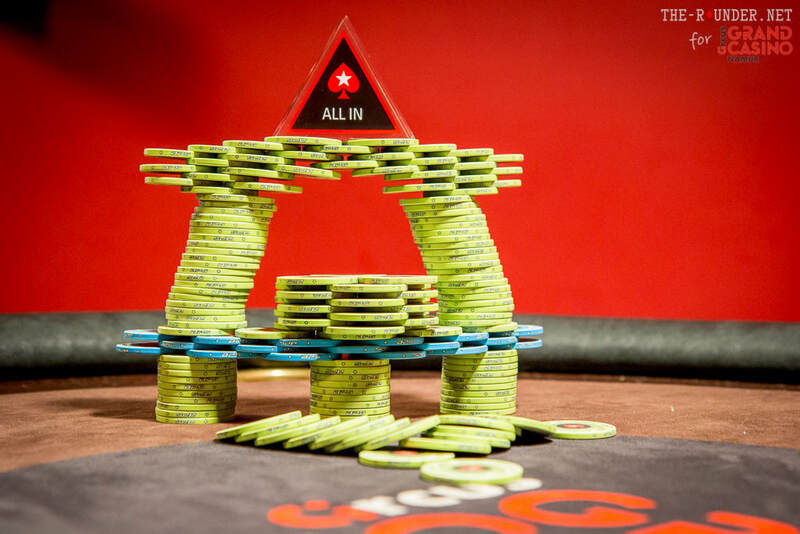 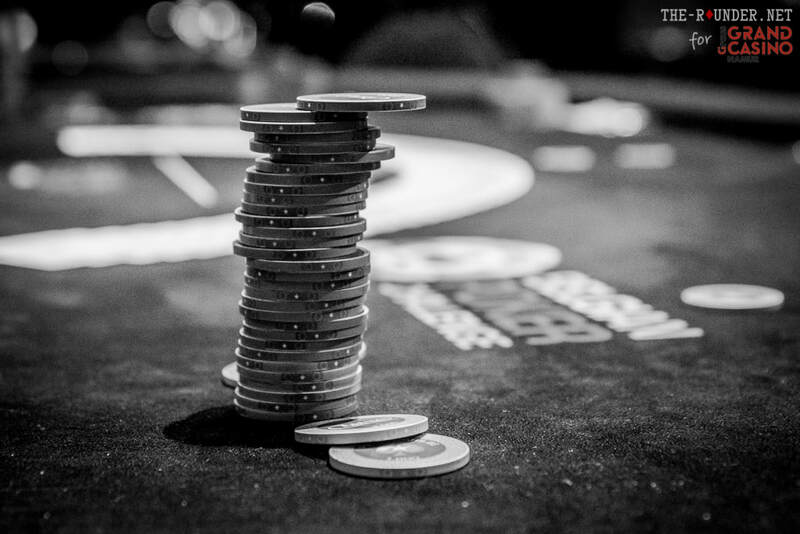 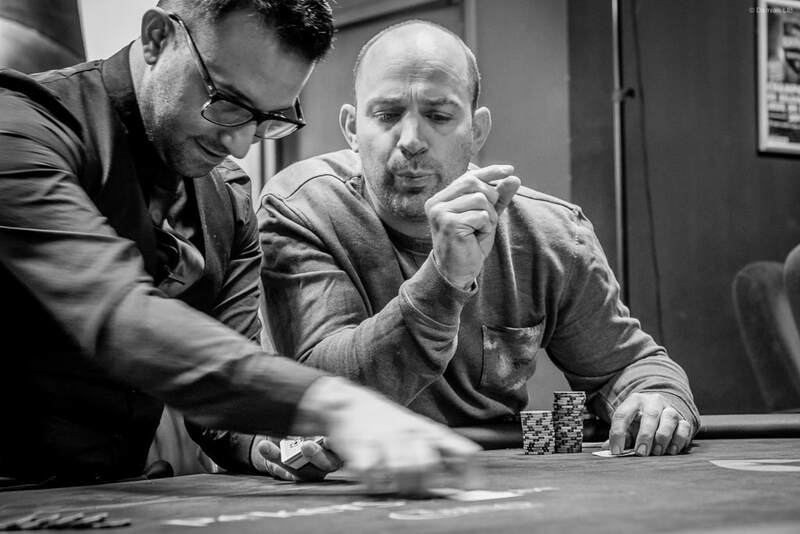 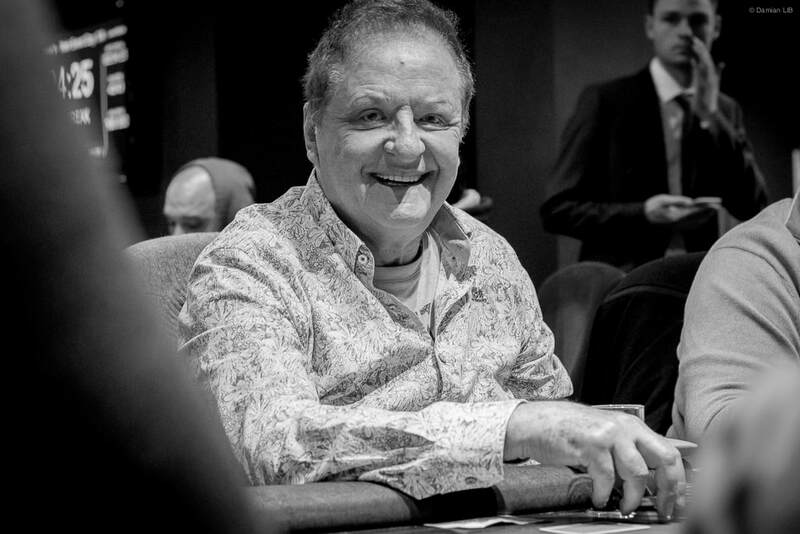 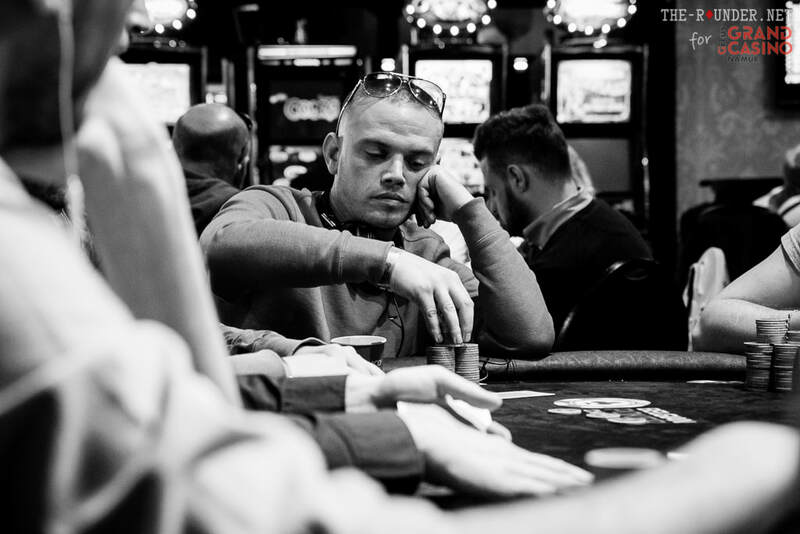 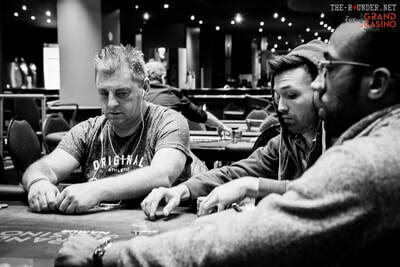 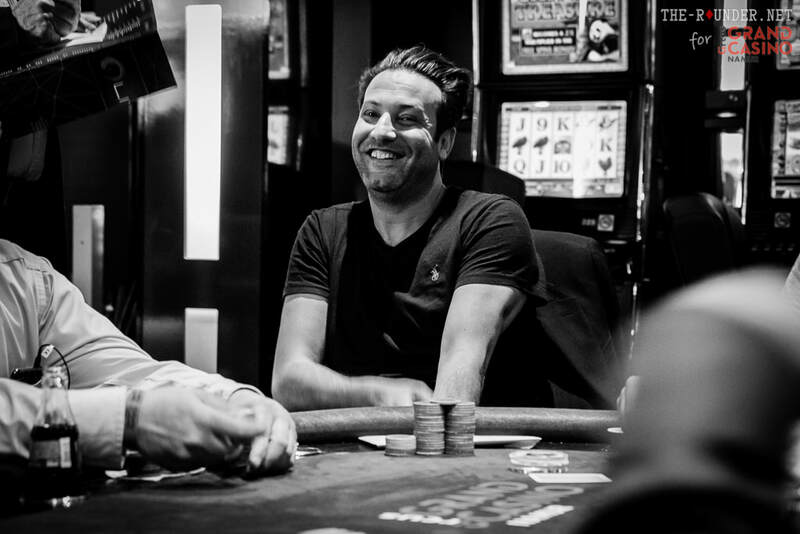 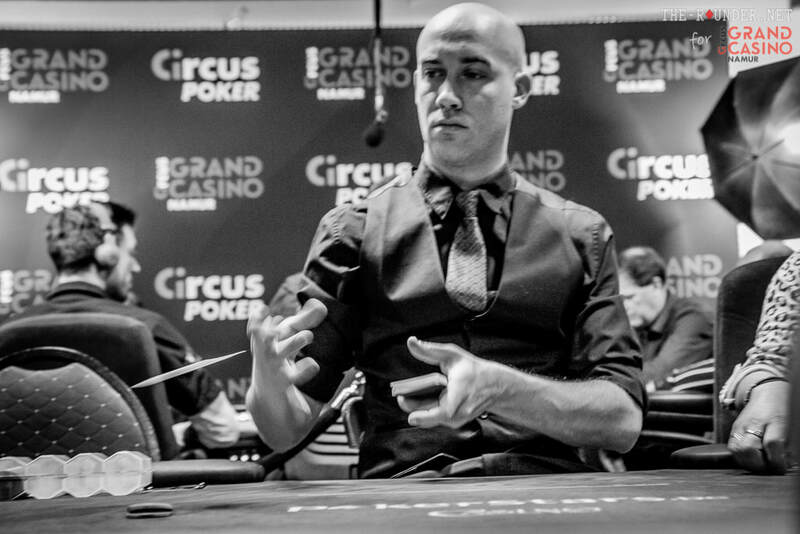 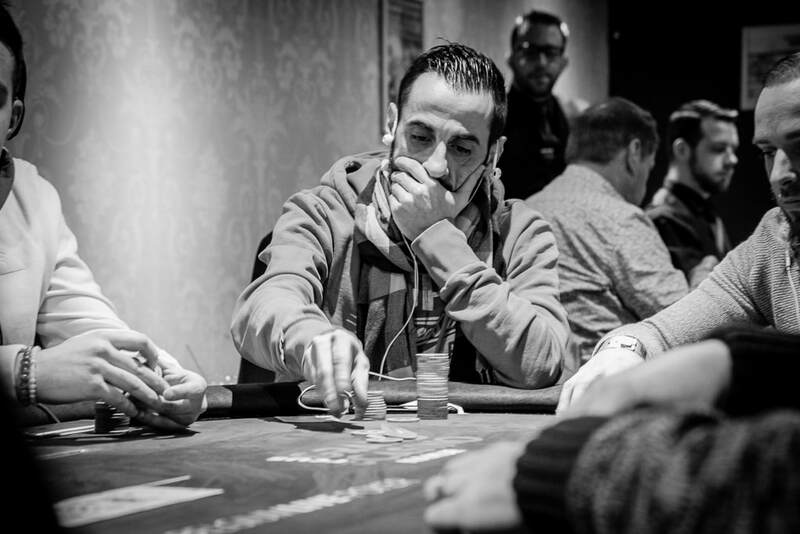 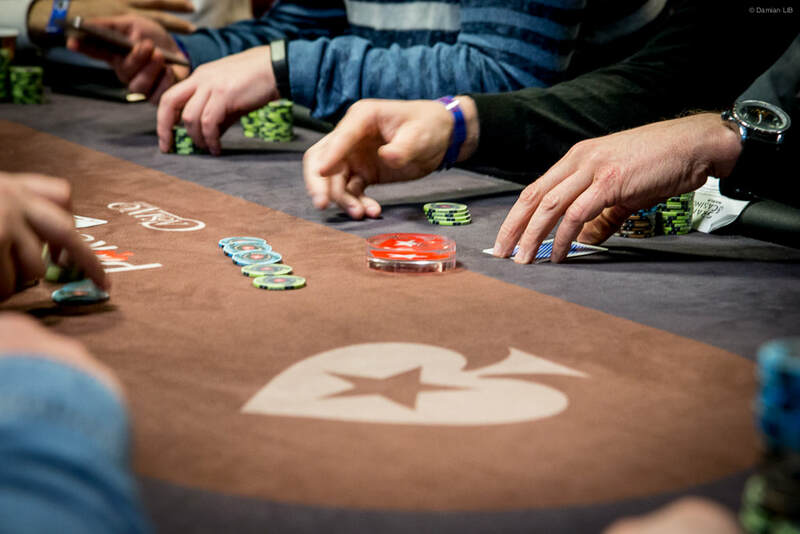 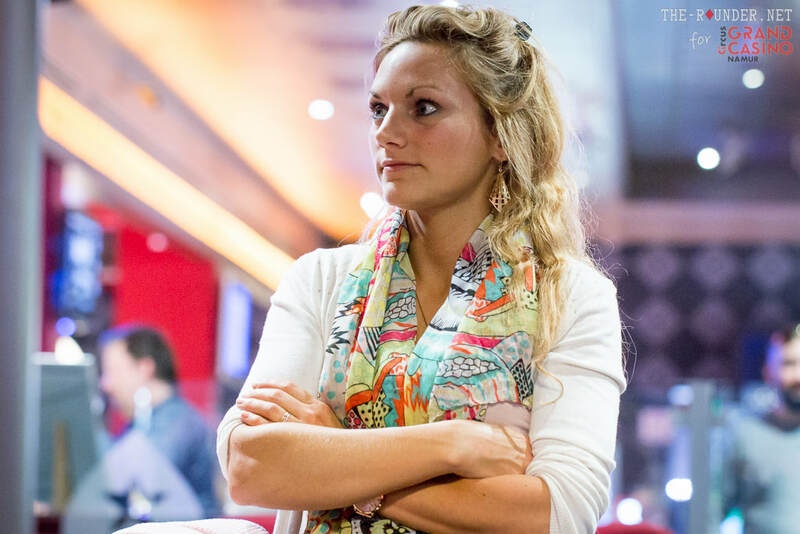 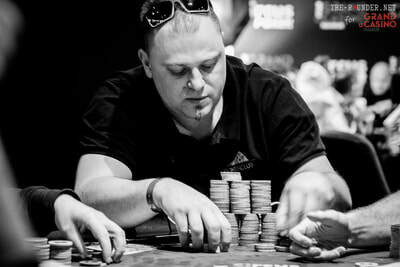 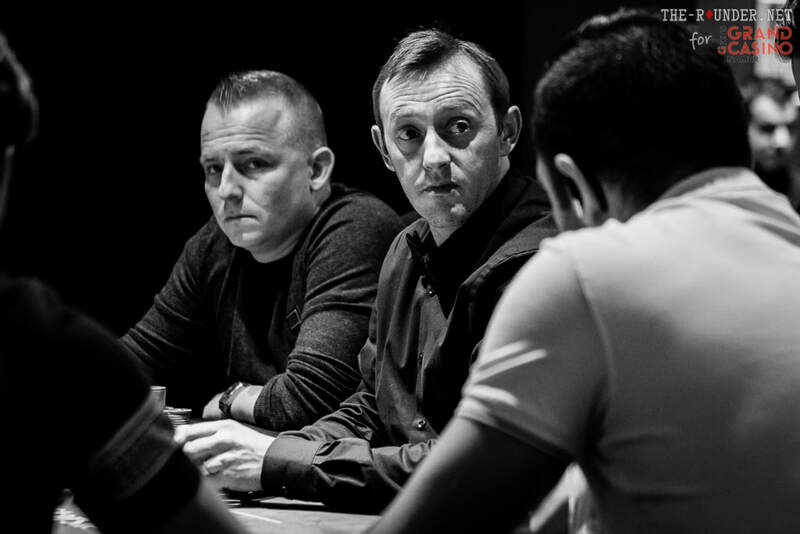 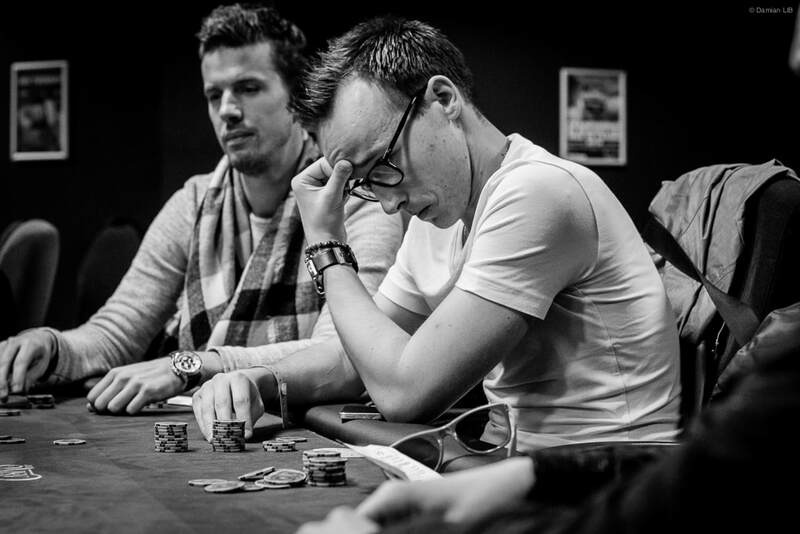 We are just a few weeks away from the beginning of the European Poker Series festival. 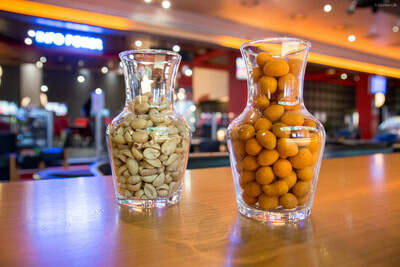 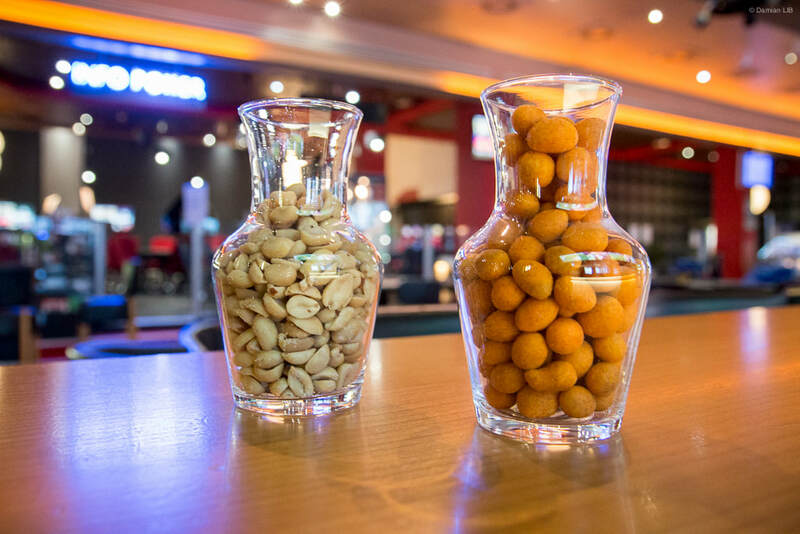 Waste no time and secure your room at Radisson Blu Palace in front of the casino, just across the road. 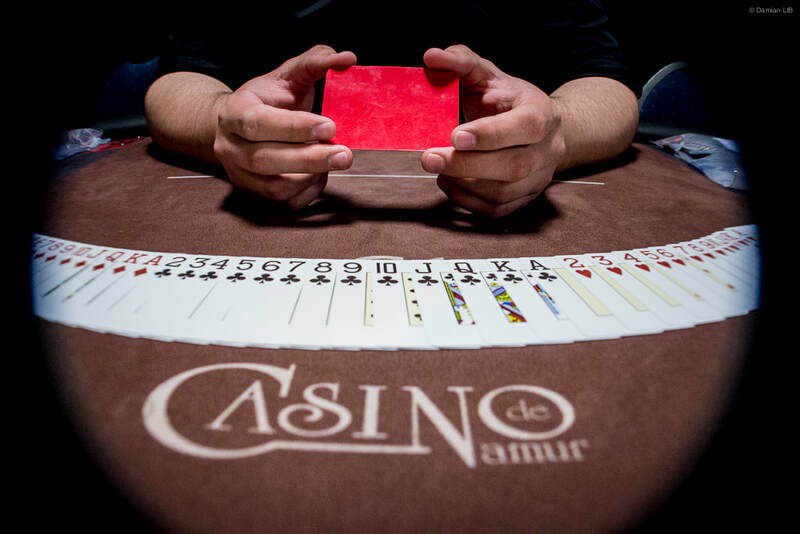 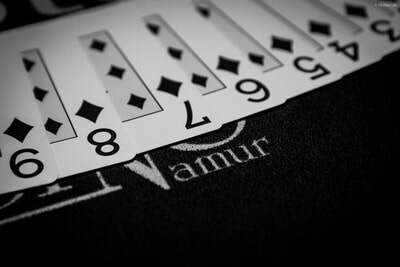 Warm-up tournament (199€) with 2 nights from 10th-12th August (or 11th to 13th) for €597. Championship tournament (€110) with 2 nights from 13th-15th August for €528. 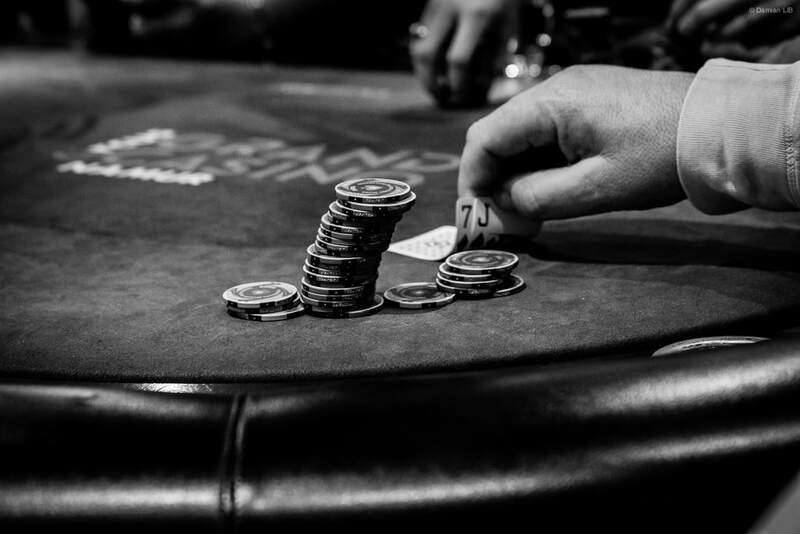 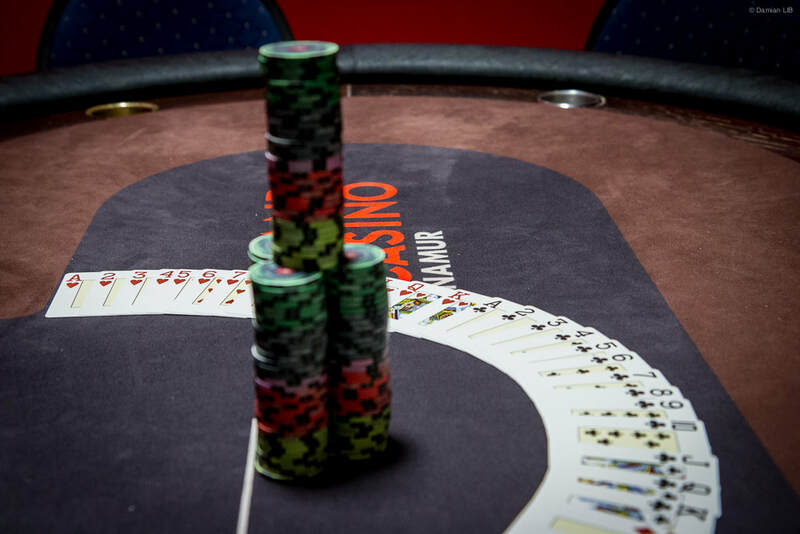 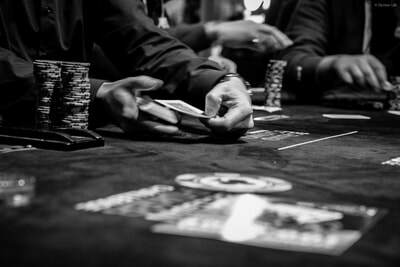 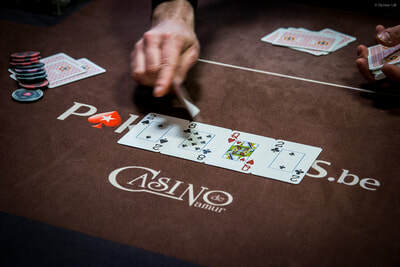 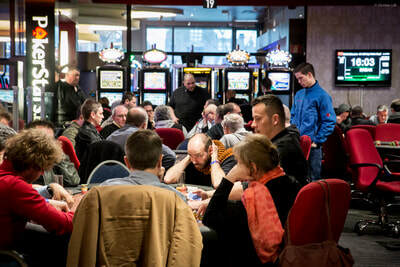 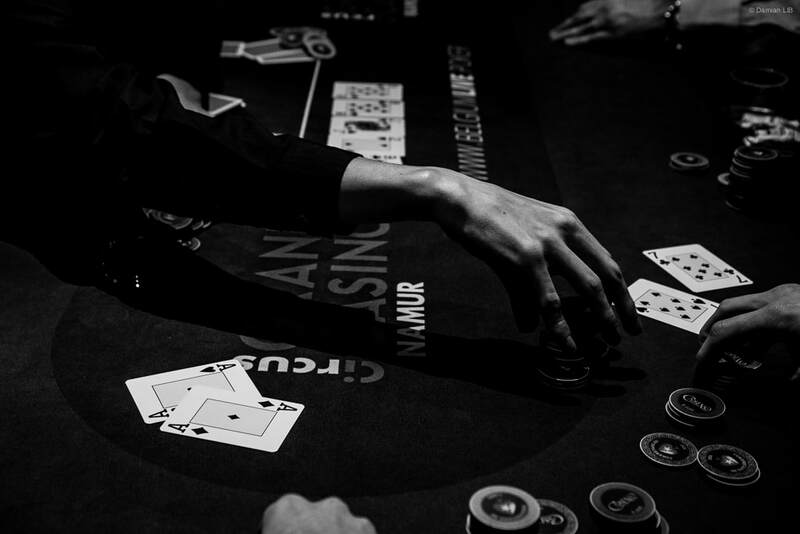 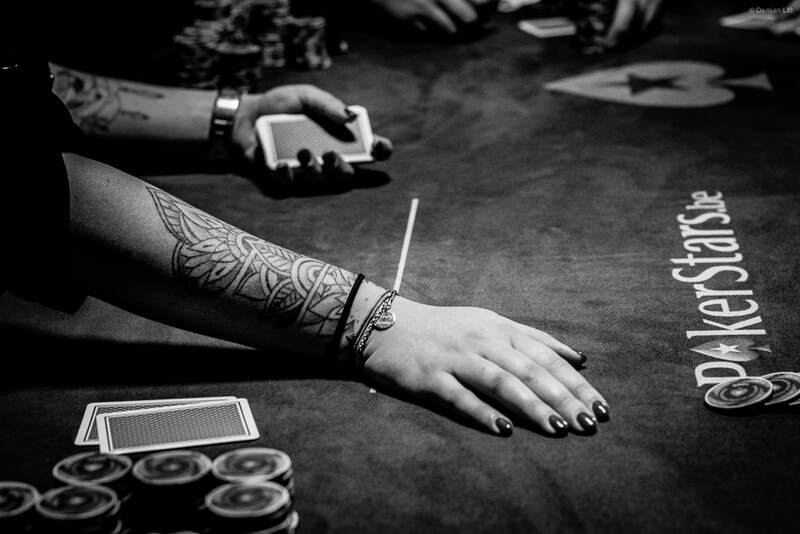 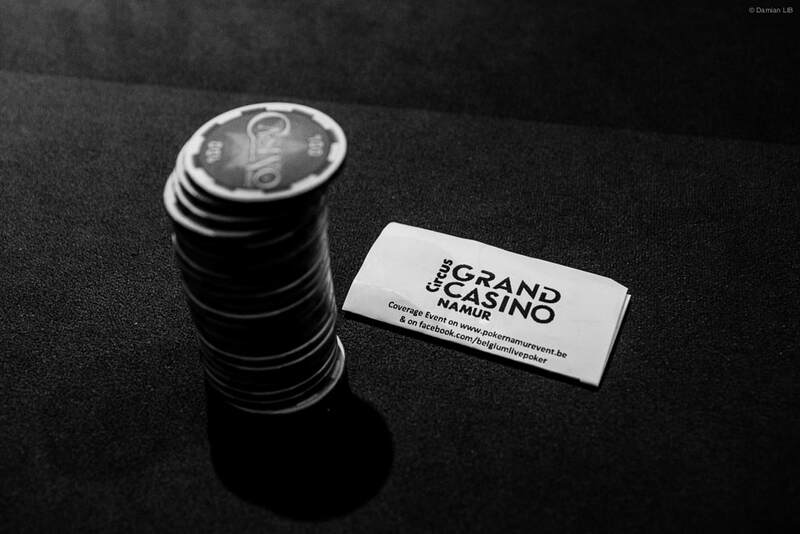 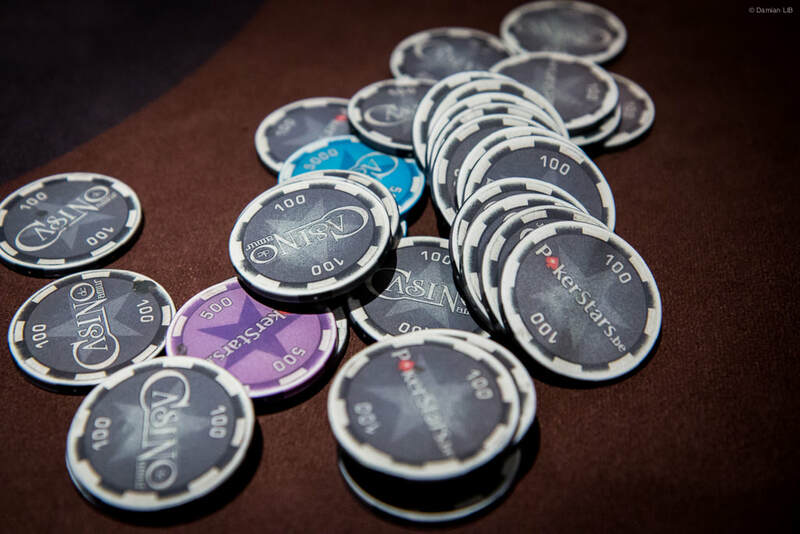 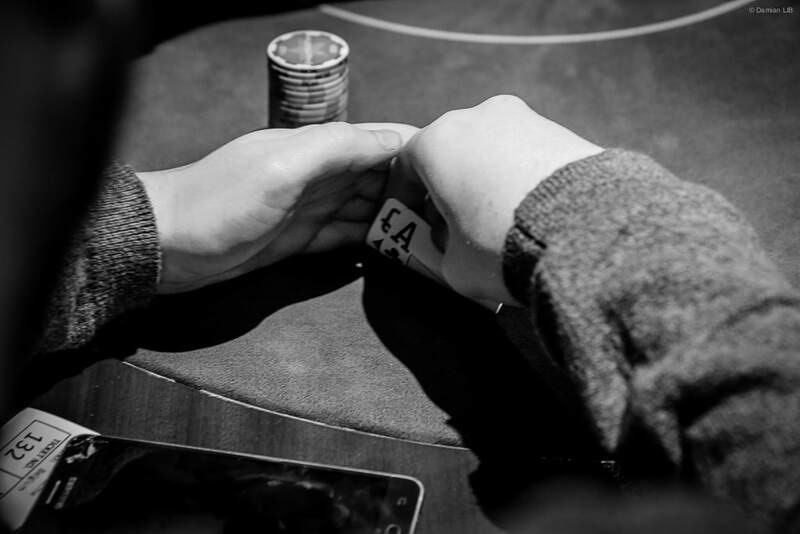 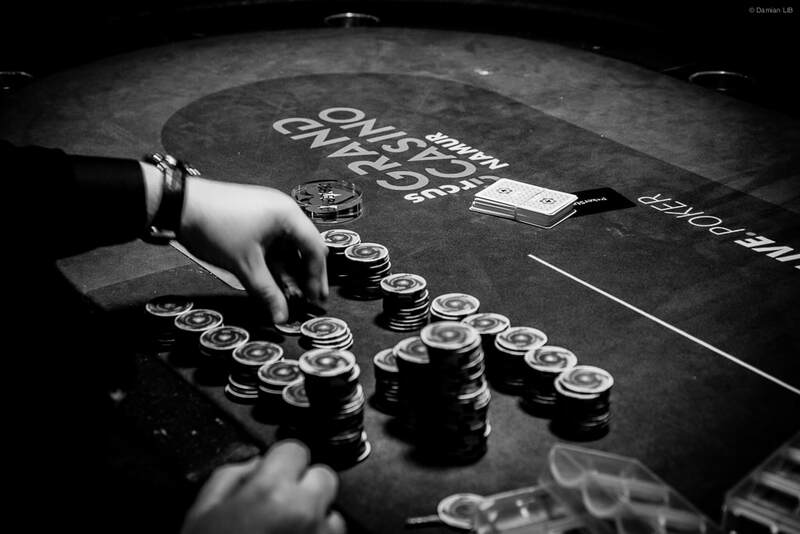 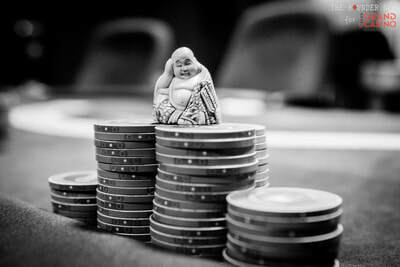 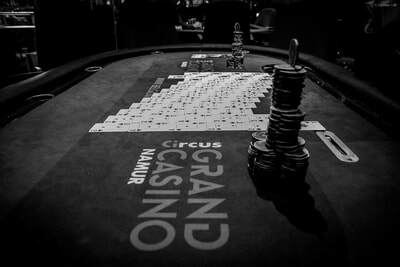 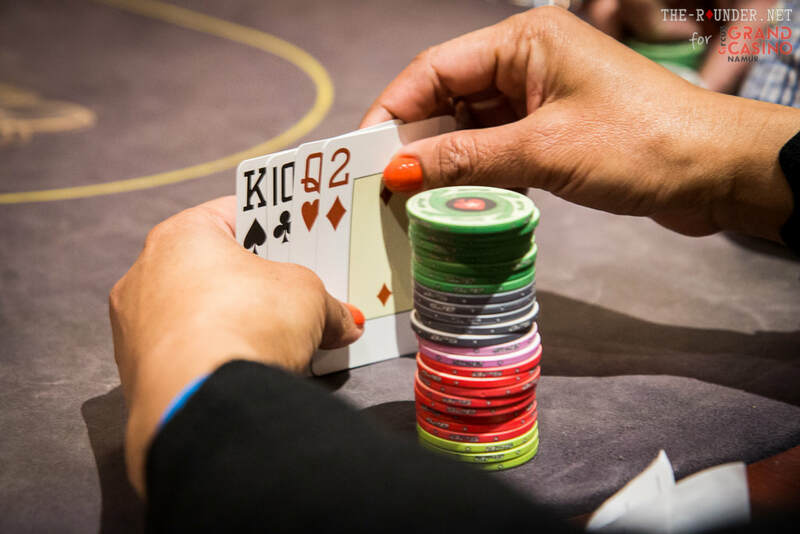 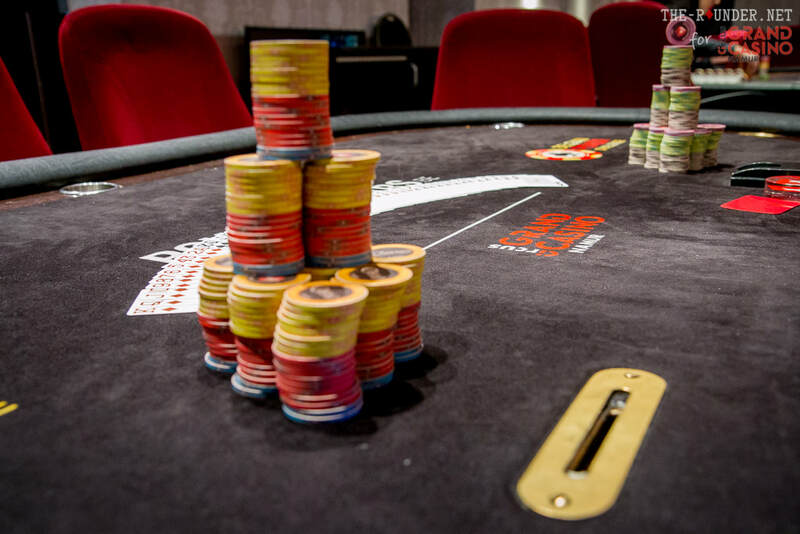 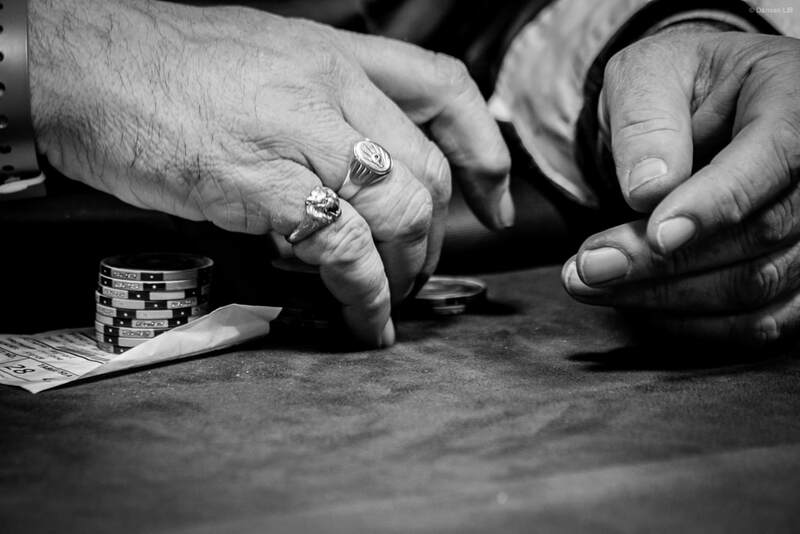 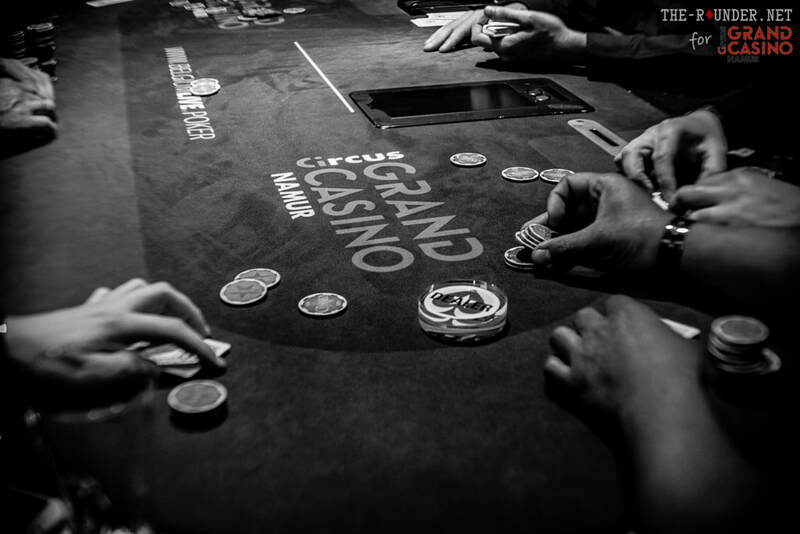 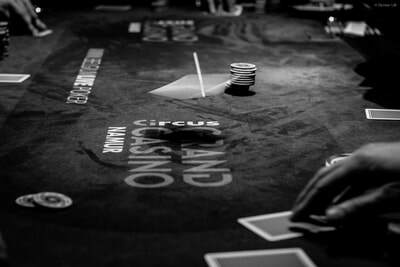 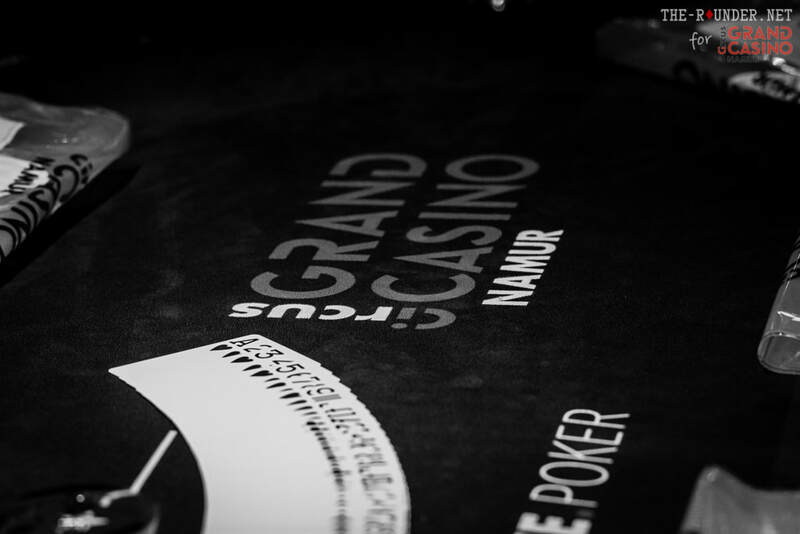 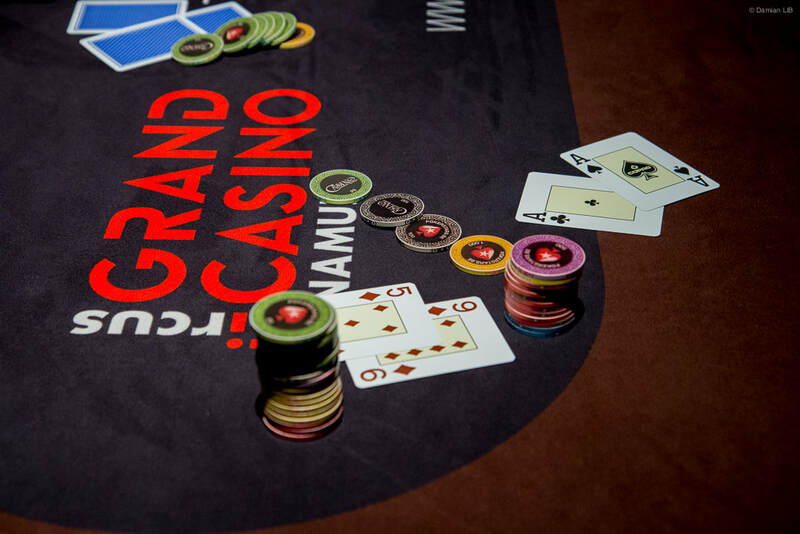 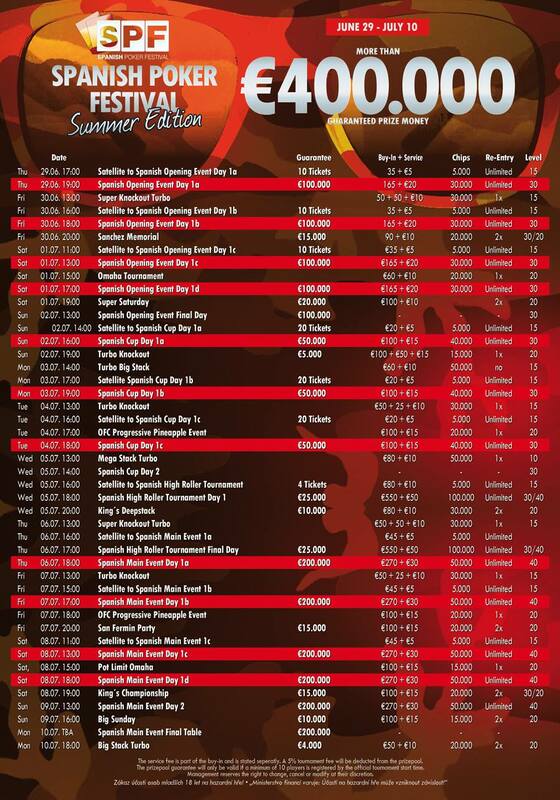 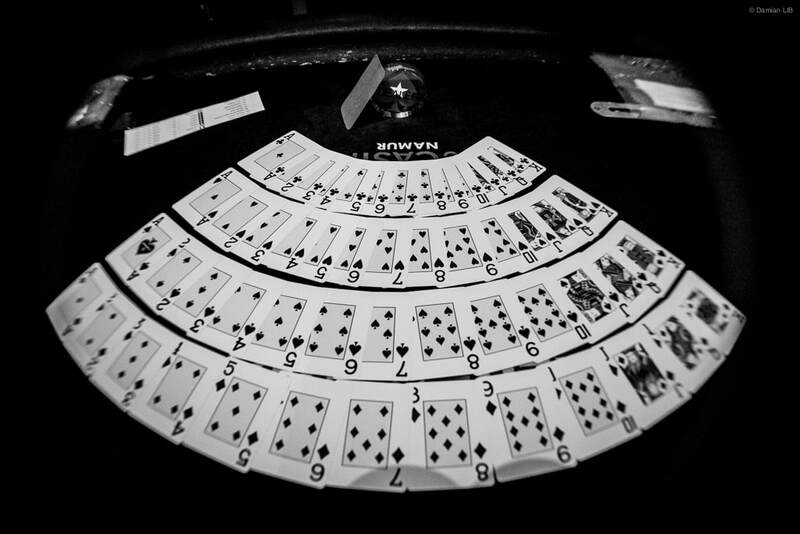 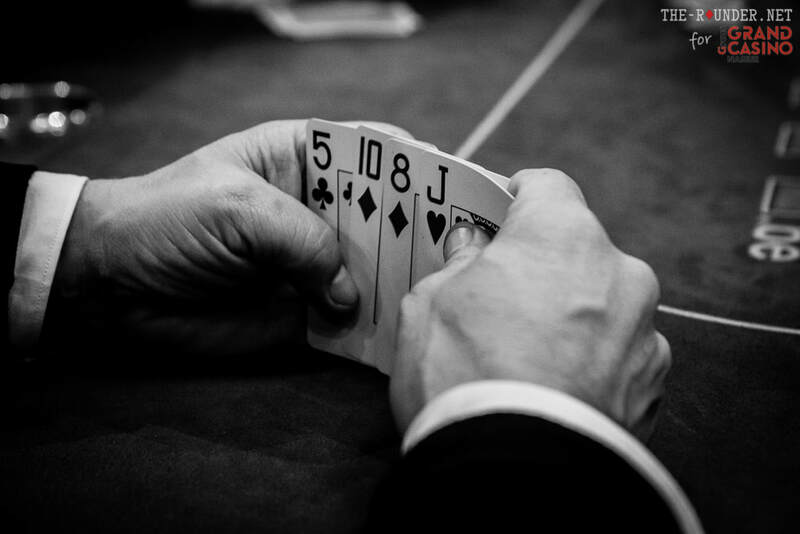 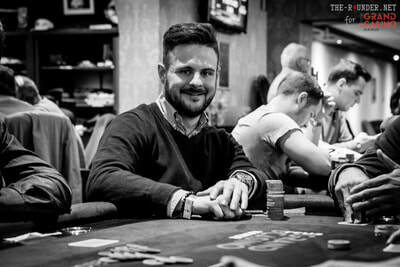 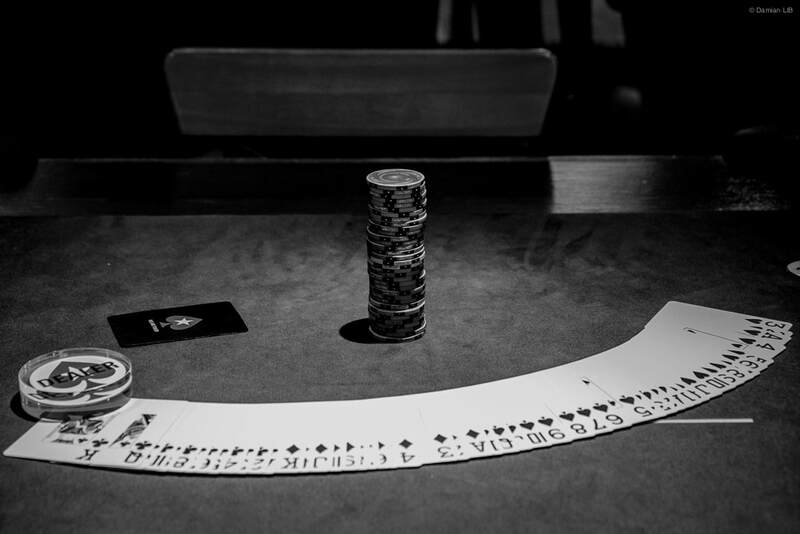 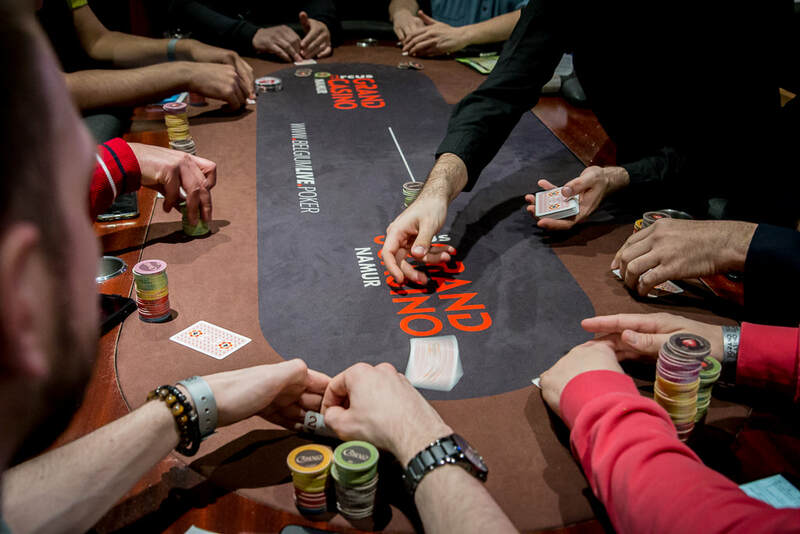 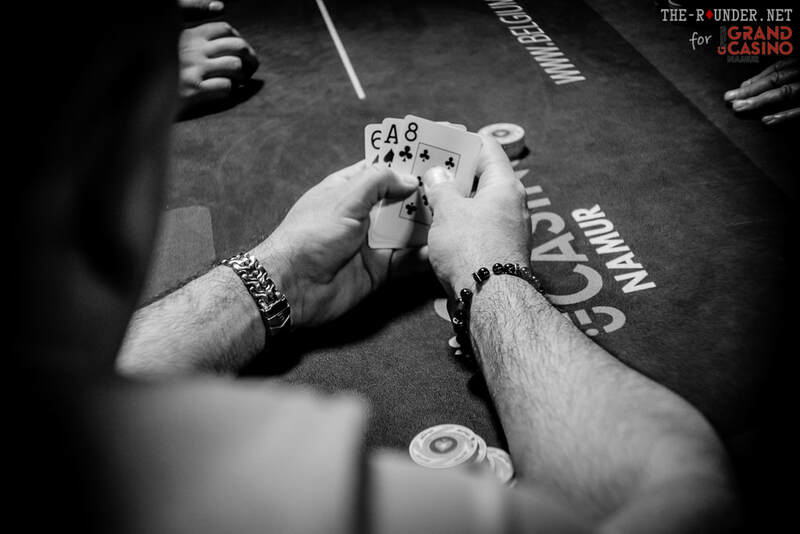 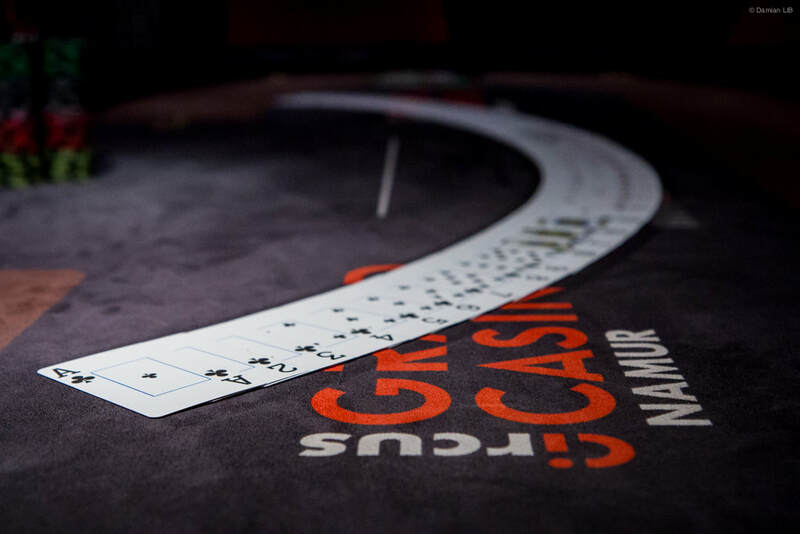 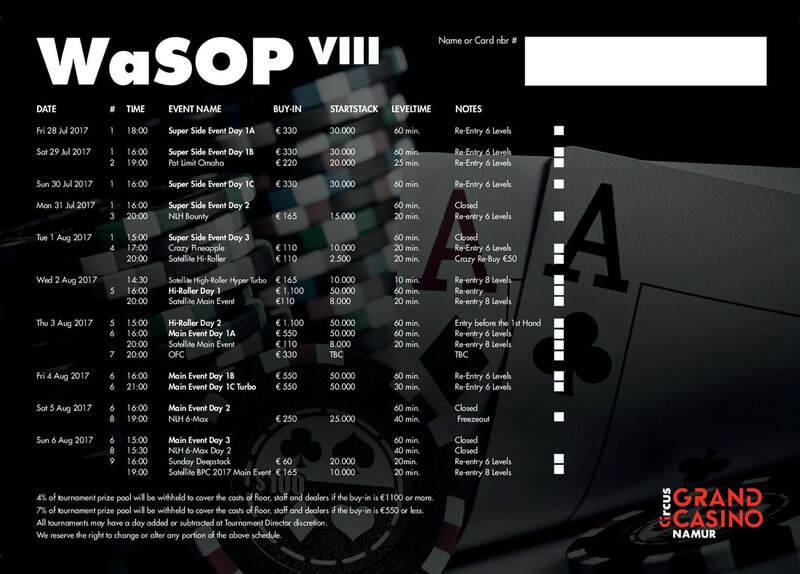 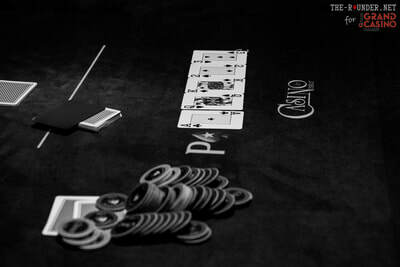 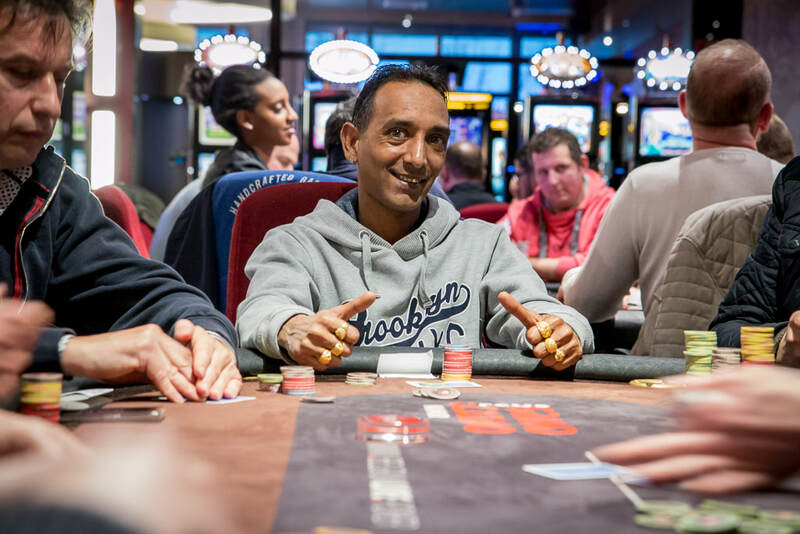 Main Event tournament (€550) with 3 nights from 16th-19th August (or 17th to 20th) for €1147. 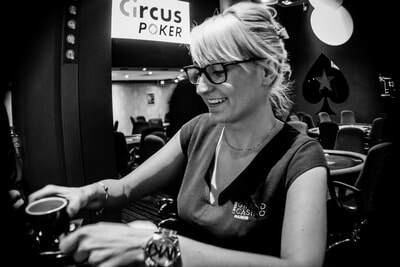 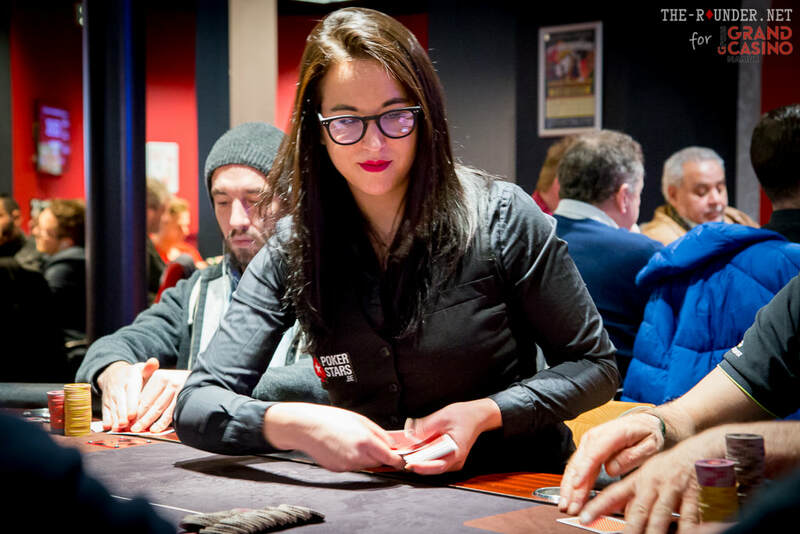 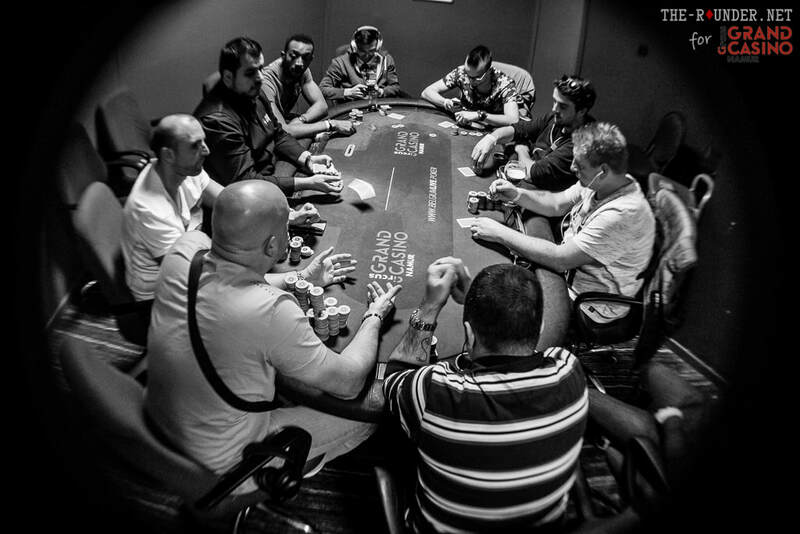 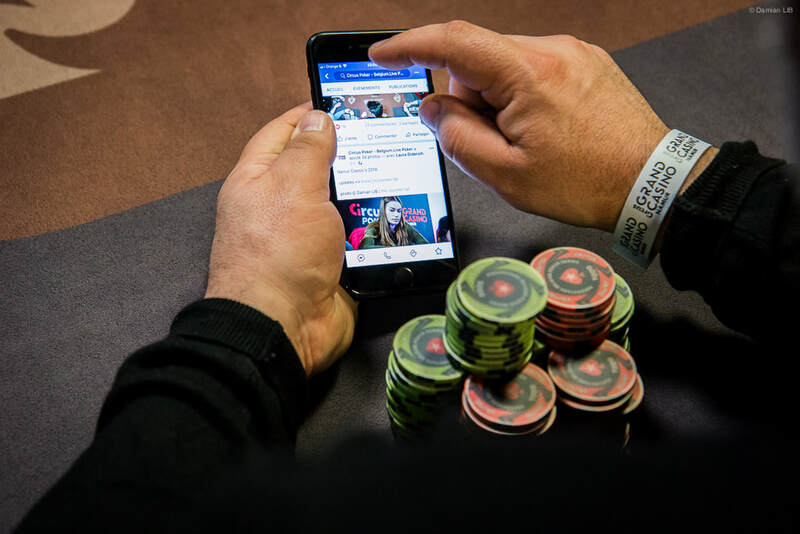 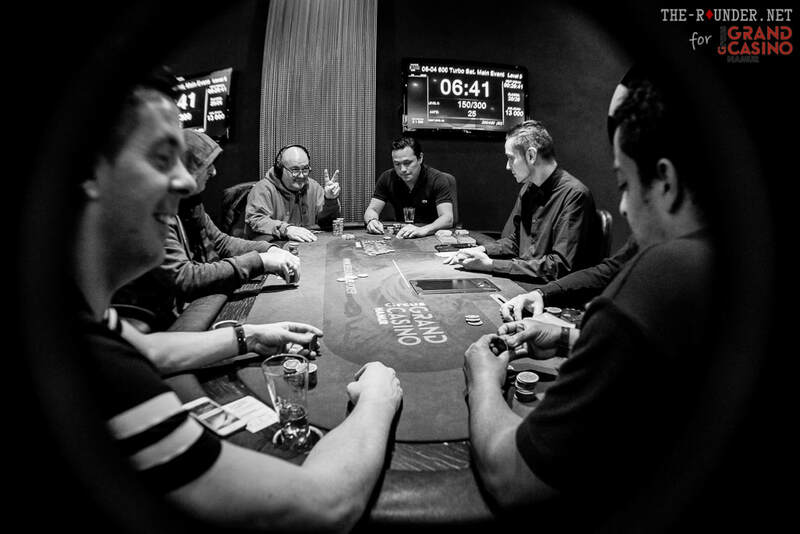 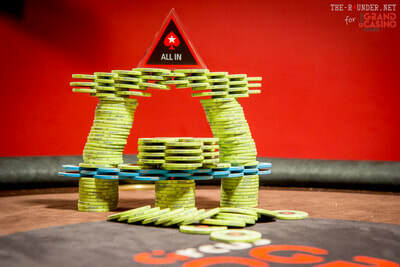 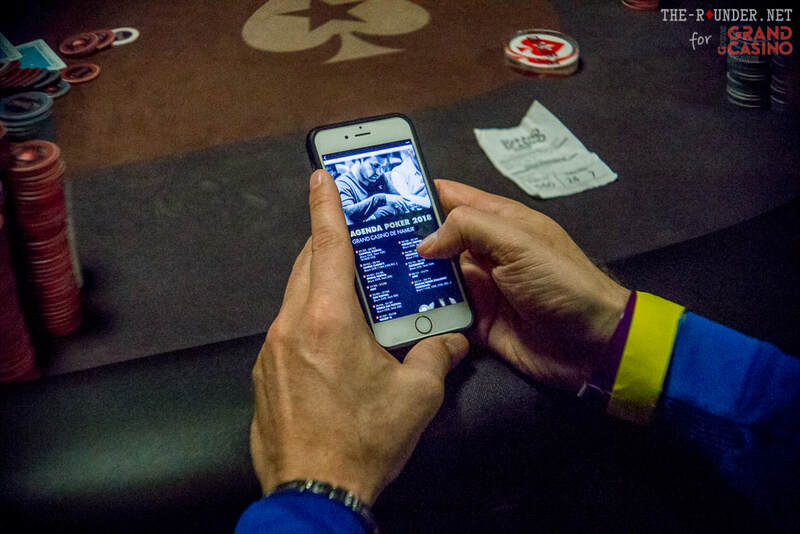 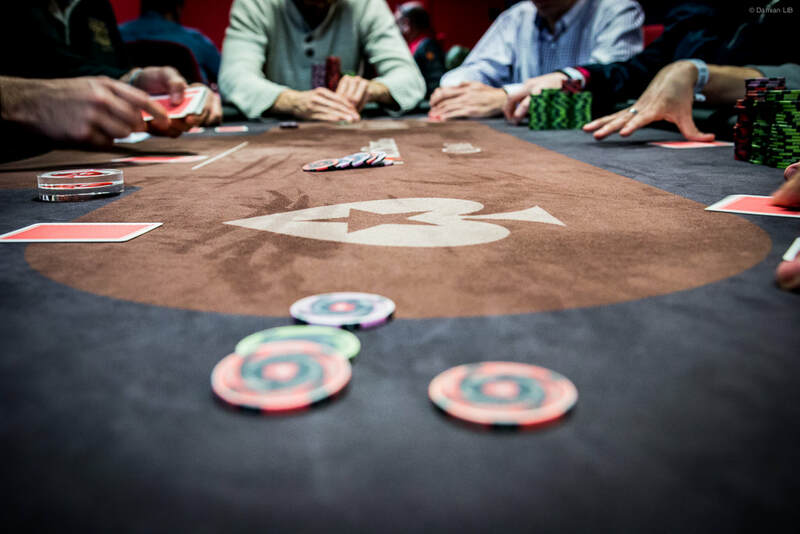 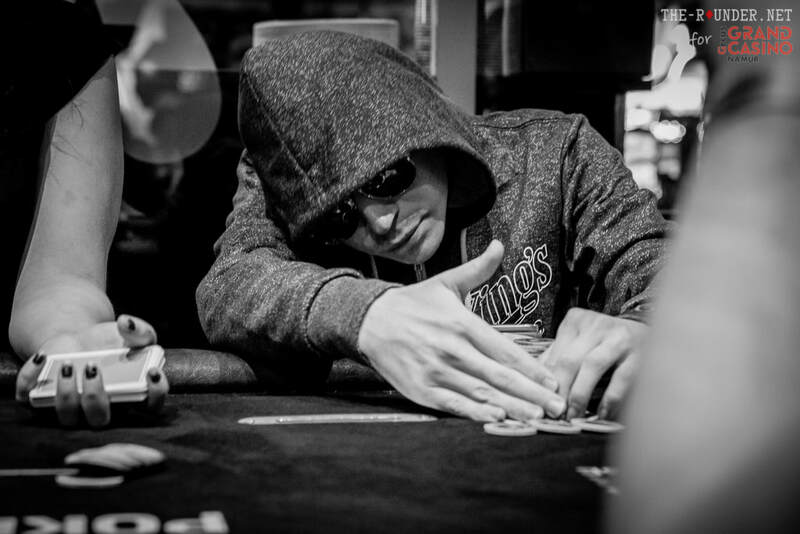 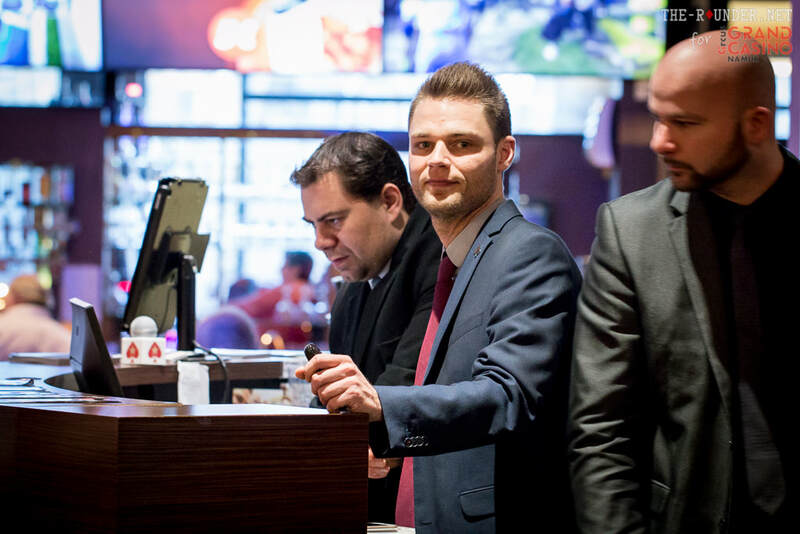 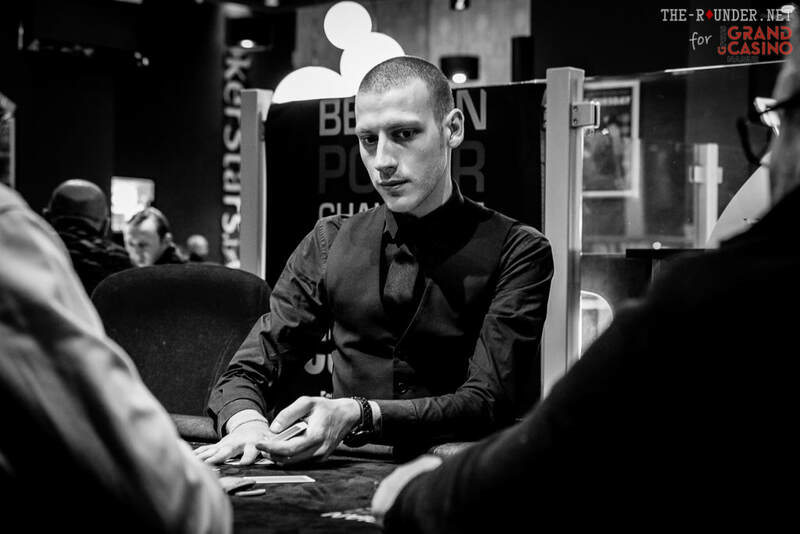 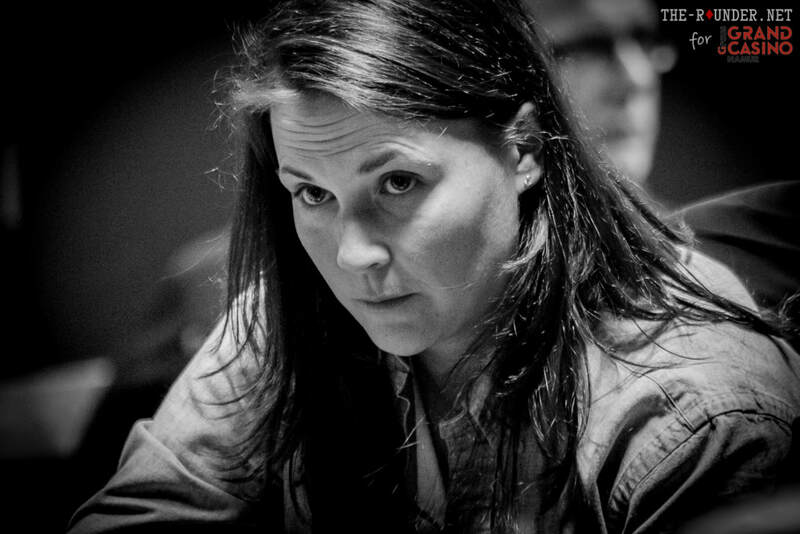 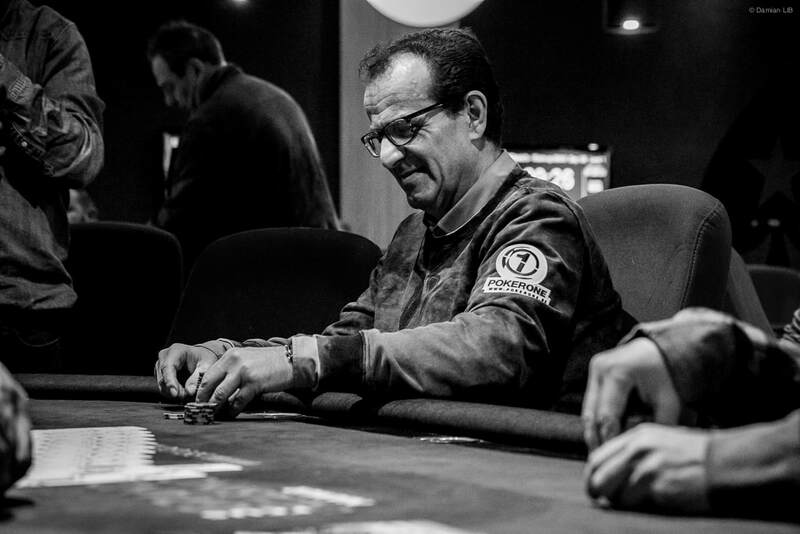 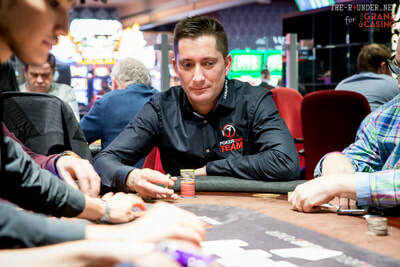 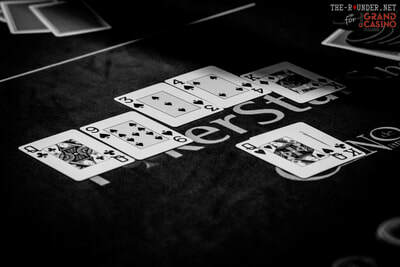 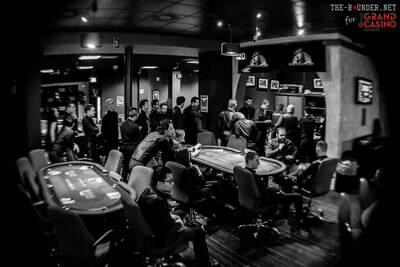 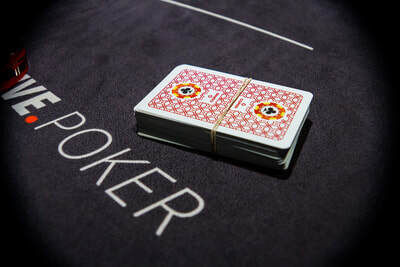 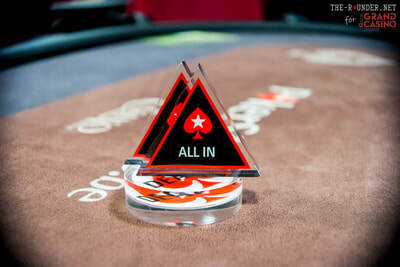 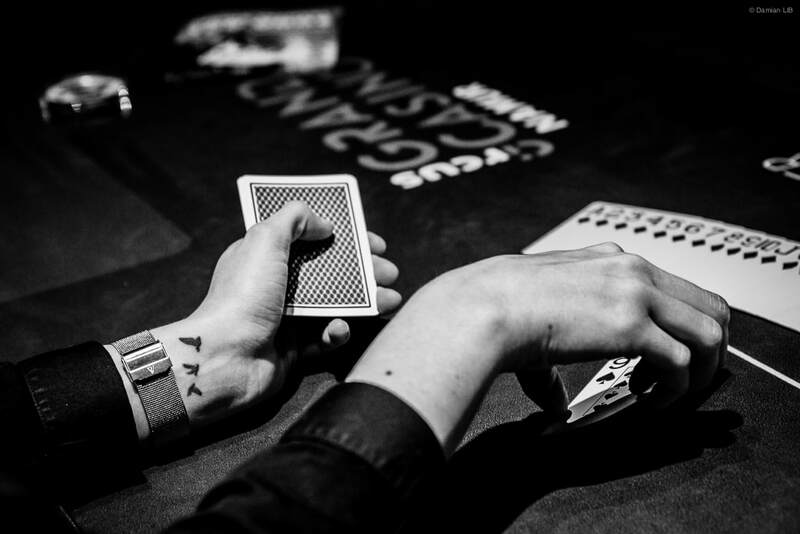 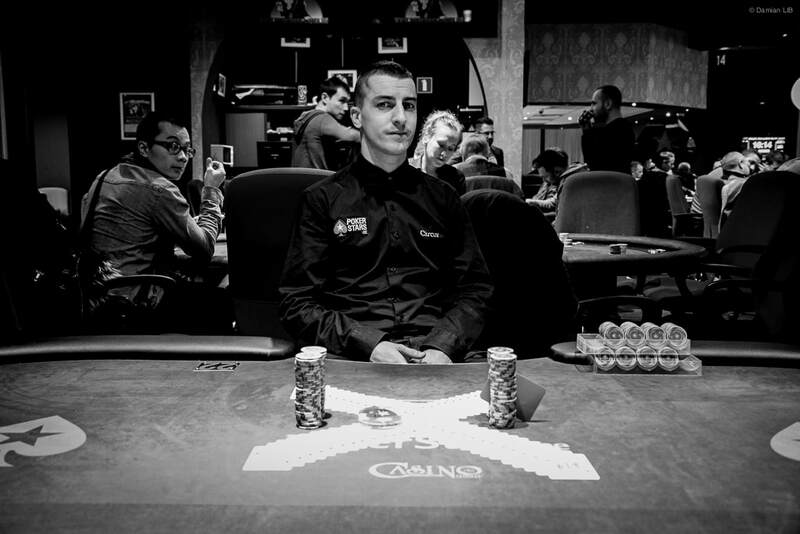 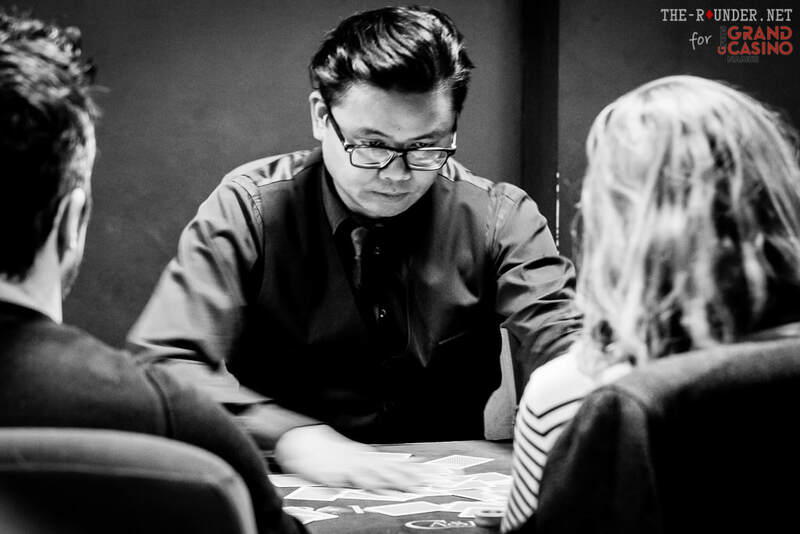 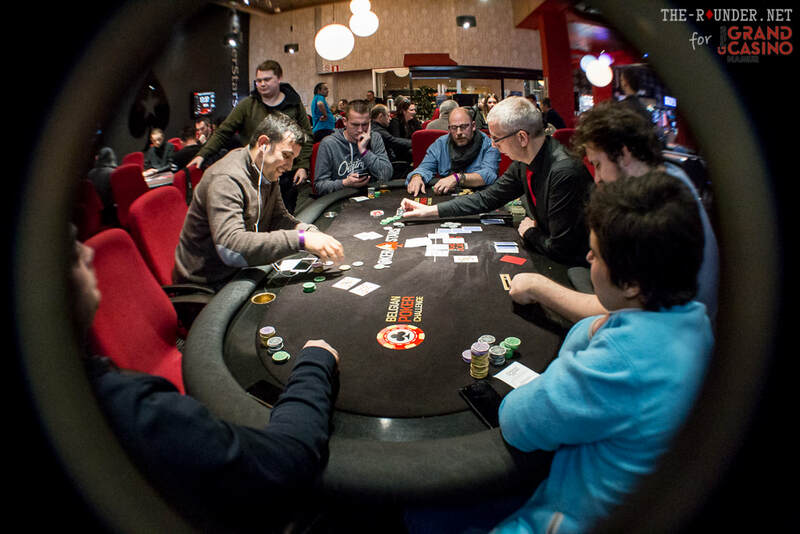 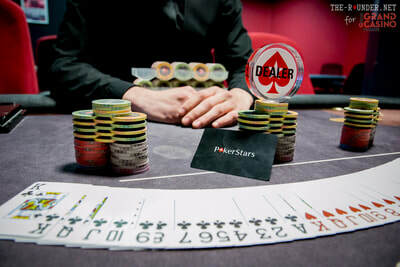 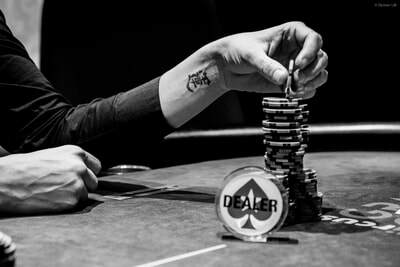 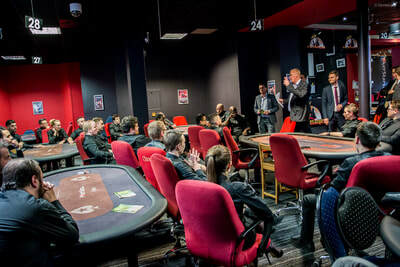 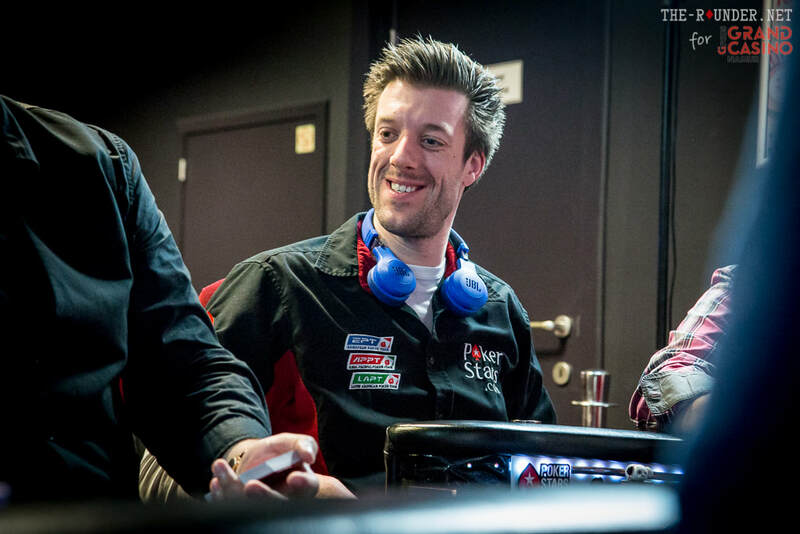 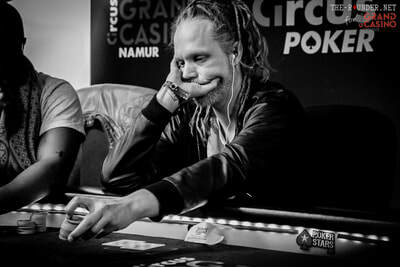 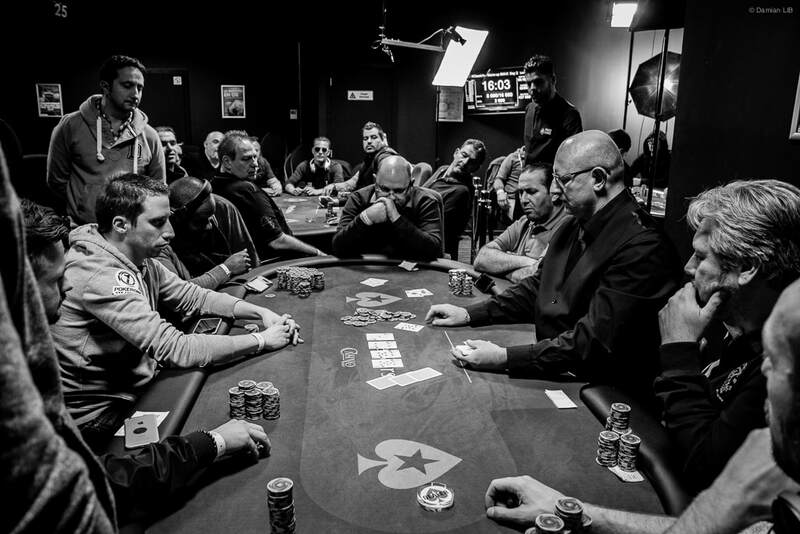 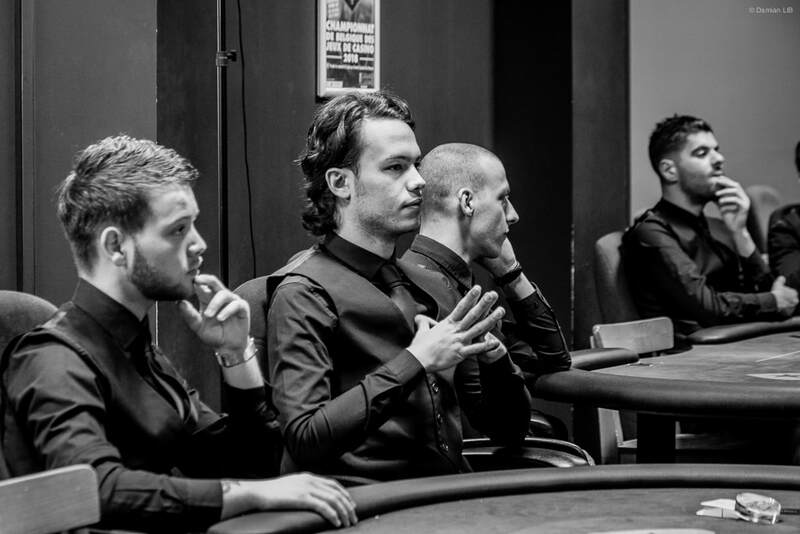 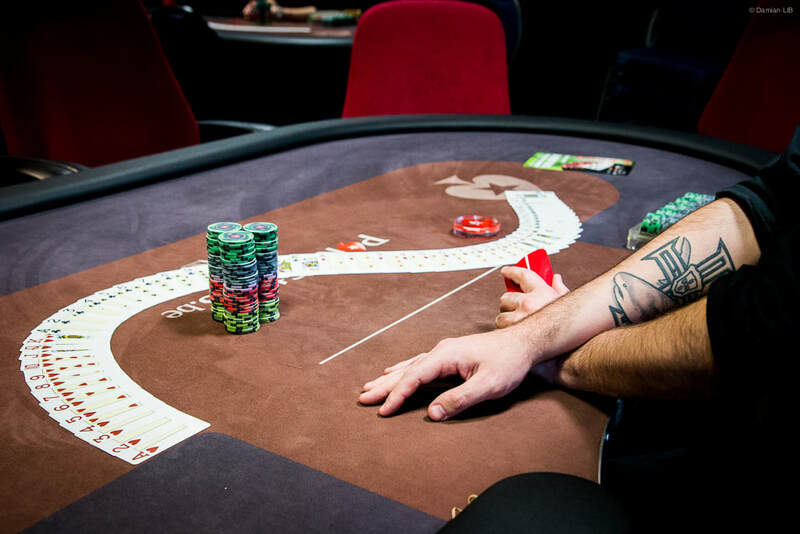 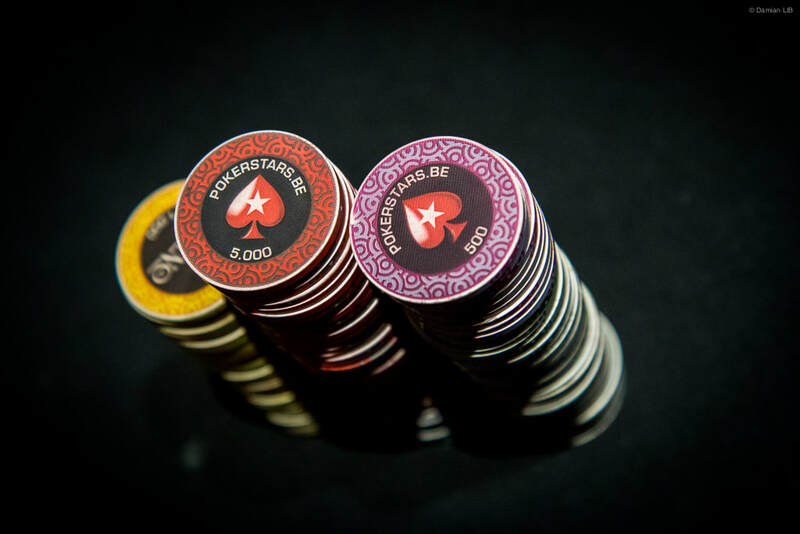 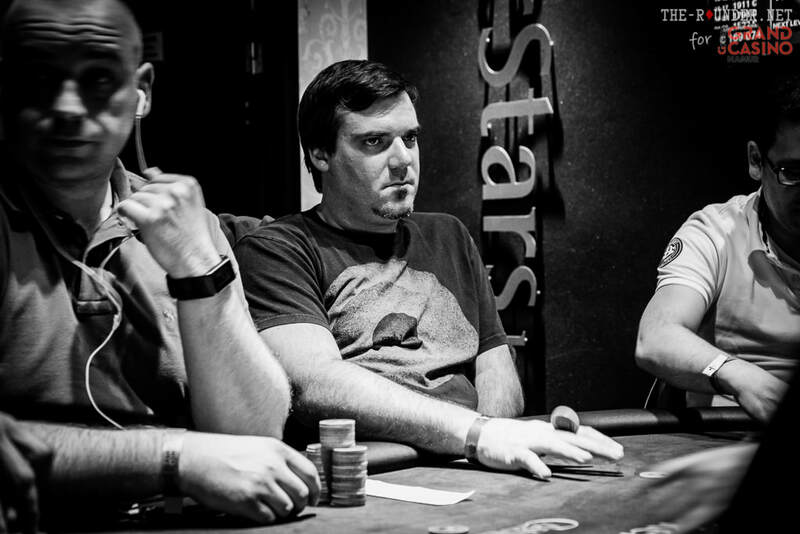 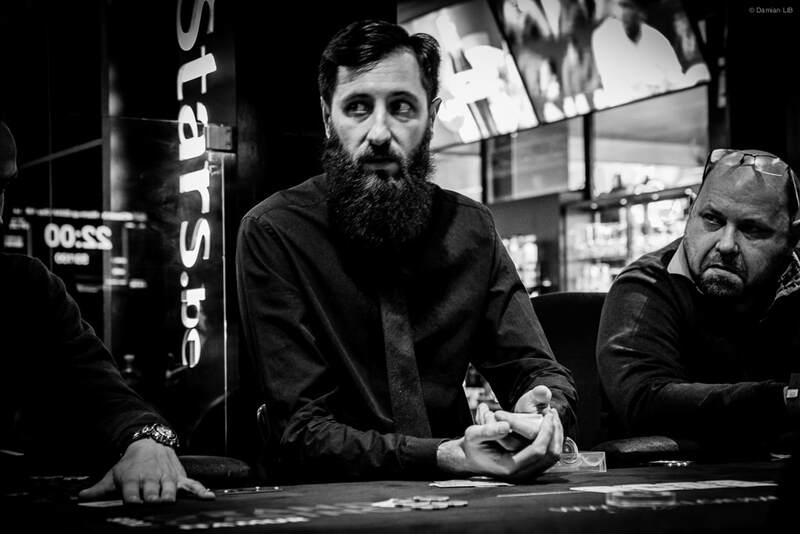 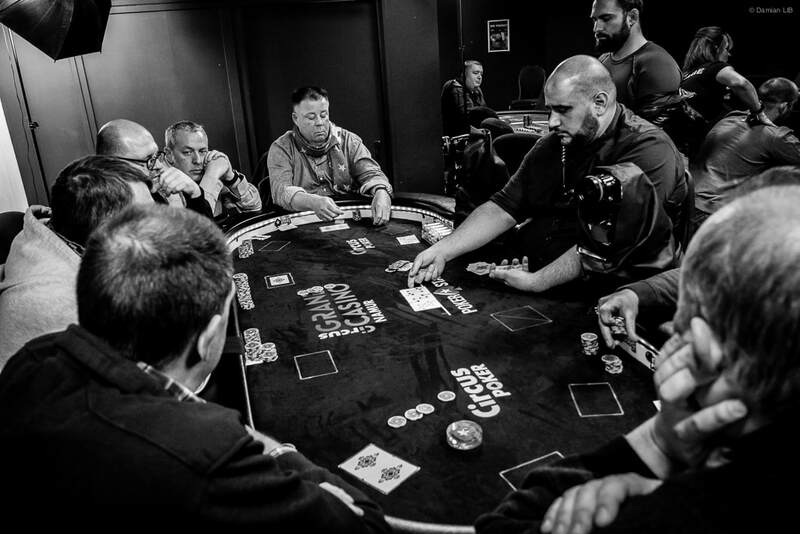 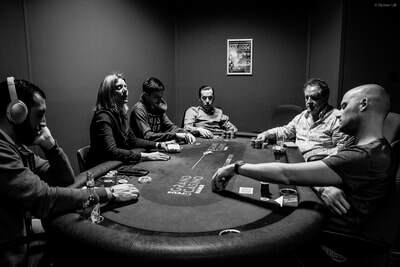 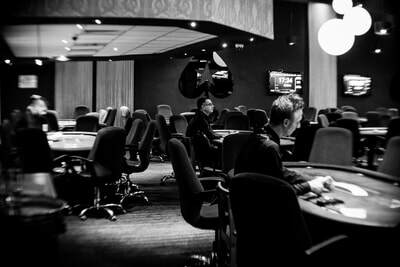 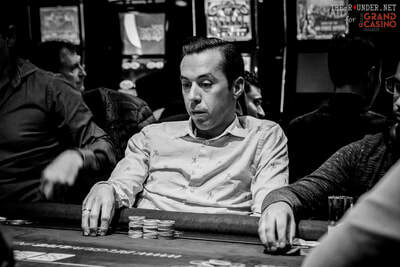 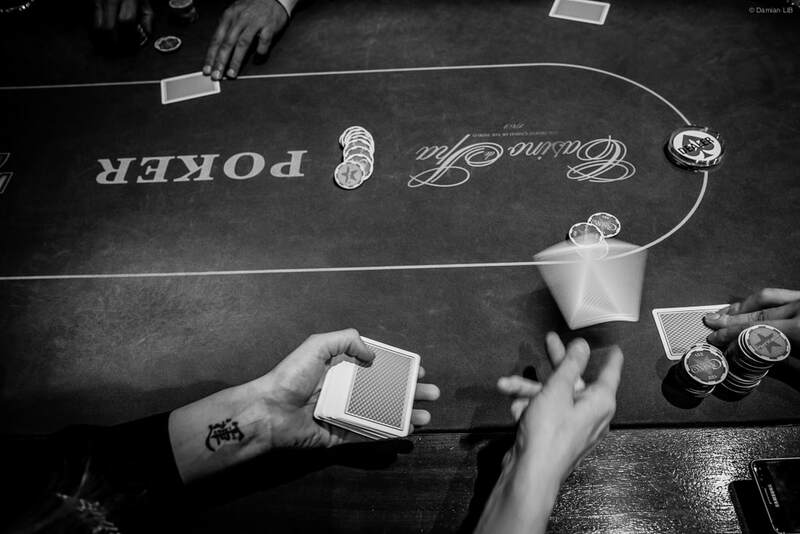 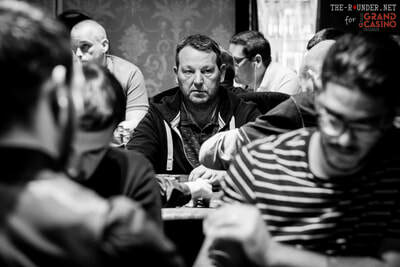 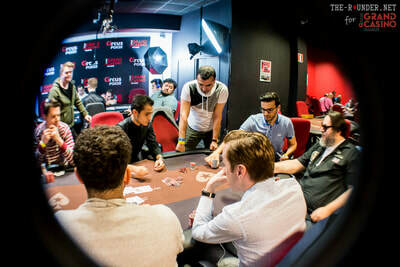 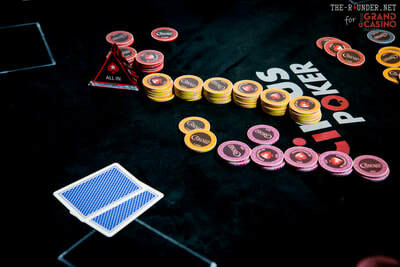 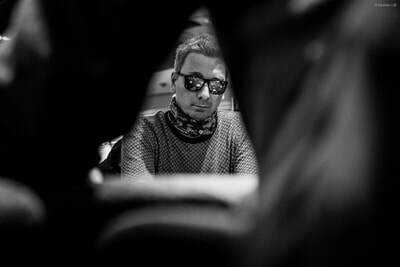 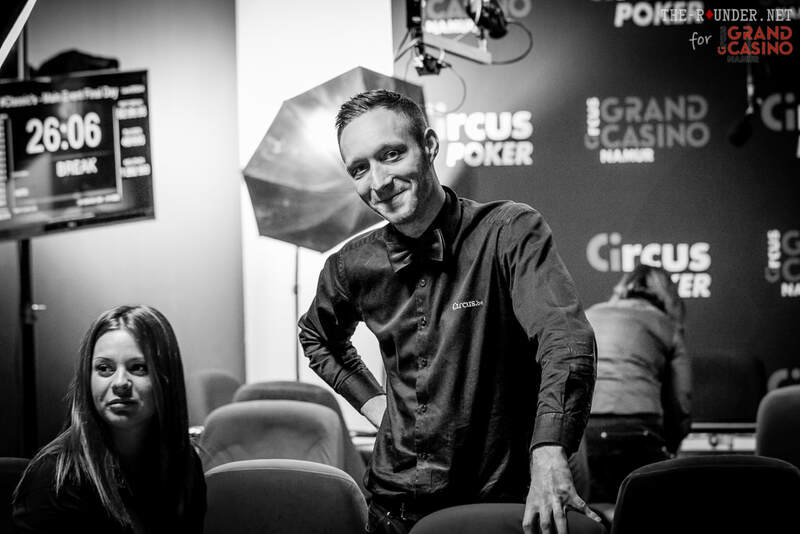 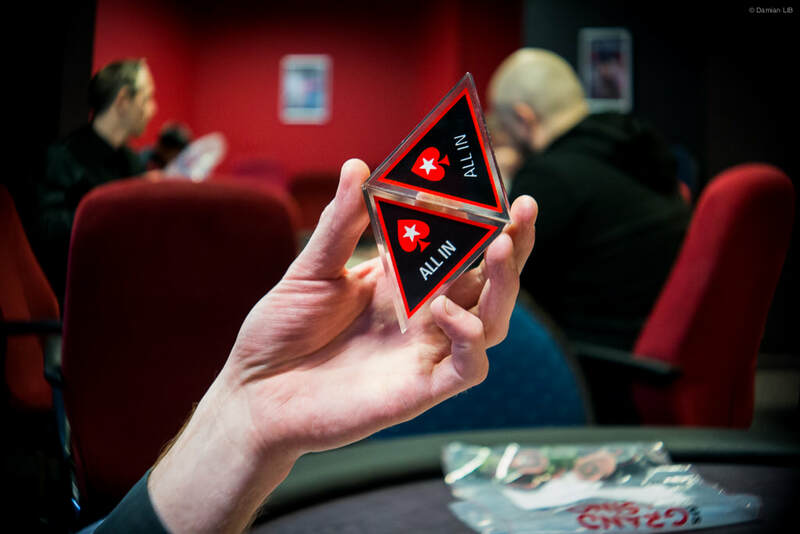 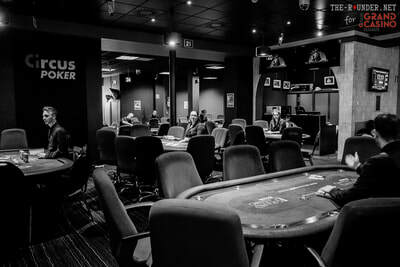 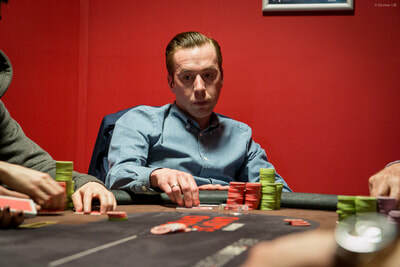 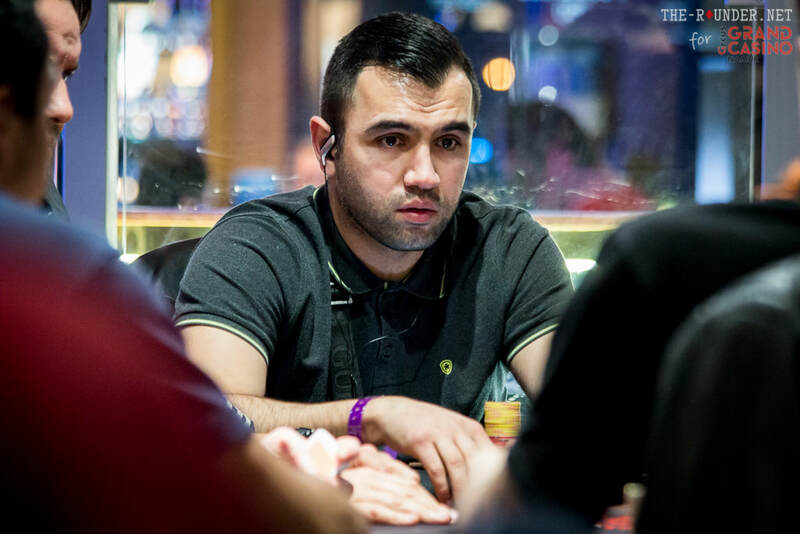 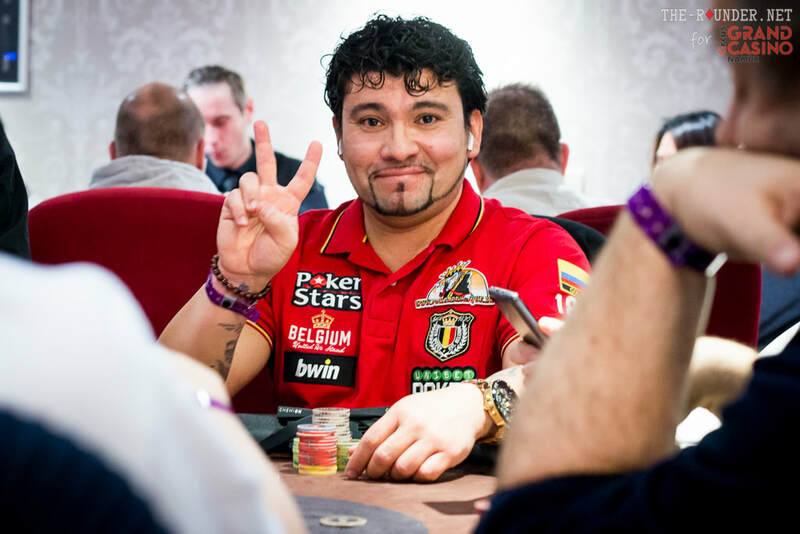 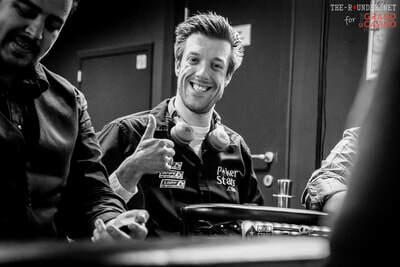 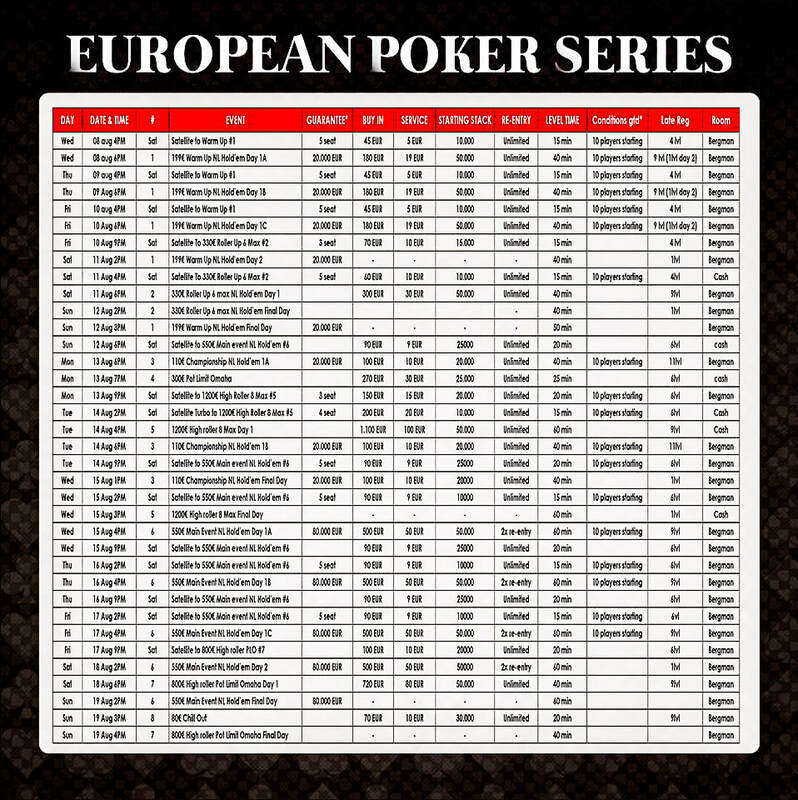 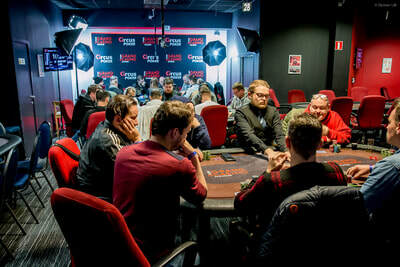 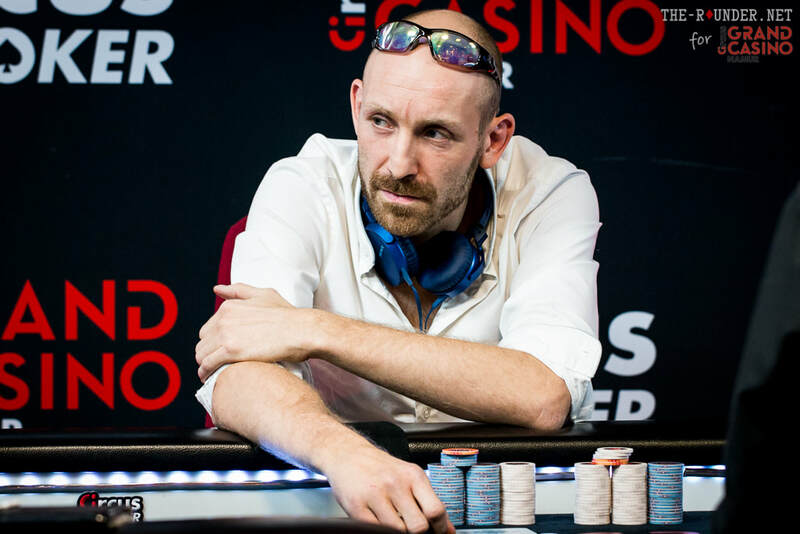 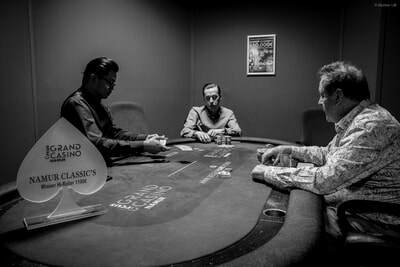 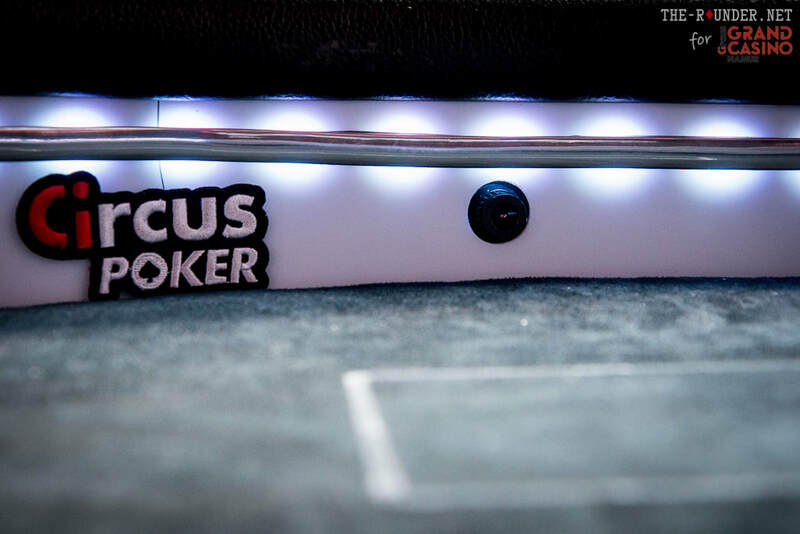 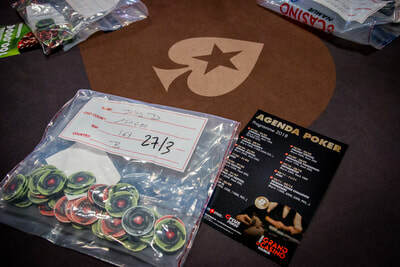 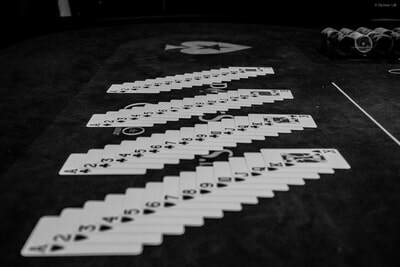 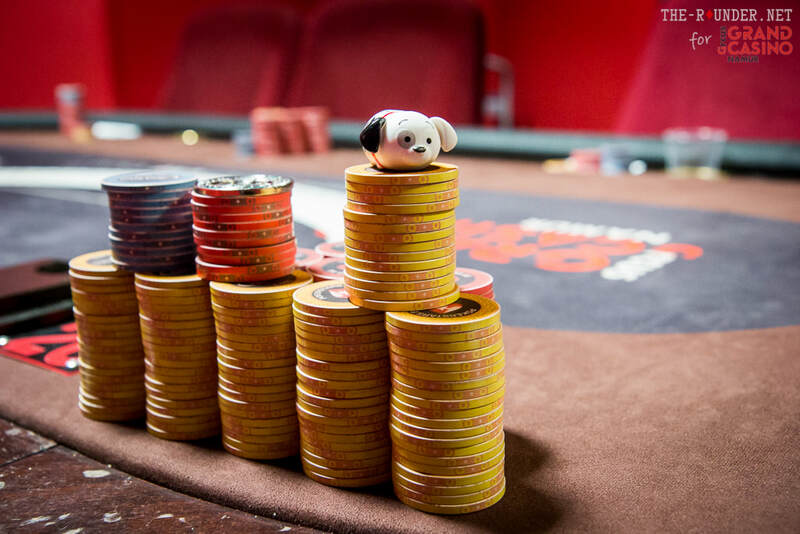 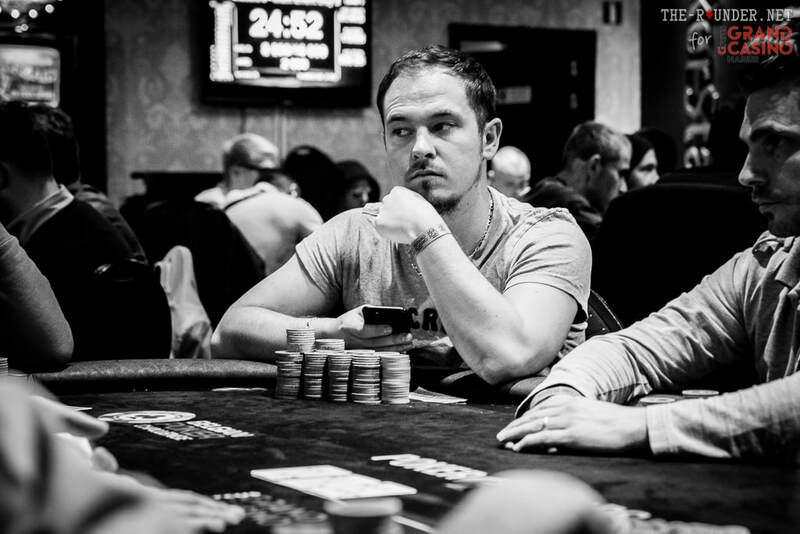 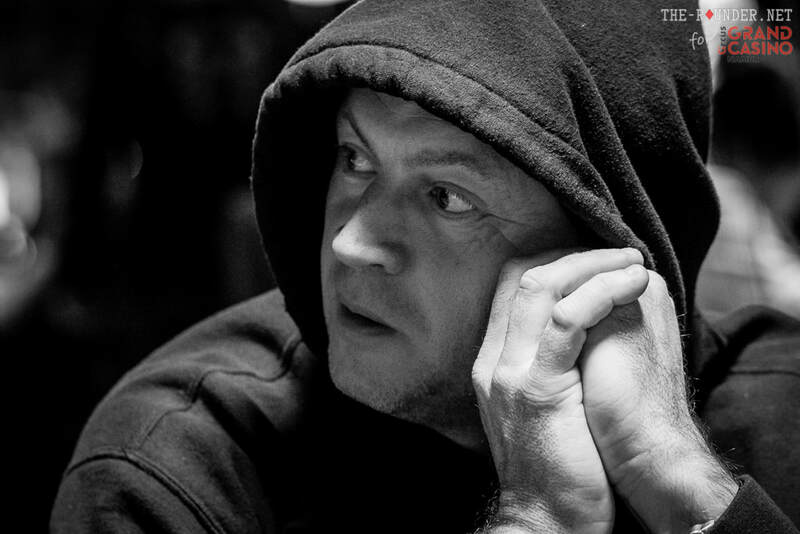 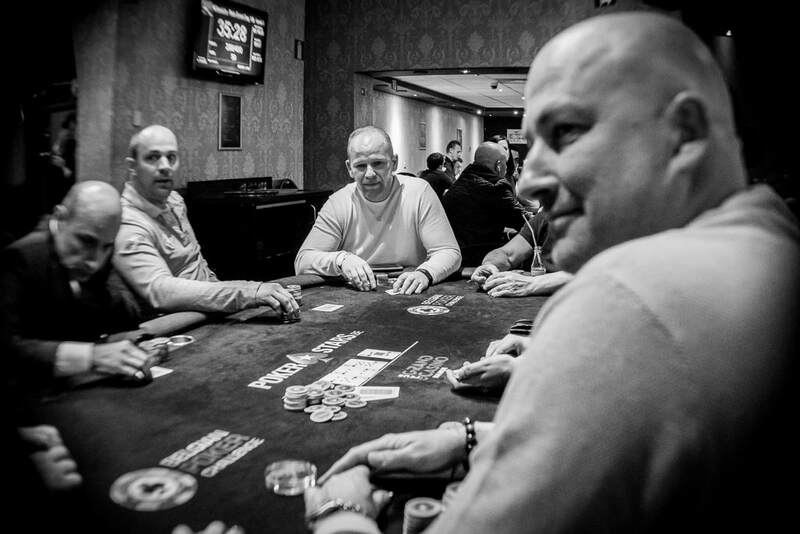 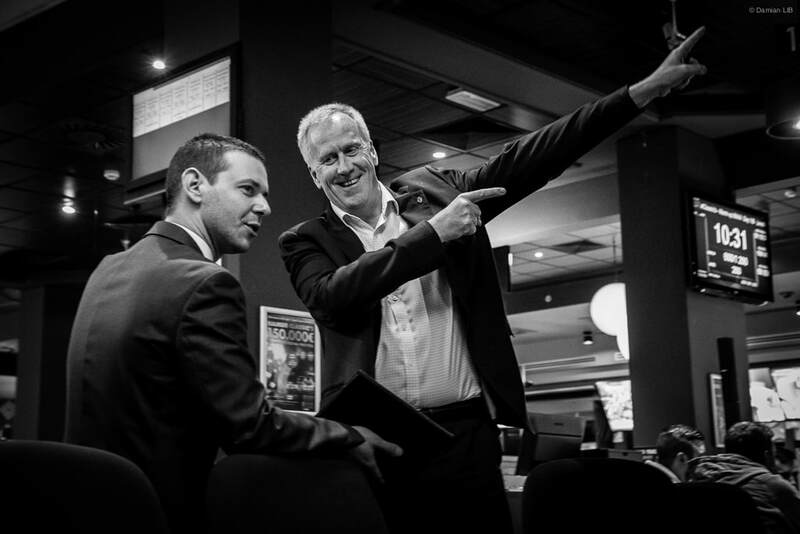 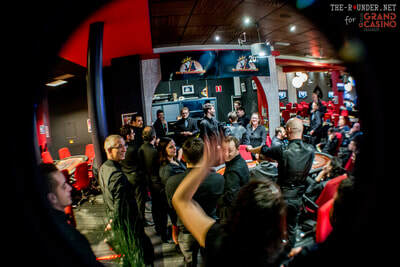 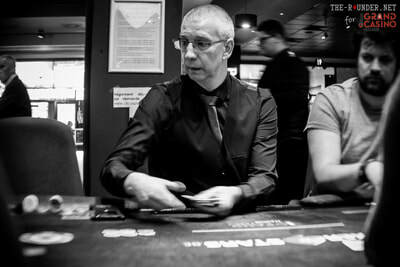 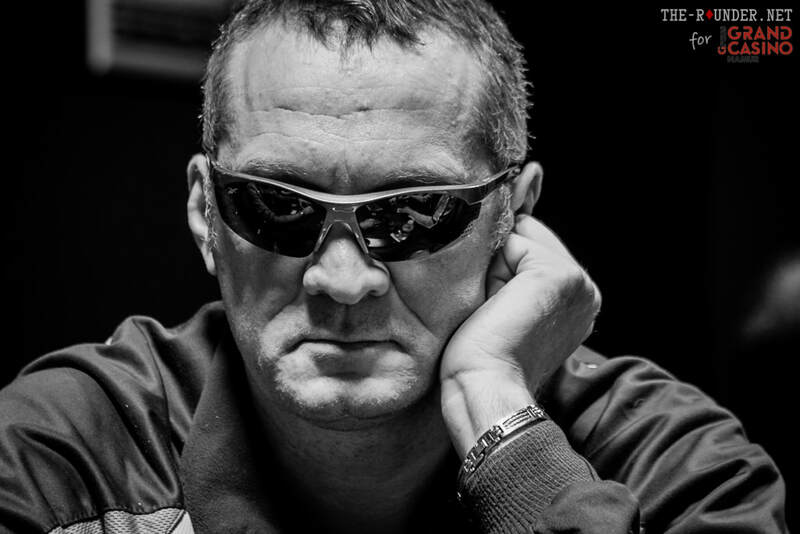 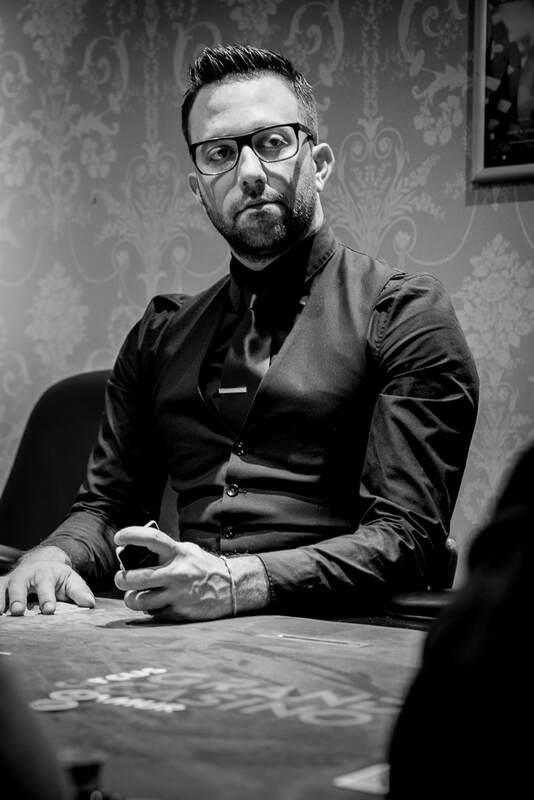 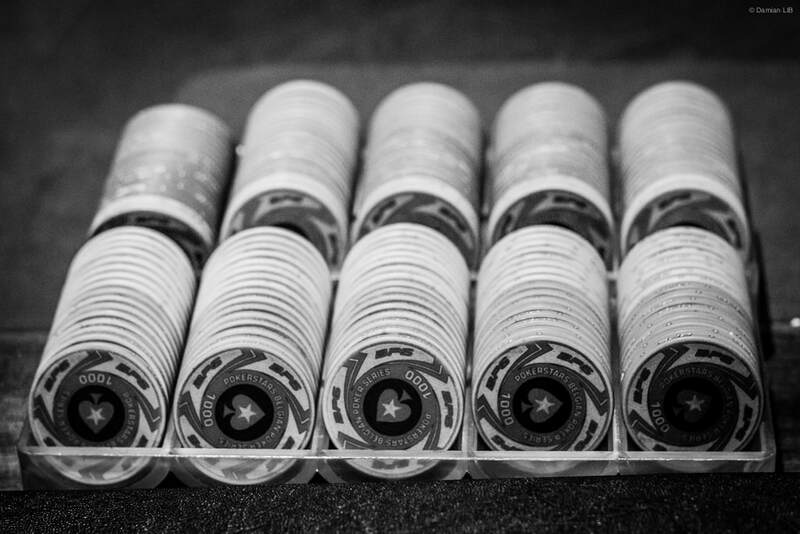 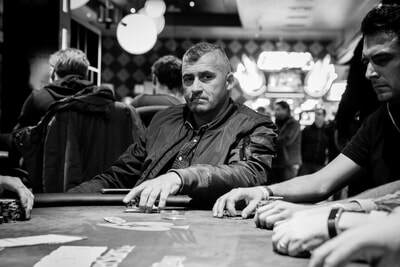 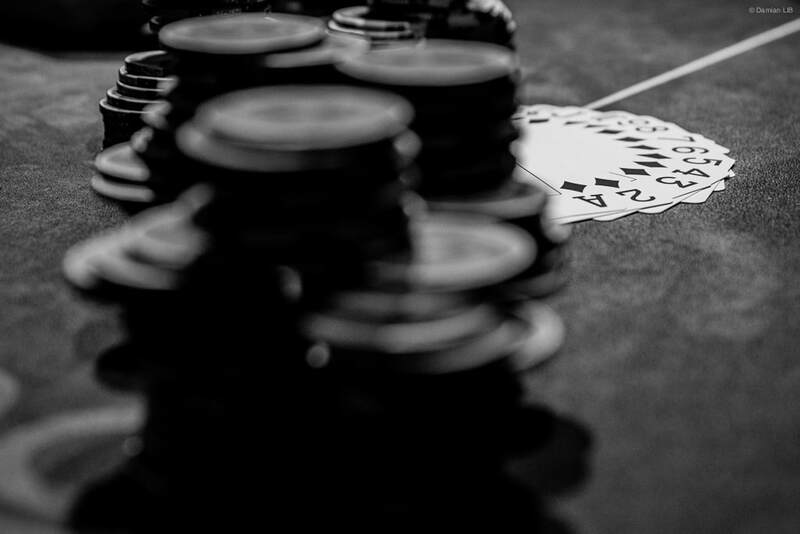 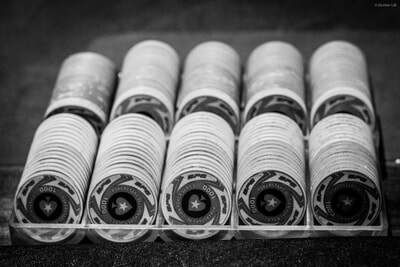 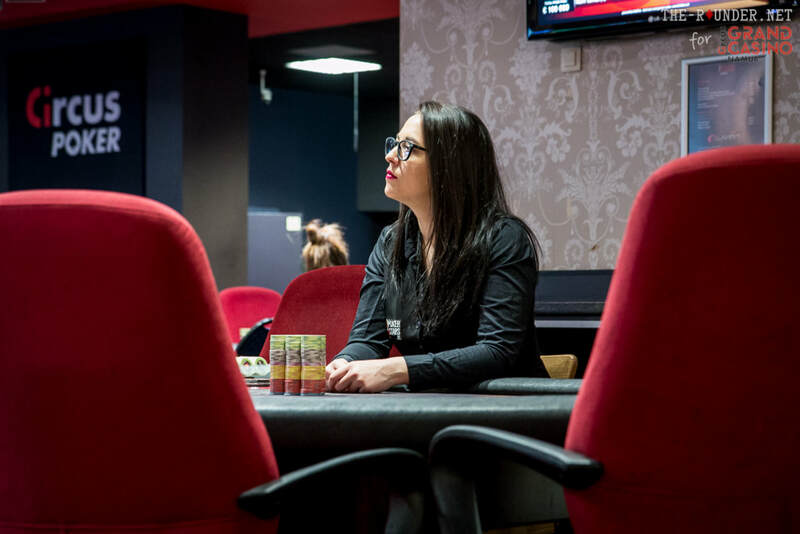 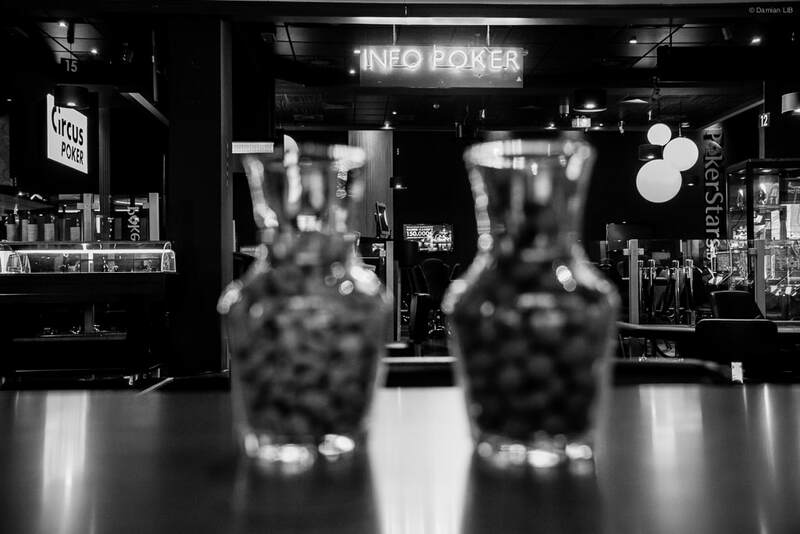 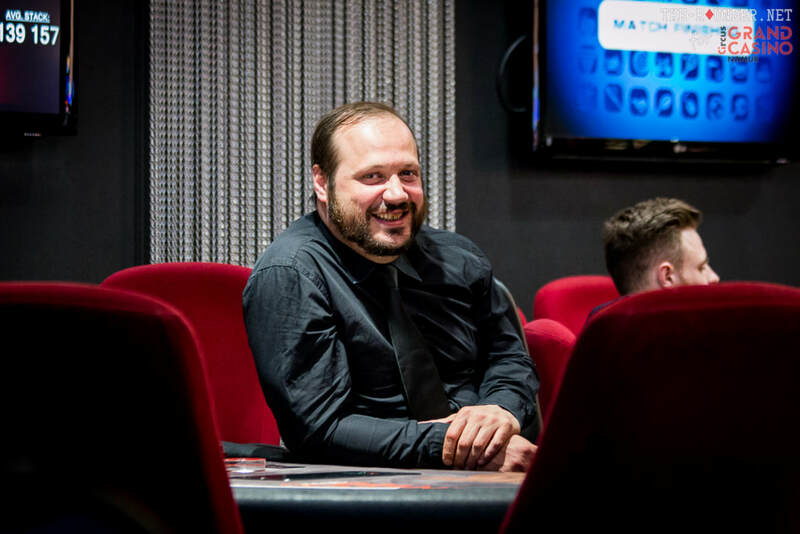 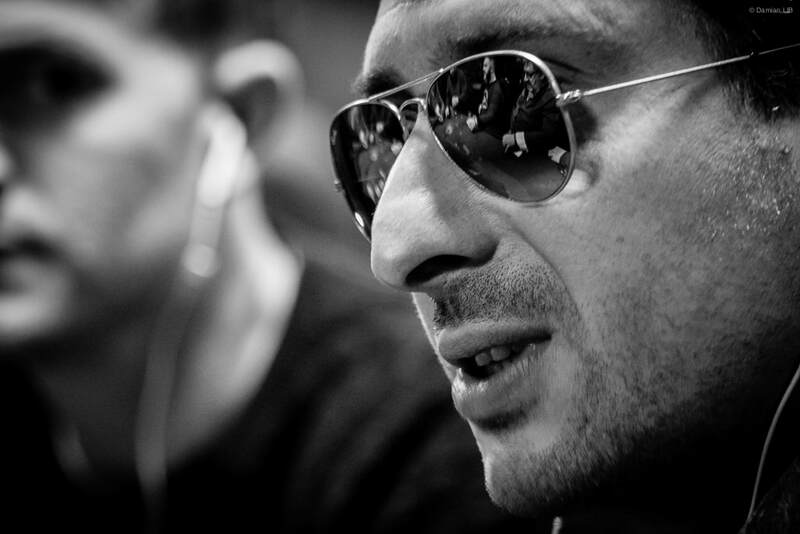 For all information, you can get in touch with the EPS team via info@european-pokerseries.com . 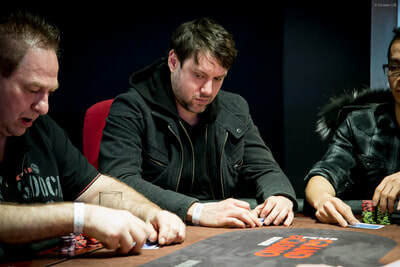 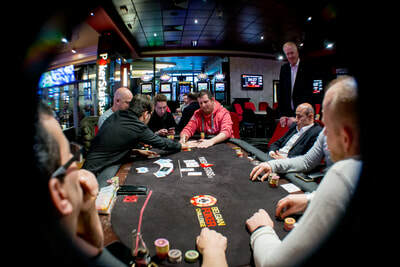 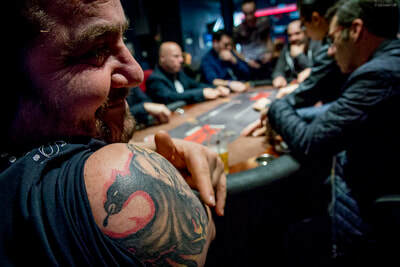 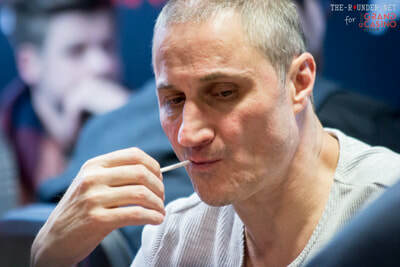 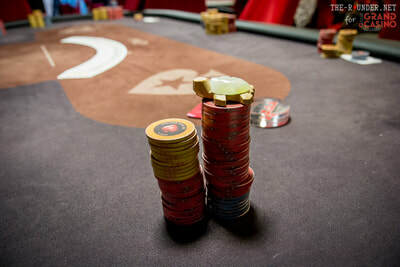 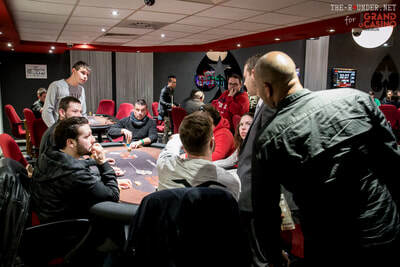 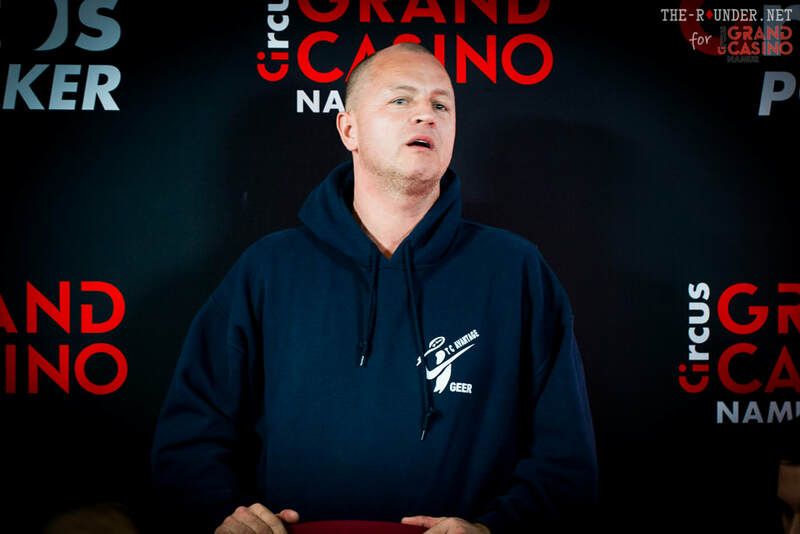 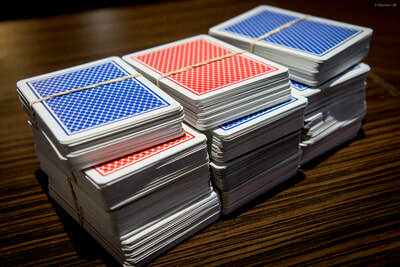 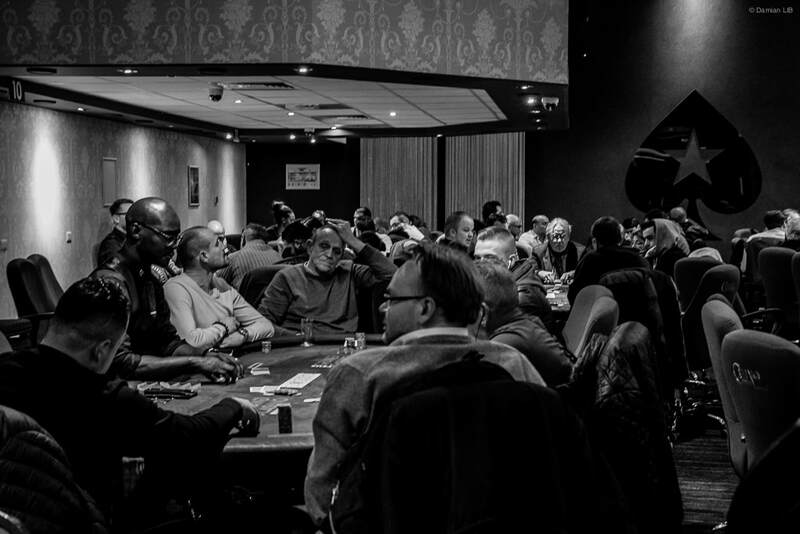 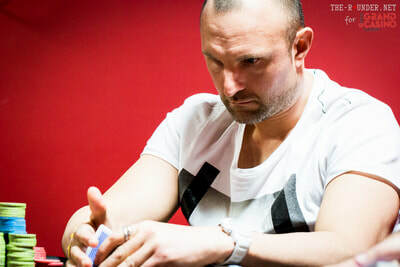 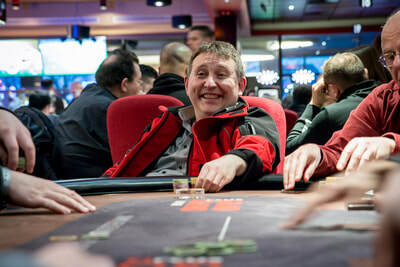 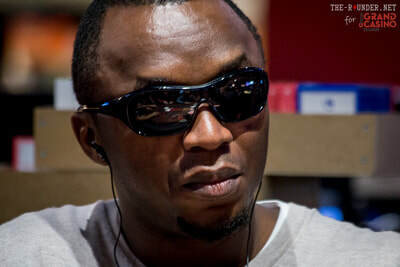 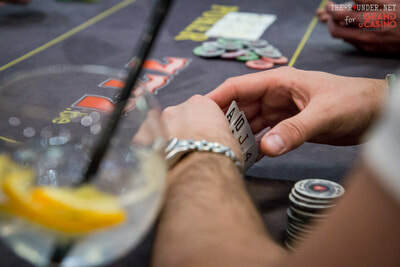 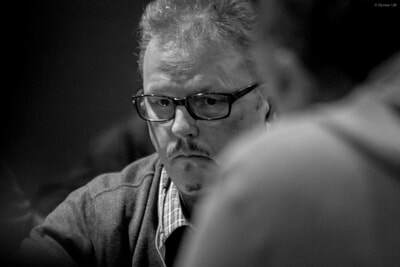 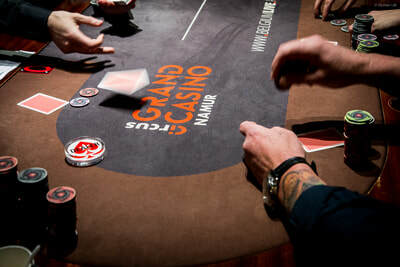 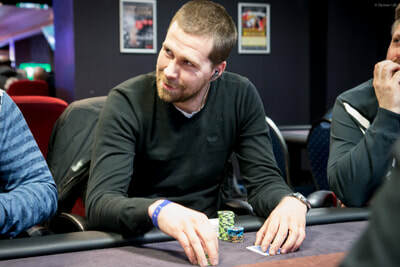 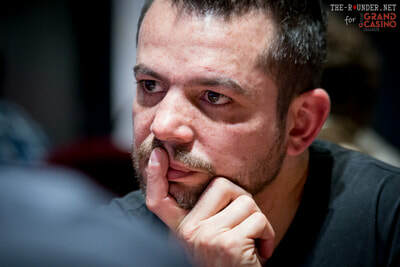 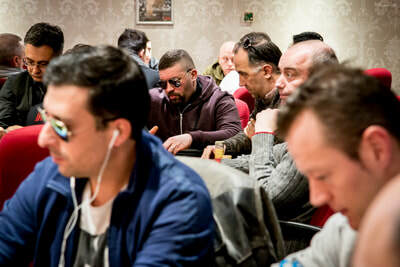 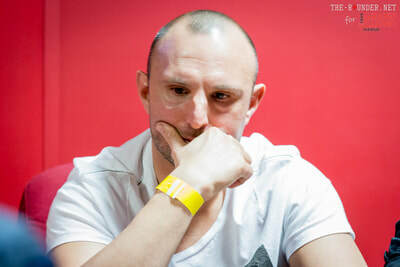 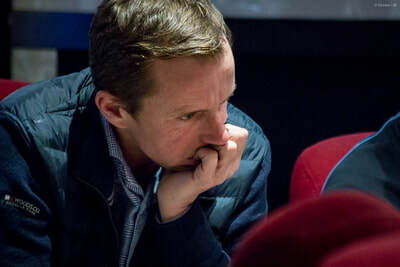 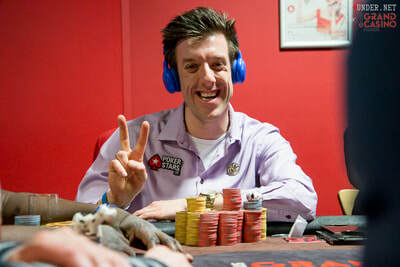 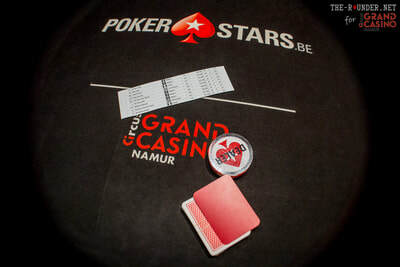 You can also follow the updates on Facebook under www.facebook.com/Europokerseries/ . 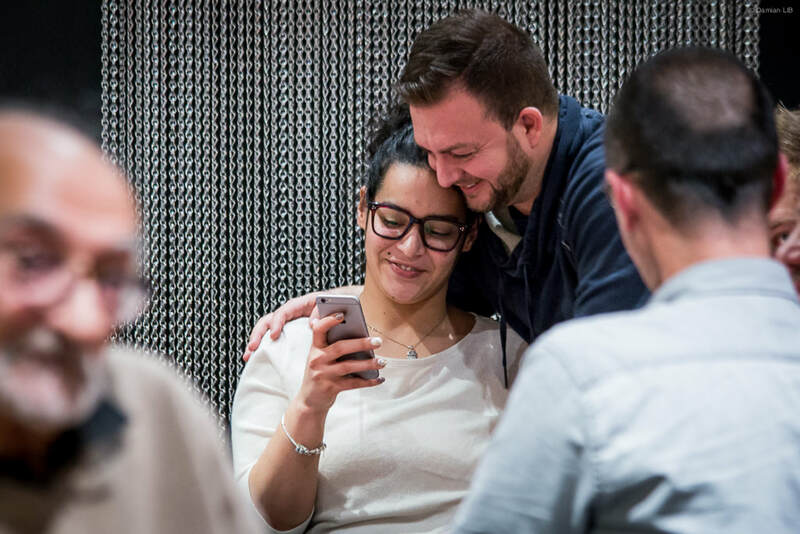 All results are available on the King's website and will find a ton of photo/video material online on the SPF website or on their Facebook page. 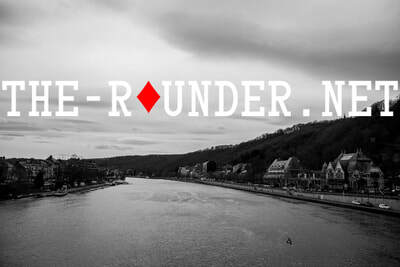 My photos are archived in the PHOTOS & COVERAGES section here and also on the THE-ROUNDERdotnet Facebook page. 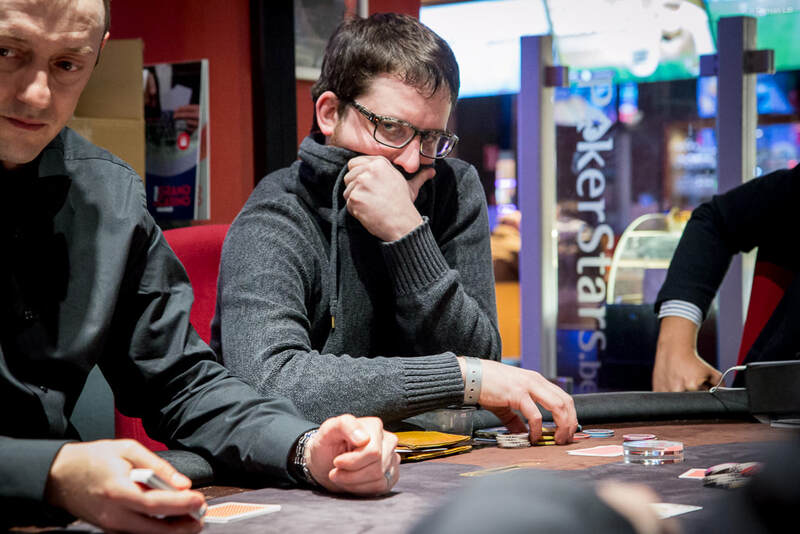 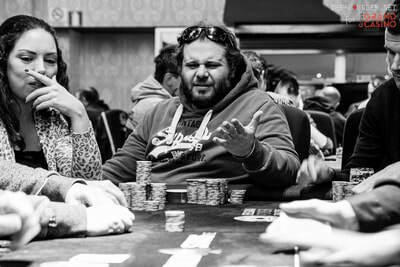 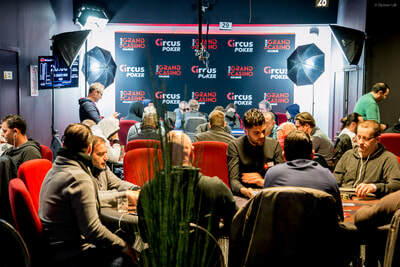 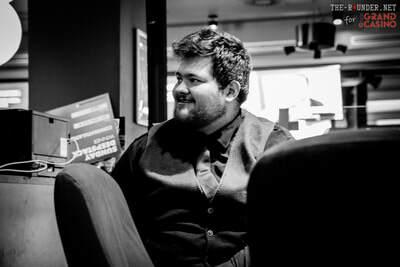 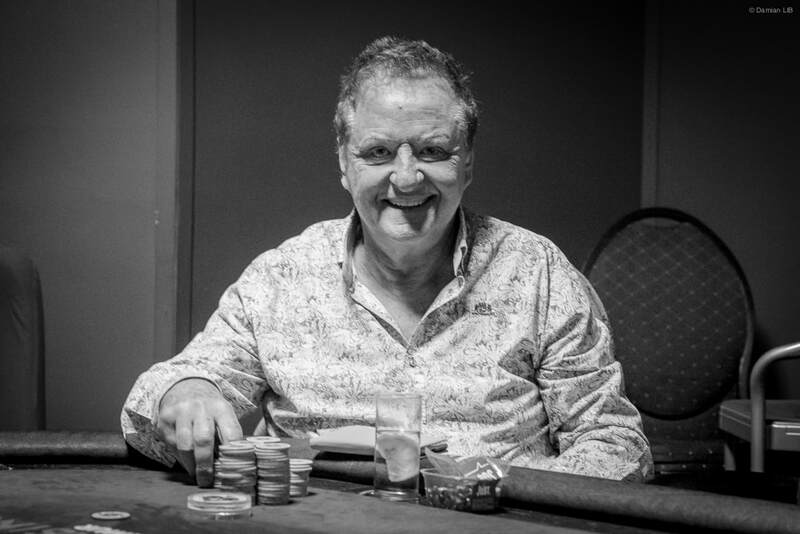 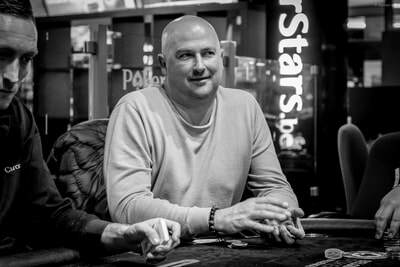 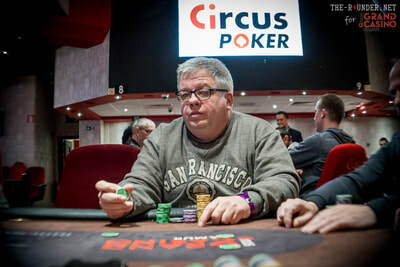 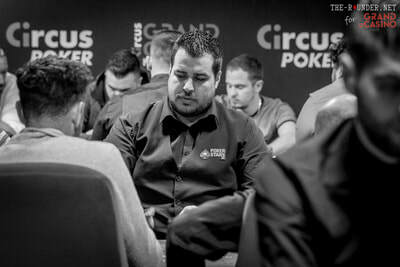 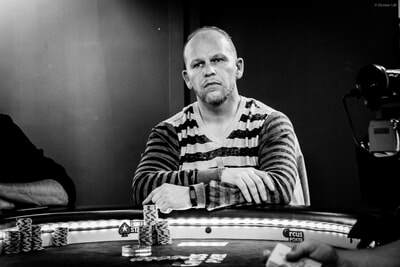 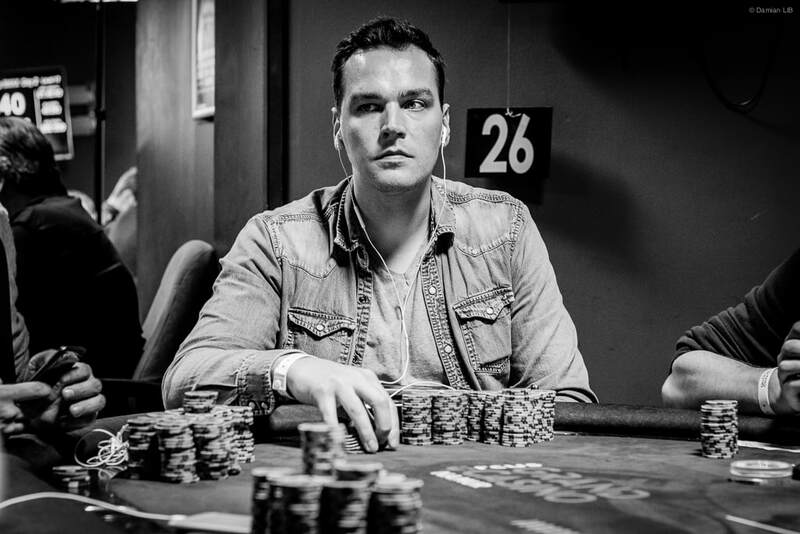 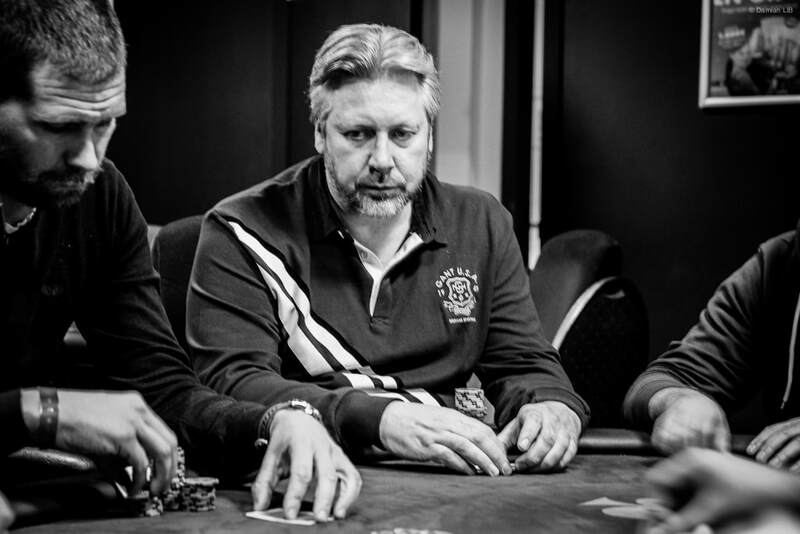 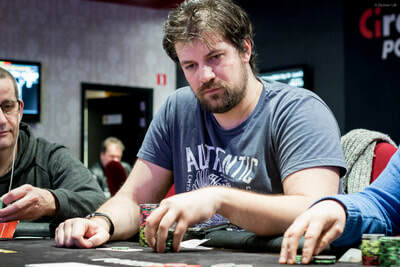 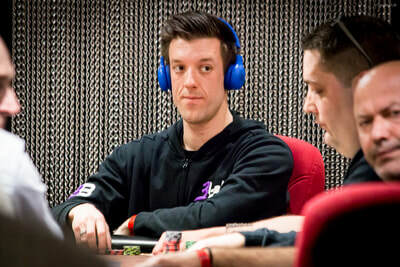 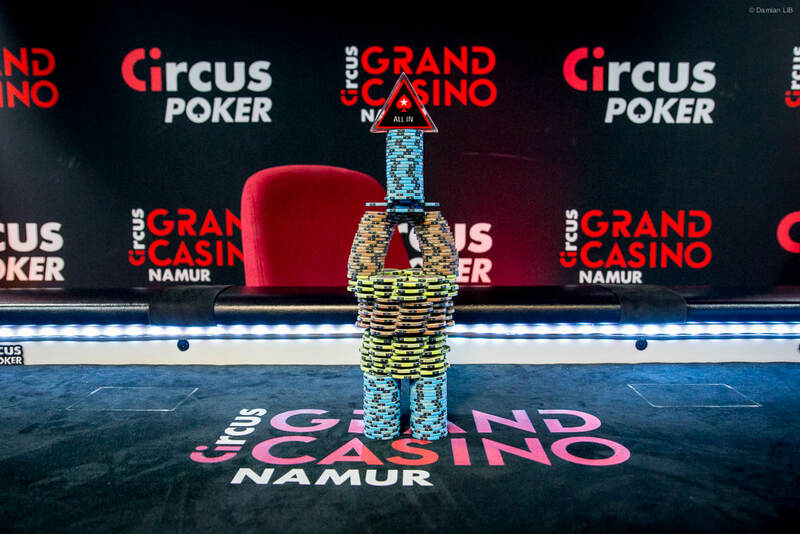 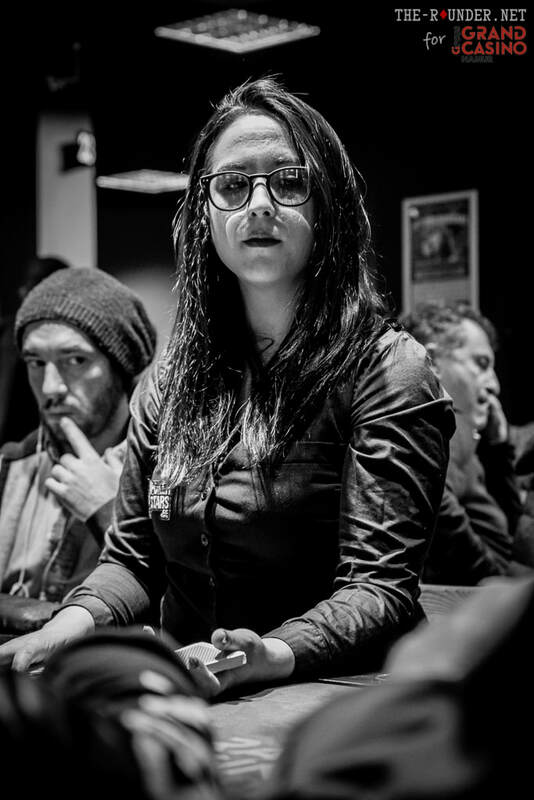 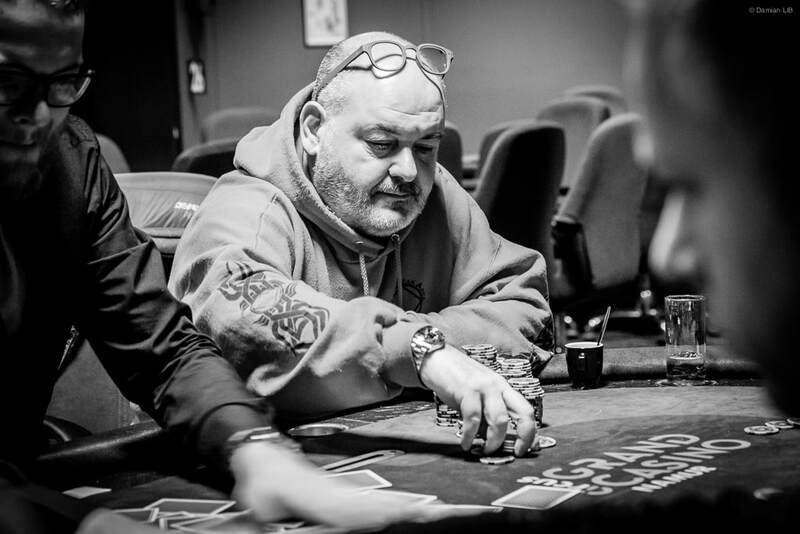 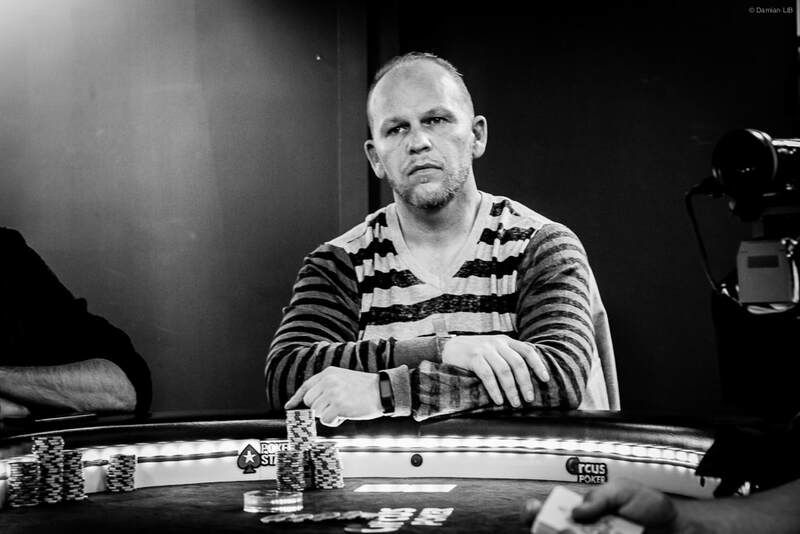 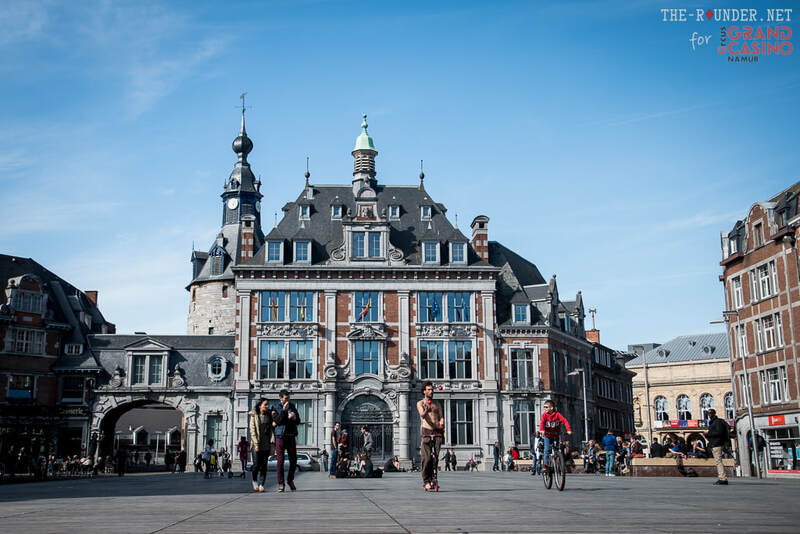 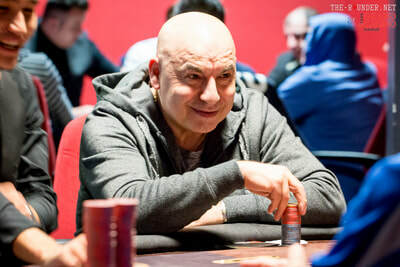 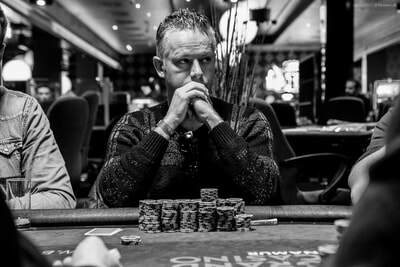 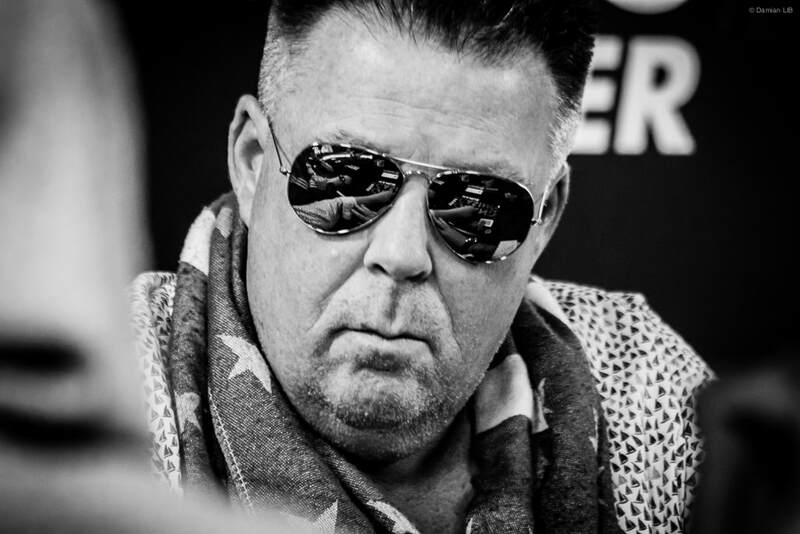 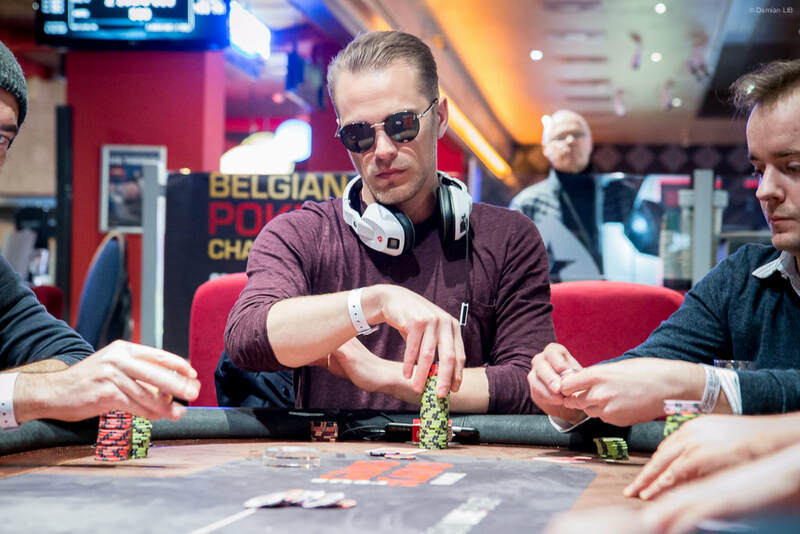 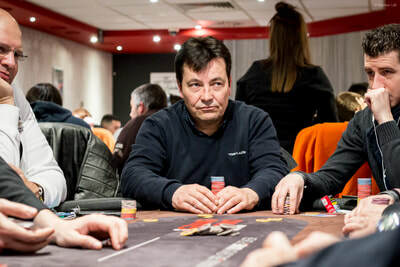 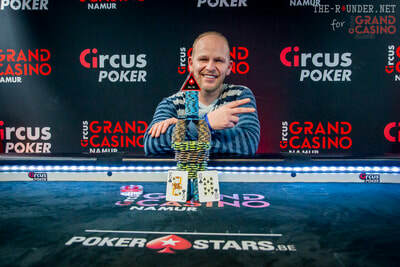 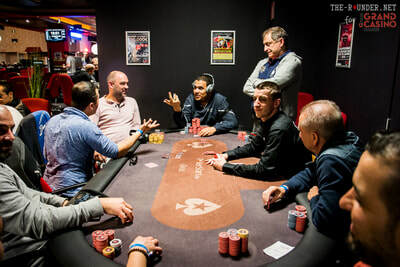 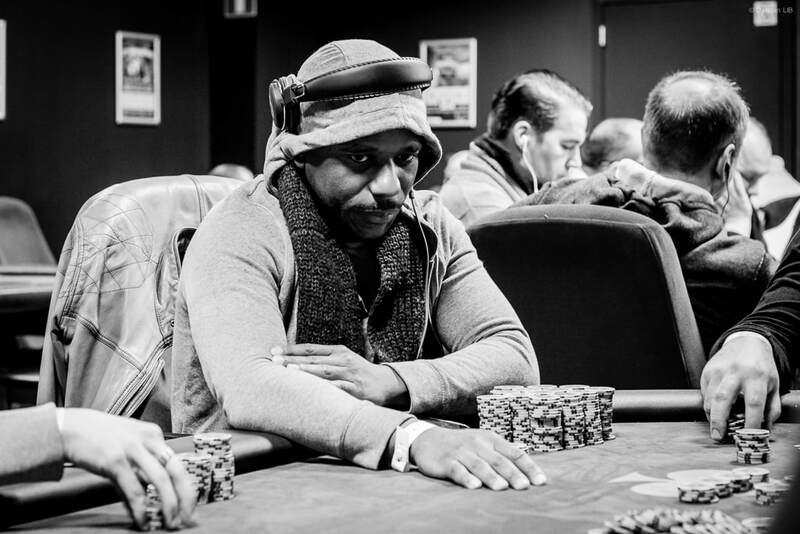 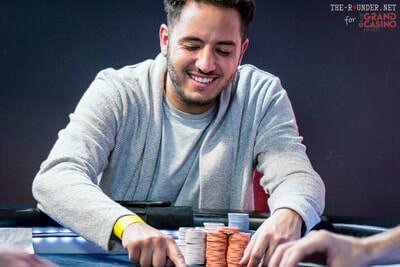 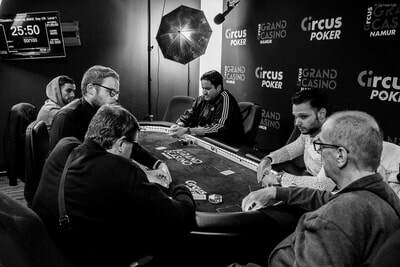 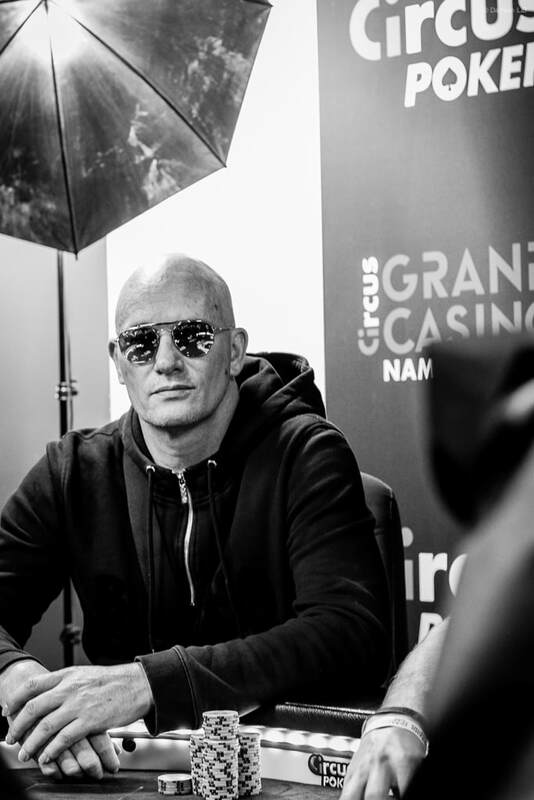 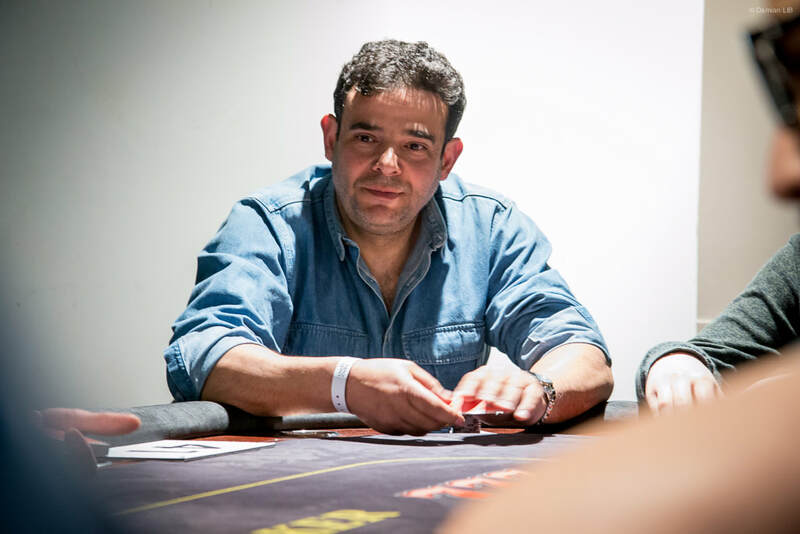 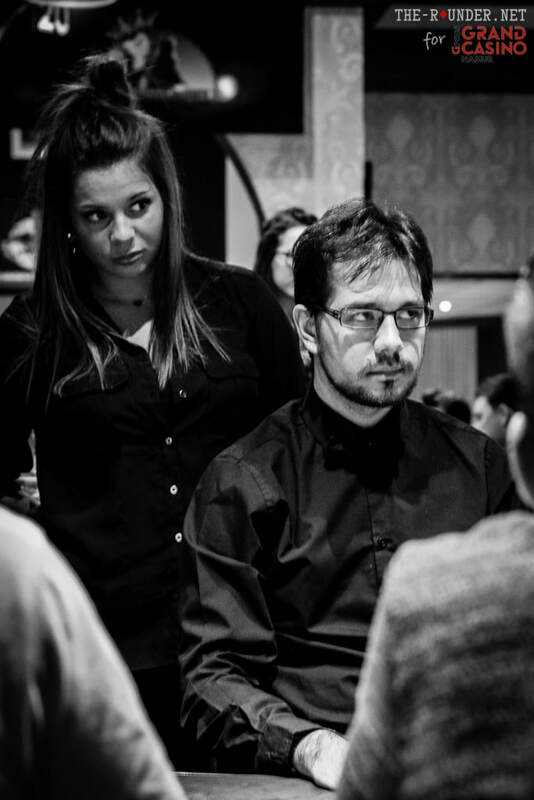 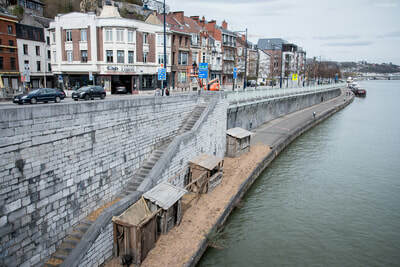 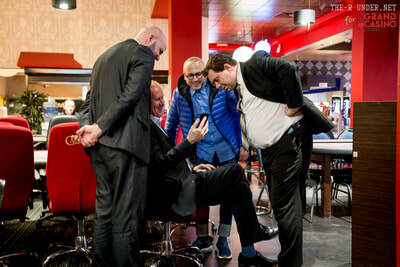 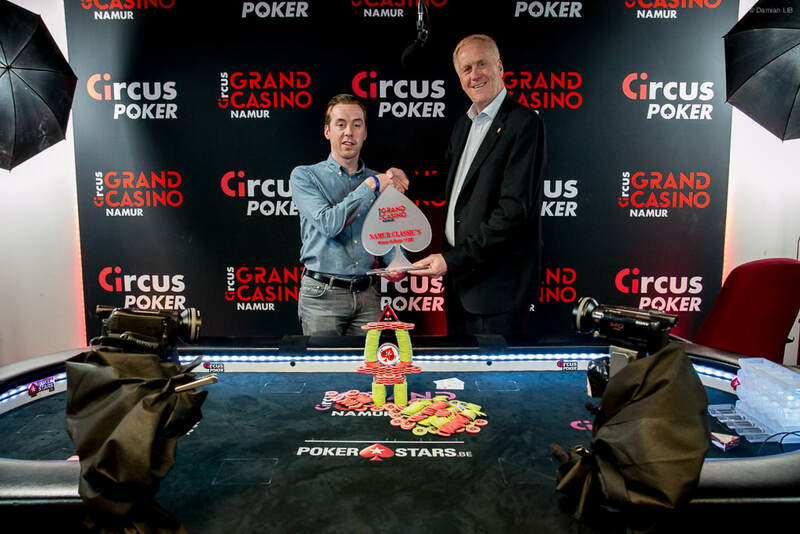 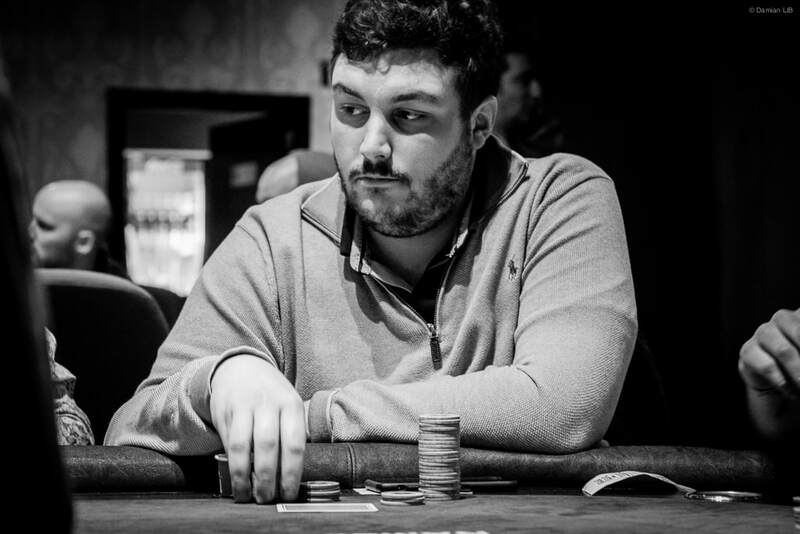 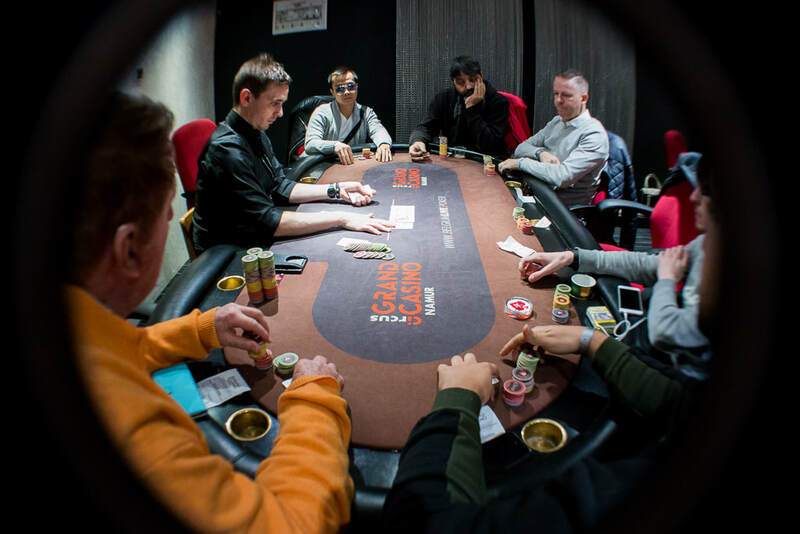 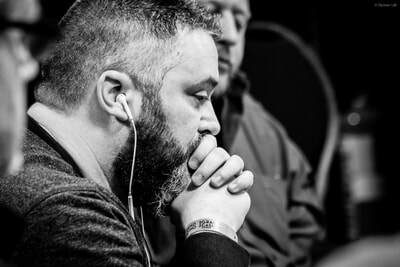 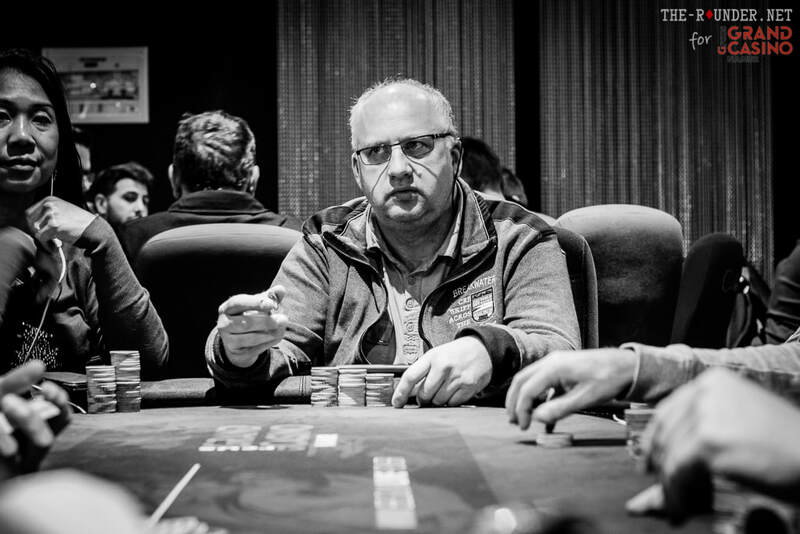 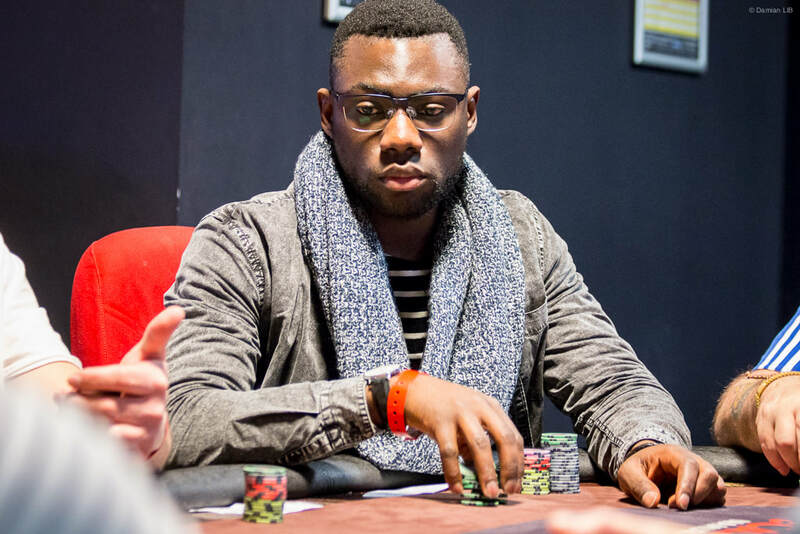 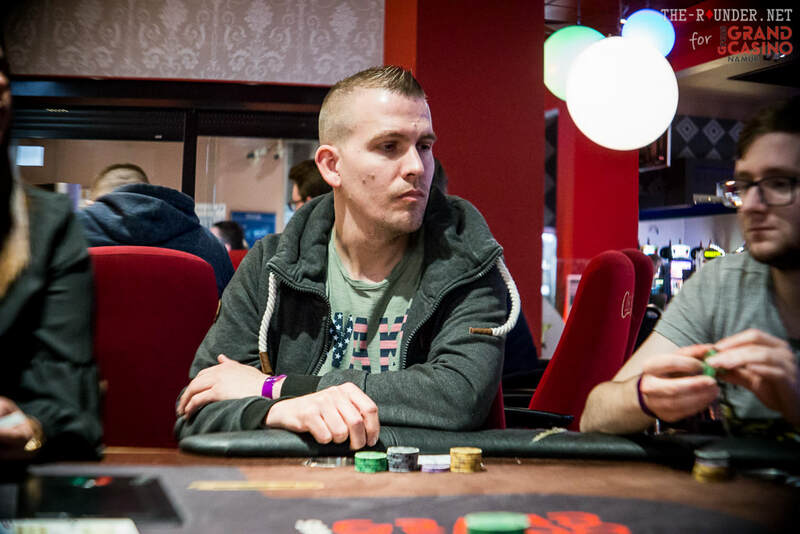 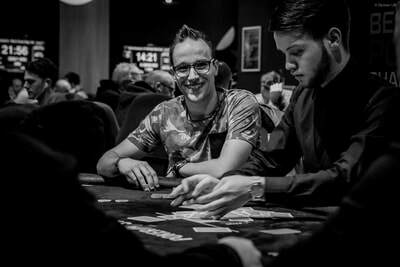 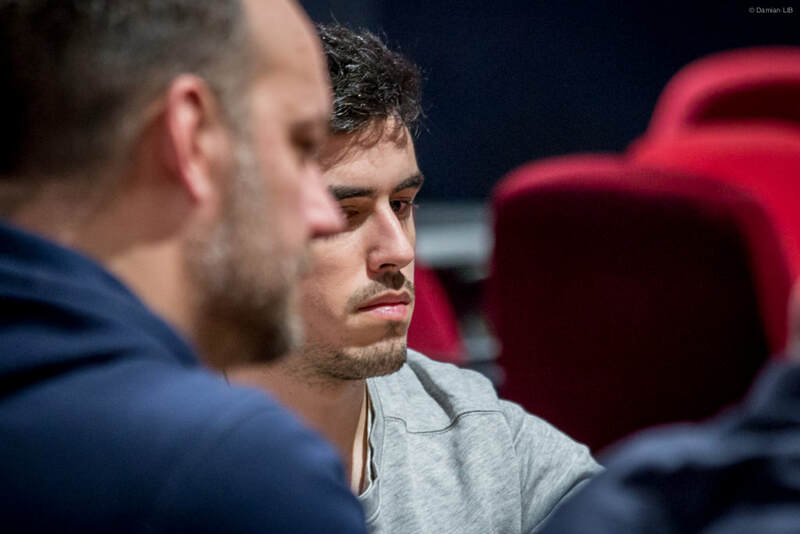 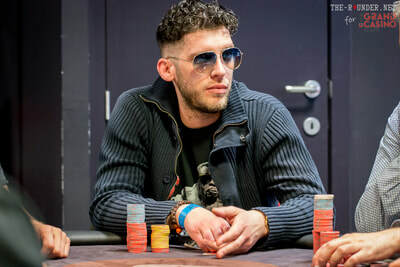 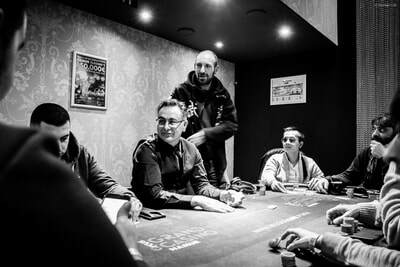 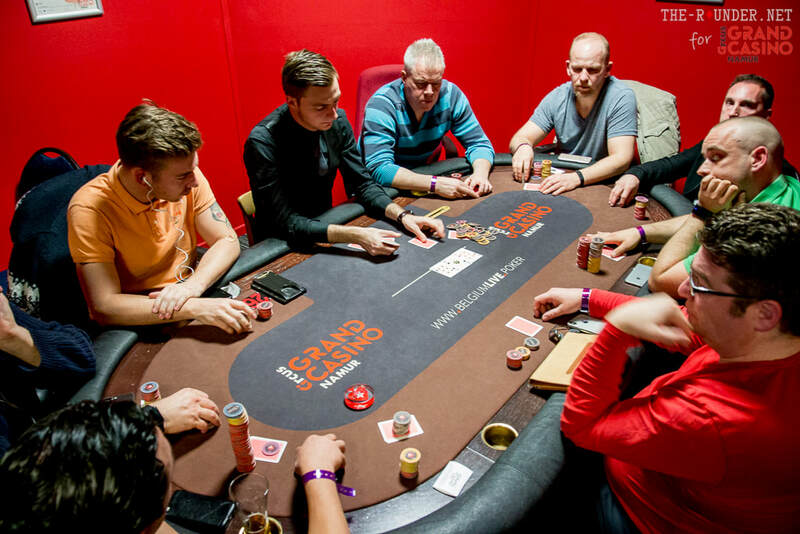 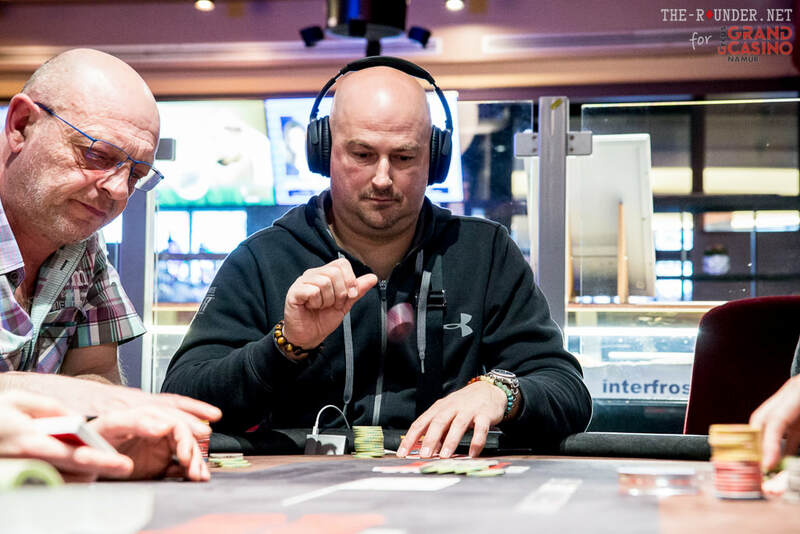 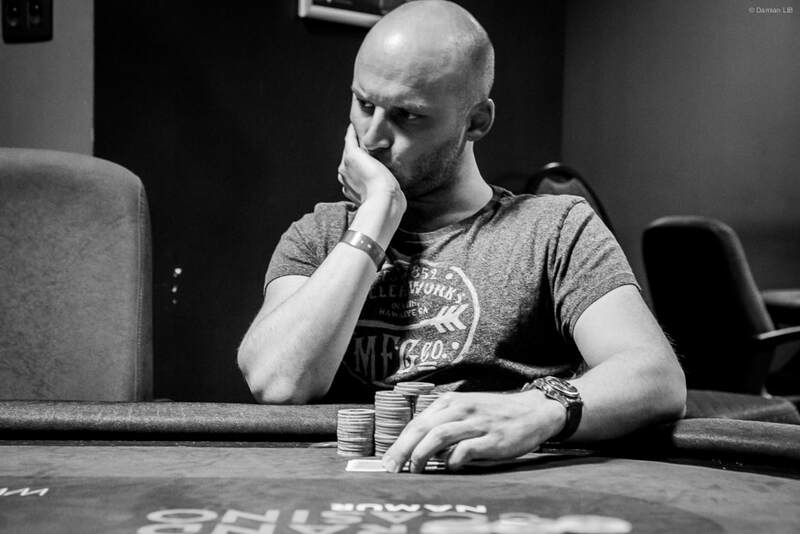 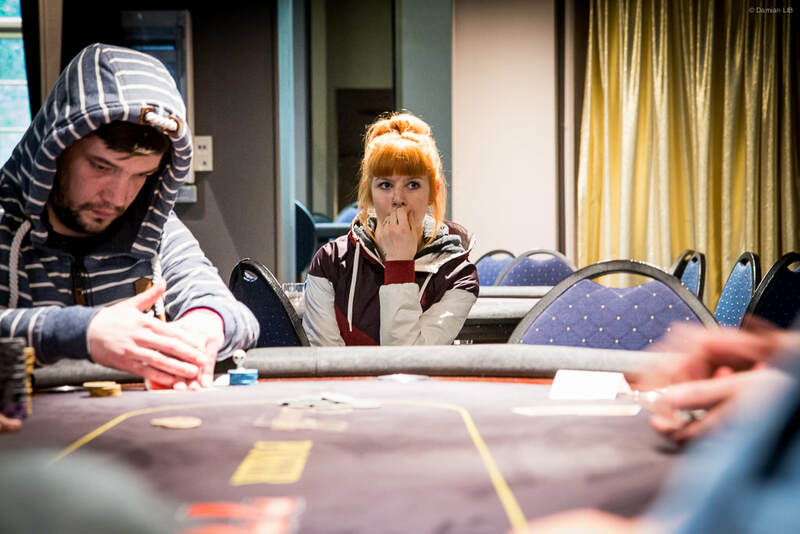 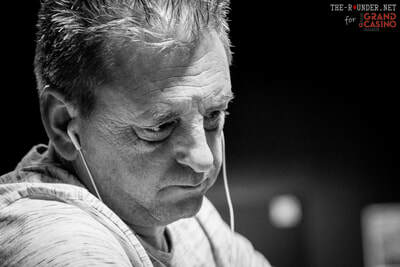 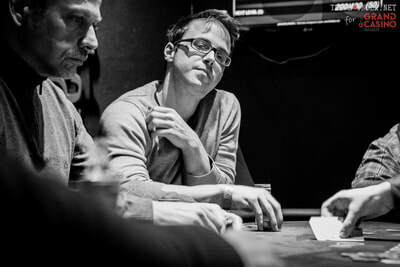 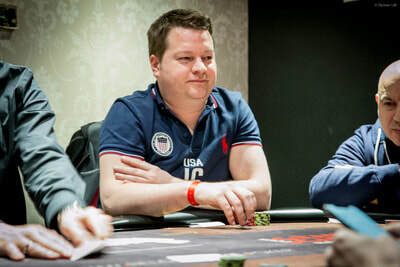 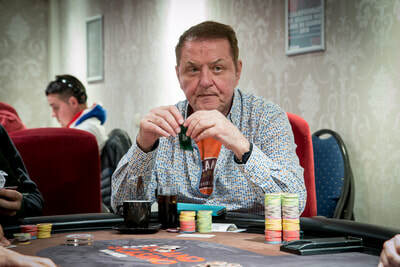 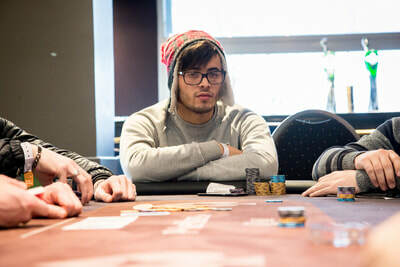 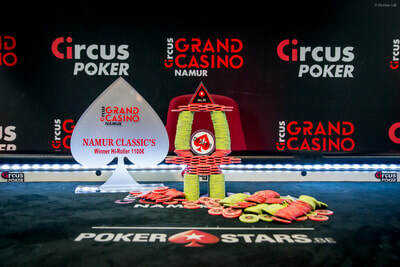 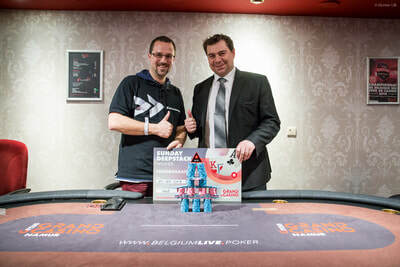 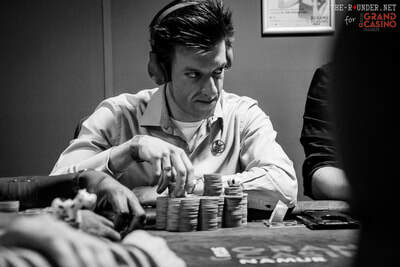 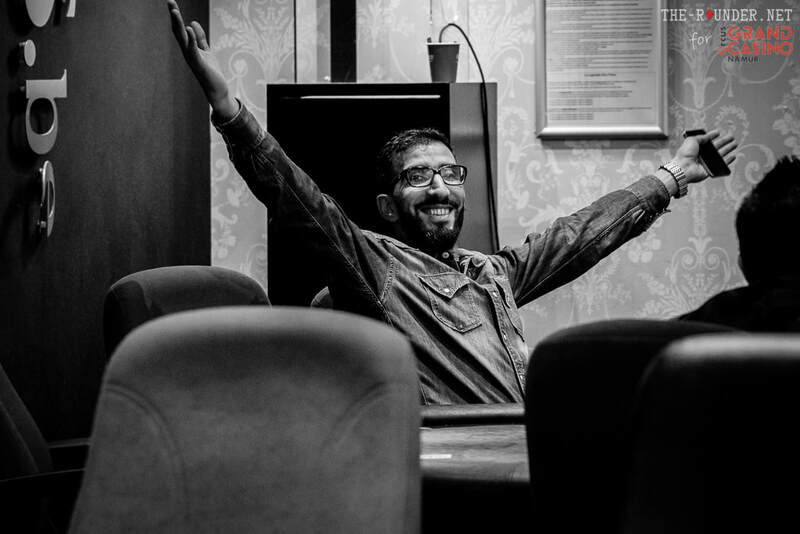 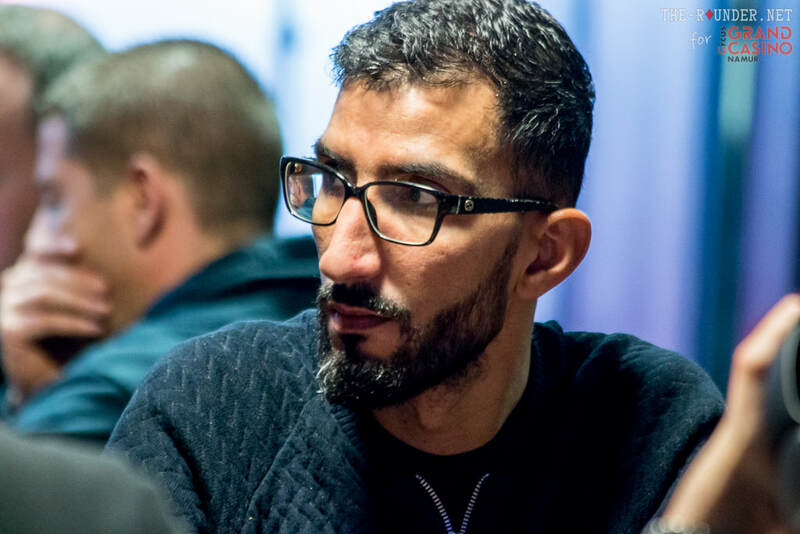 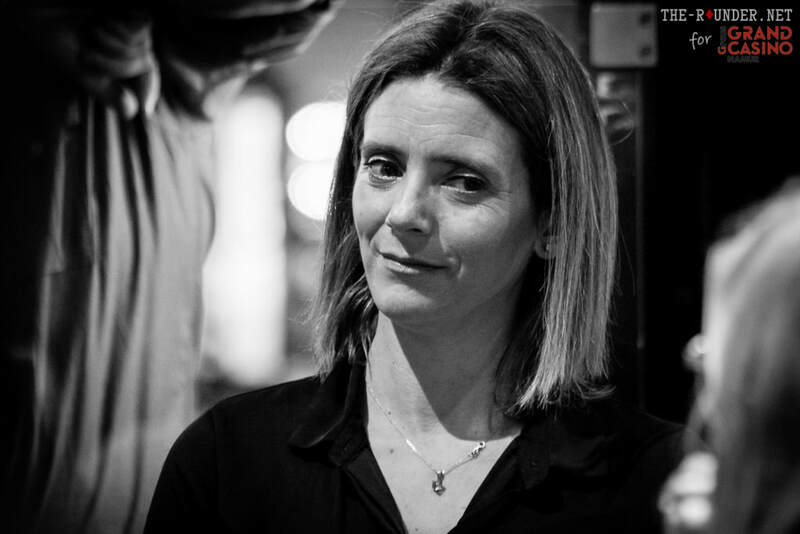 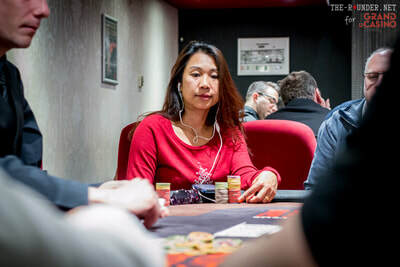 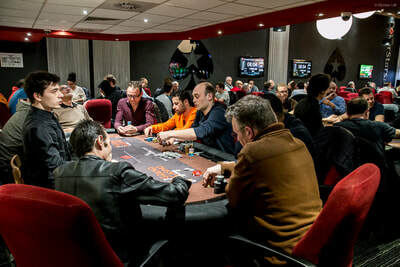 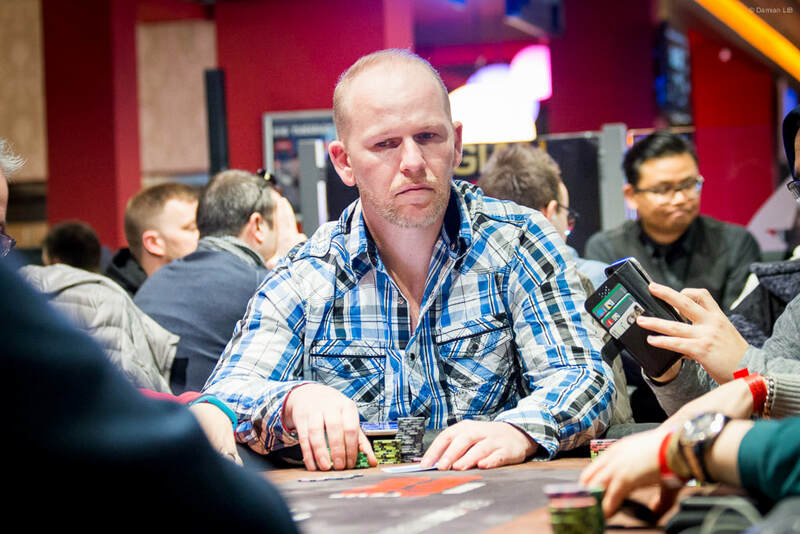 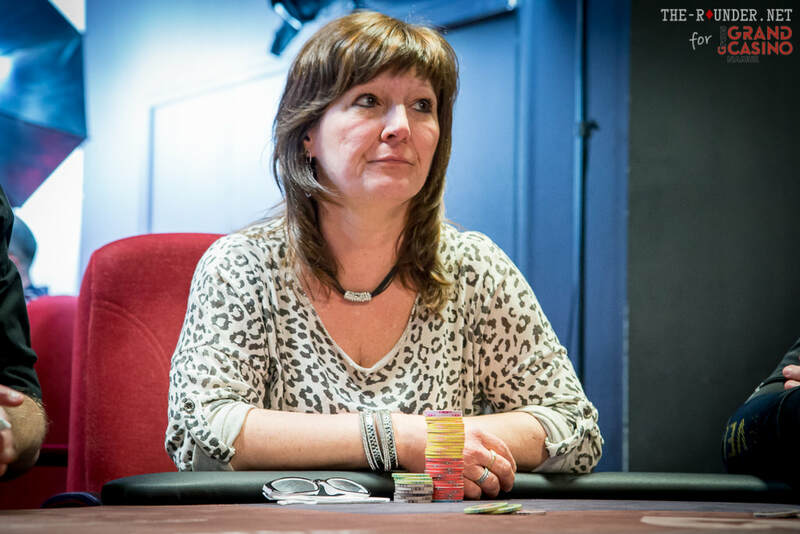 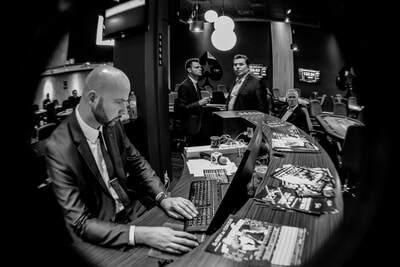 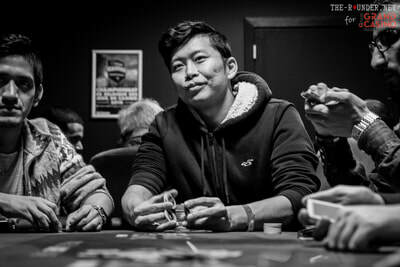 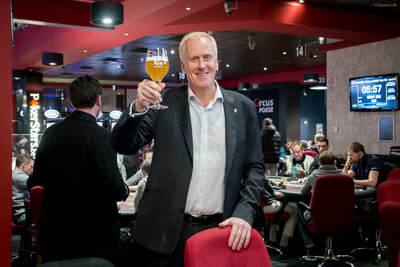 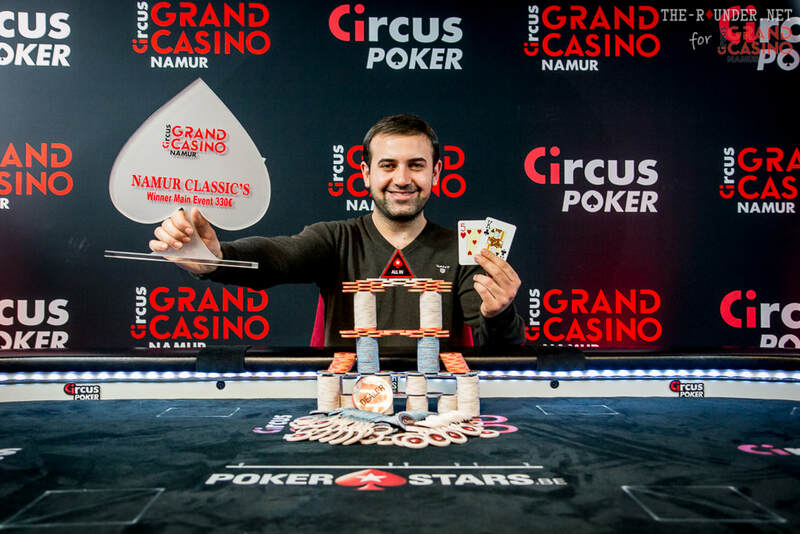 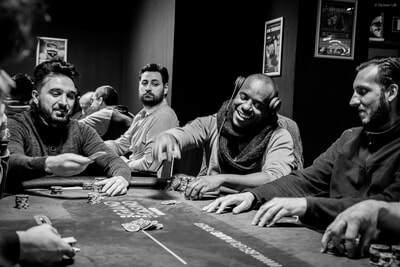 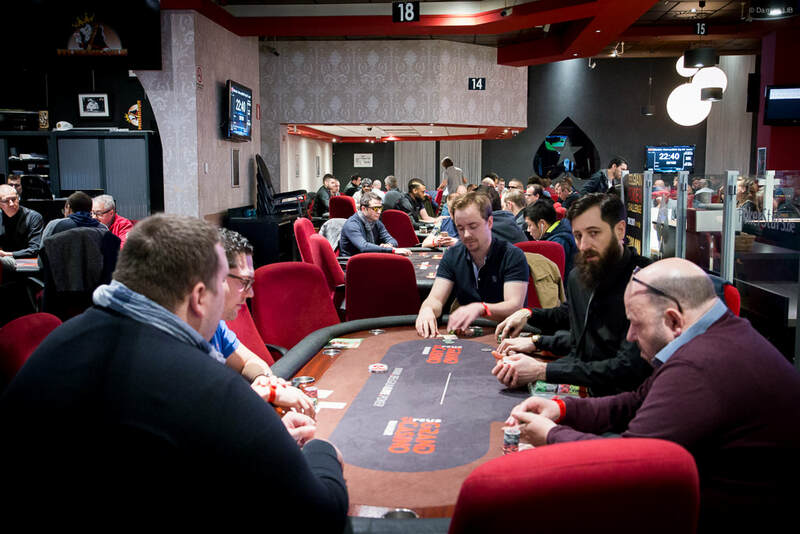 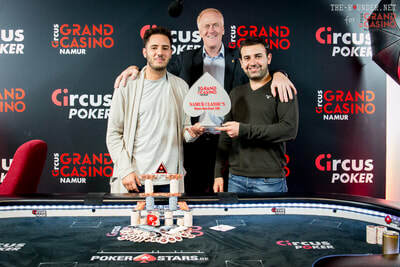 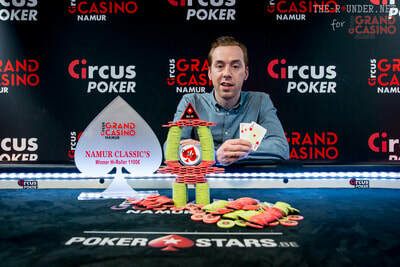 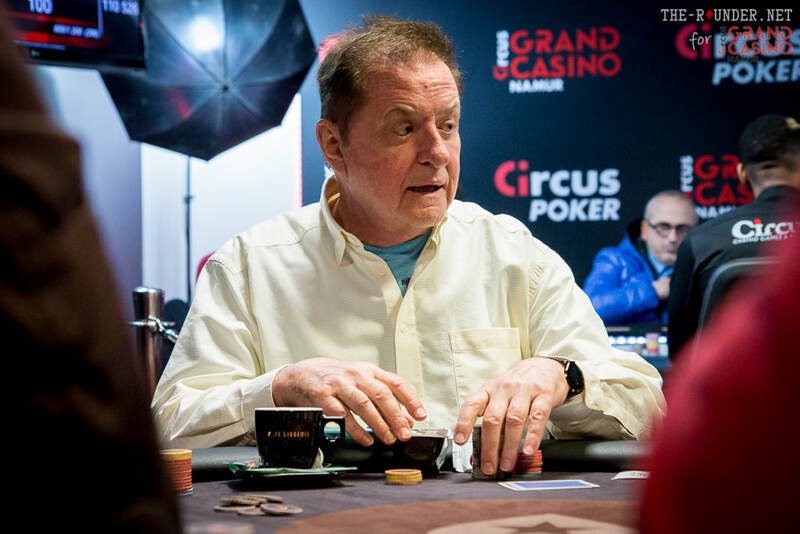 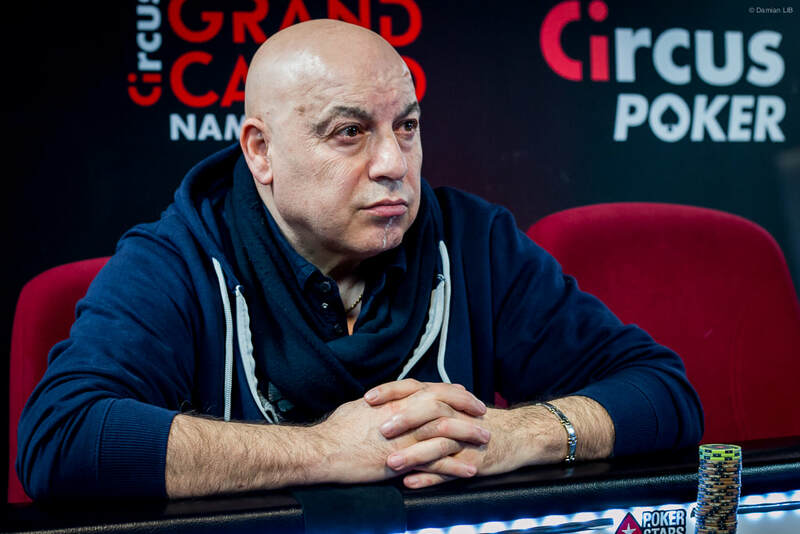 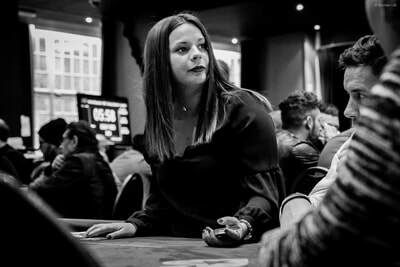 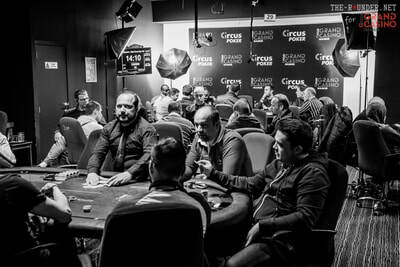 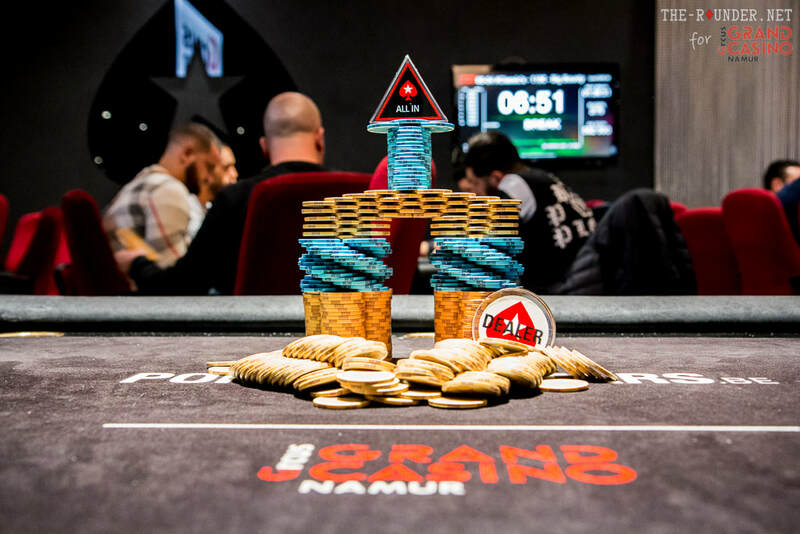 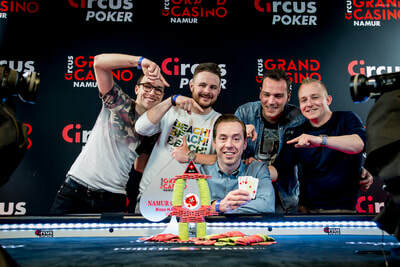 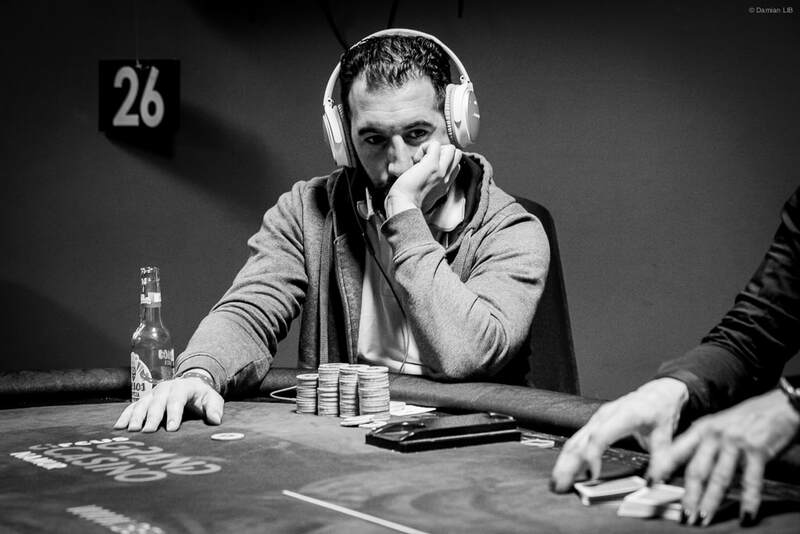 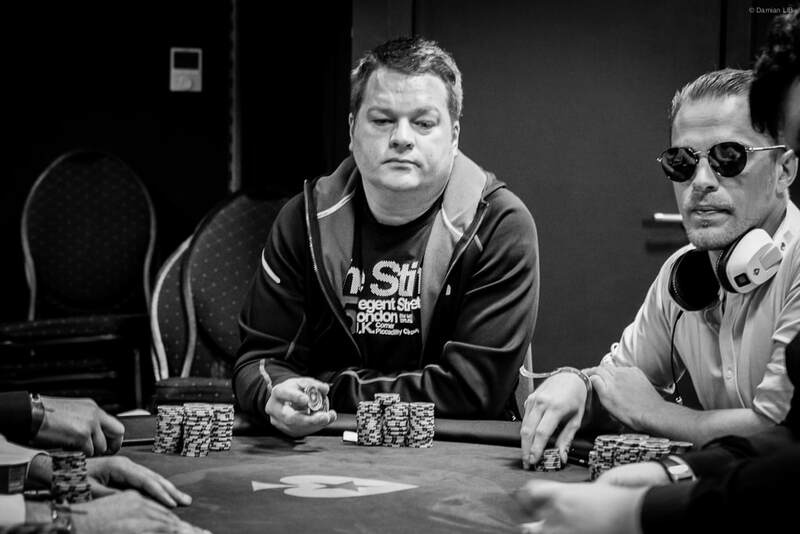 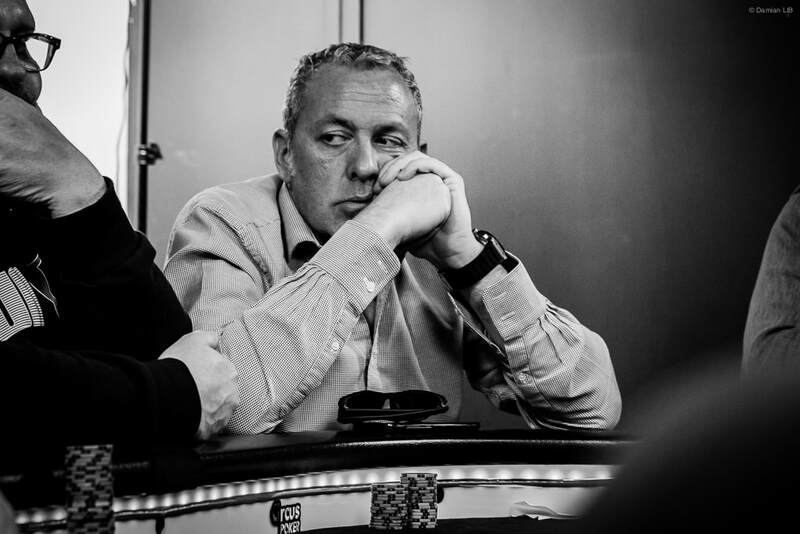 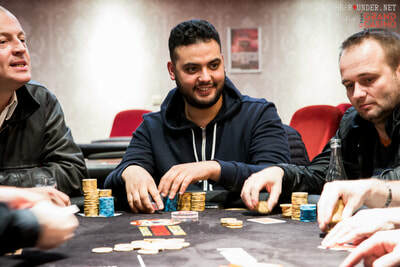 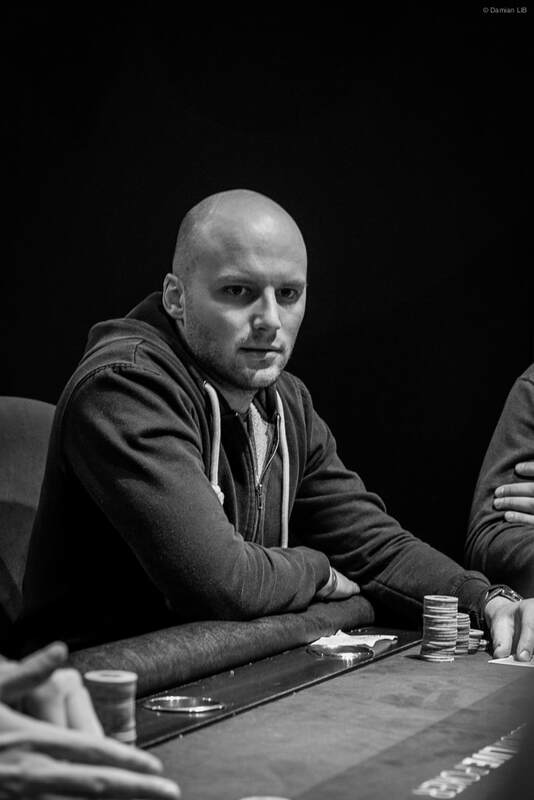 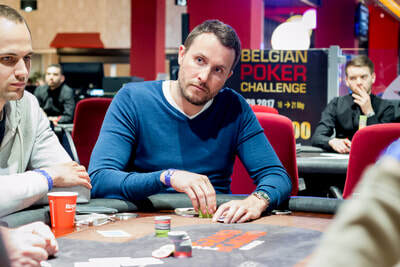 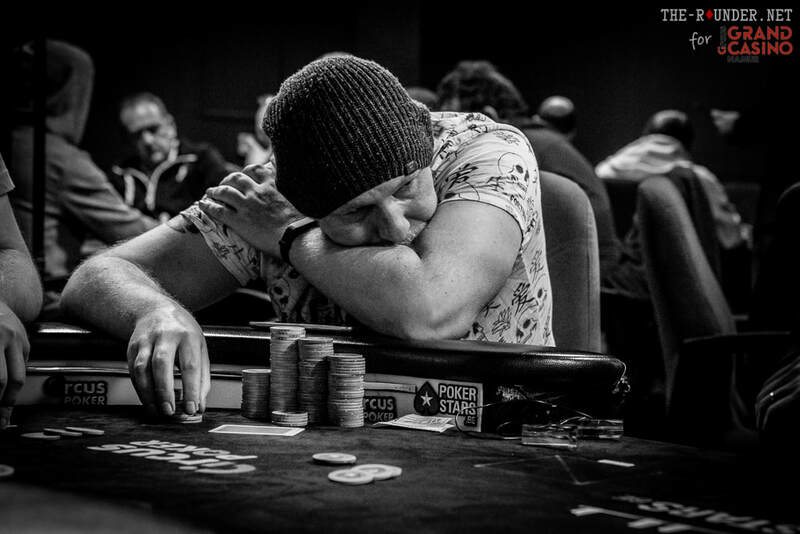 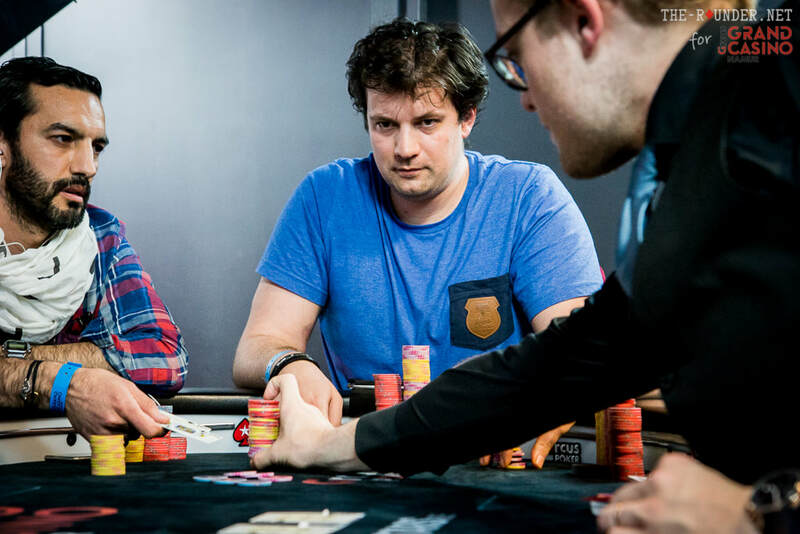 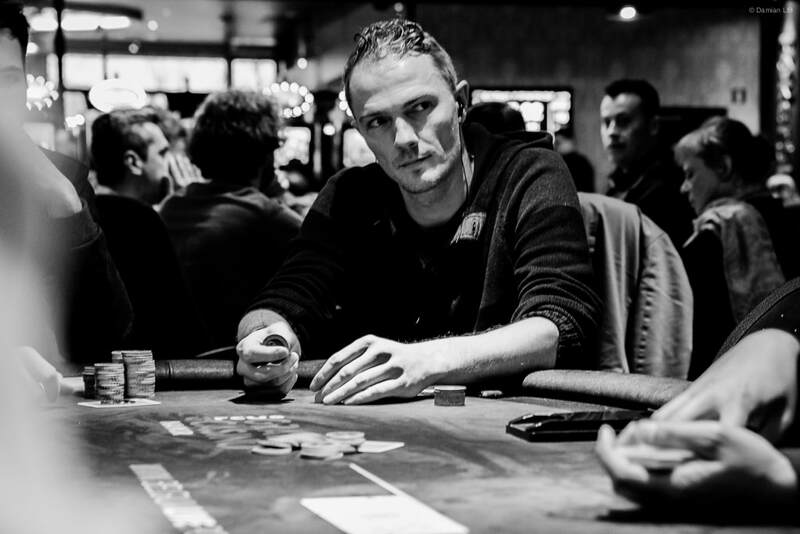 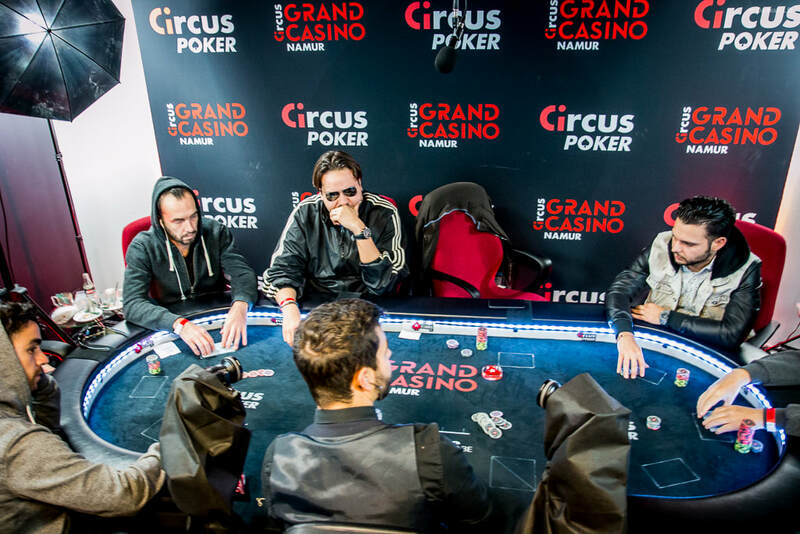 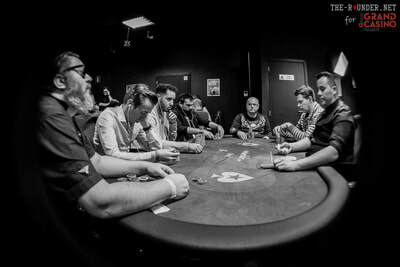 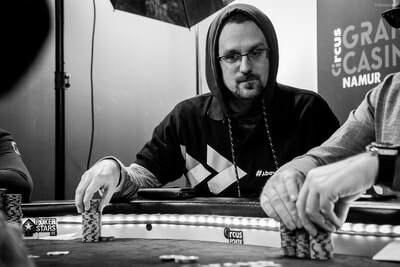 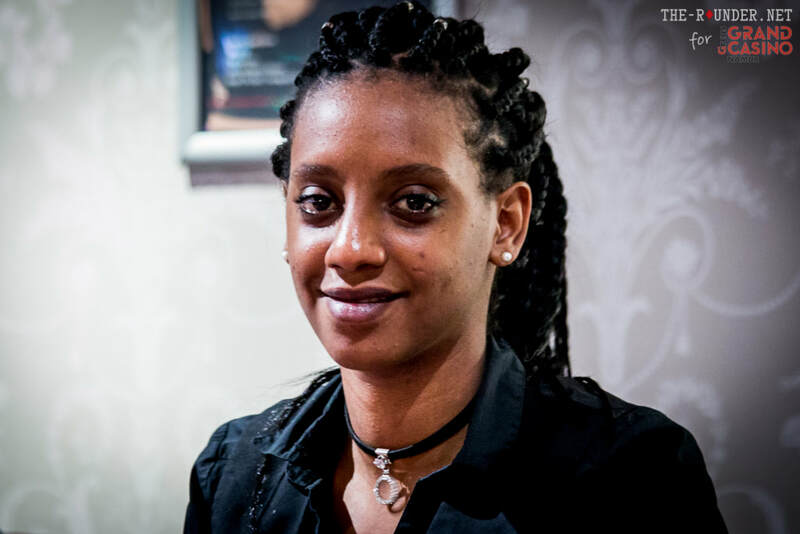 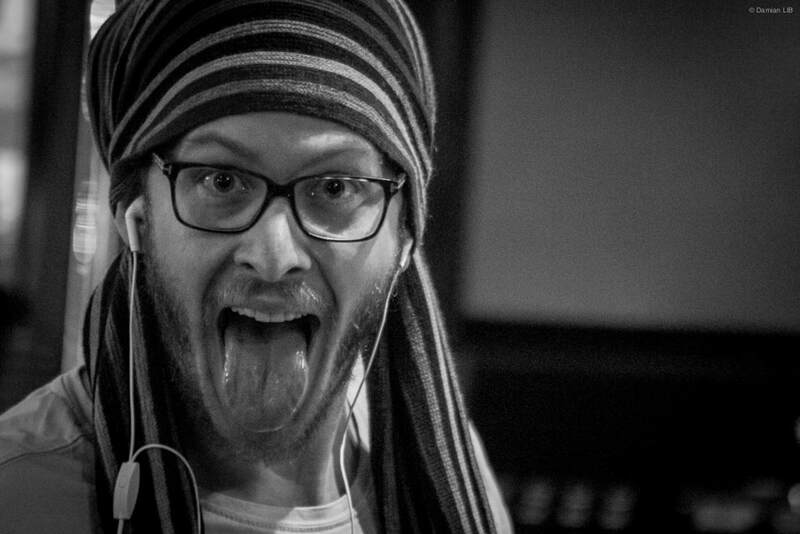 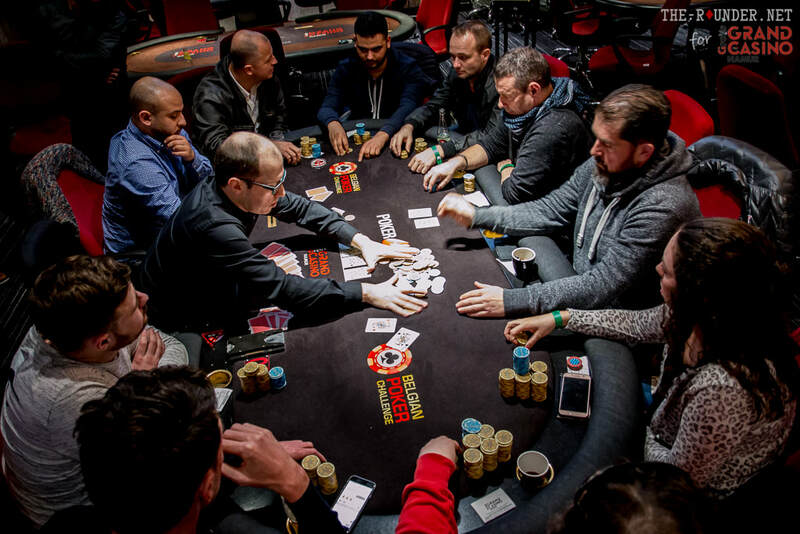 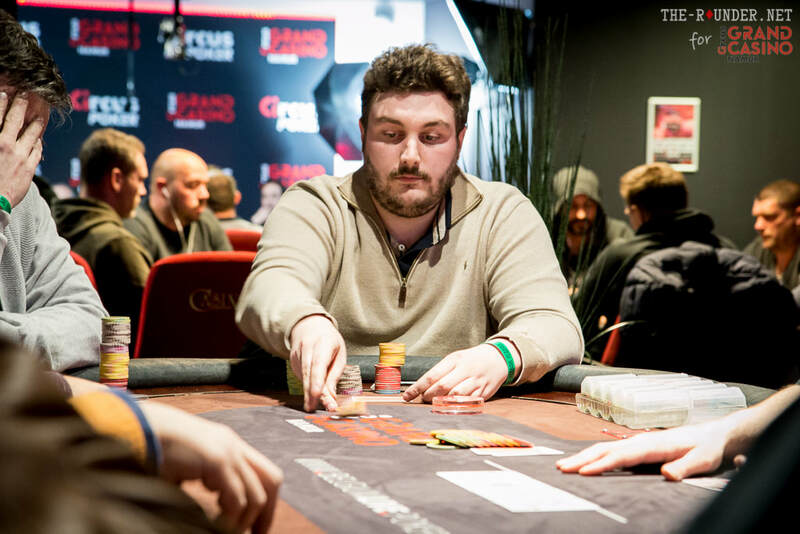 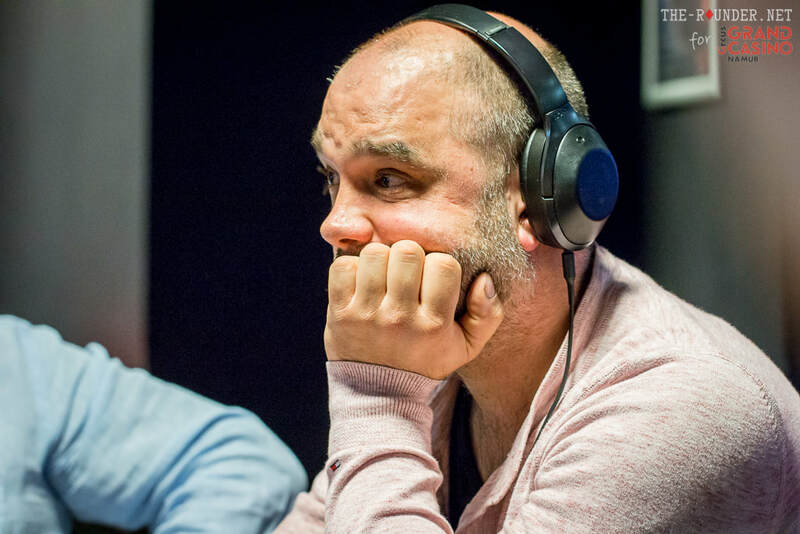 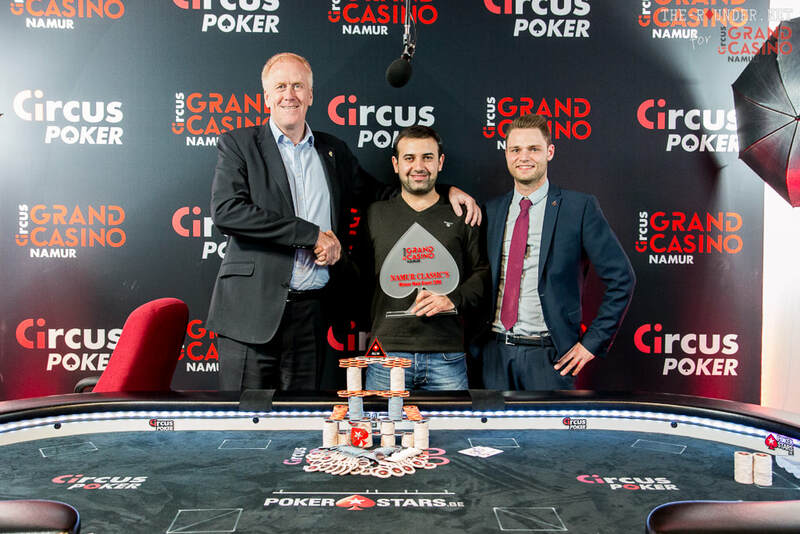 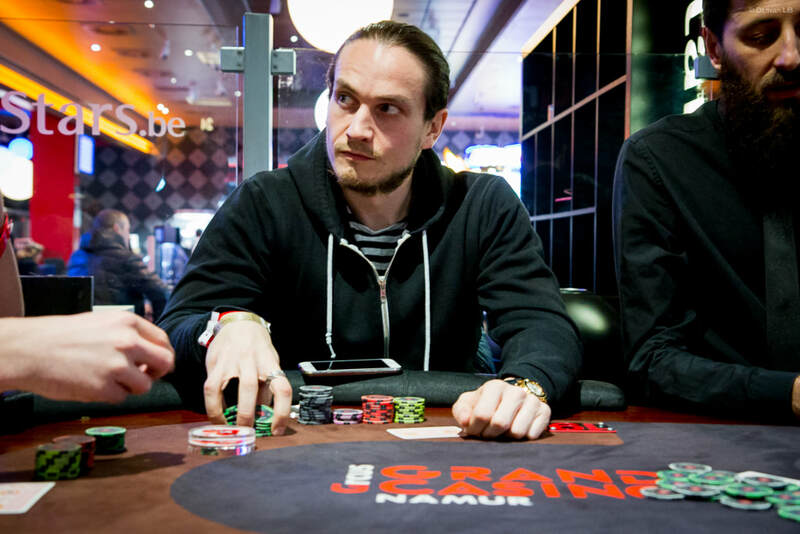 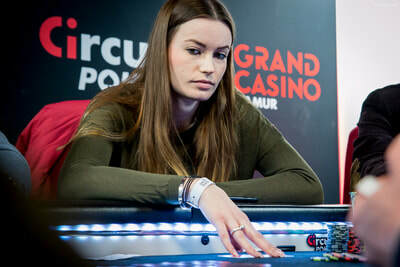 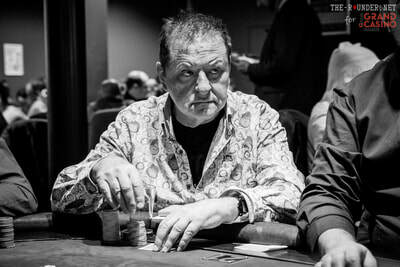 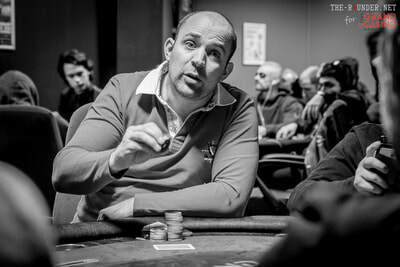 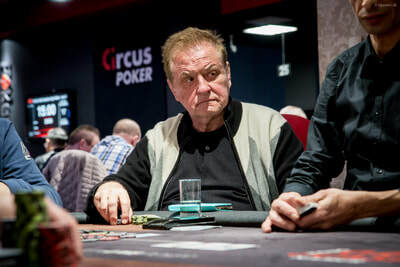 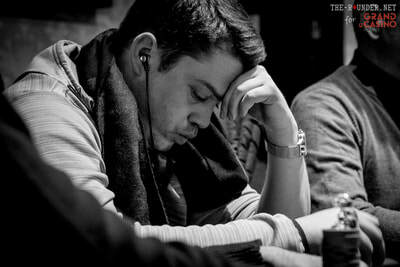 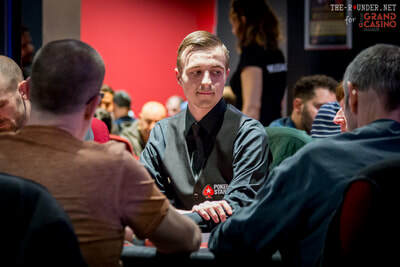 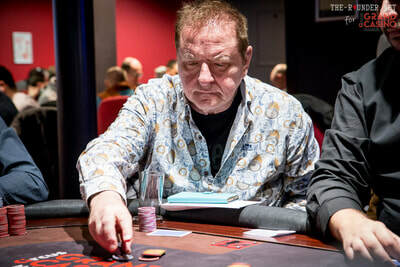 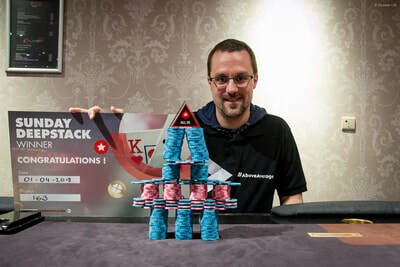 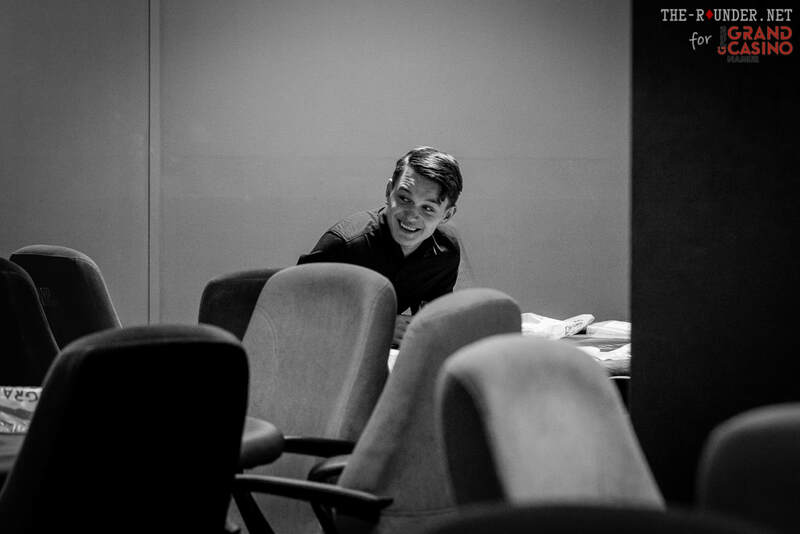 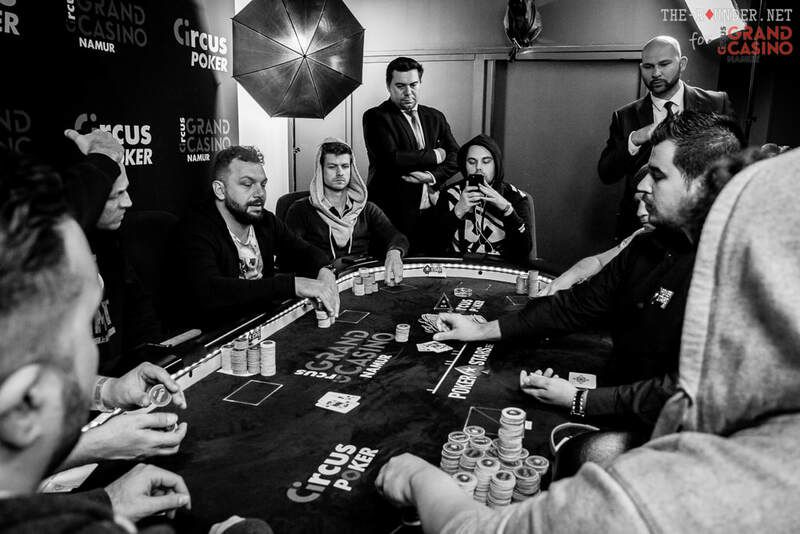 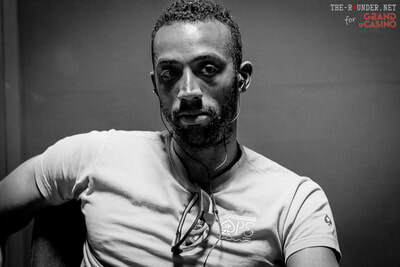 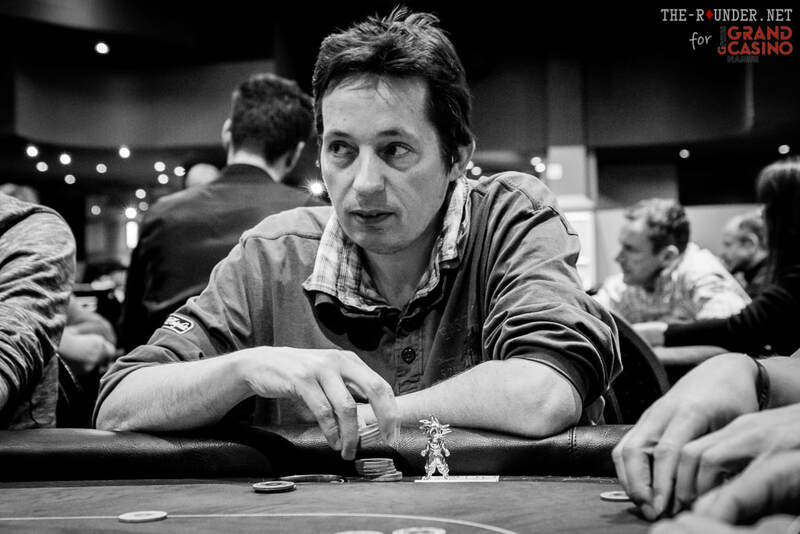 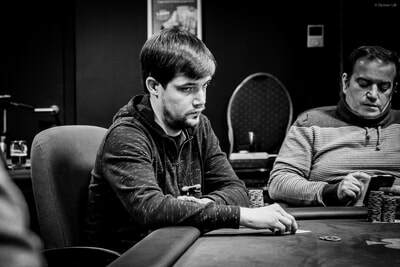 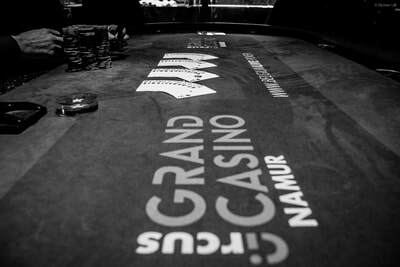 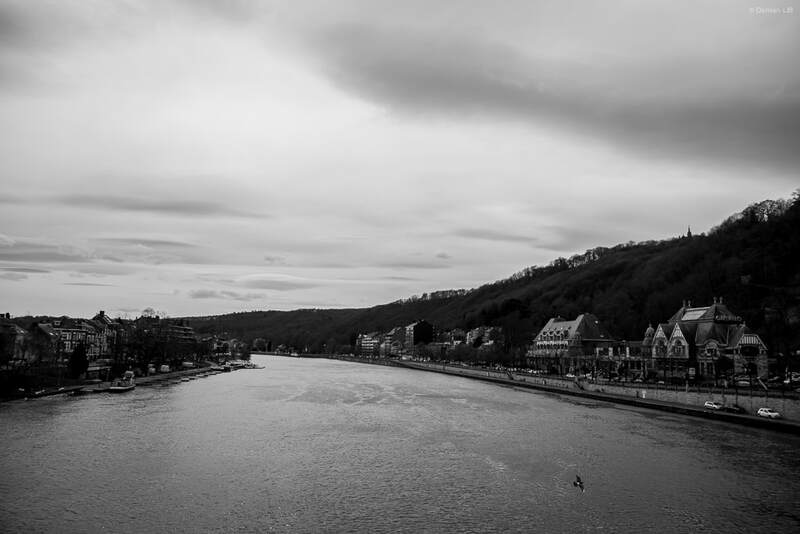 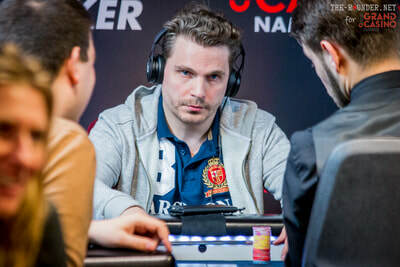 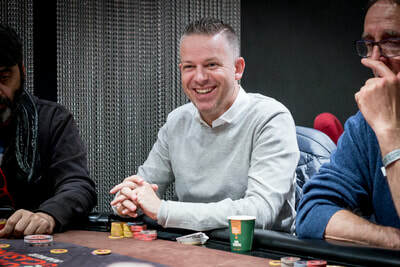 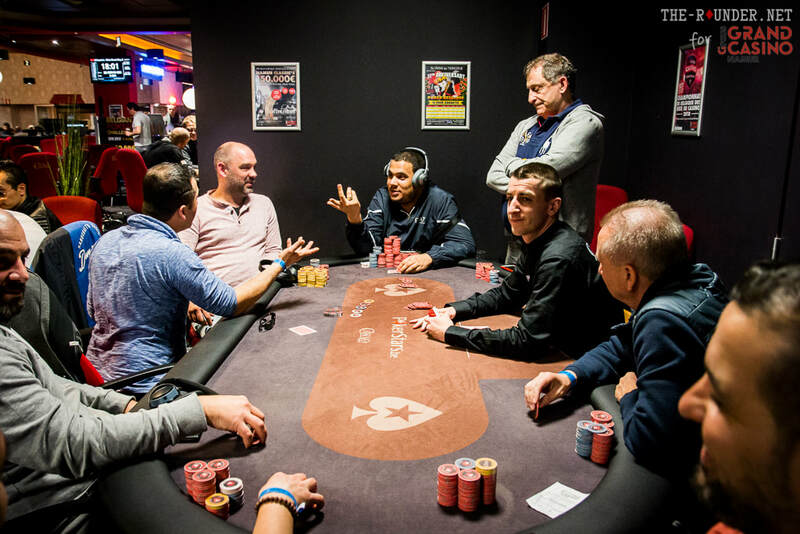 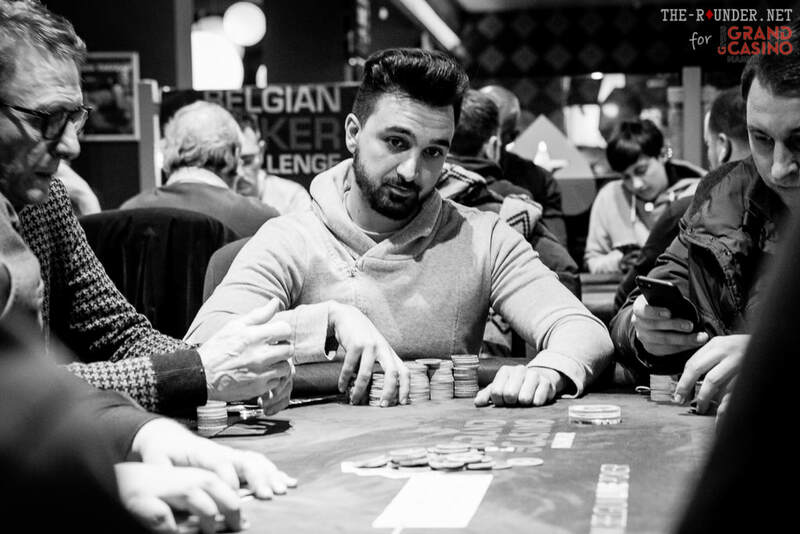 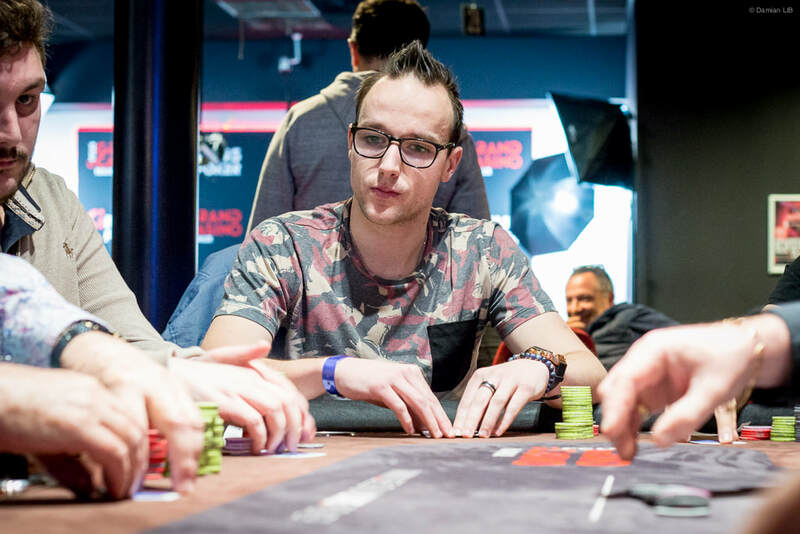 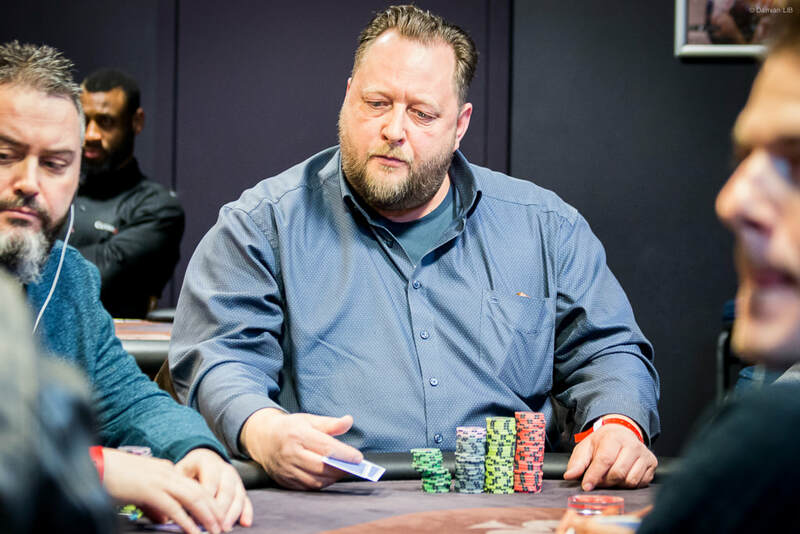 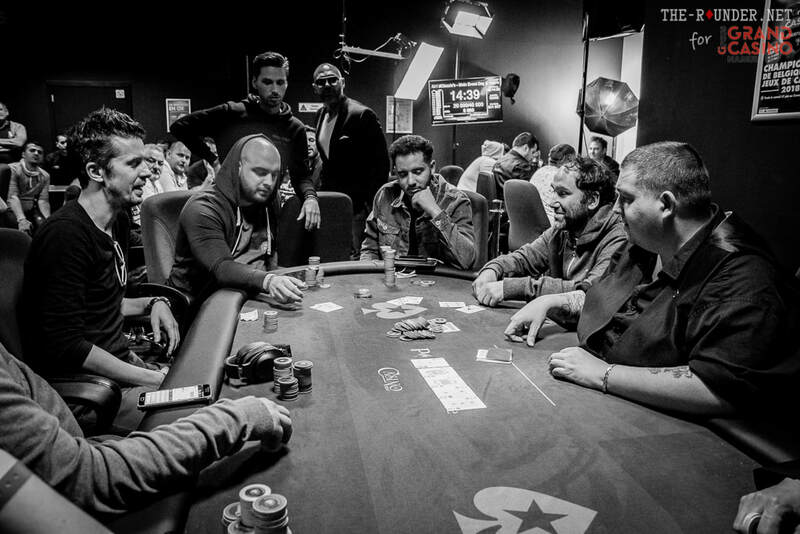 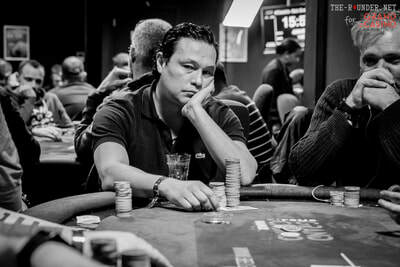 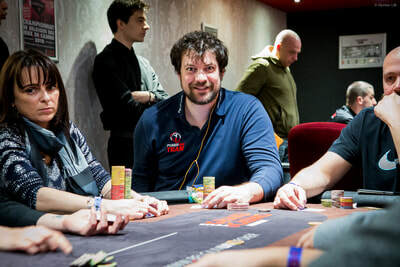 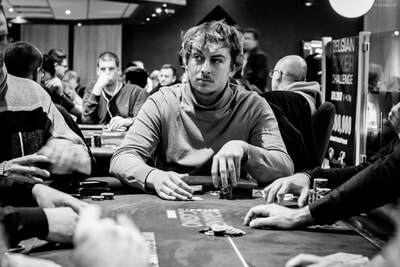 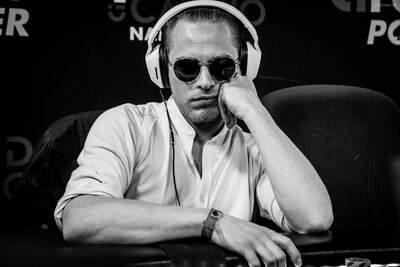 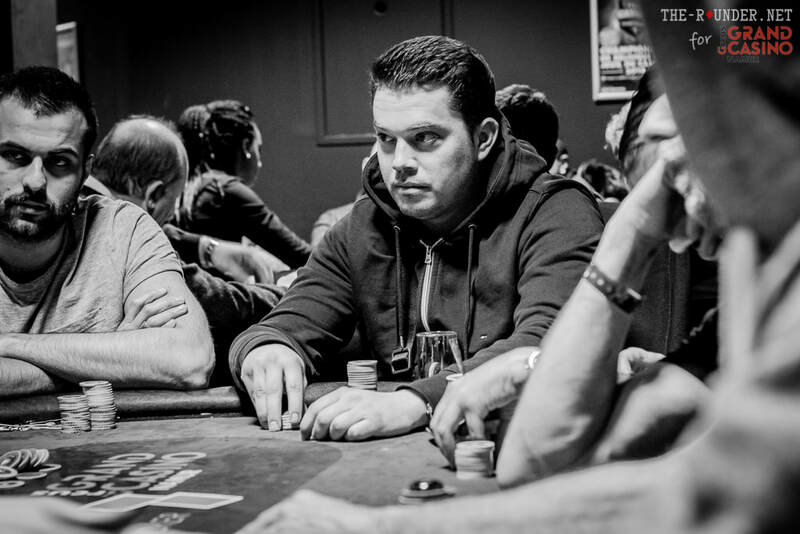 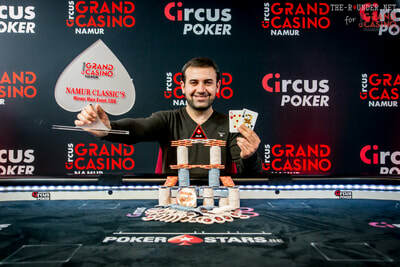 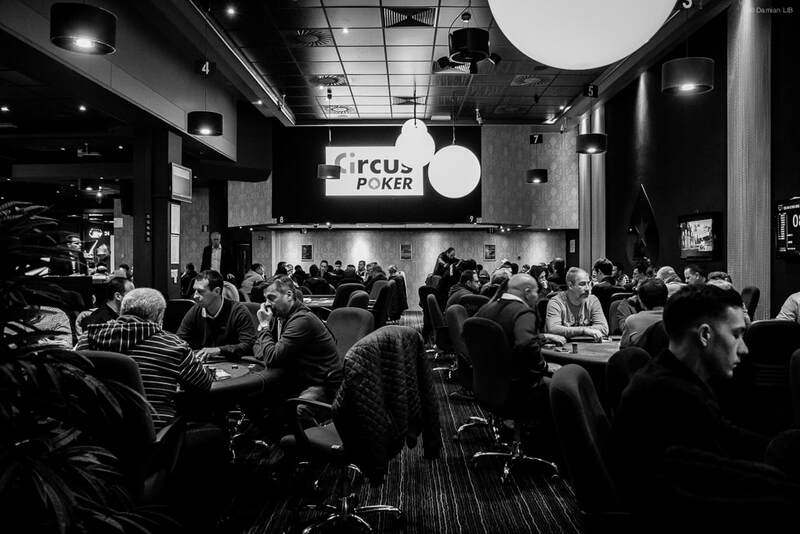 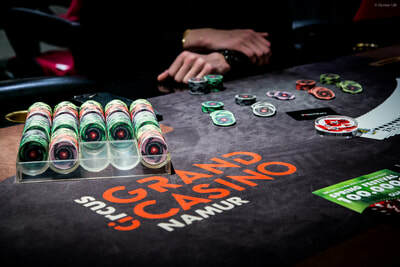 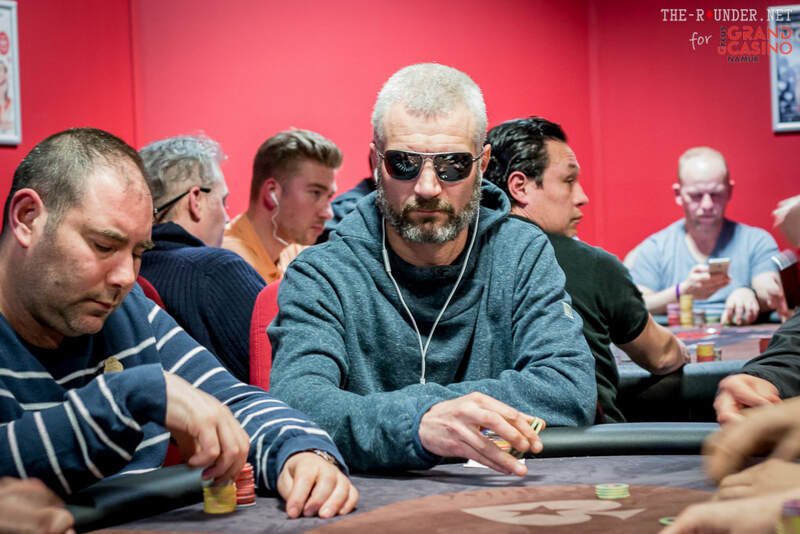 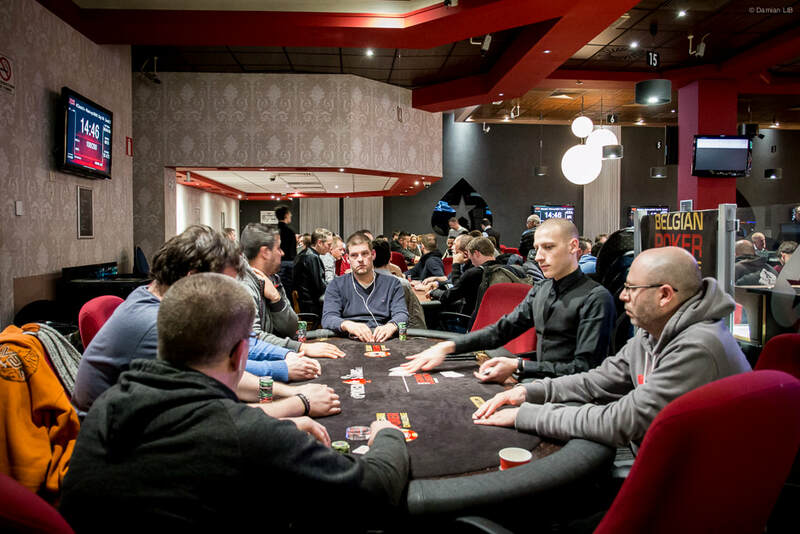 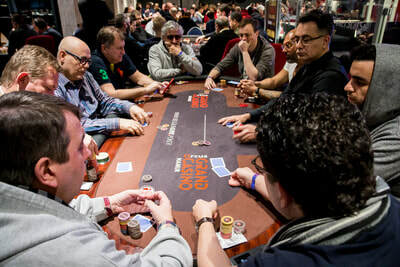 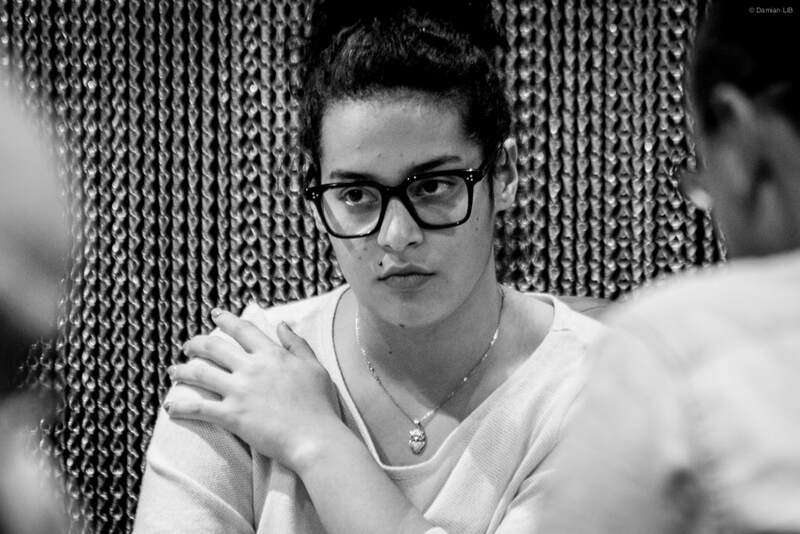 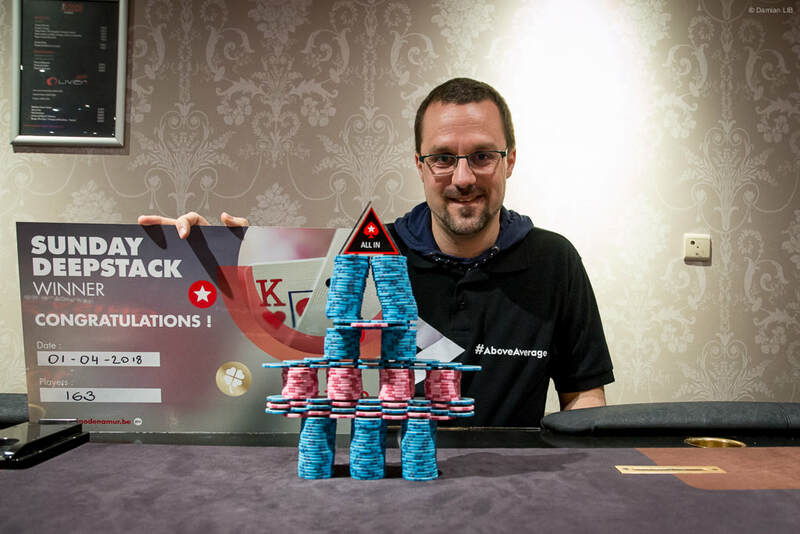 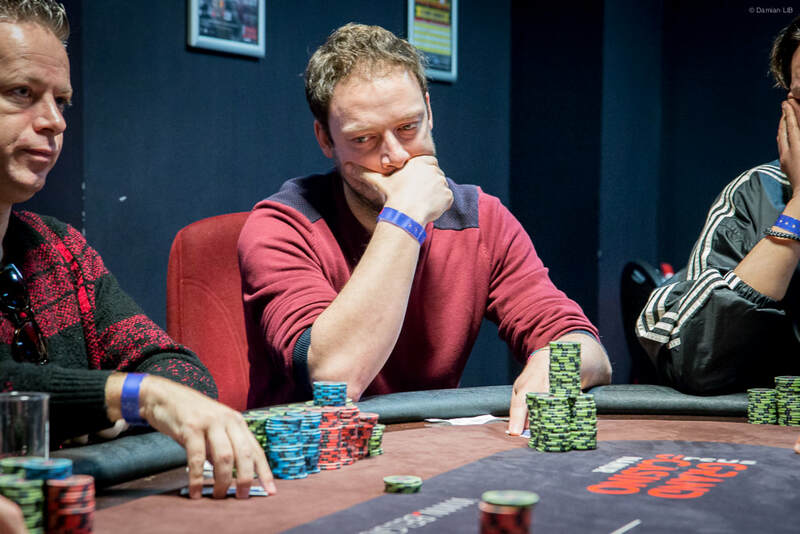 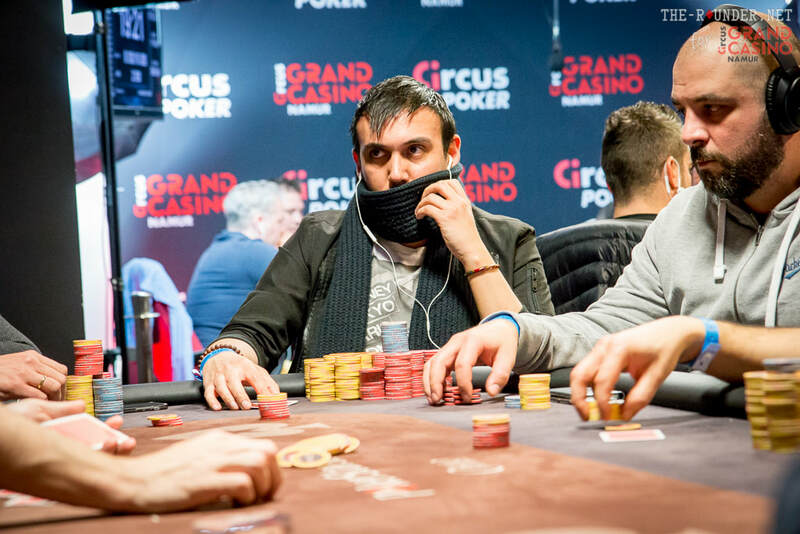 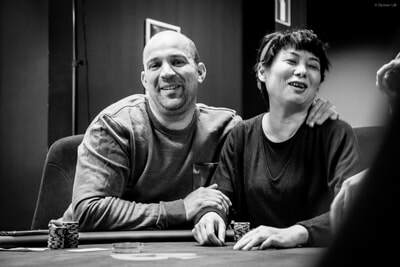 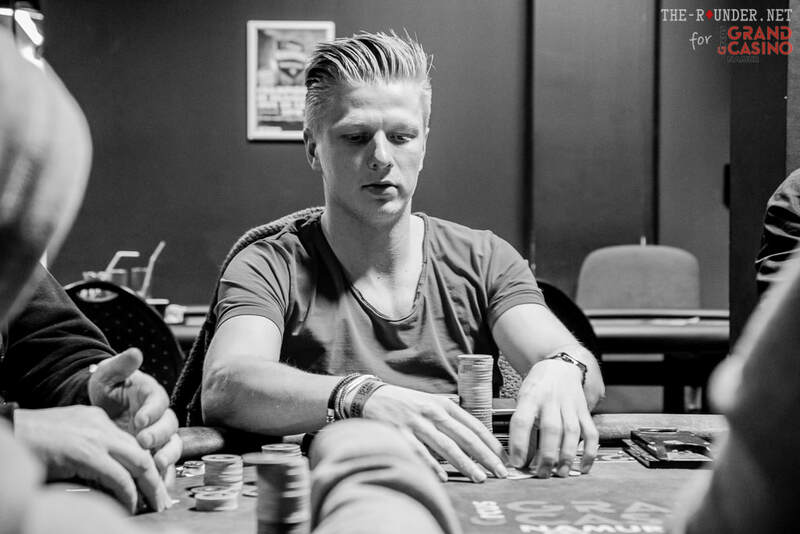 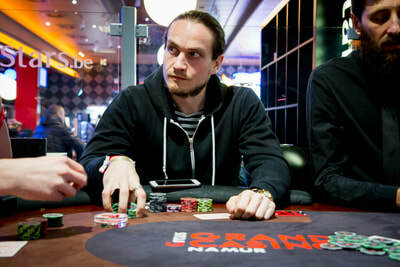 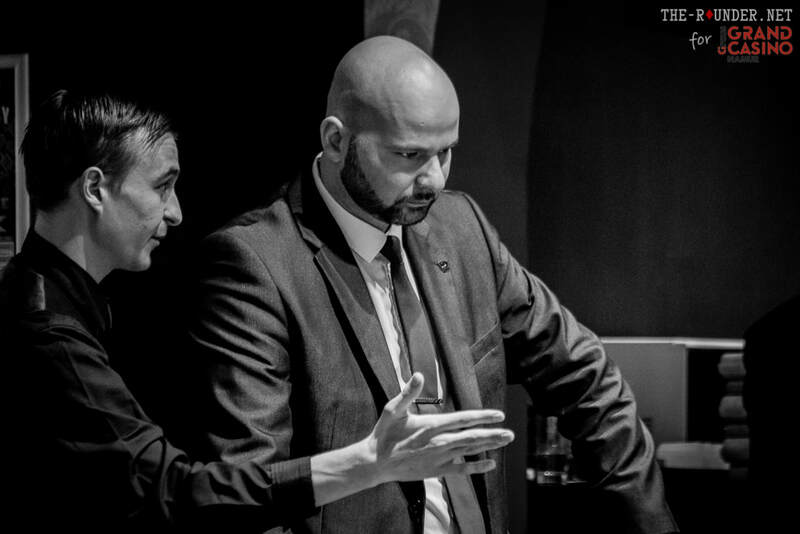 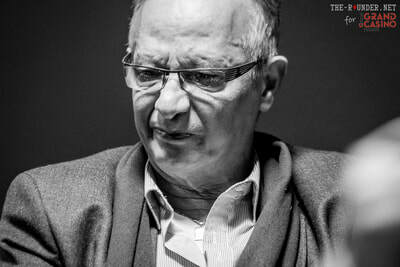 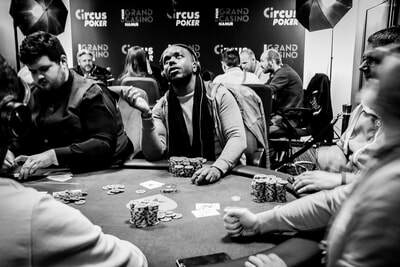 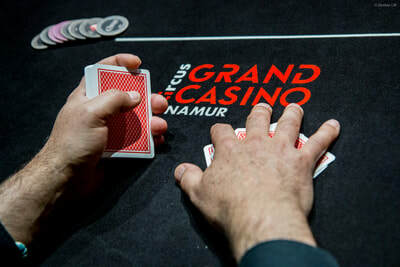 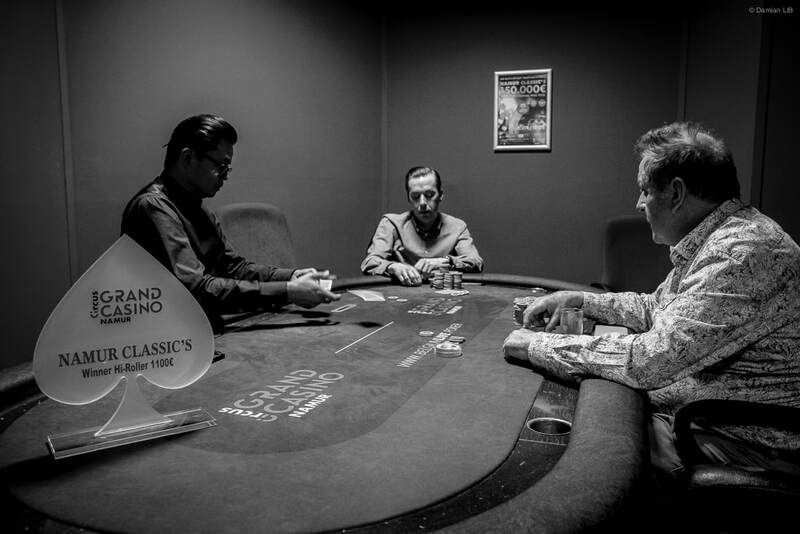 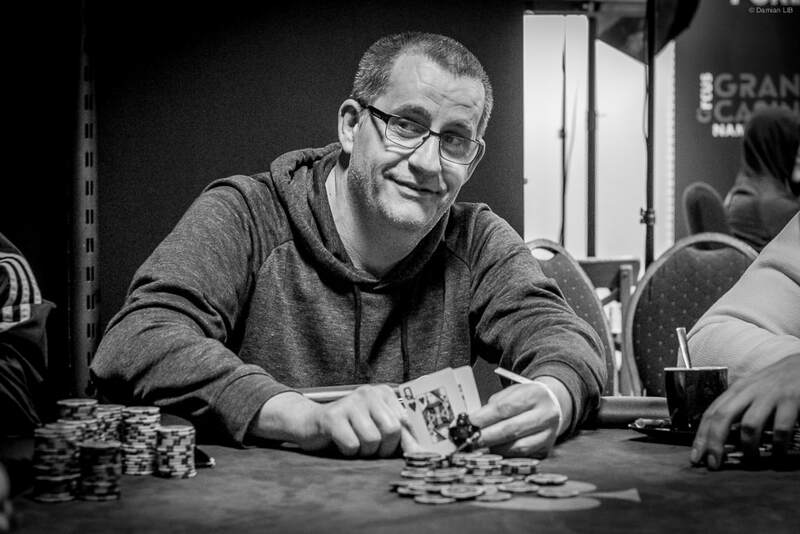 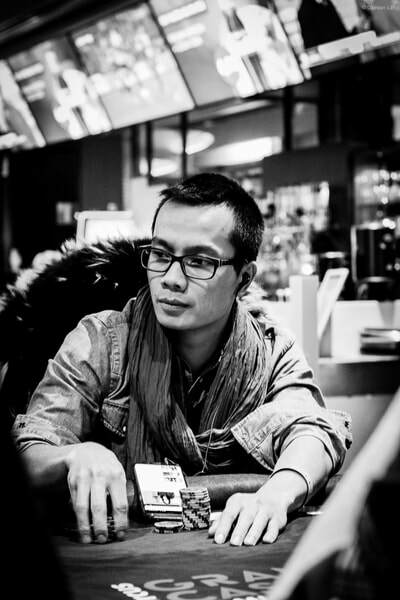 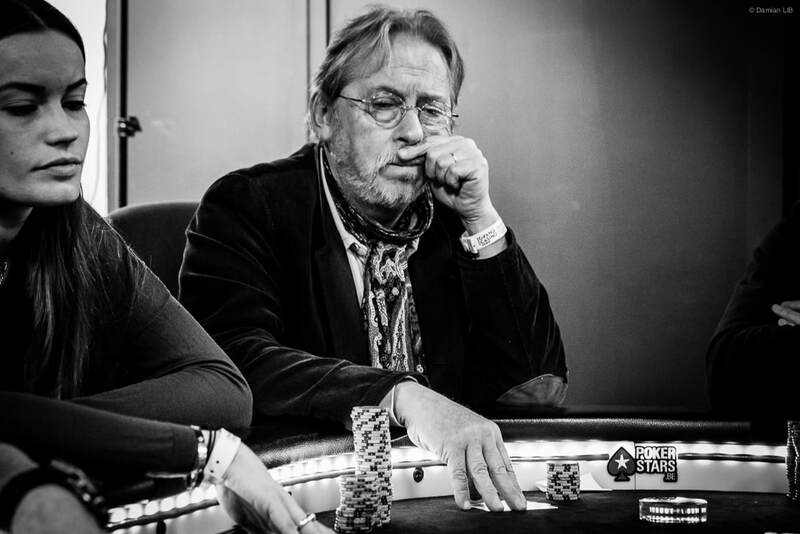 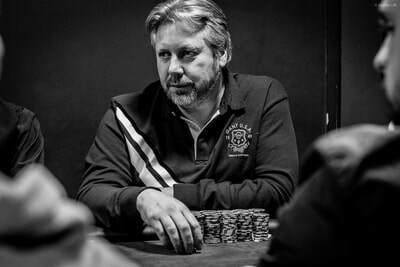 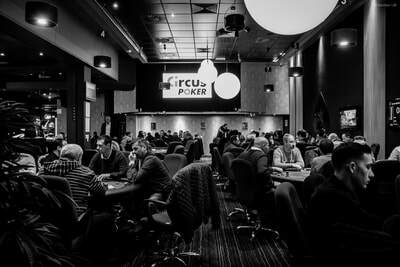 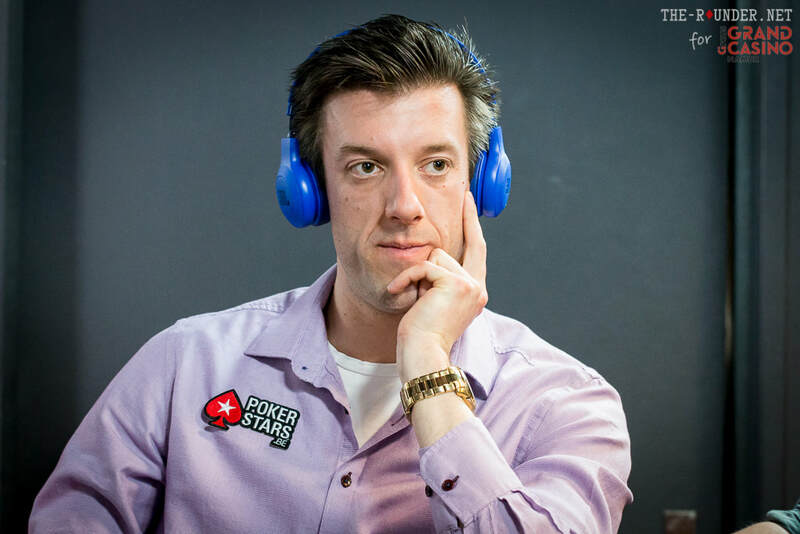 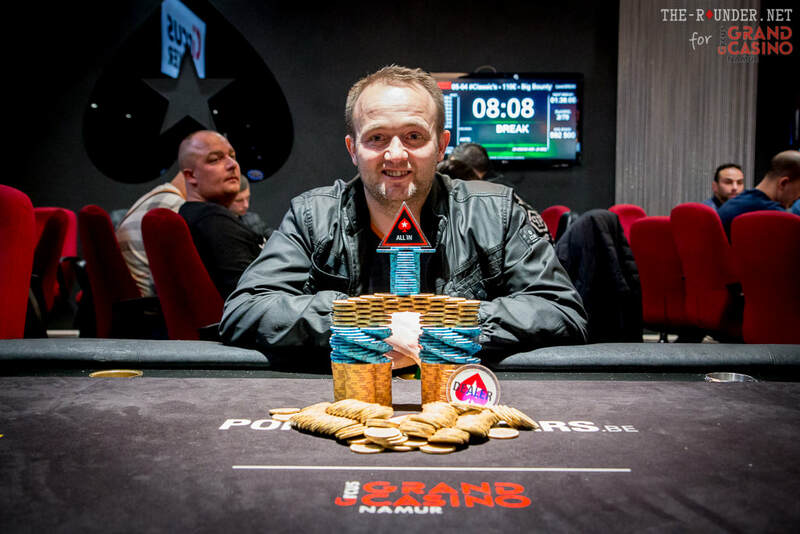 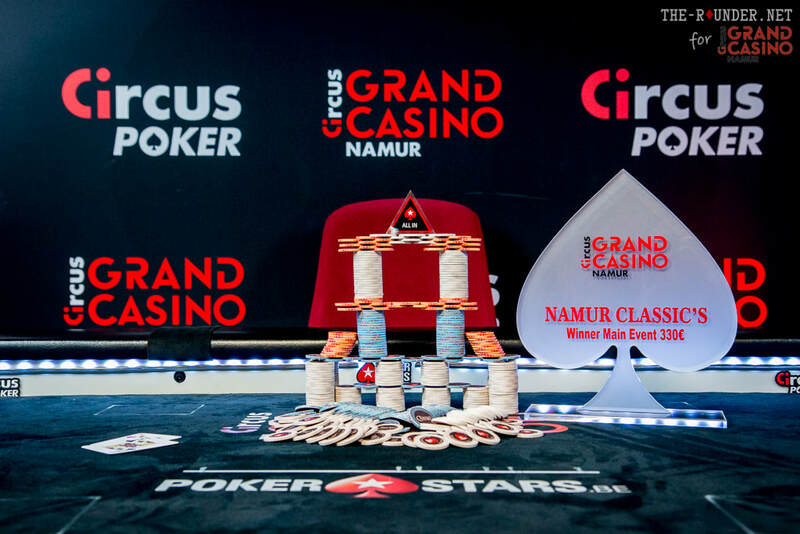 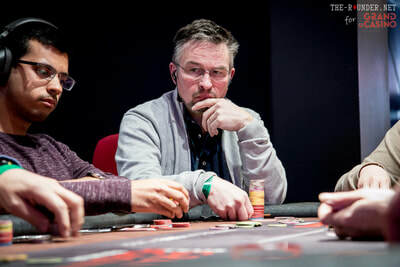 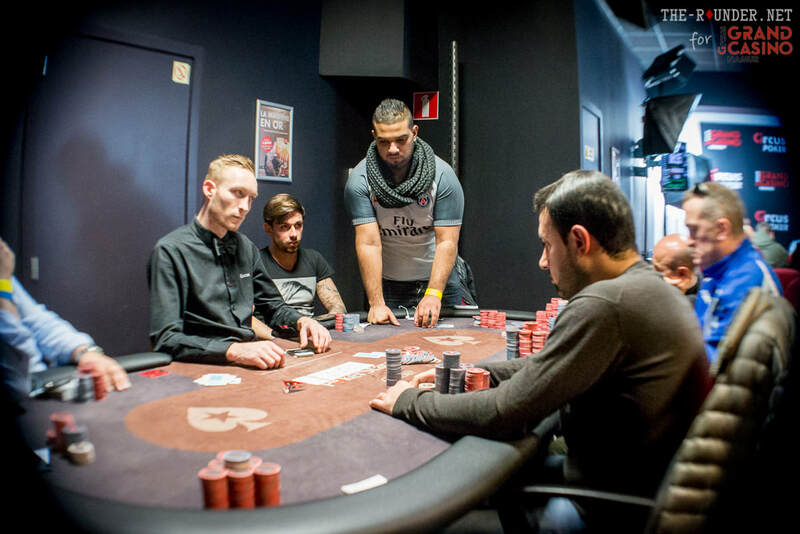 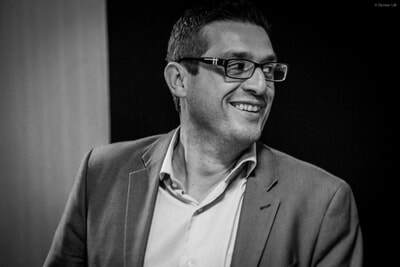 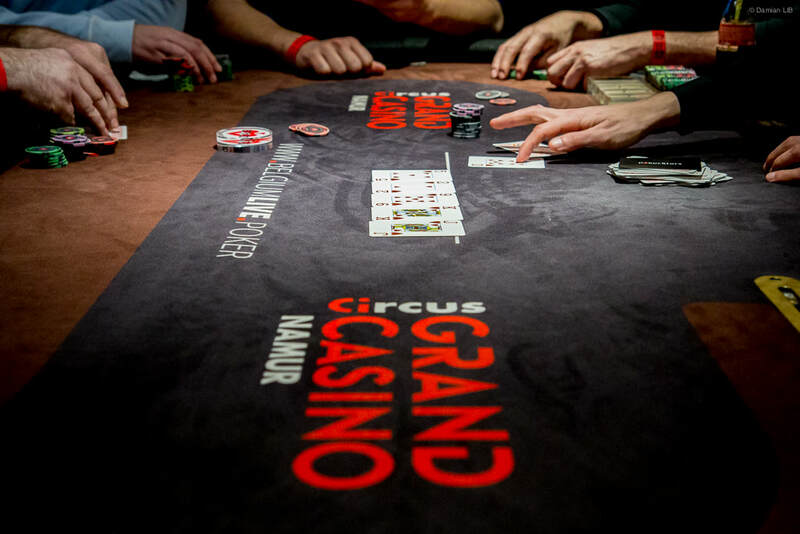 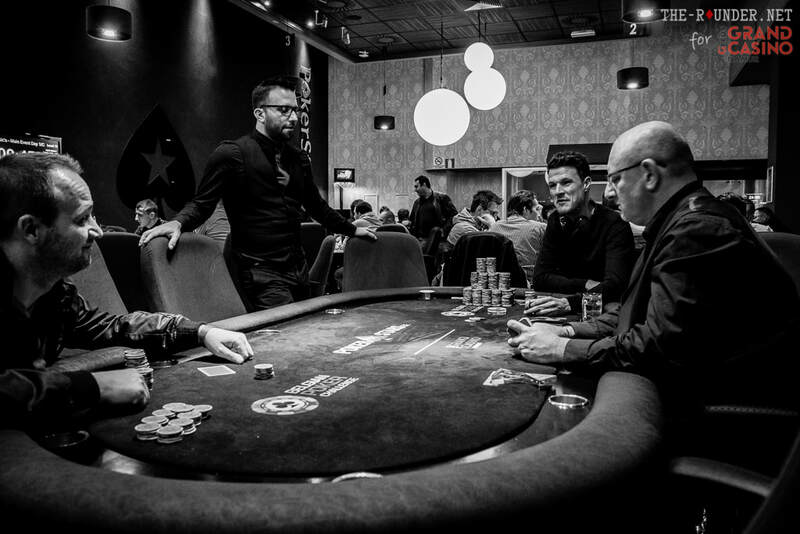 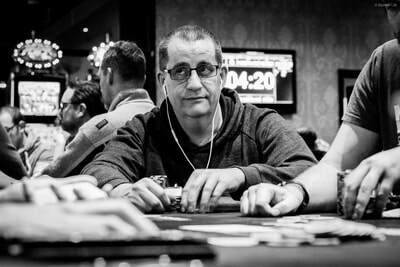 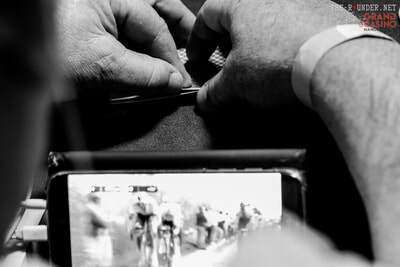 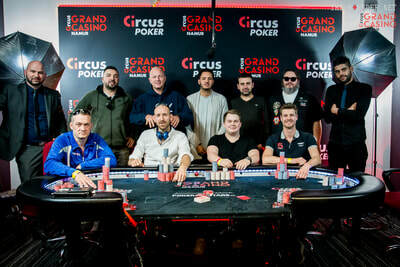 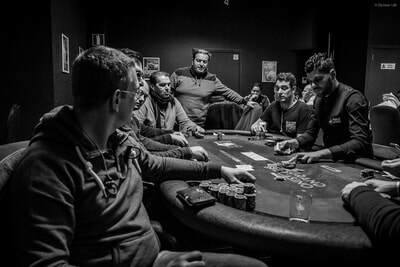 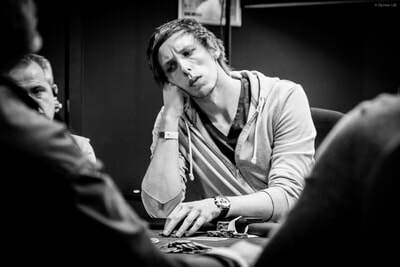 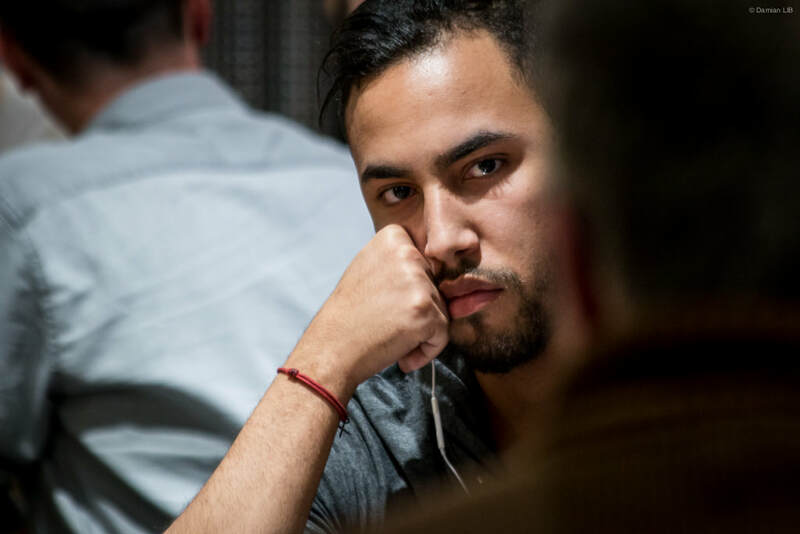 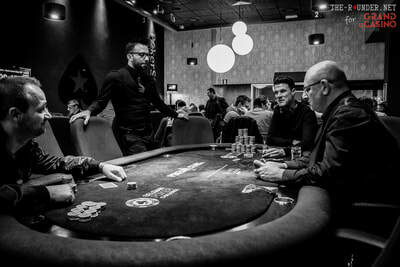 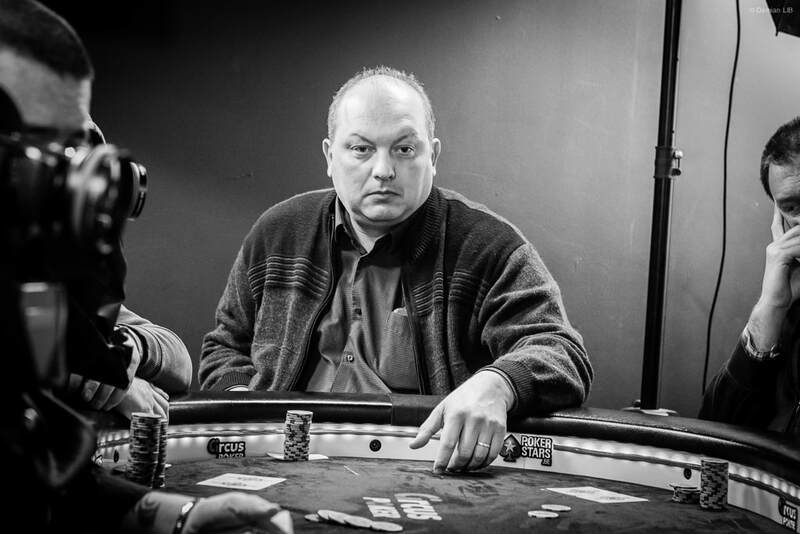 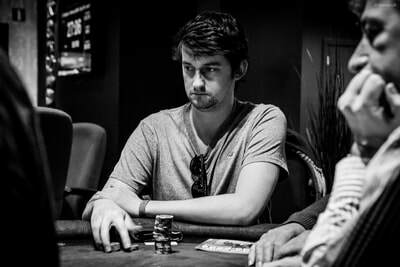 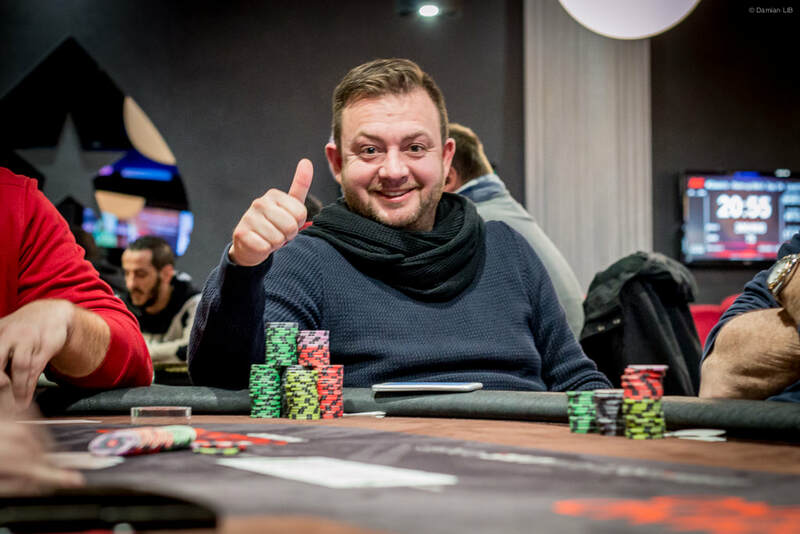 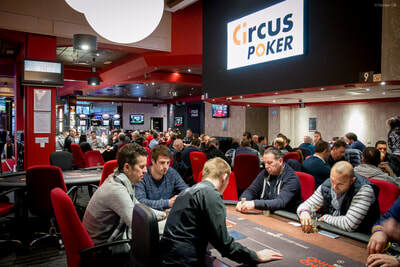 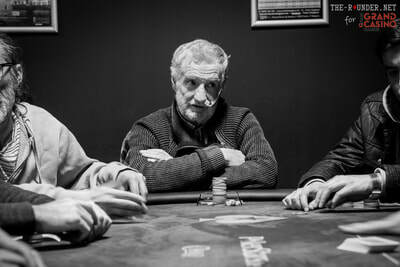 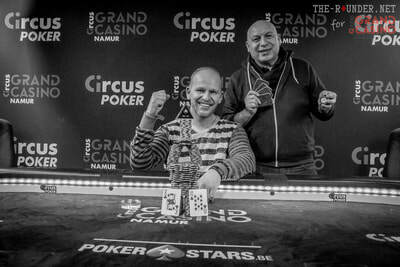 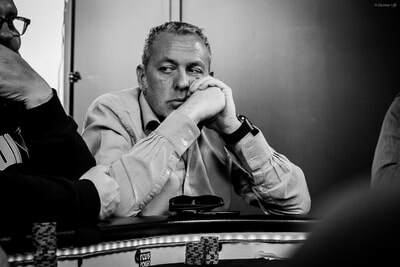 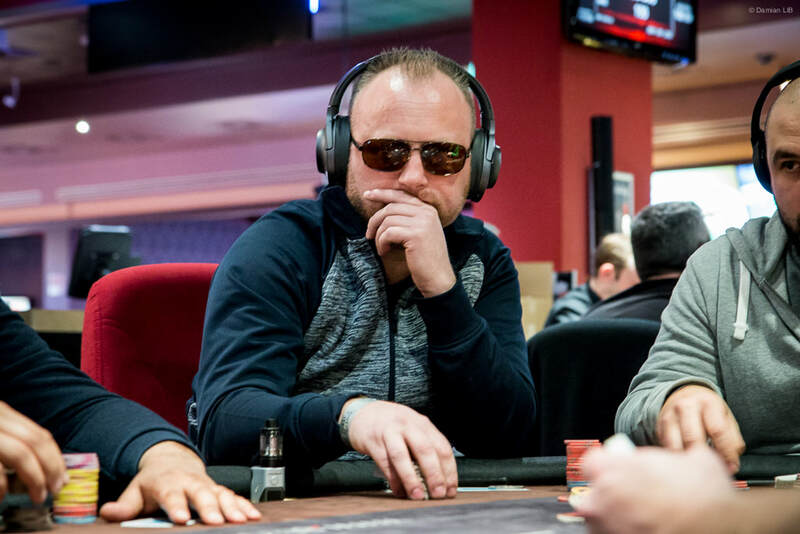 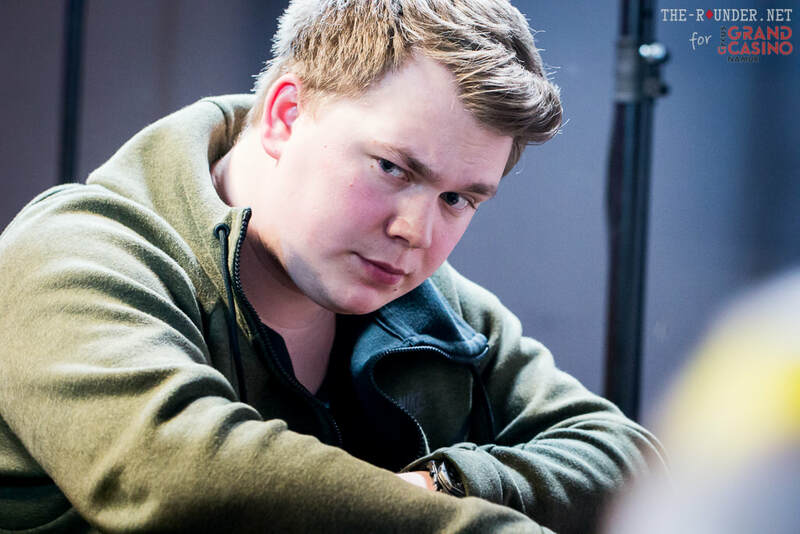 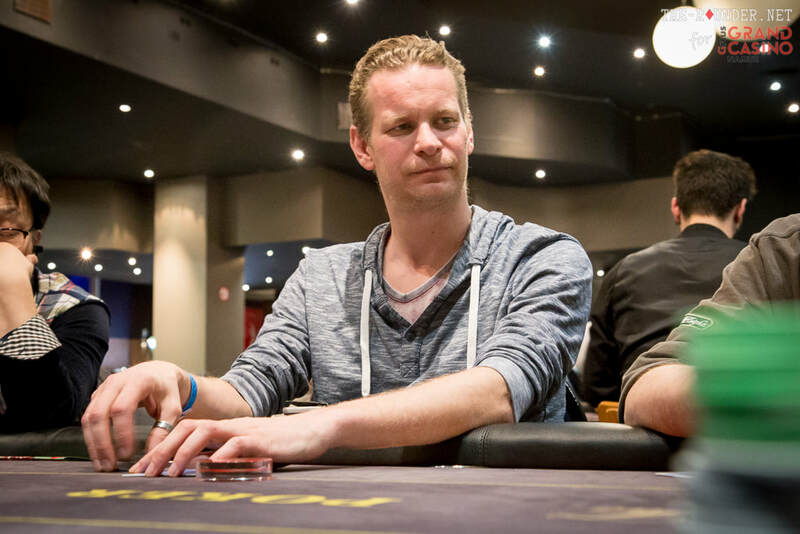 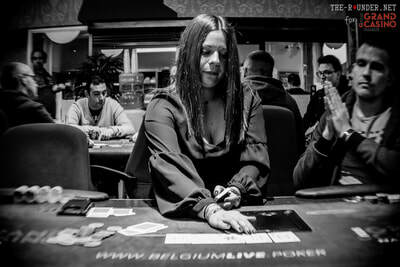 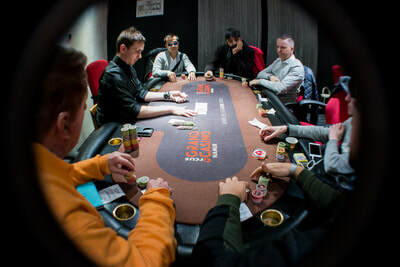 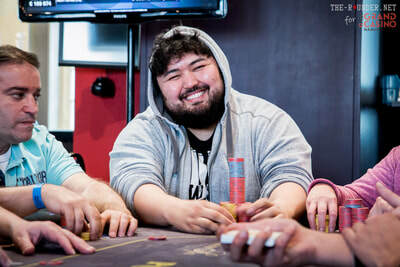 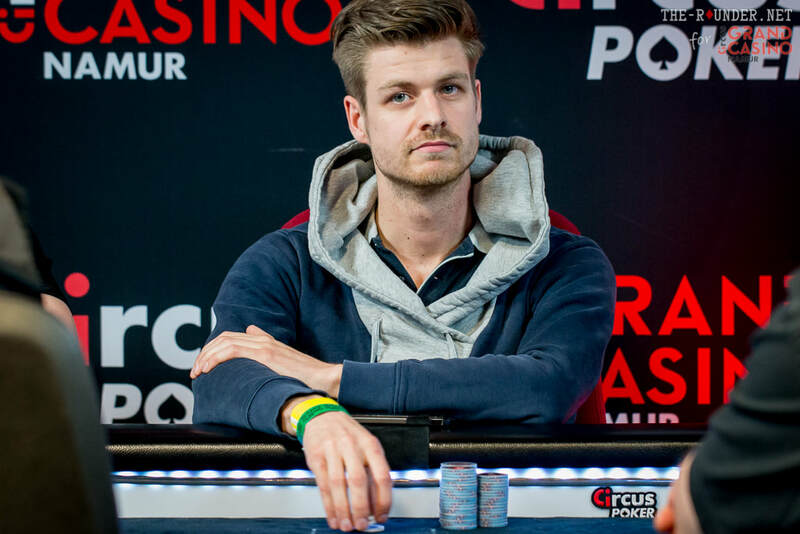 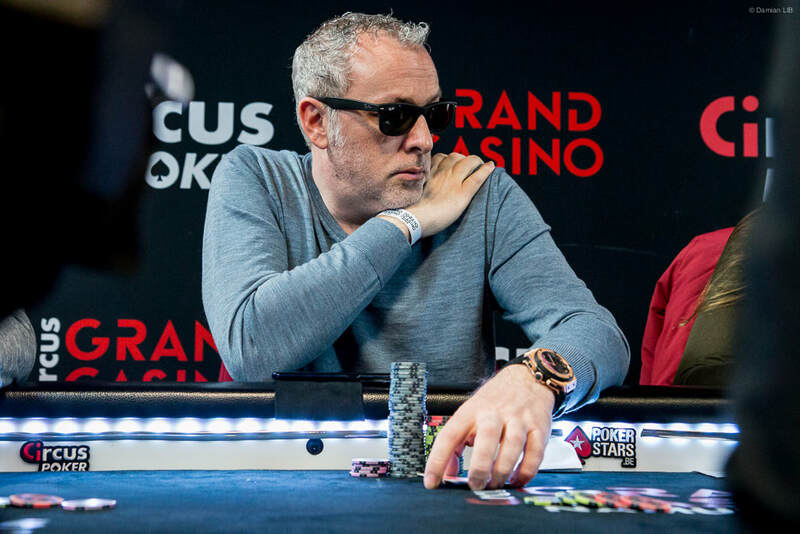 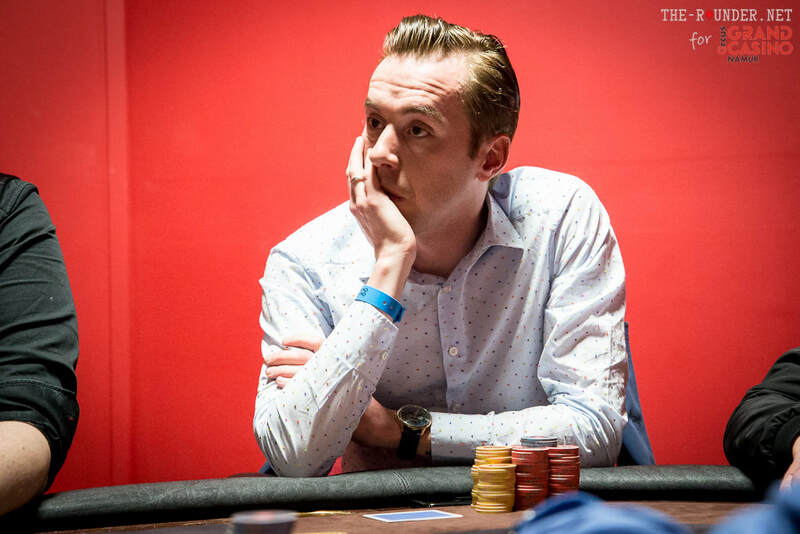 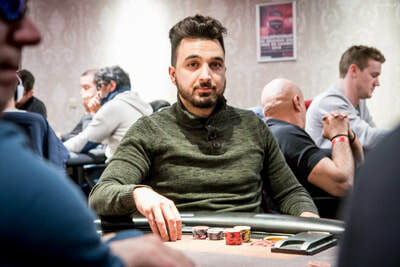 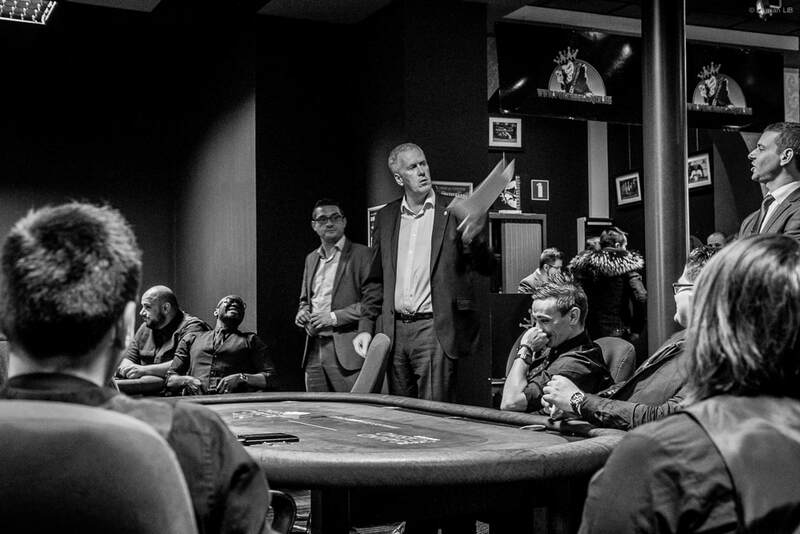 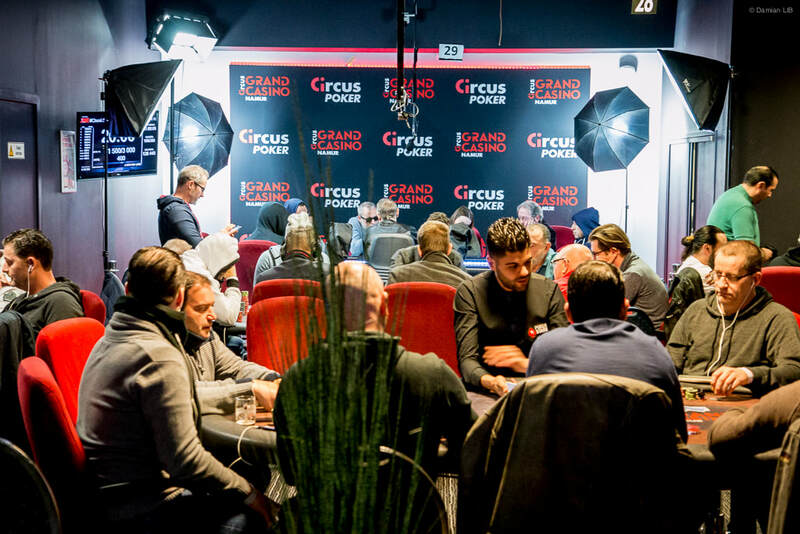 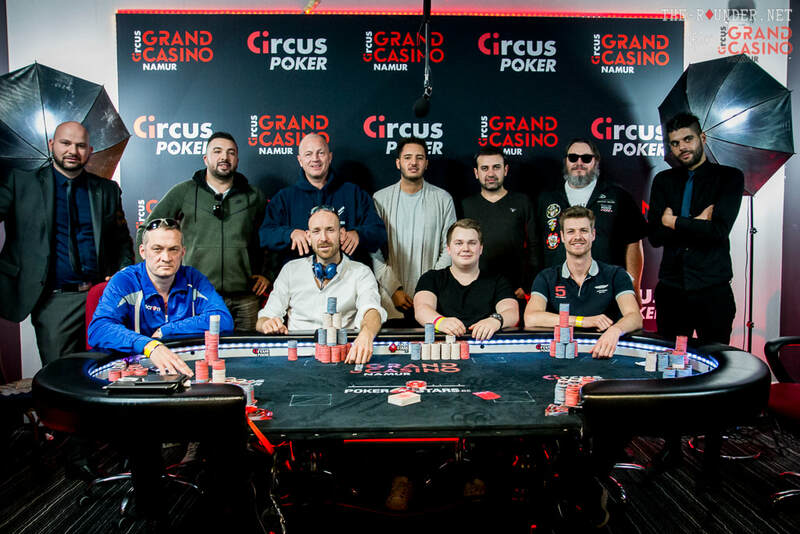 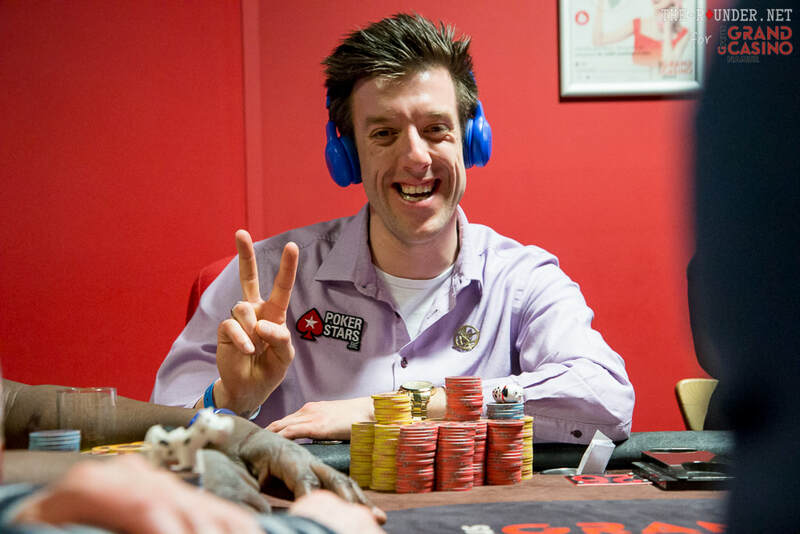 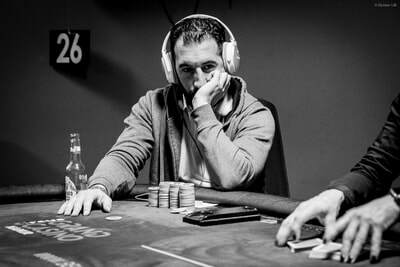 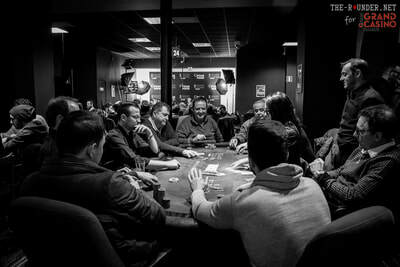 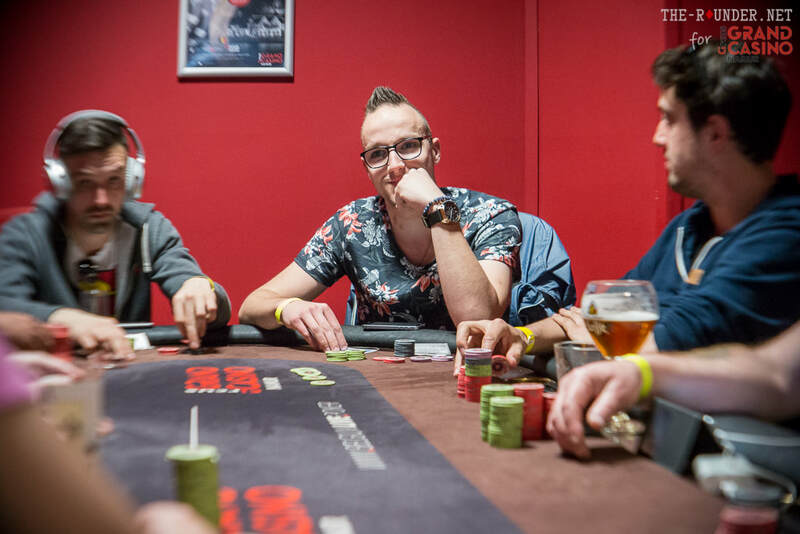 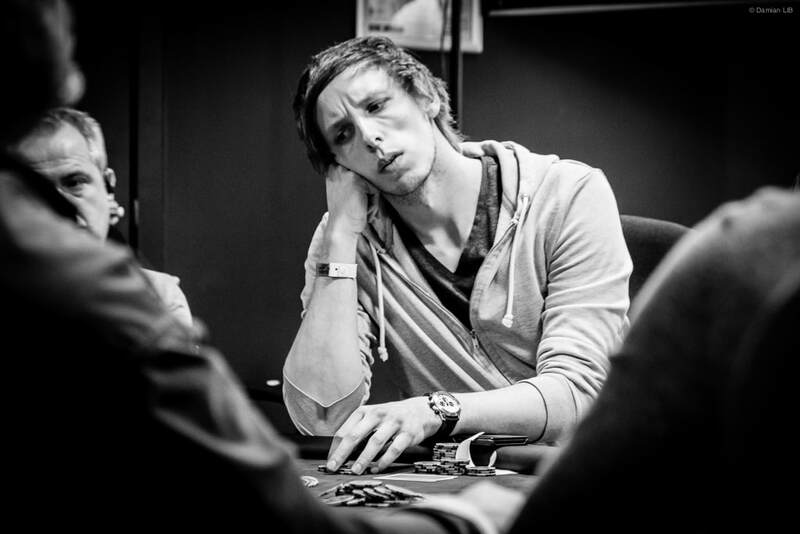 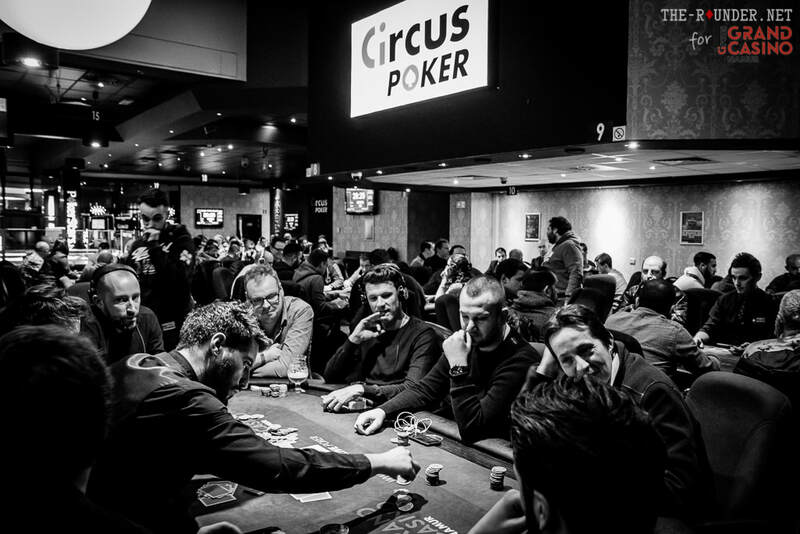 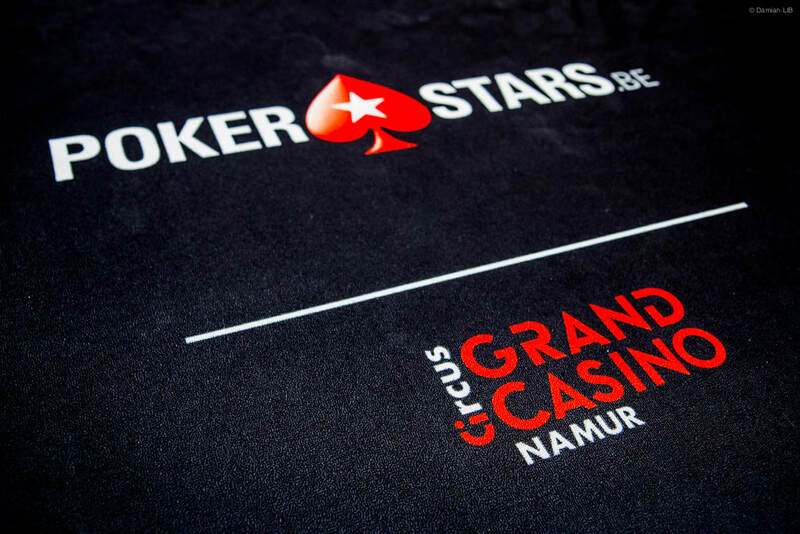 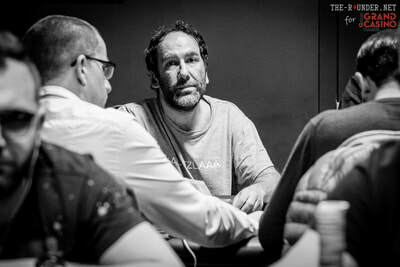 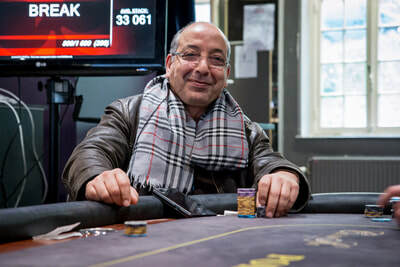 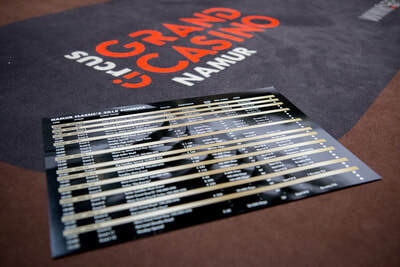 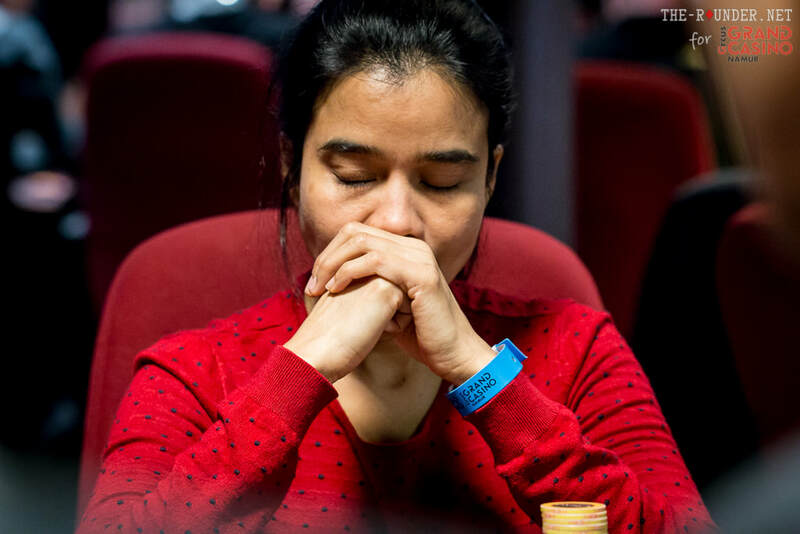 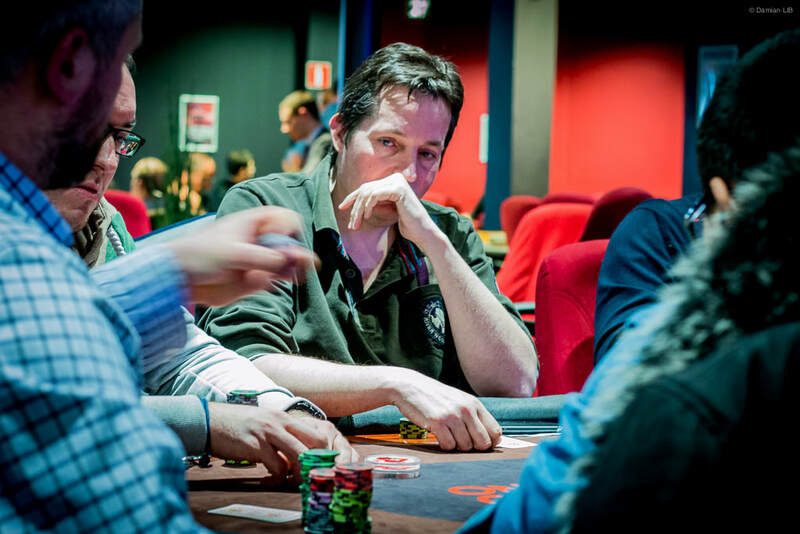 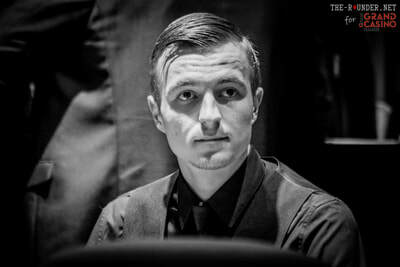 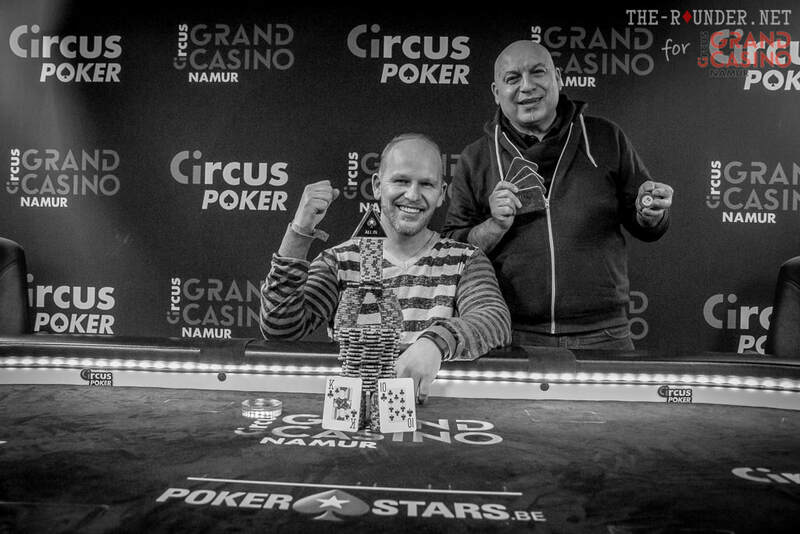 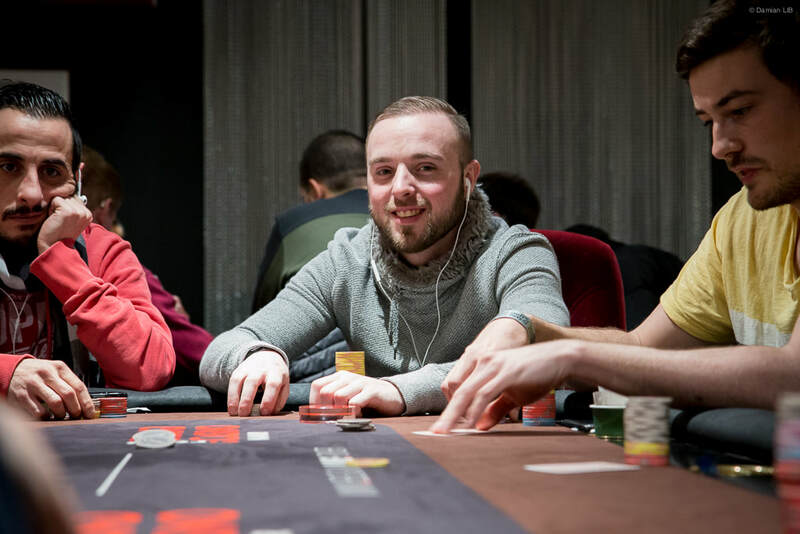 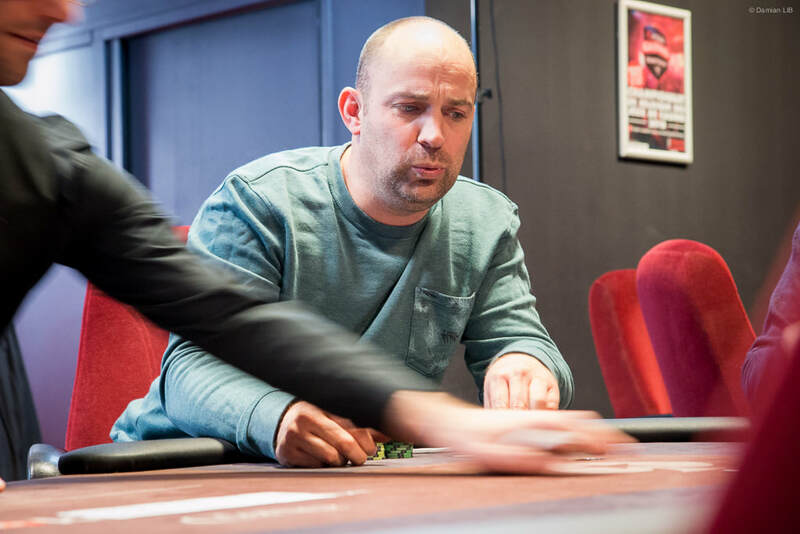 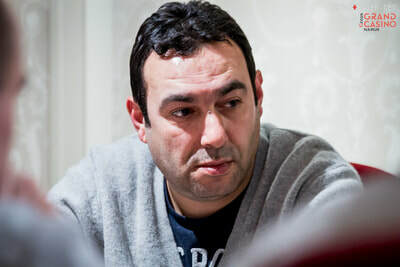 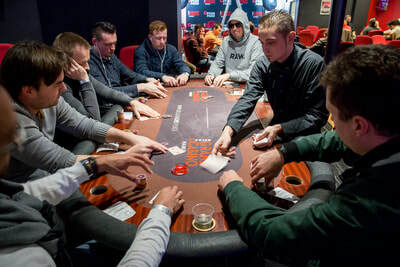 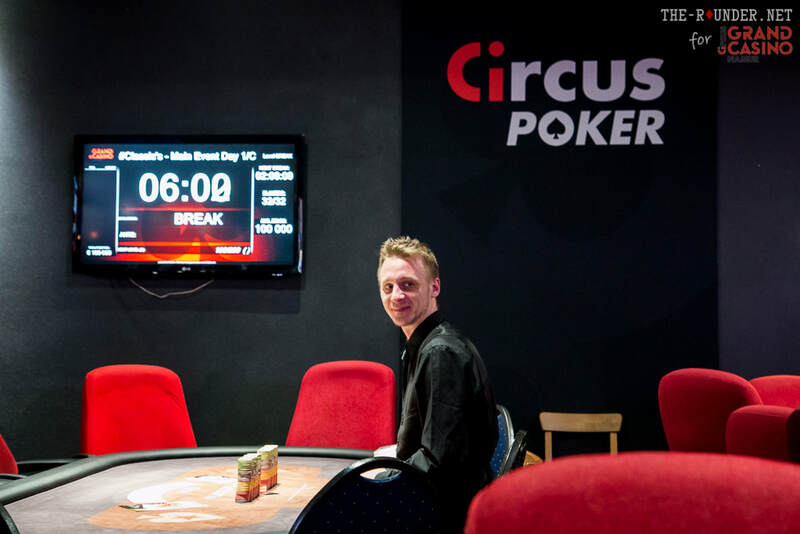 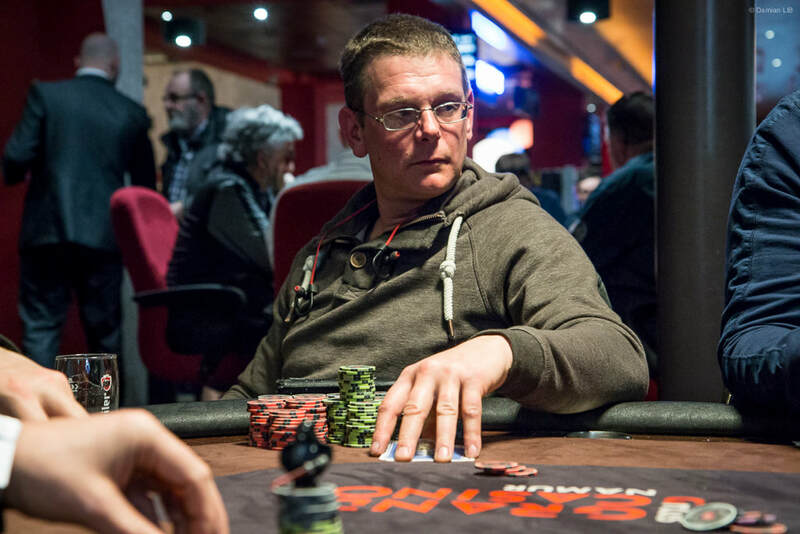 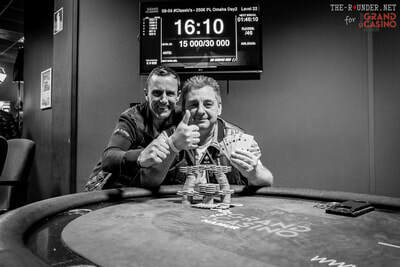 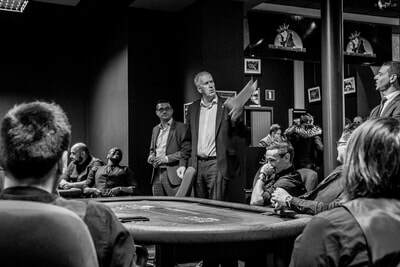 Two weeks spent in Belgium for late March / early April for a total of 106 hours of reporting about the Namur Classic's Poker festival. More photos and reports are always available in the PHOTOS & COVERAGES section of this website. 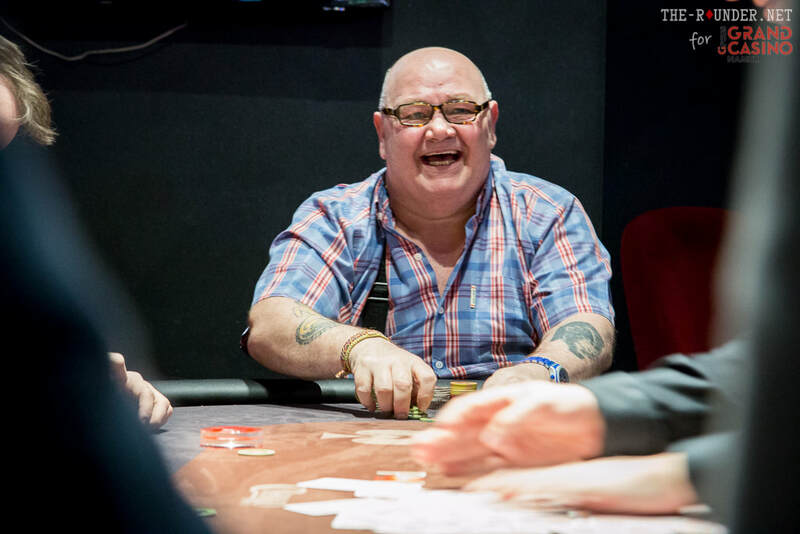 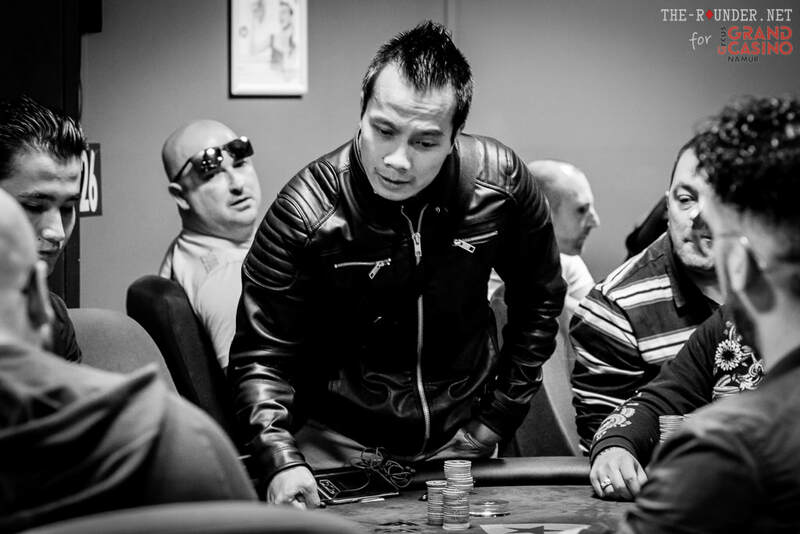 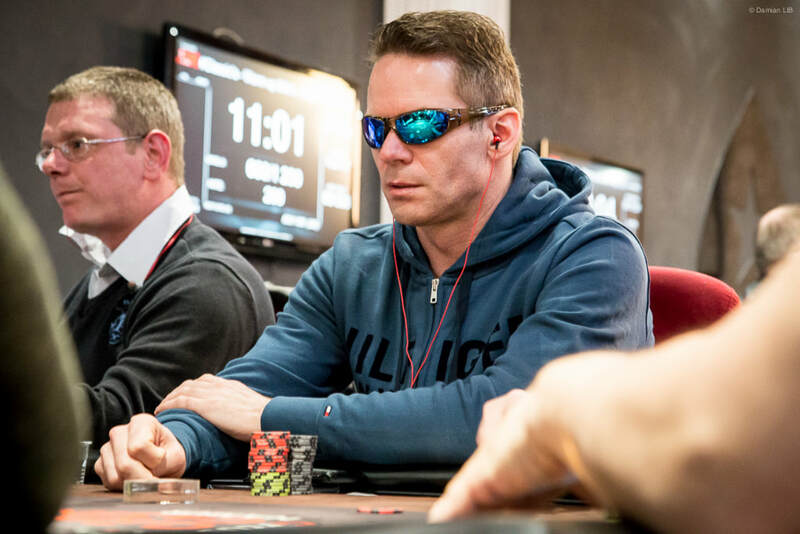 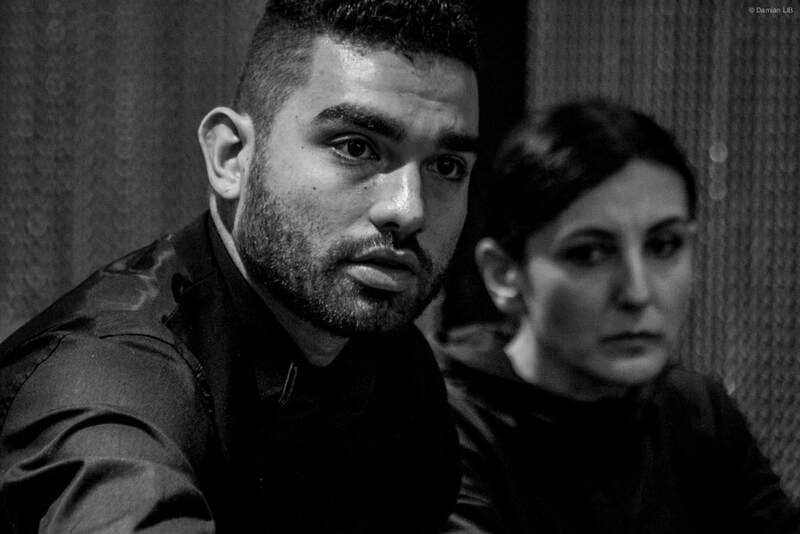 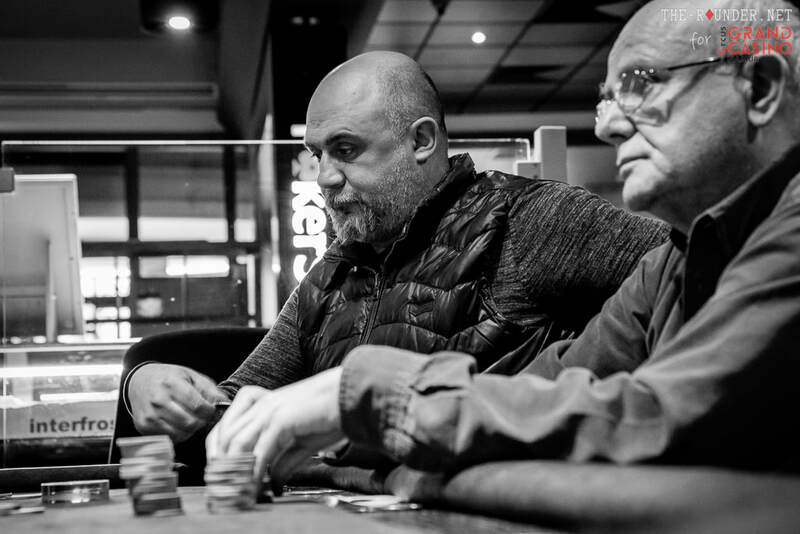 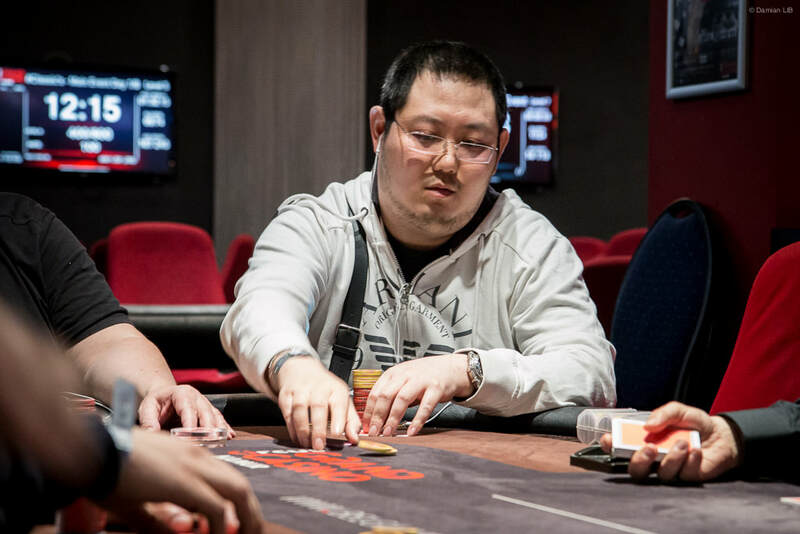 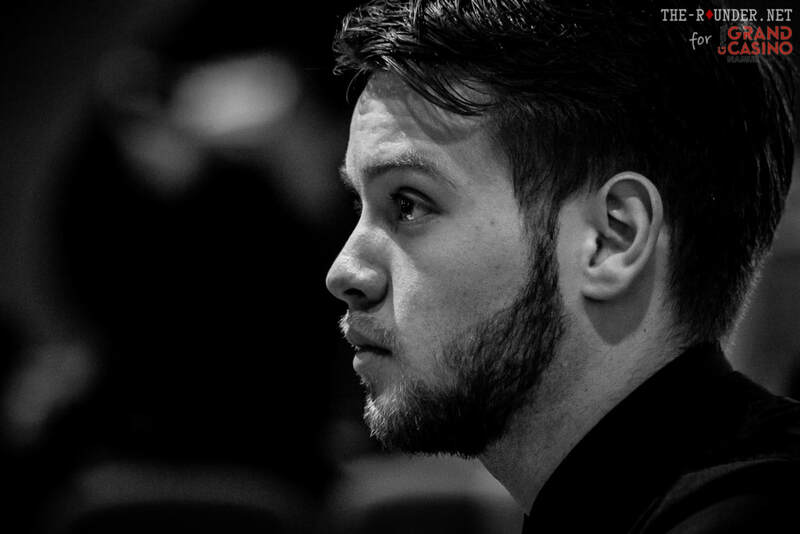 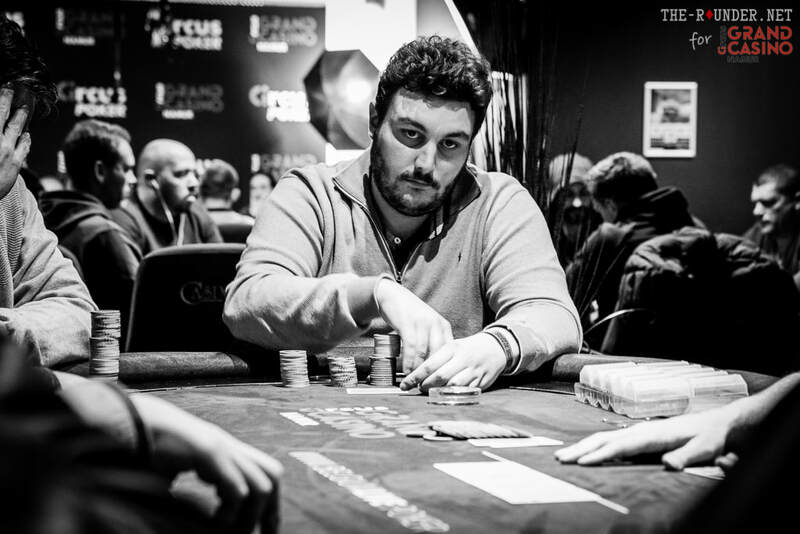 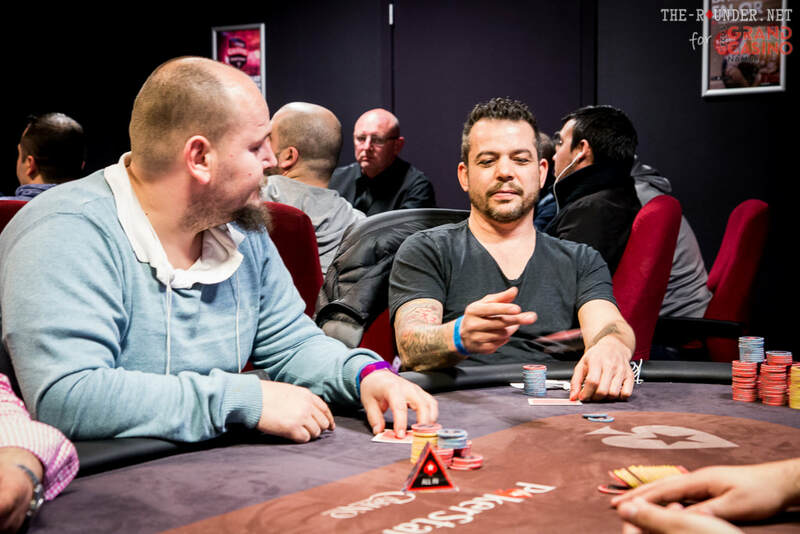 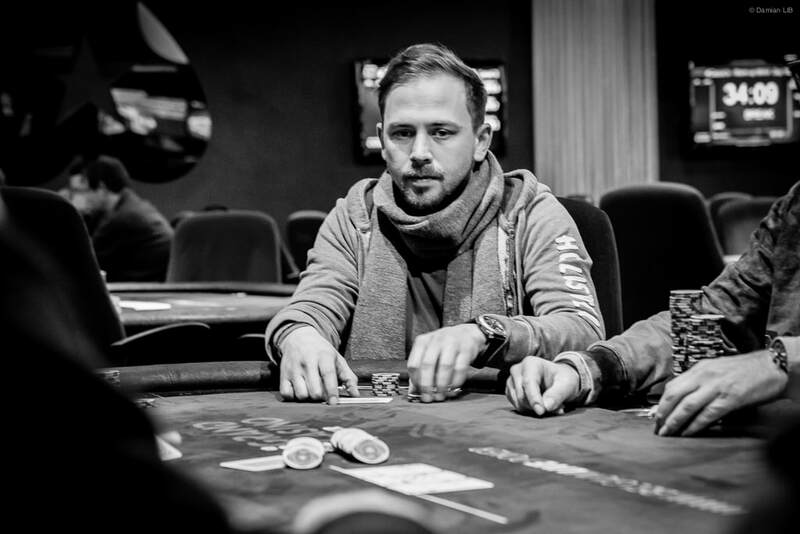 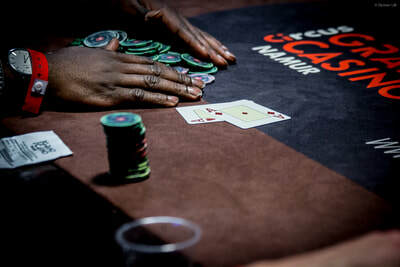 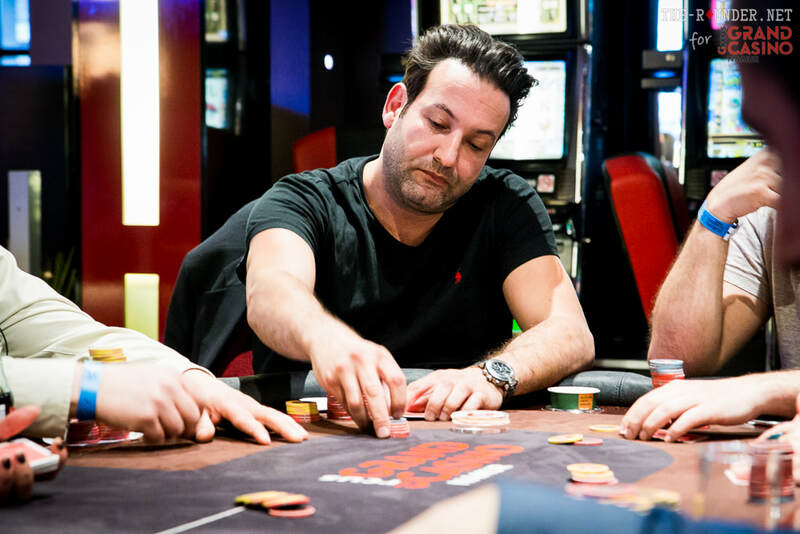 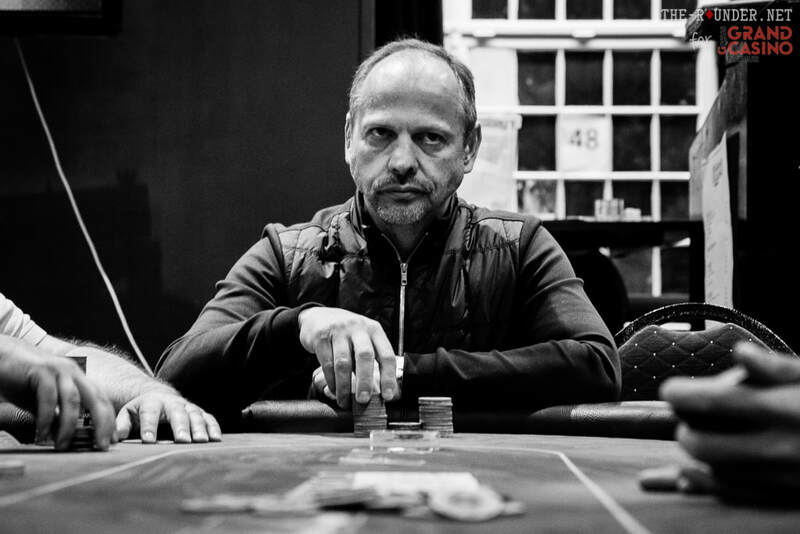 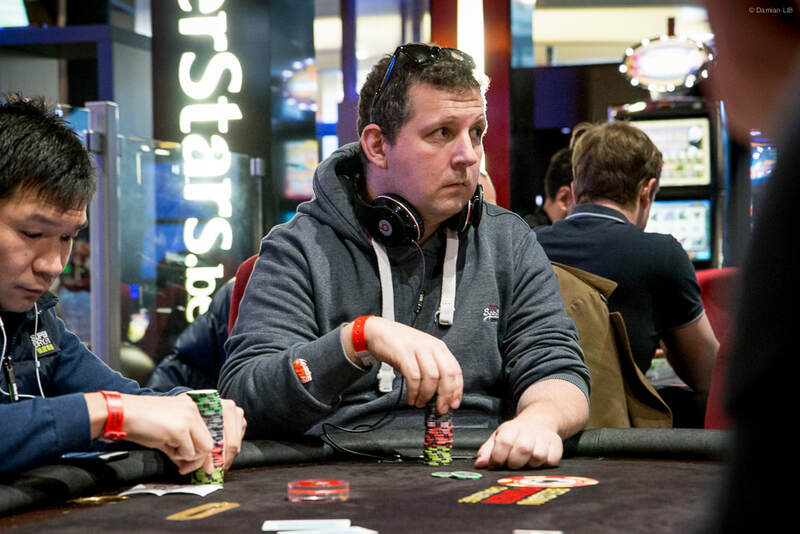 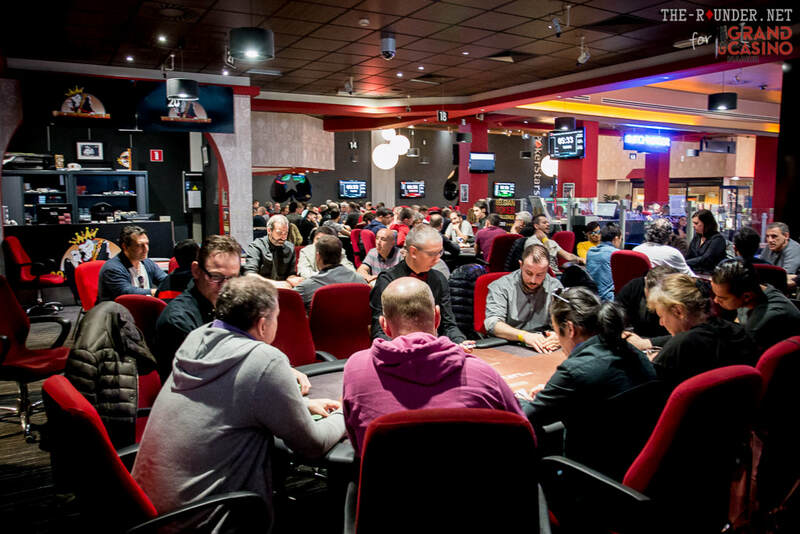 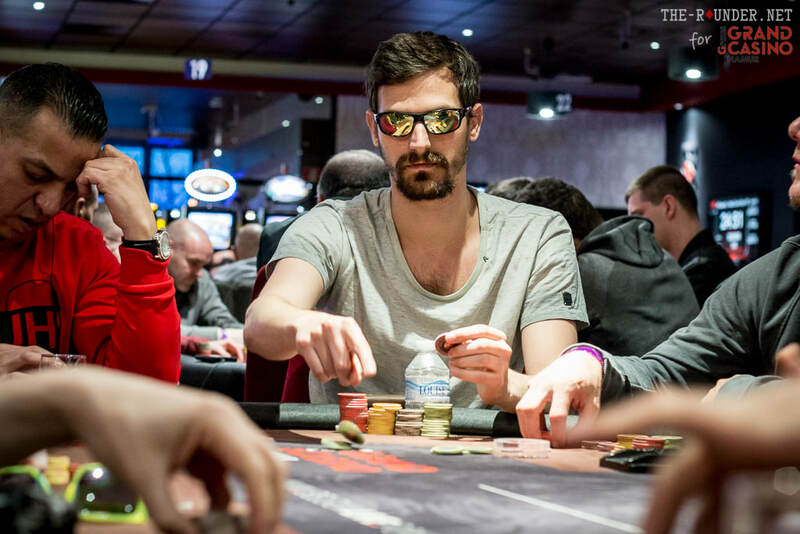 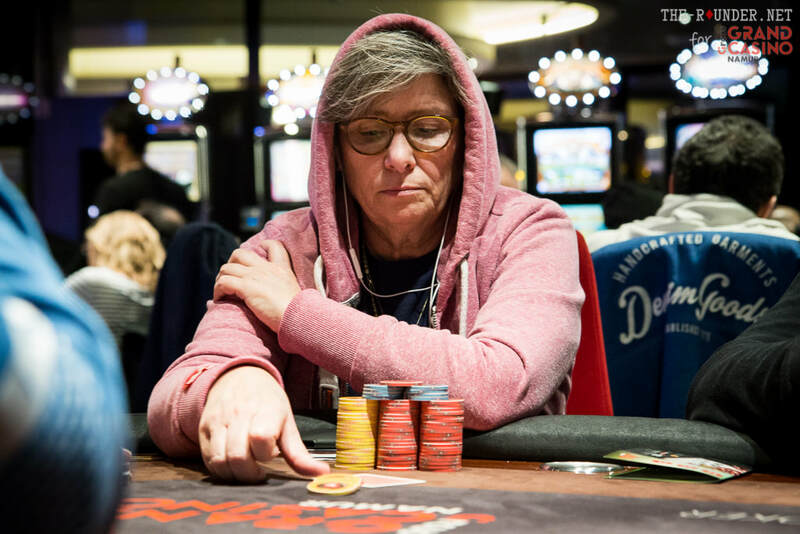 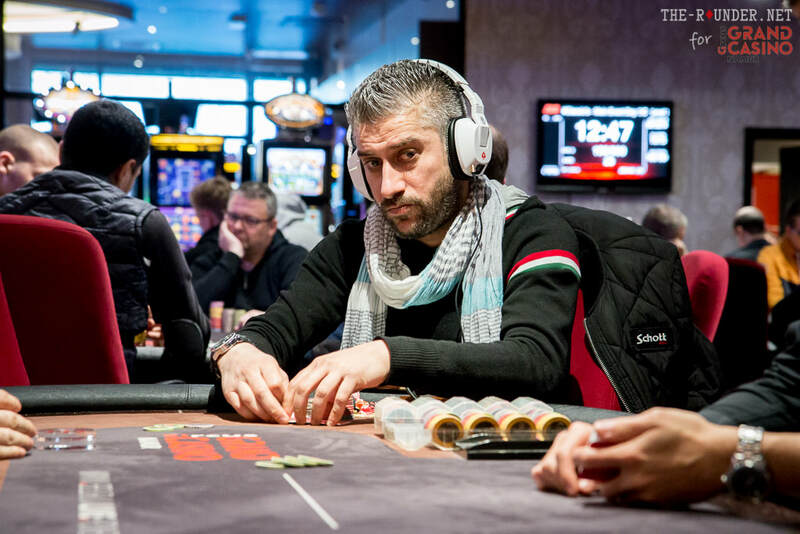 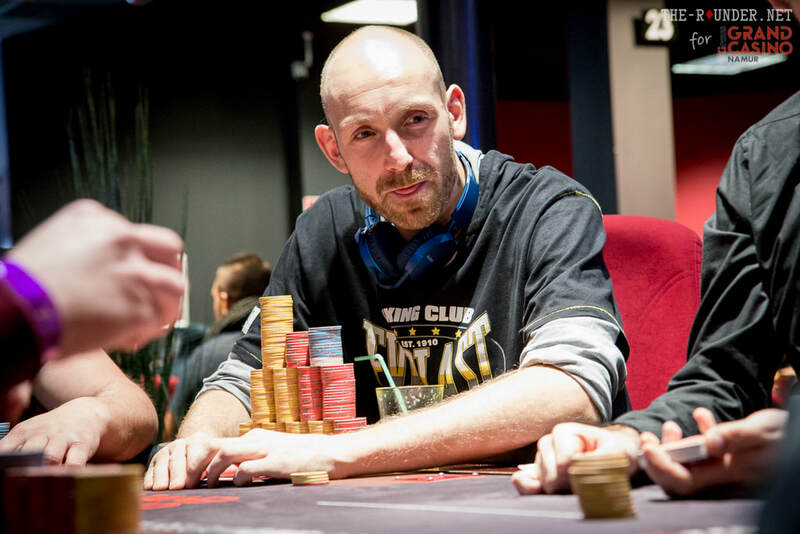 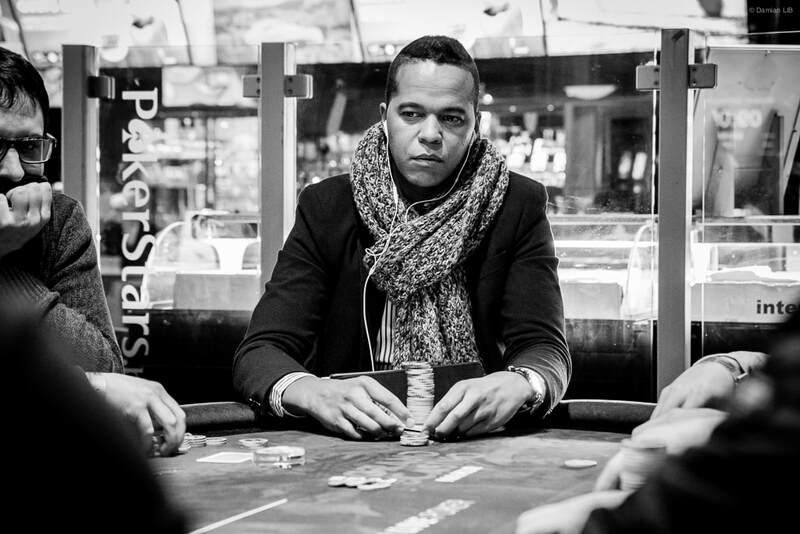 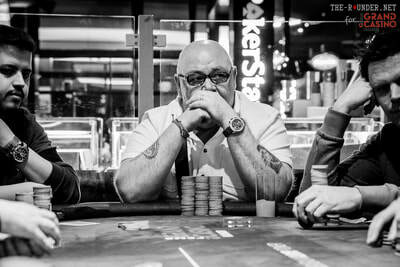 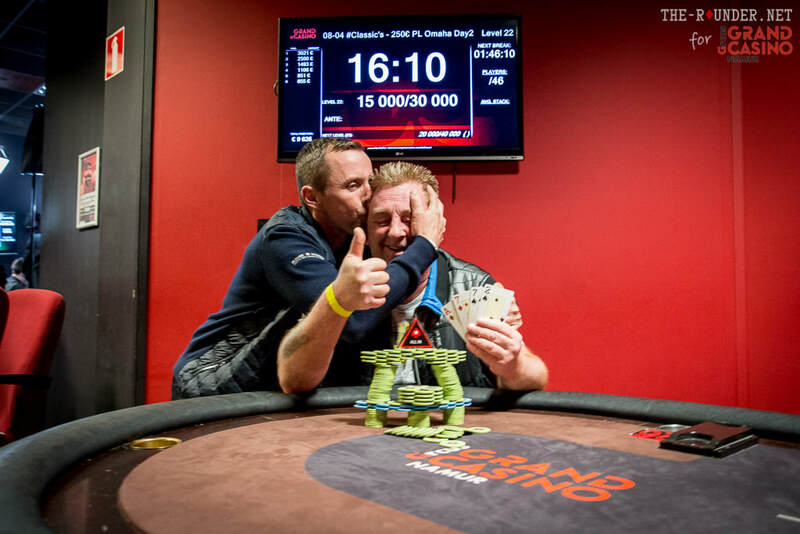 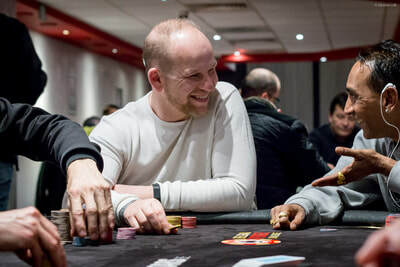 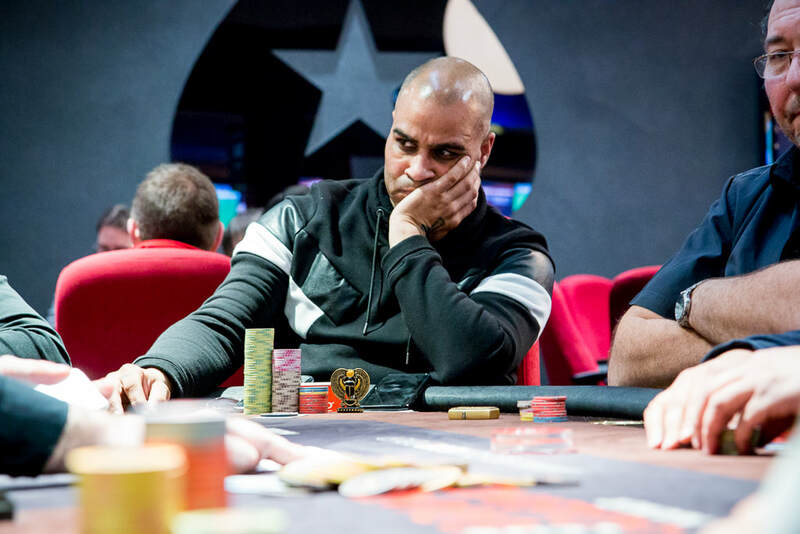 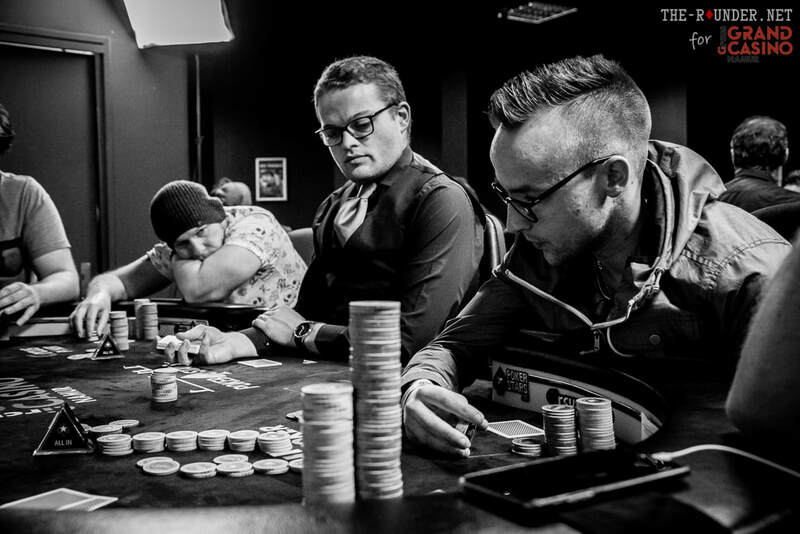 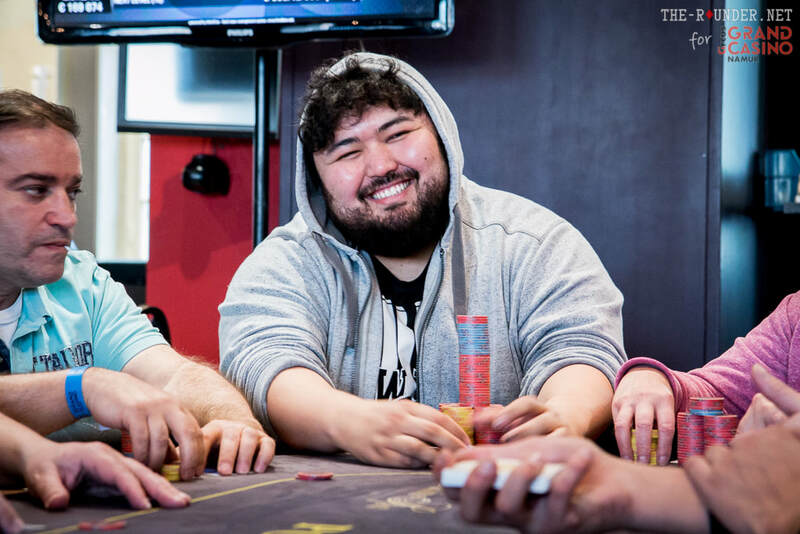 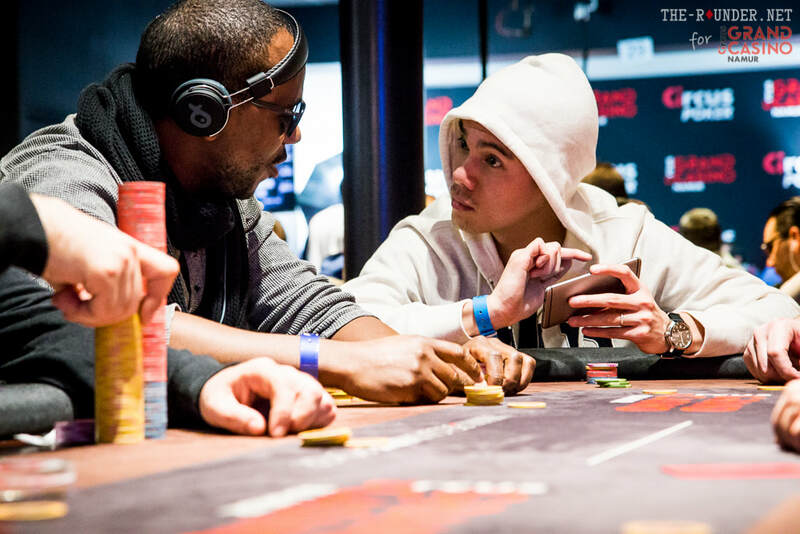 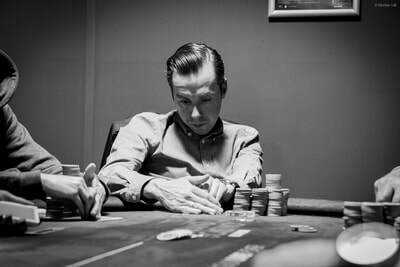 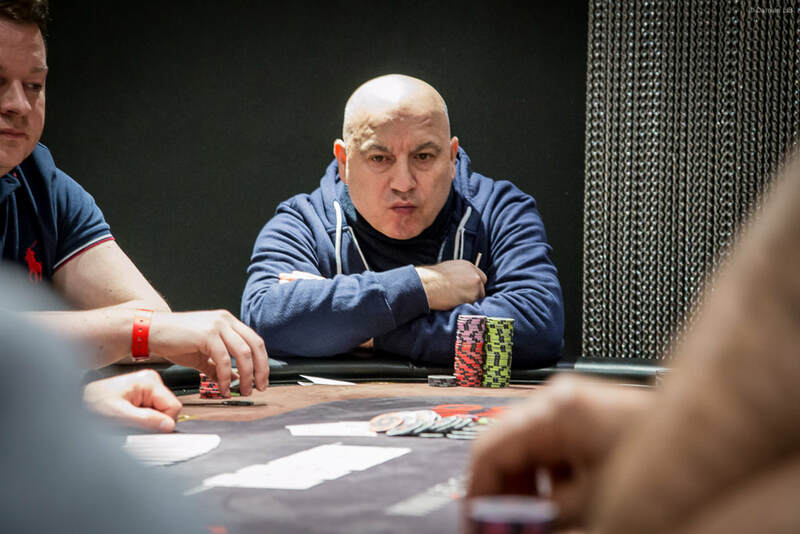 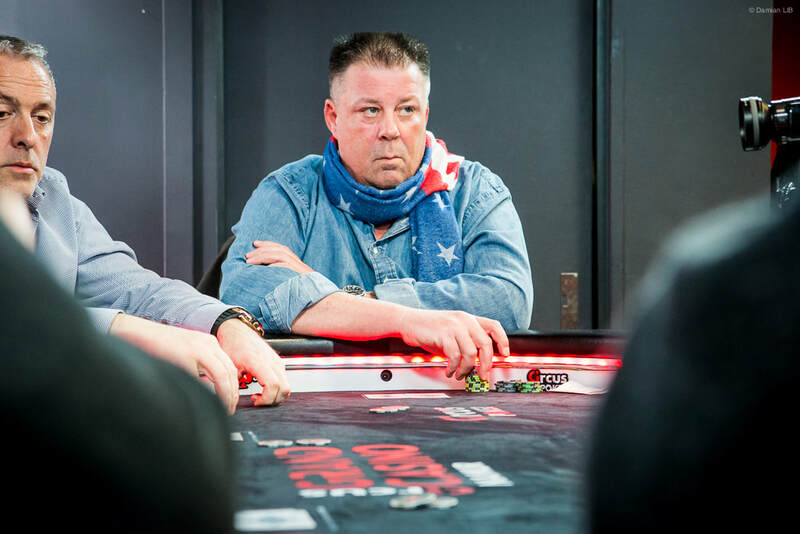 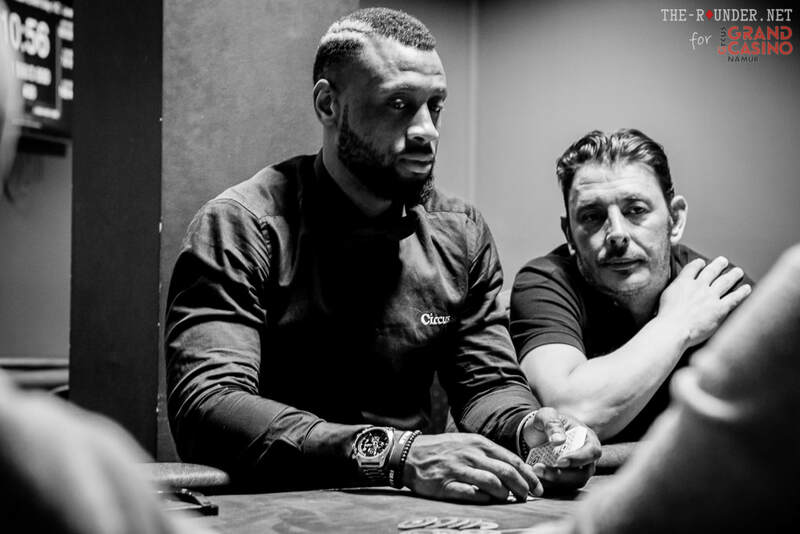 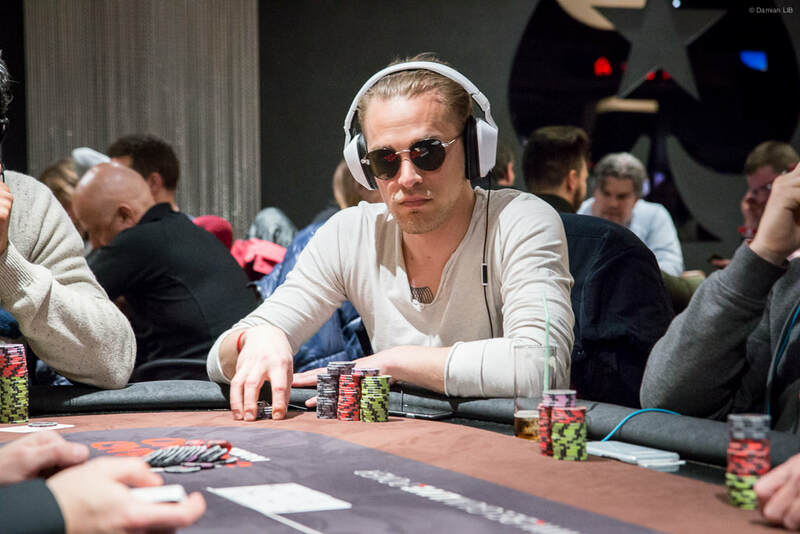 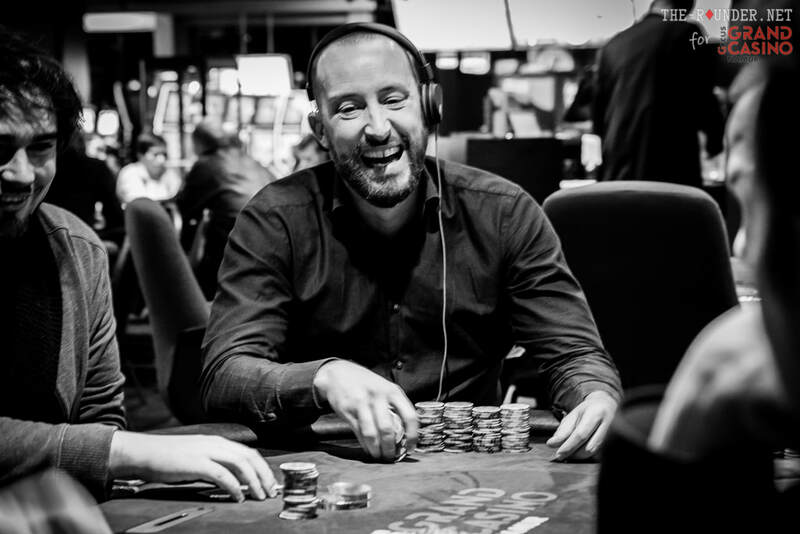 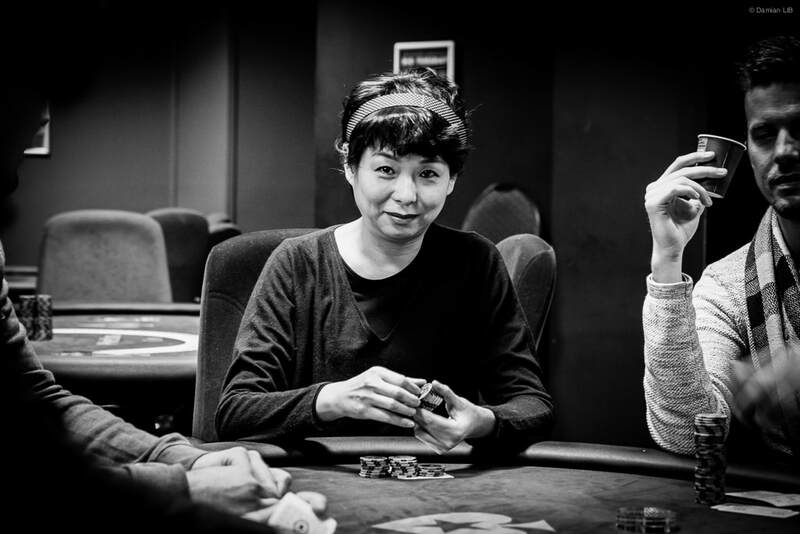 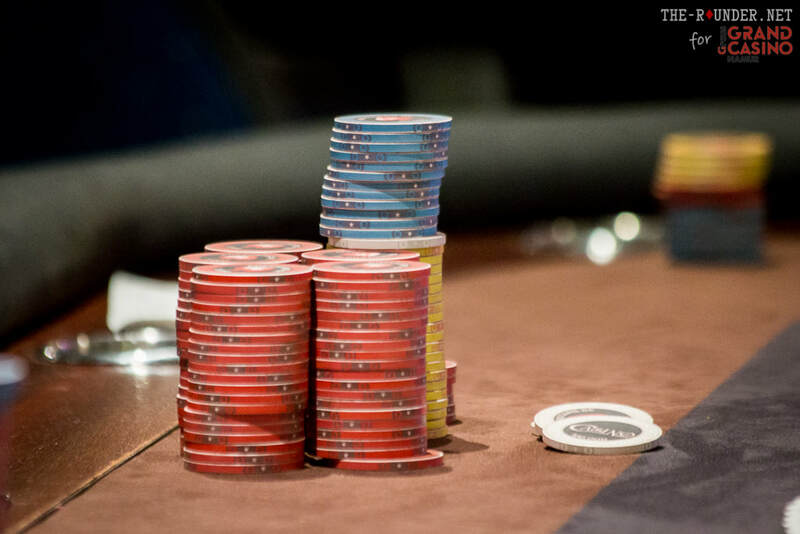 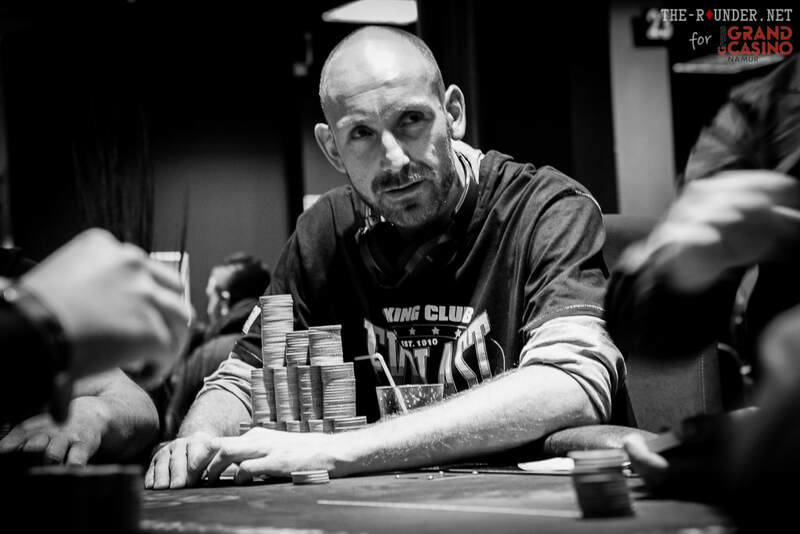 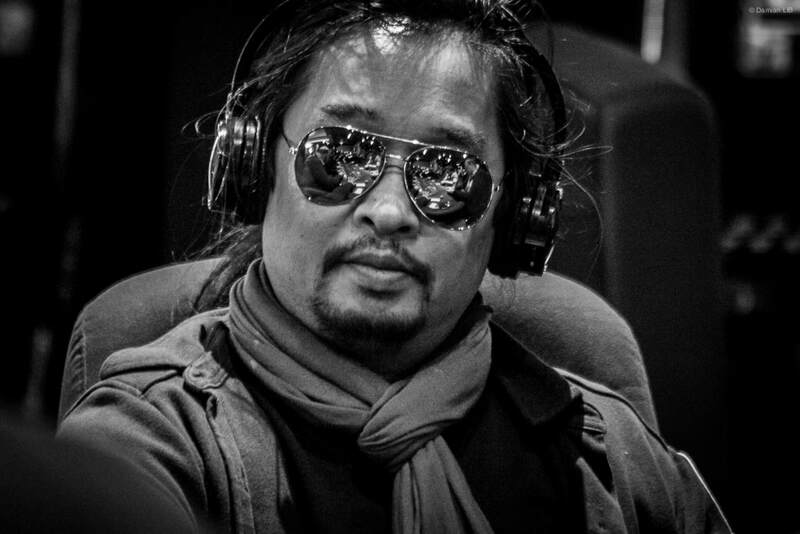 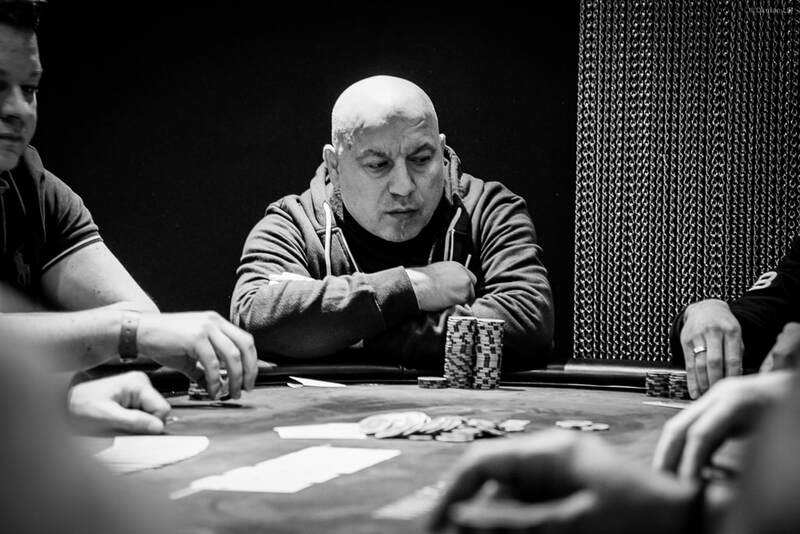 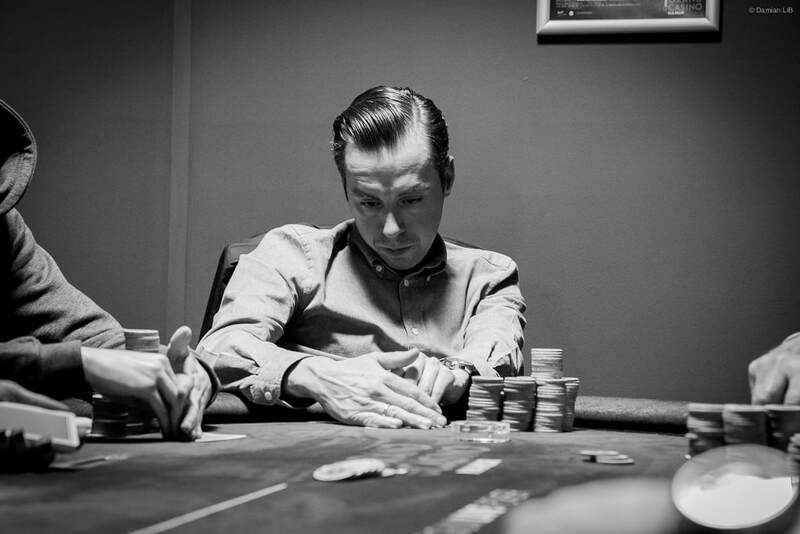 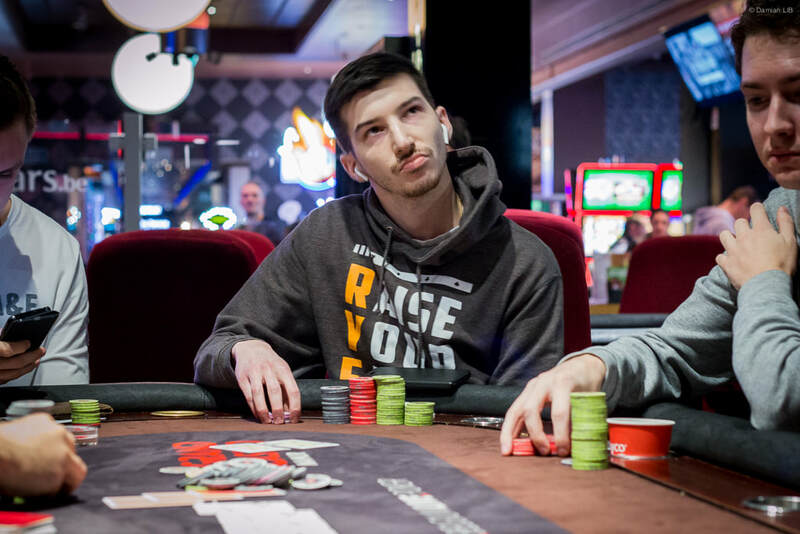 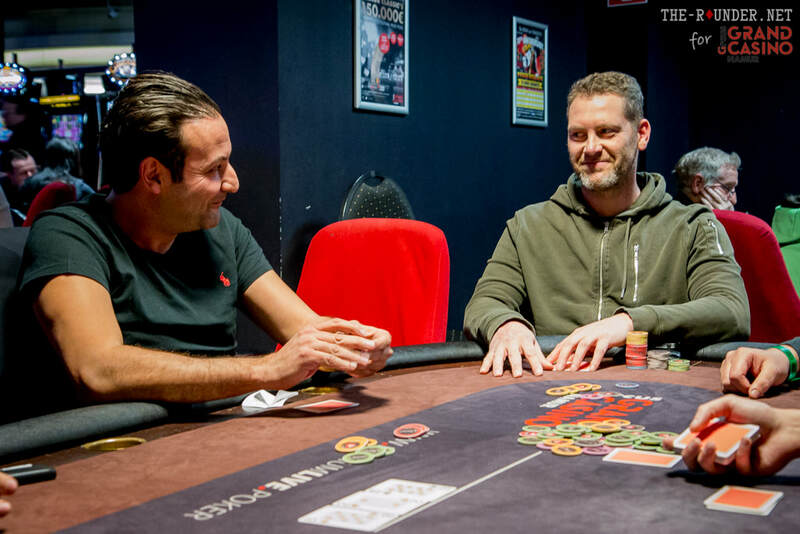 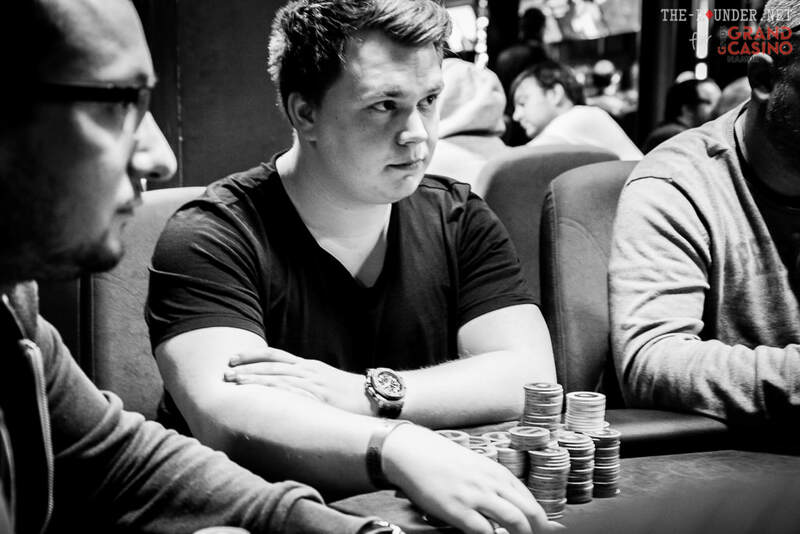 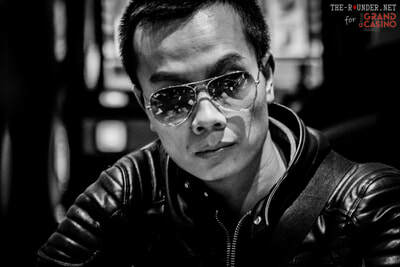 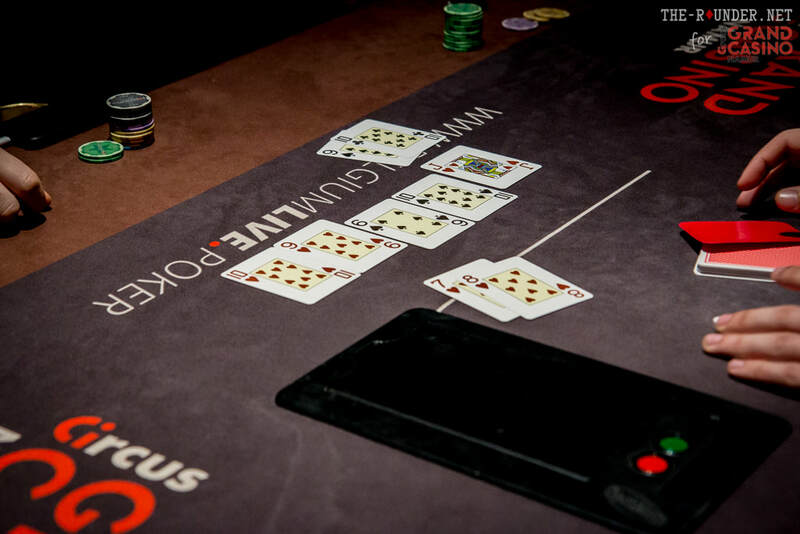 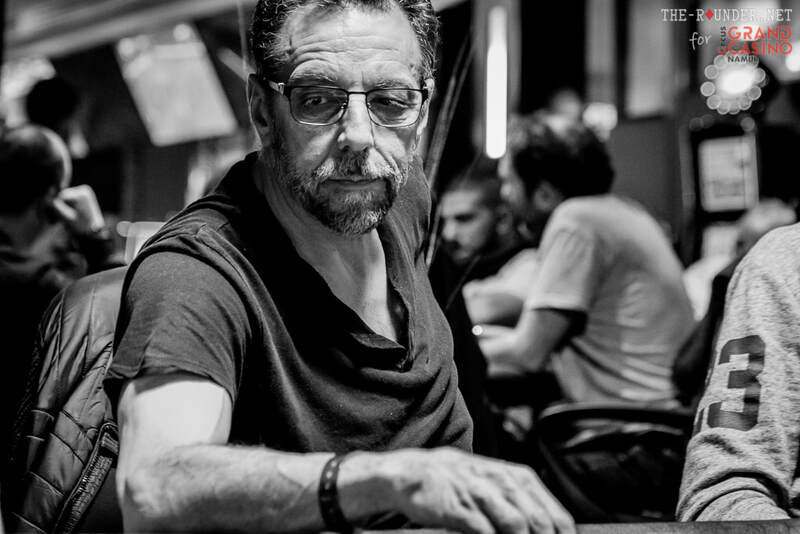 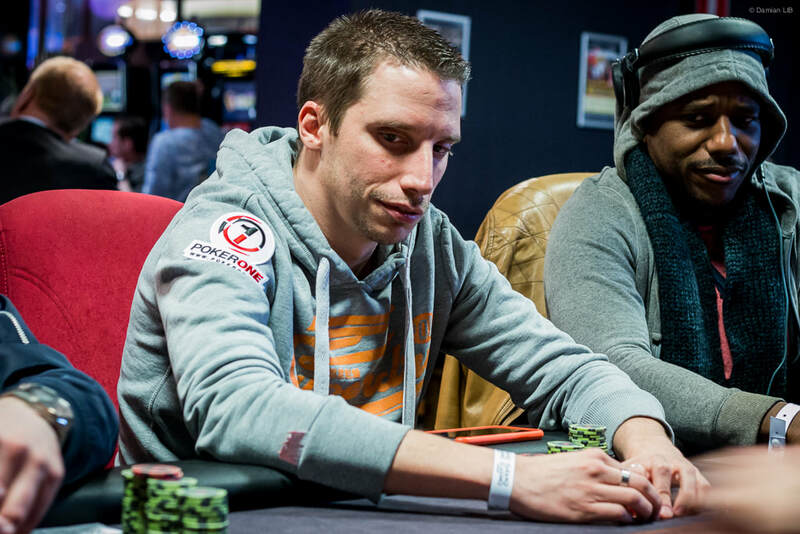 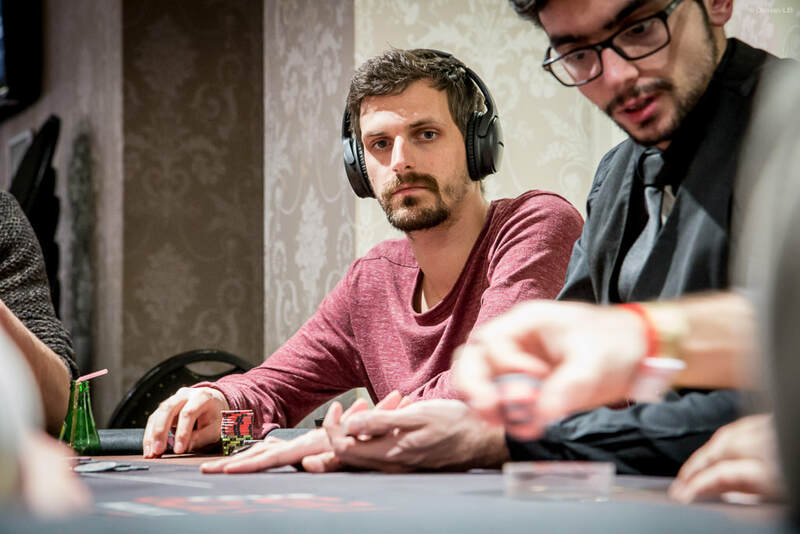 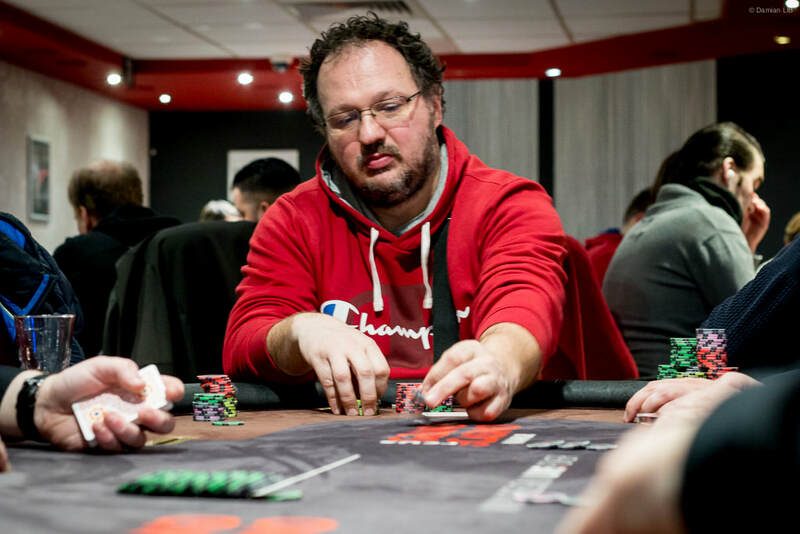 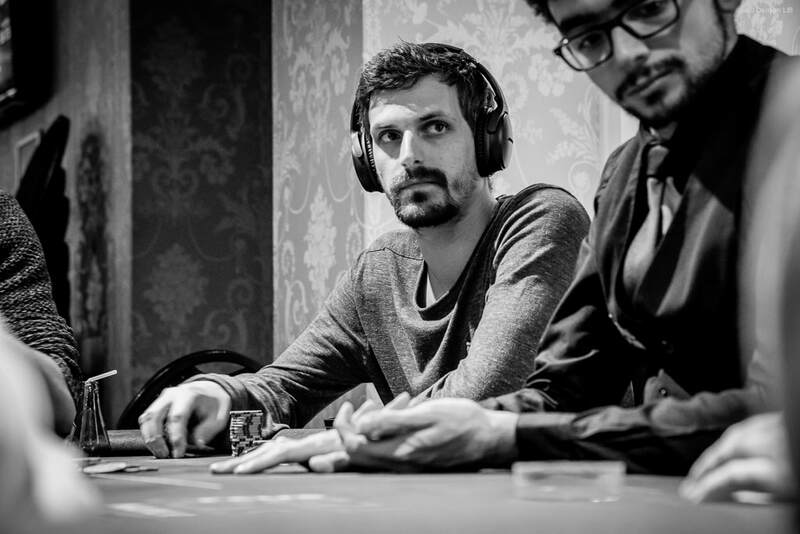 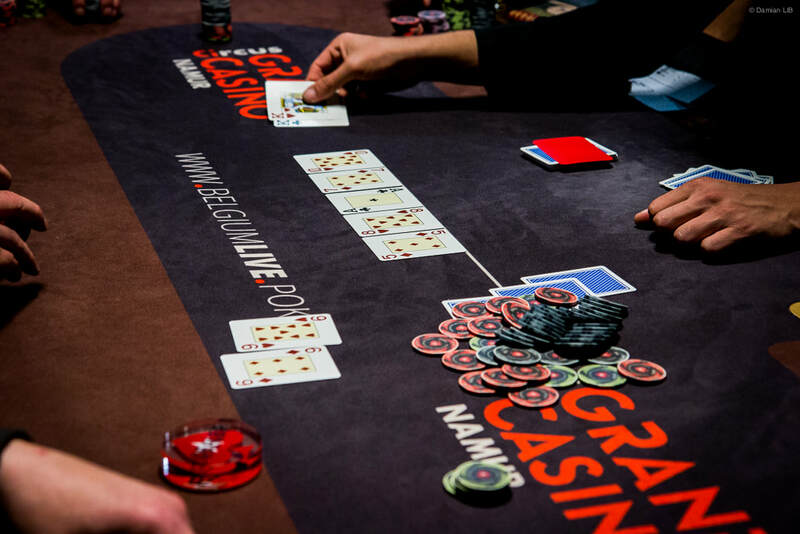 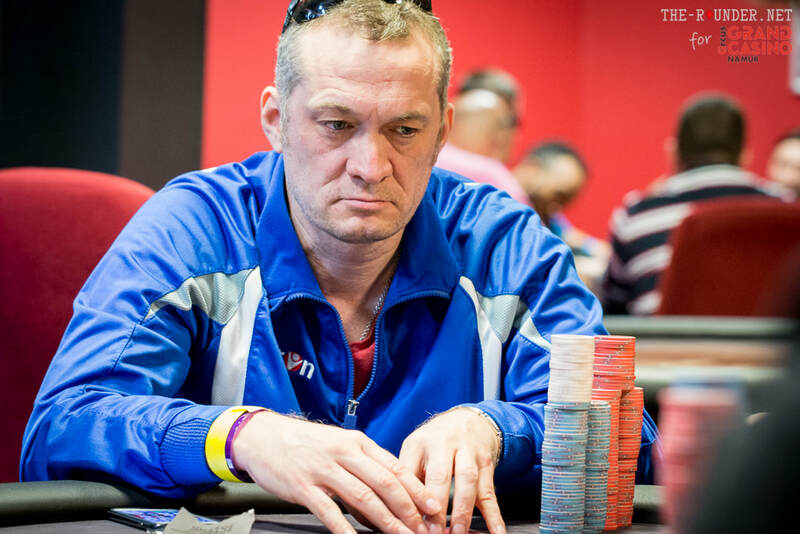 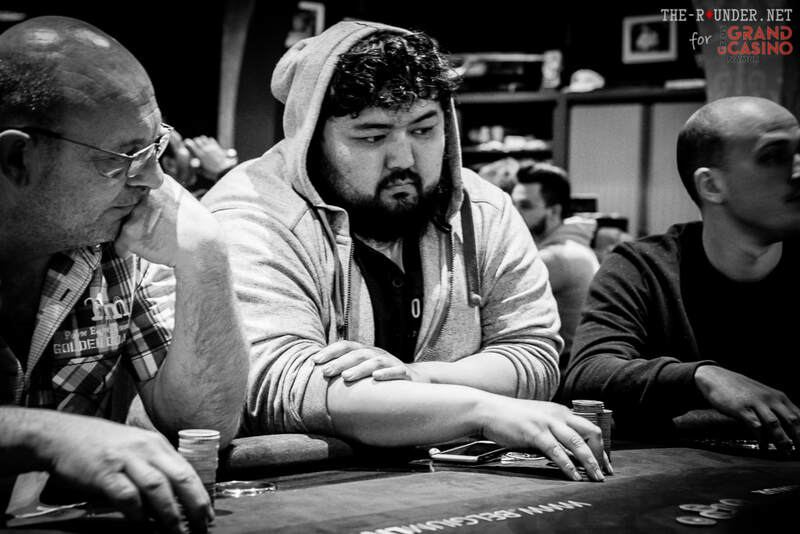 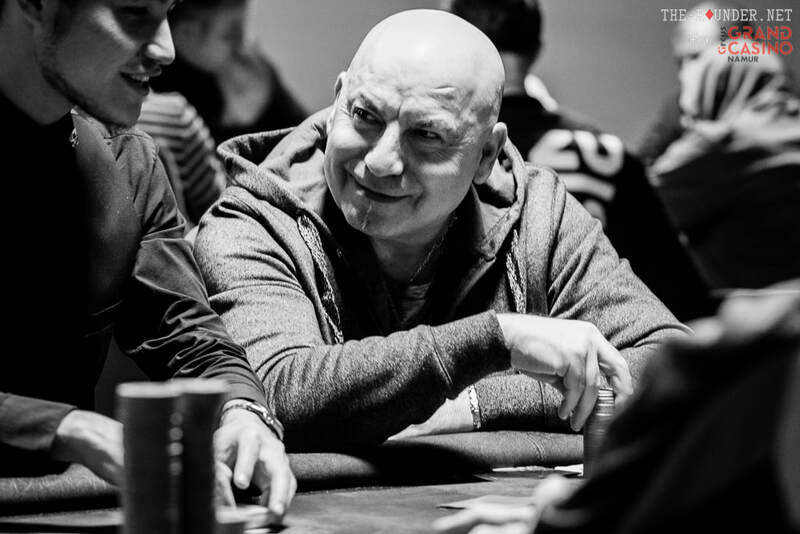 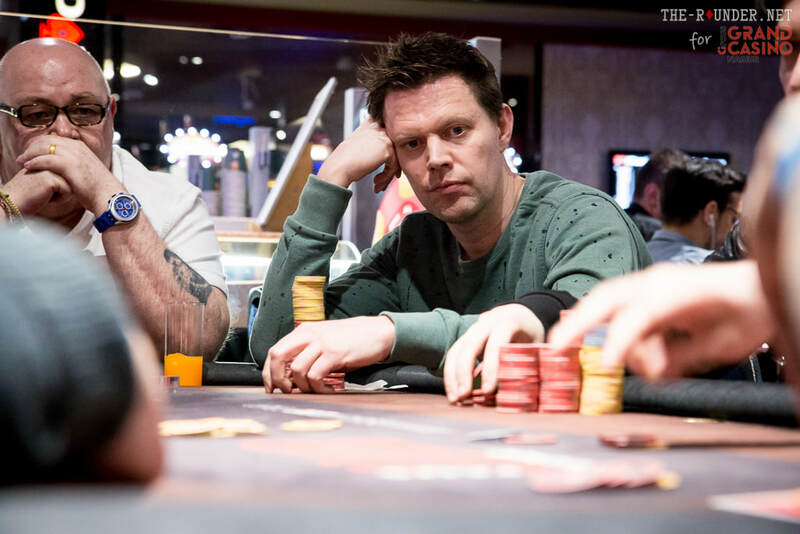 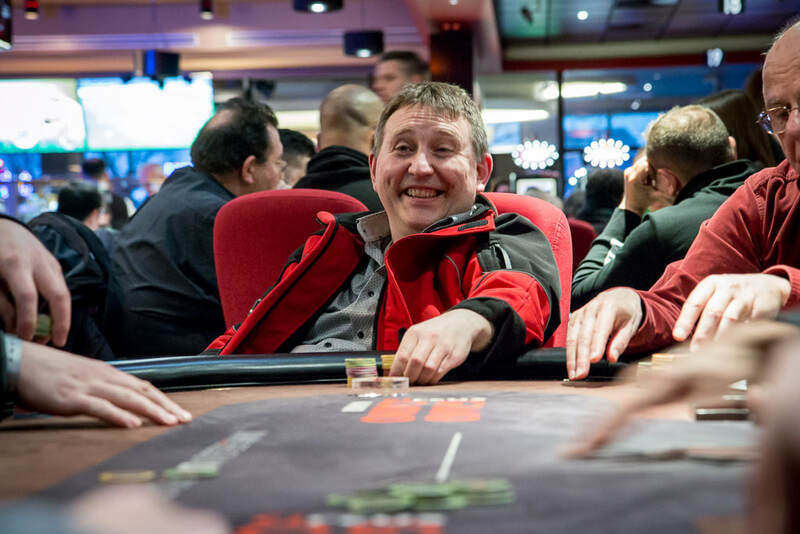 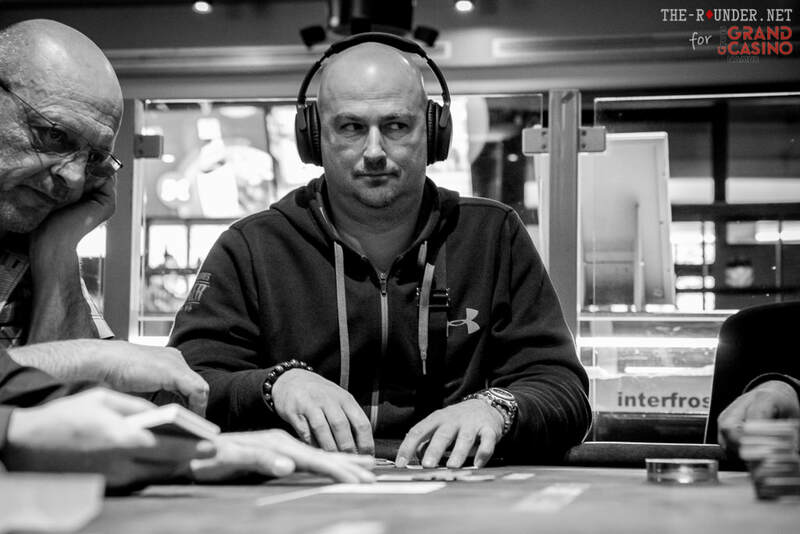 The Winamax Series are returning this September for an exciting 19th edition. 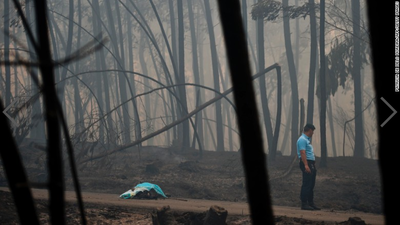 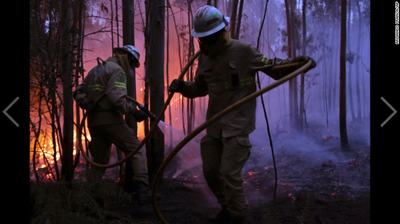 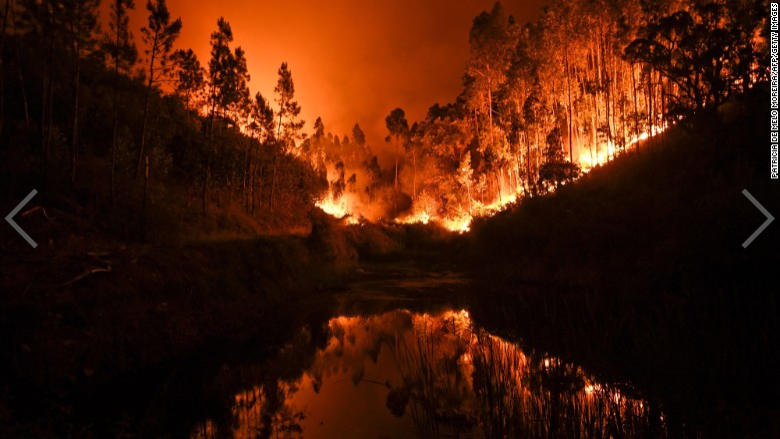 Portugal is burning again :'( After the great fires of last June, Portugal's Civil Protection Agency claims firefighters have brought under control a major 5-day-old wildfire that destroyed a wide area of pine and eucalyptus forest. 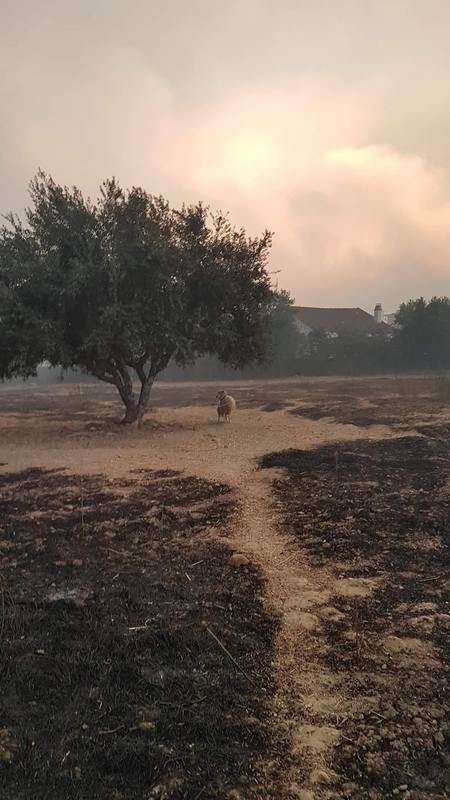 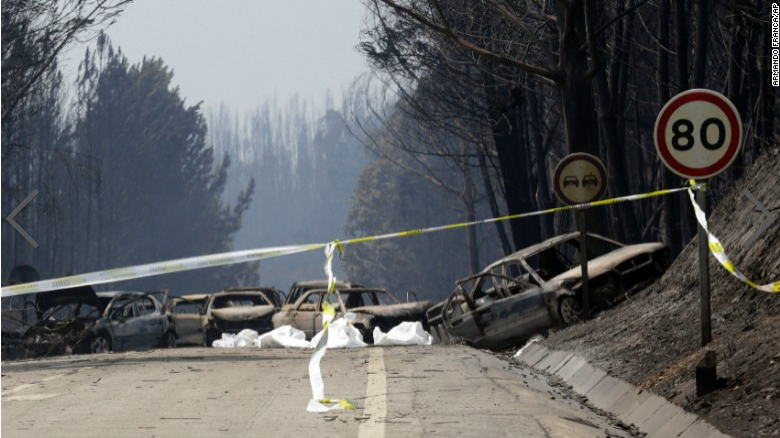 Additionnally, fires broke out later as a result of severe drought conditions in 70% of Portugal territory according to the local Weather Institute. 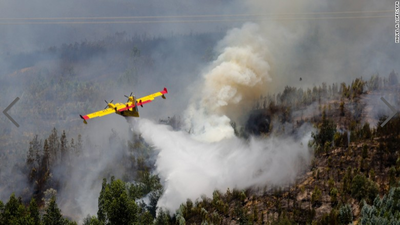 It is officially reported that hundreds of firefighter were deployed to a dozen blazes together with more tan 20 water-dropping aircrafts. My Leechi charity pot will be open until late August if you want to help in this summer's #solidaritychallenge #spew4pt. 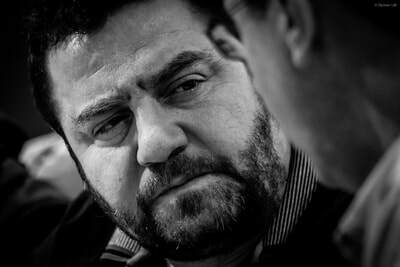 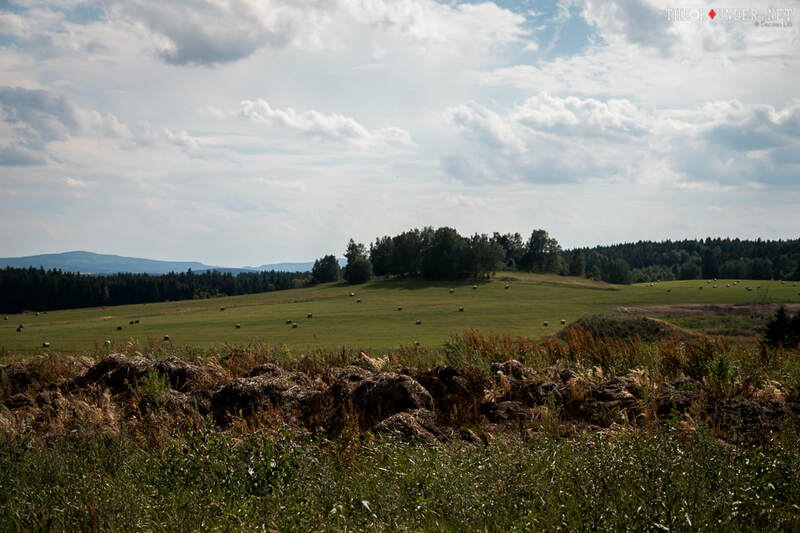 Find out more about the project below if you are not familiar with it. You can donate money via the Leechi site or just hand me over the money in cash, by wire transfer or by any other means. 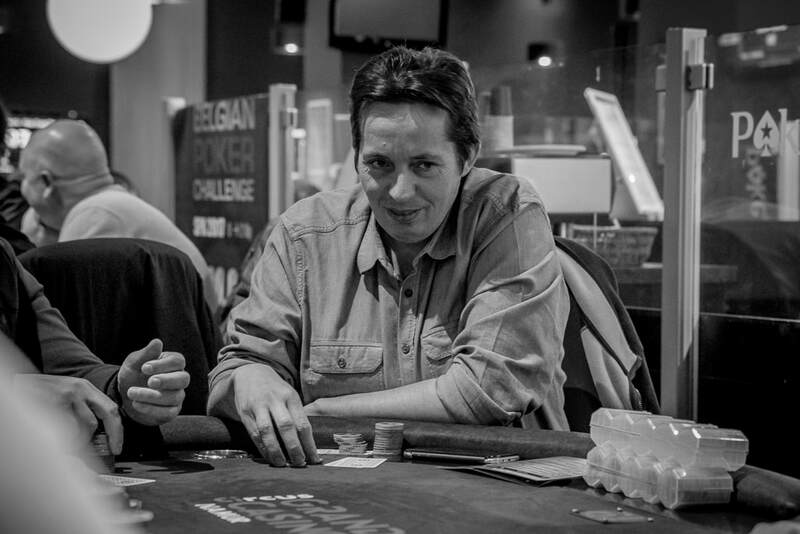 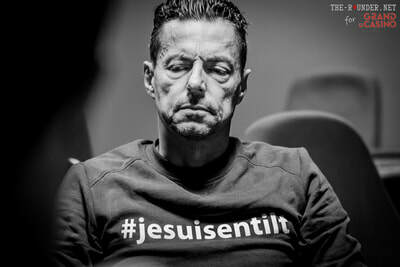 - Yoann and Sarah from Luxembourg have contributed to the pot with a donation of €30 !! 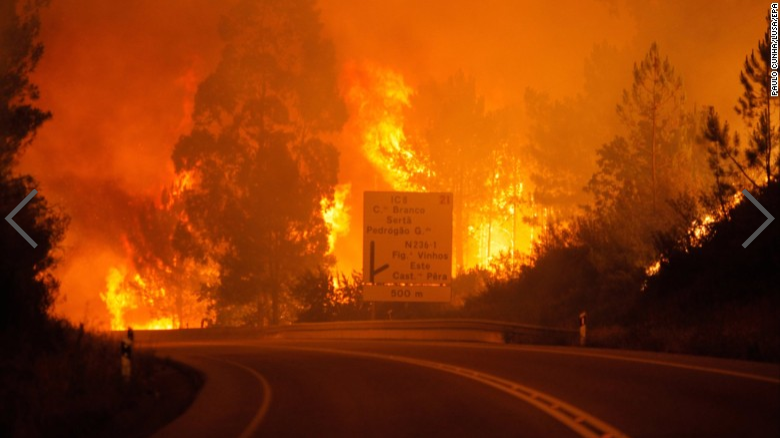 Muito obrigado !! 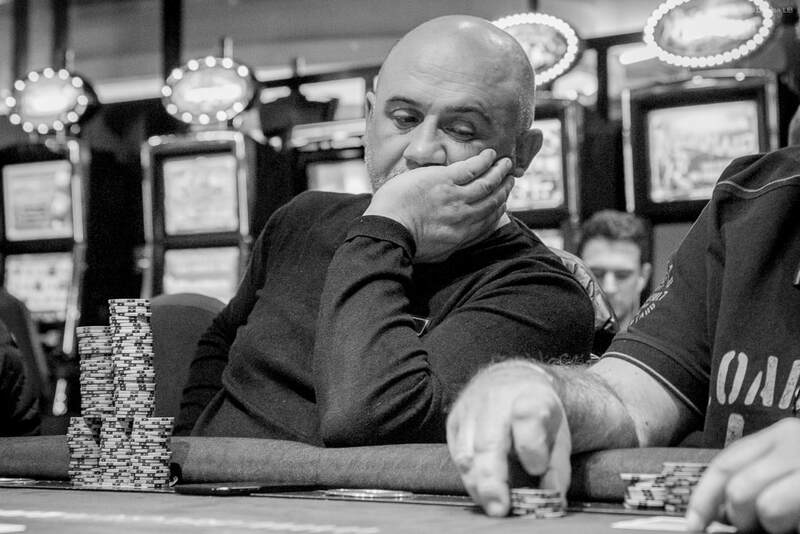 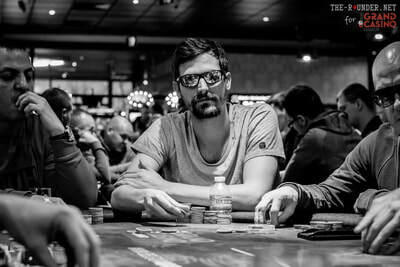 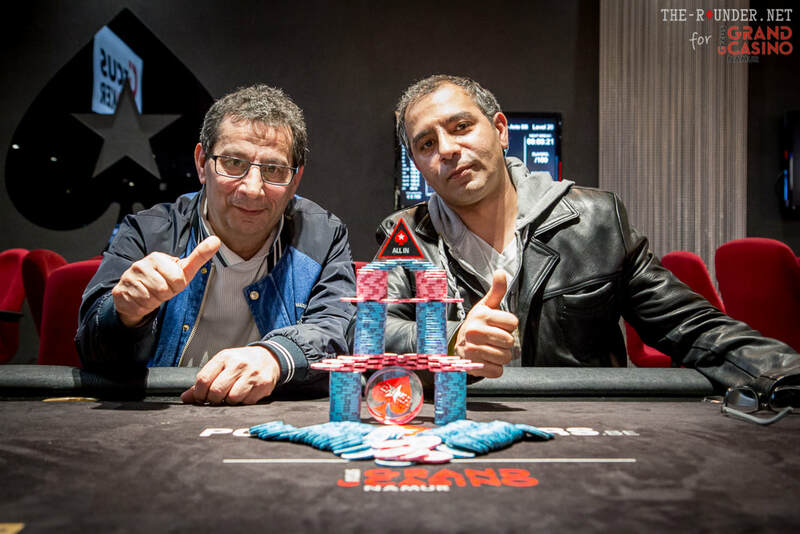 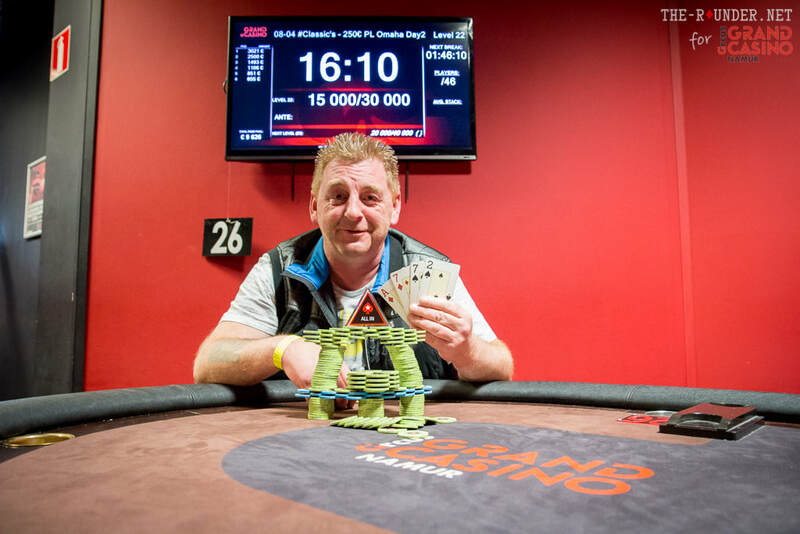 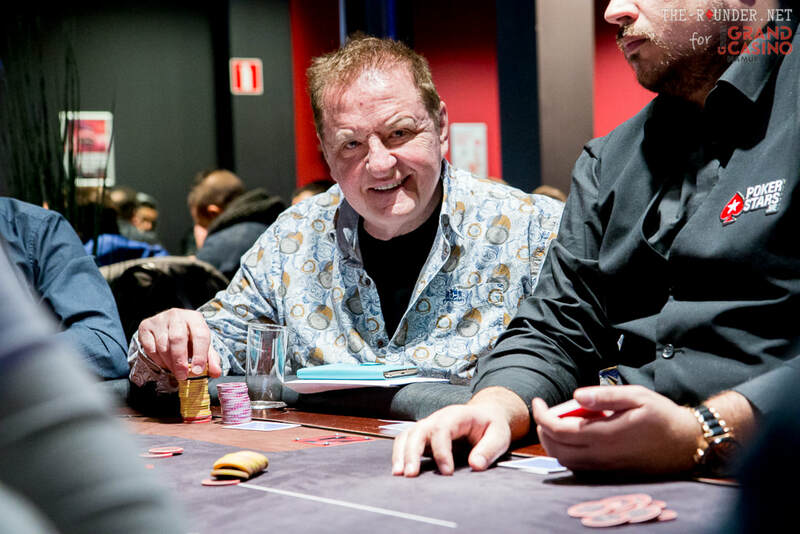 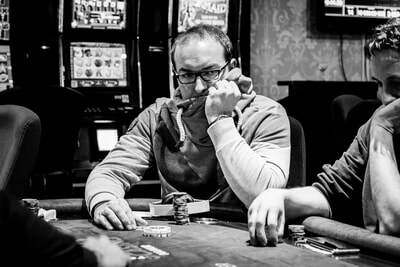 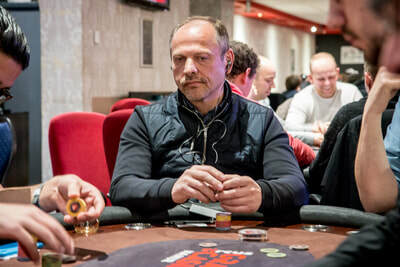 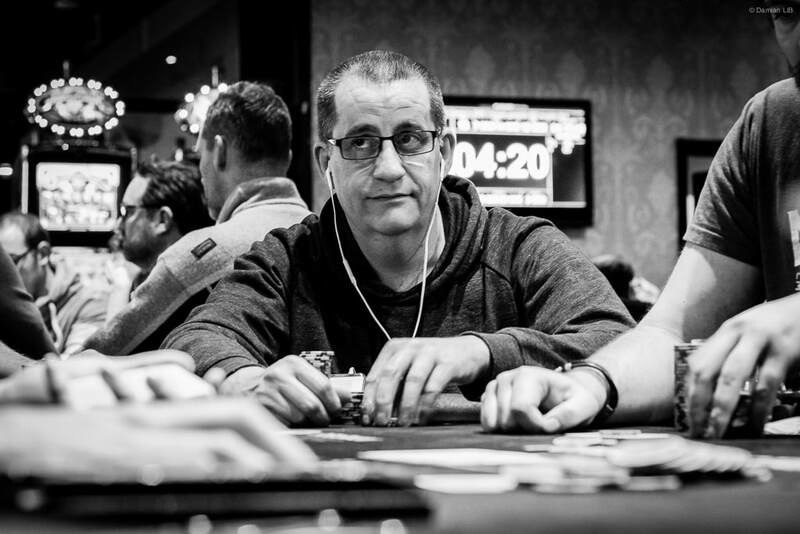 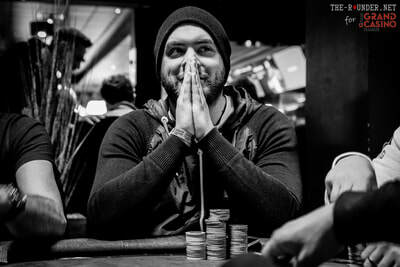 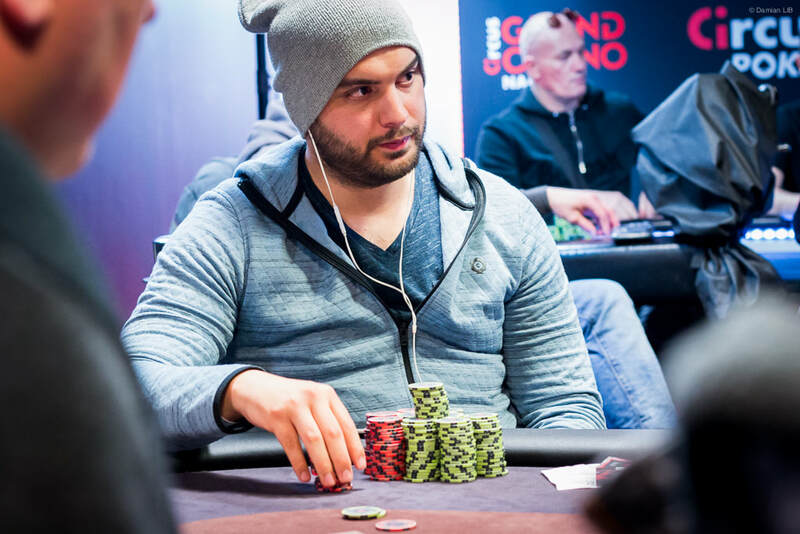 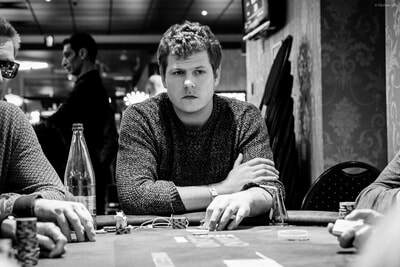 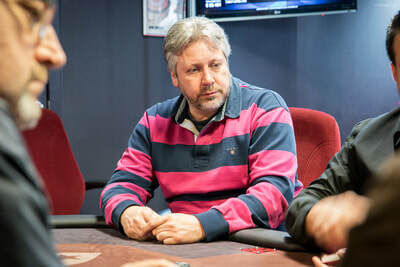 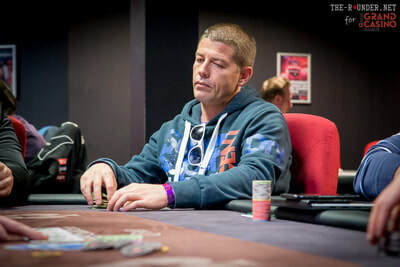 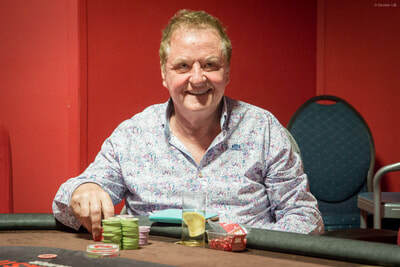 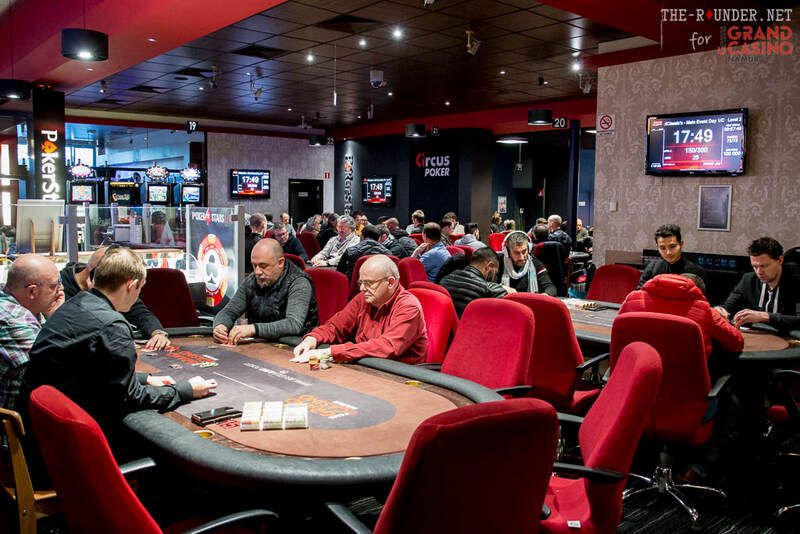 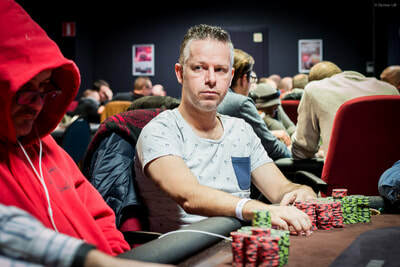 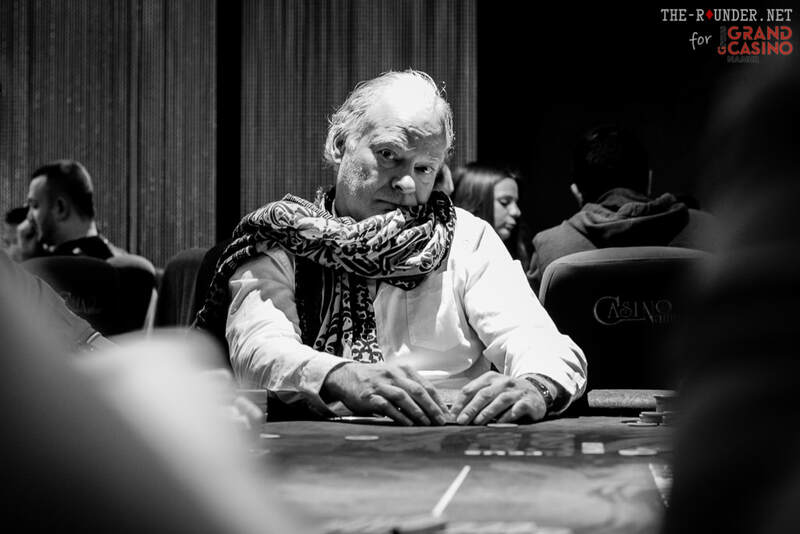 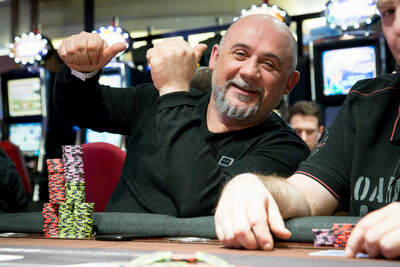 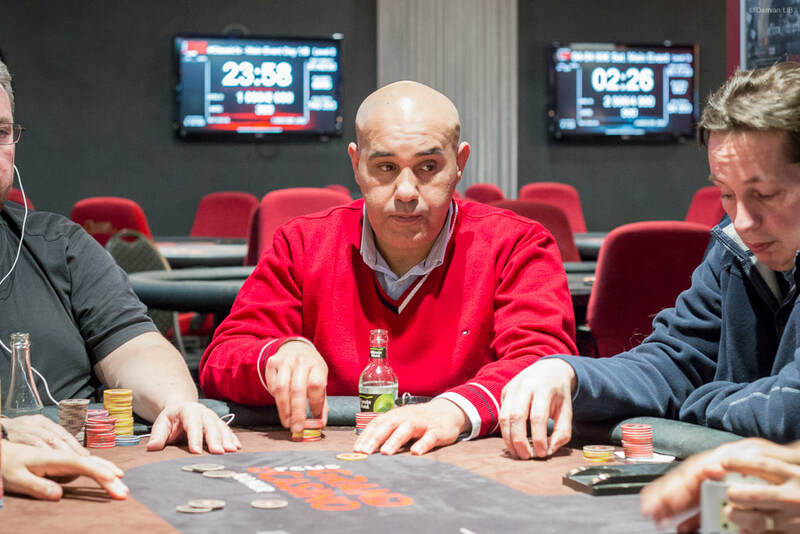 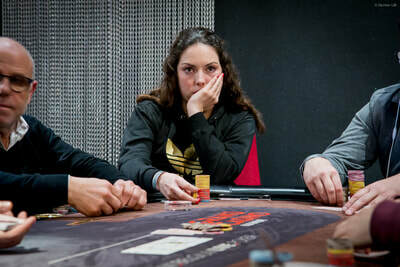 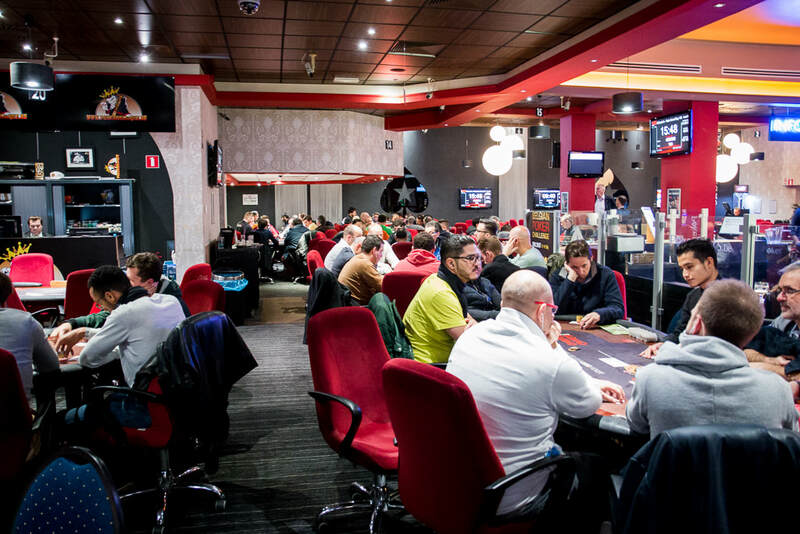 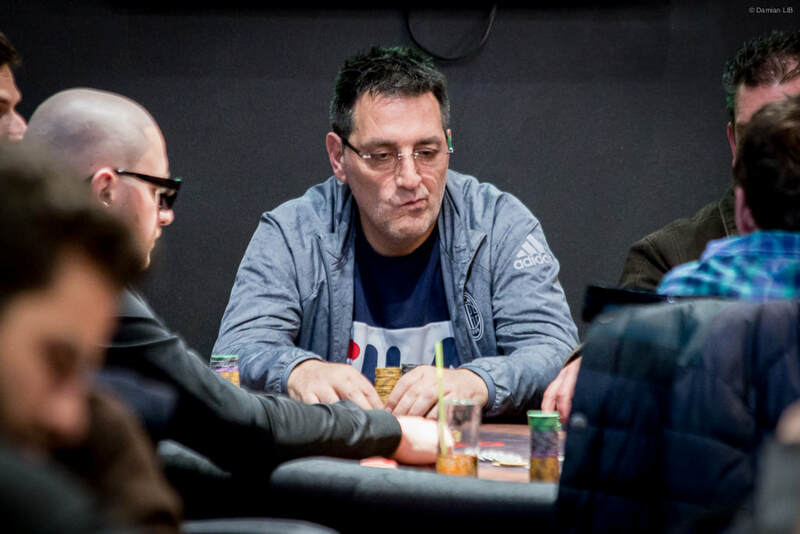 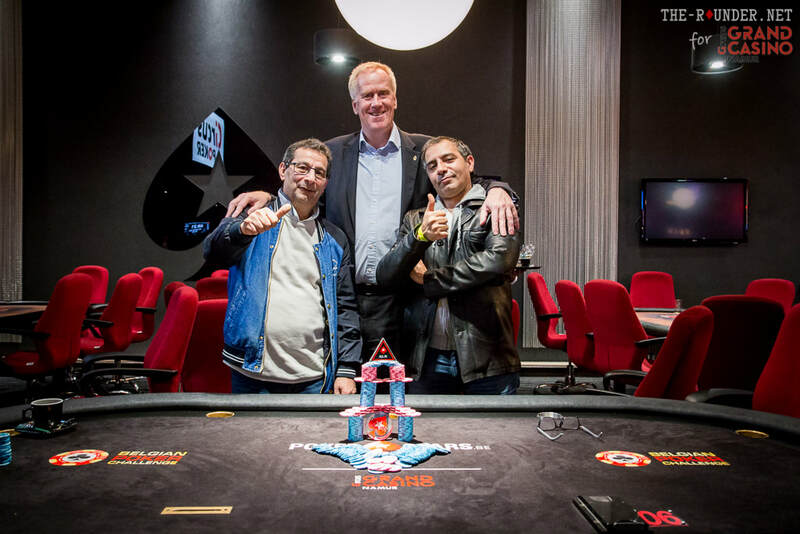 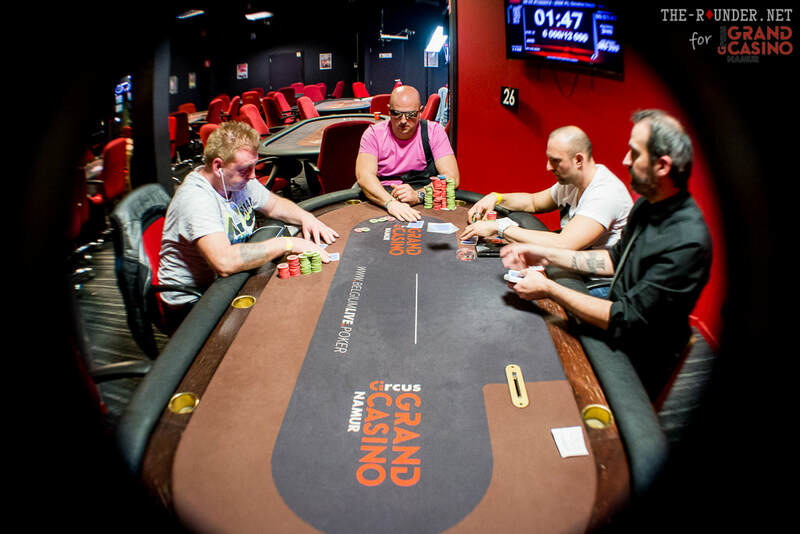 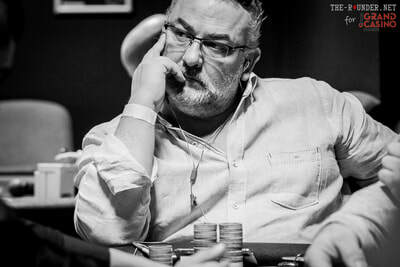 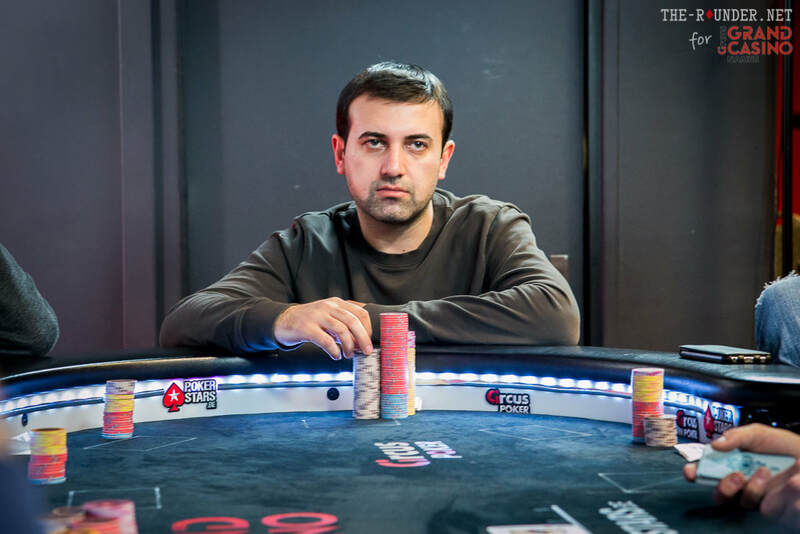 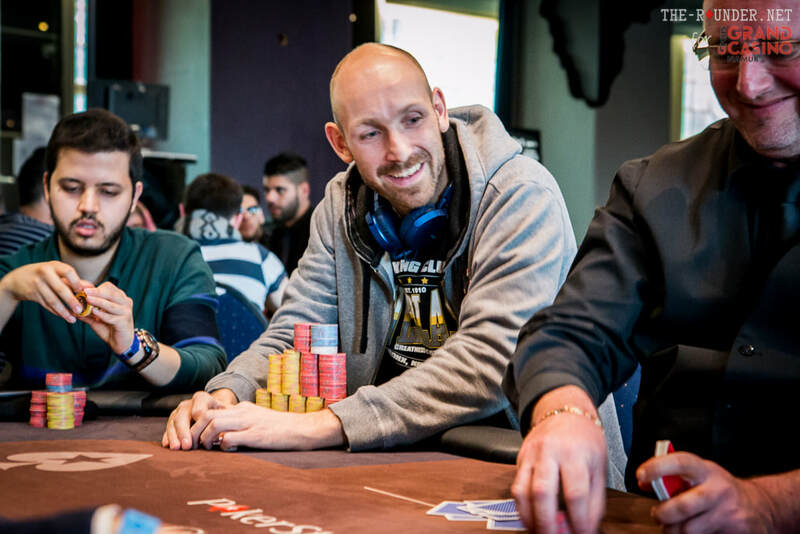 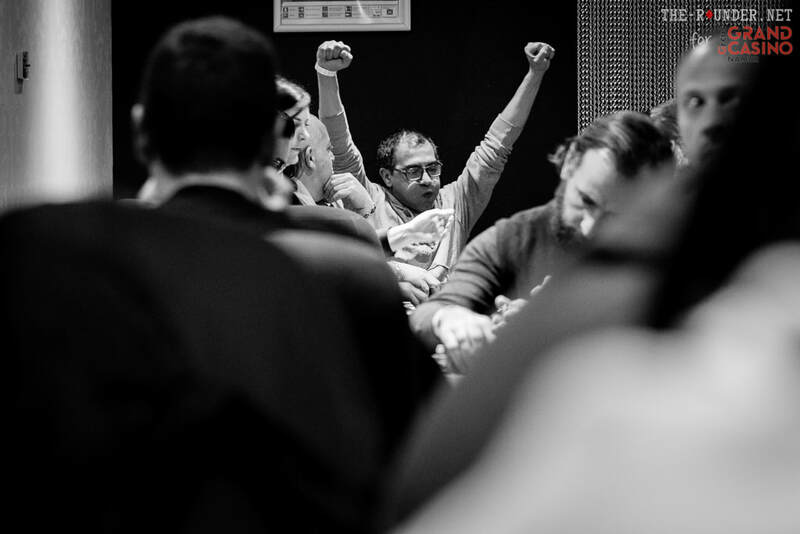 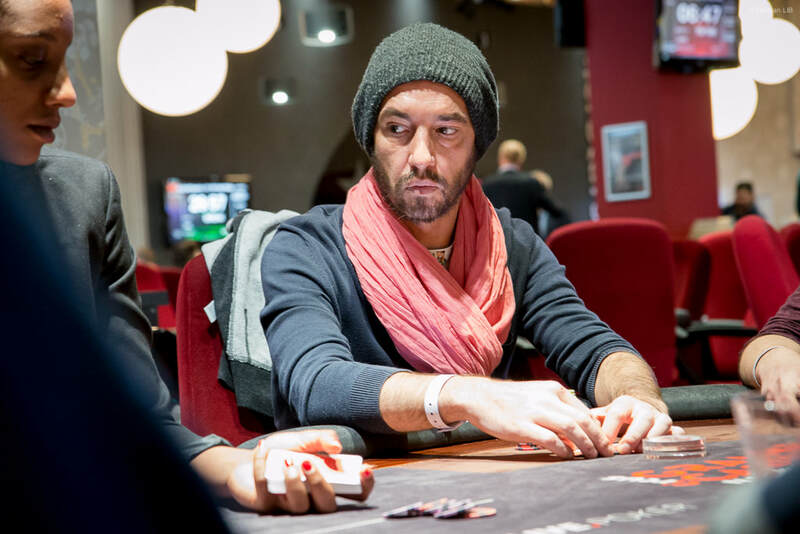 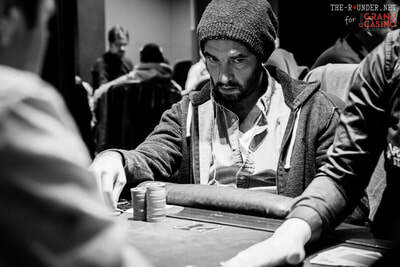 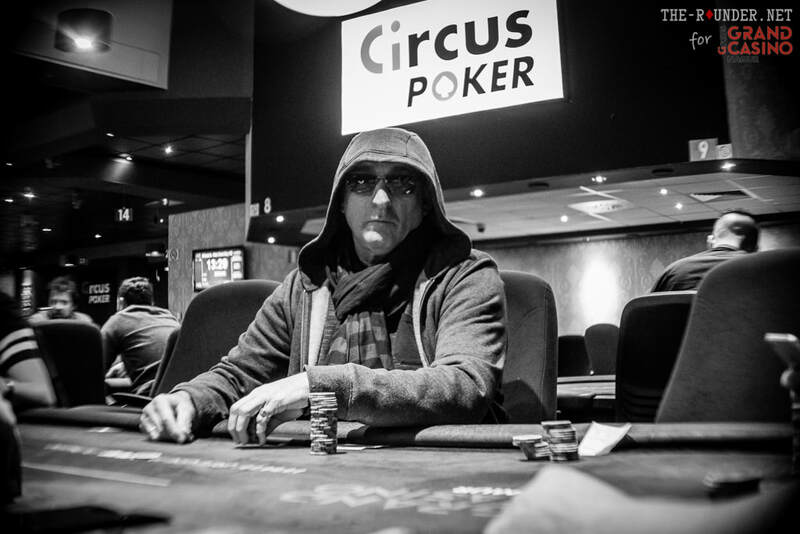 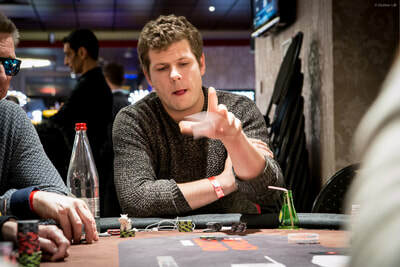 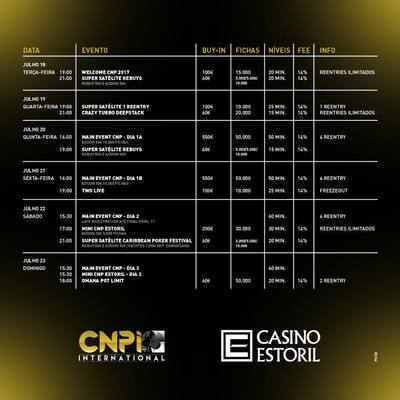 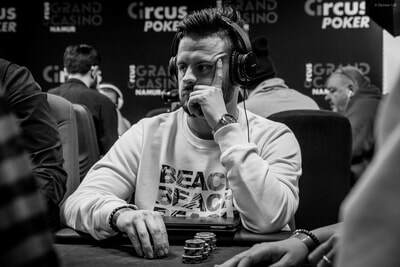 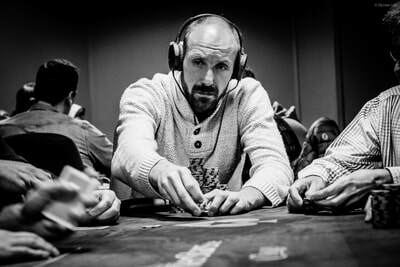 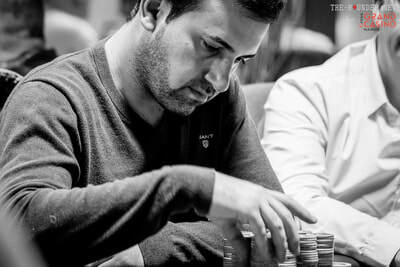 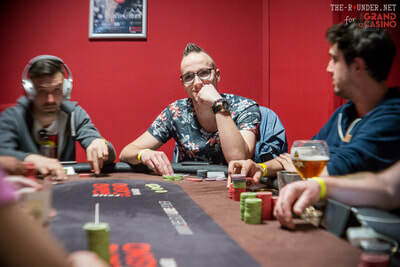 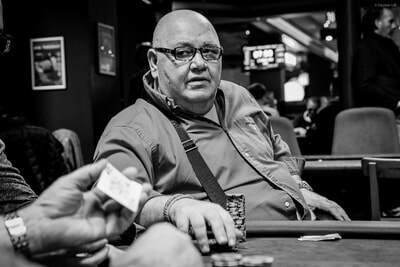 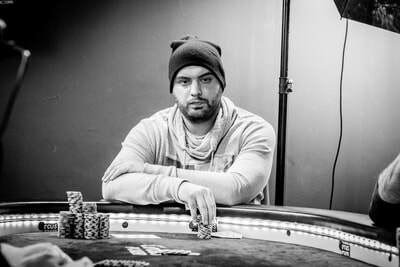 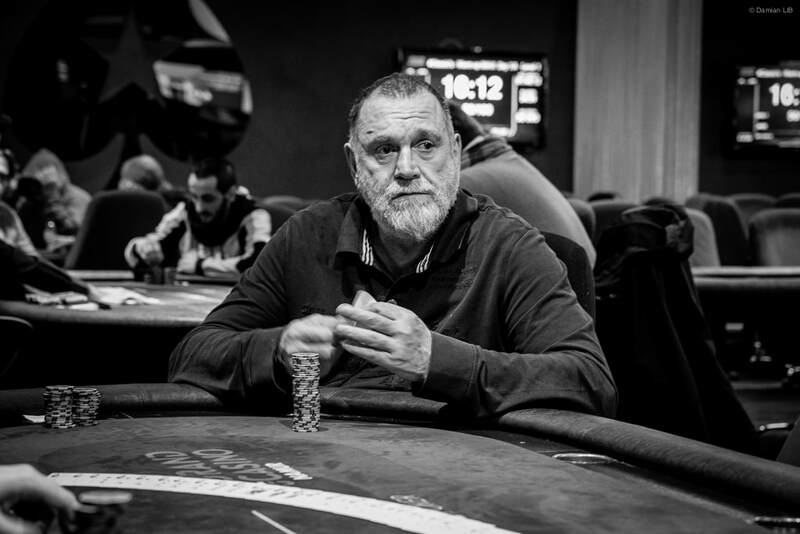 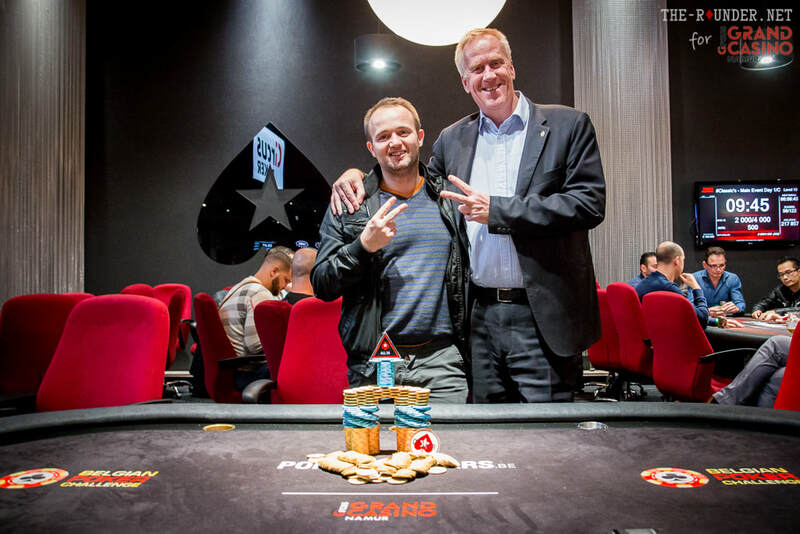 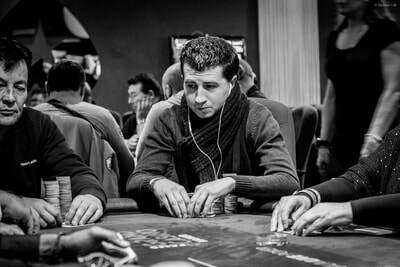 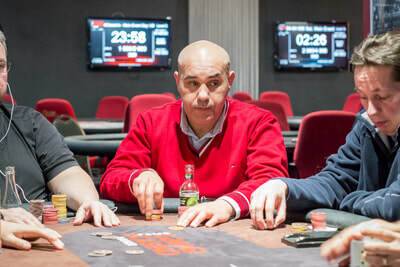 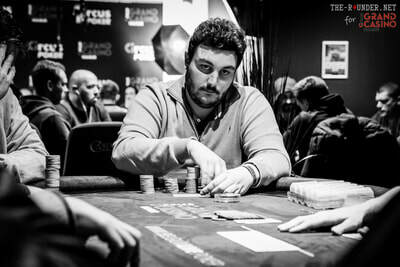 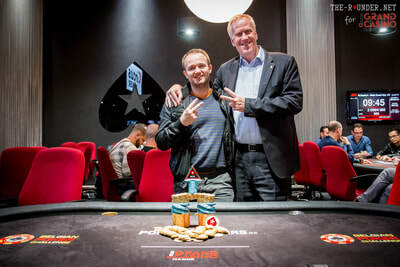 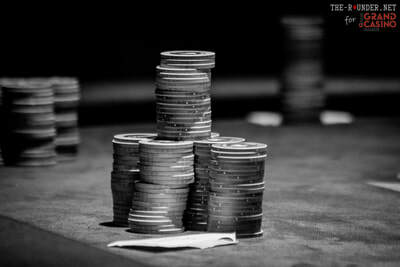 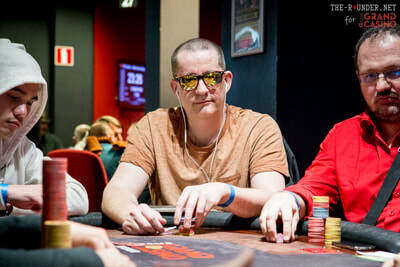 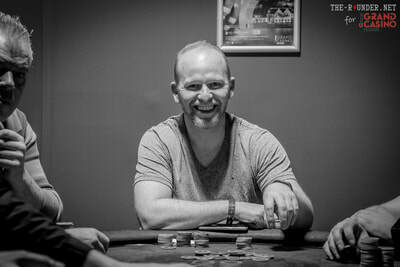 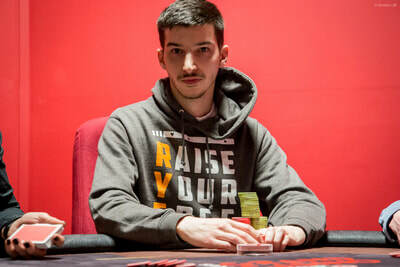 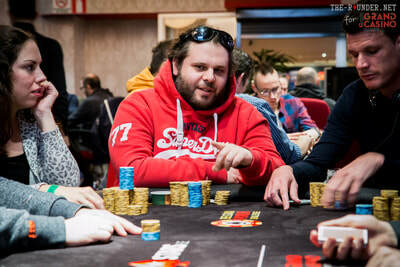 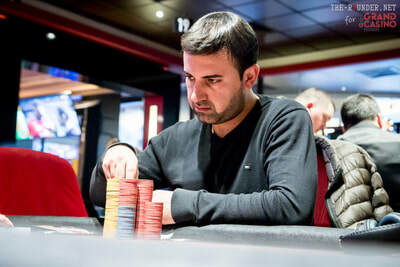 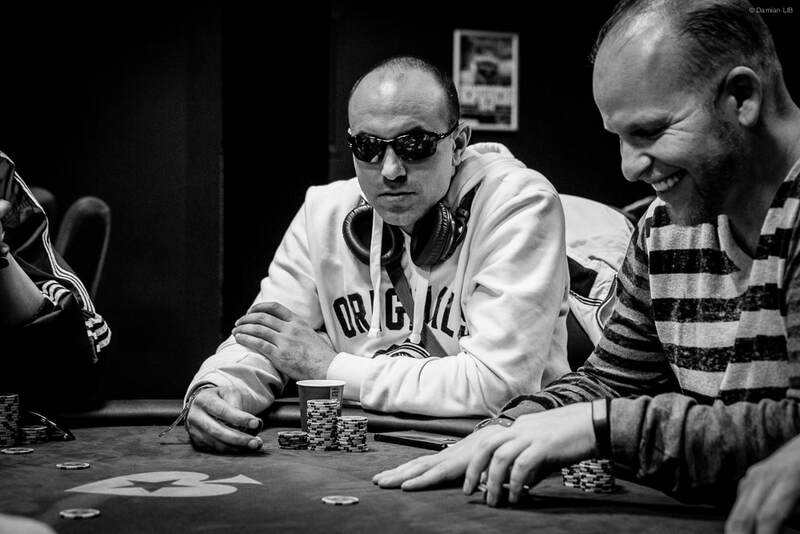 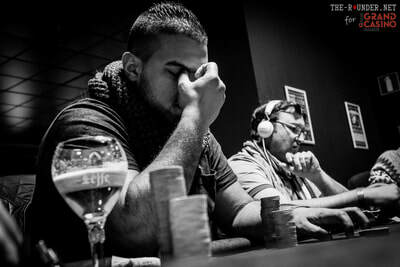 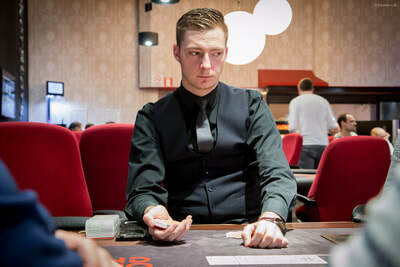 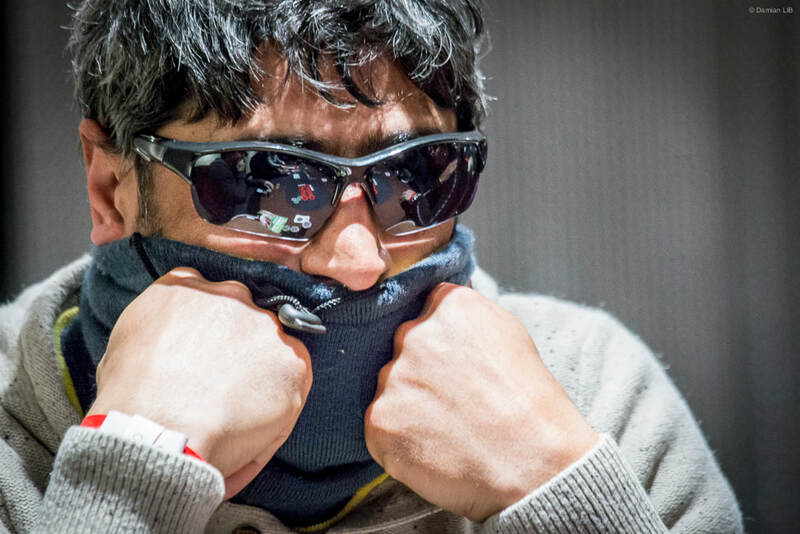 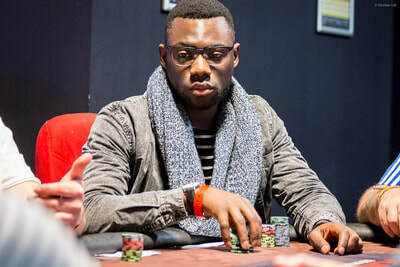 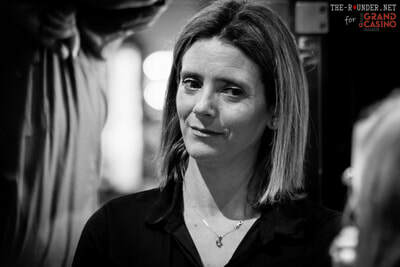 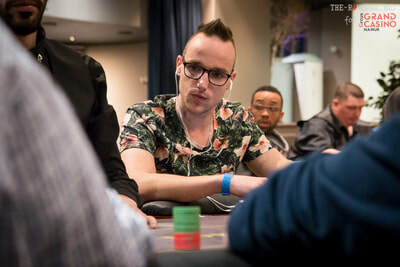 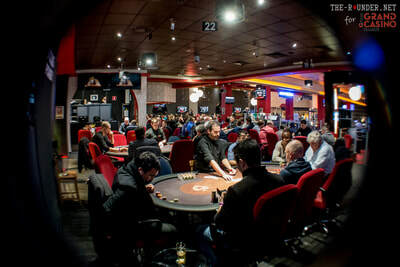 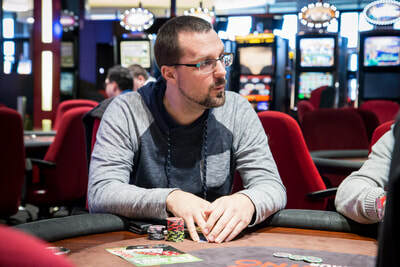 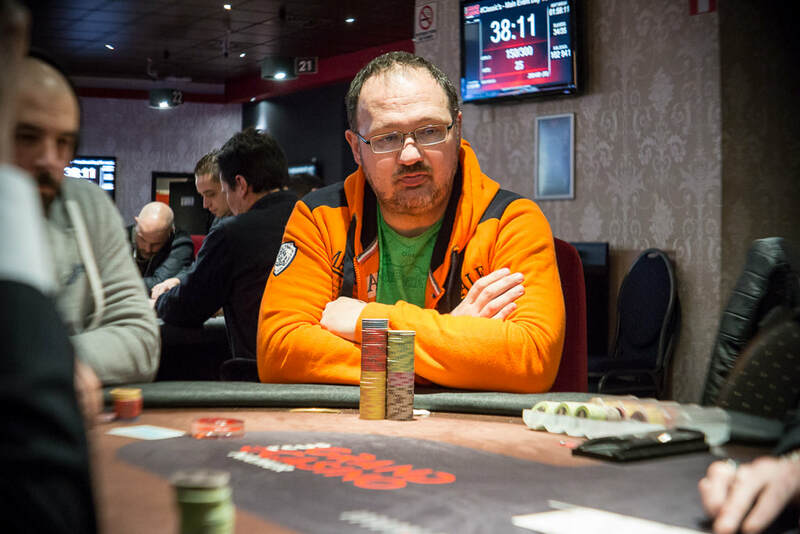 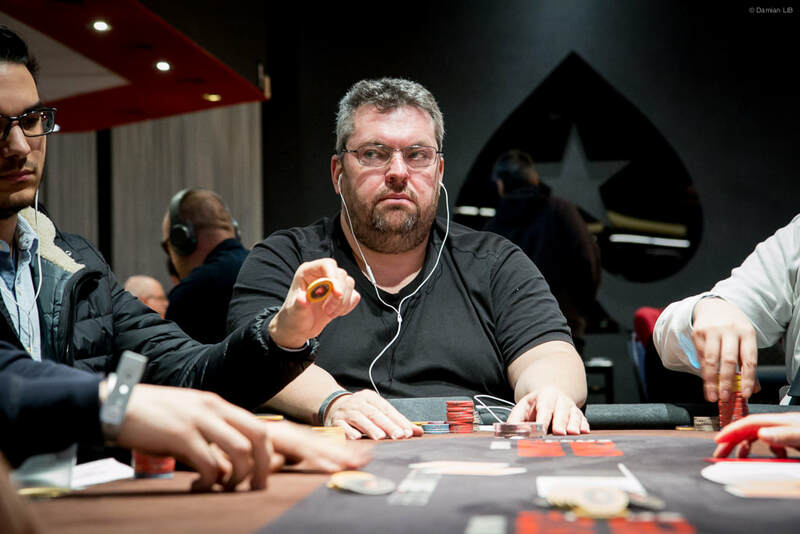 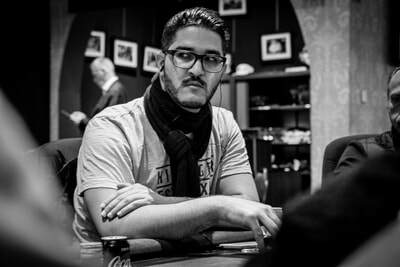 - I made the money (12th/247) in the CNPi Estoril Main Event for a total of €1.900. 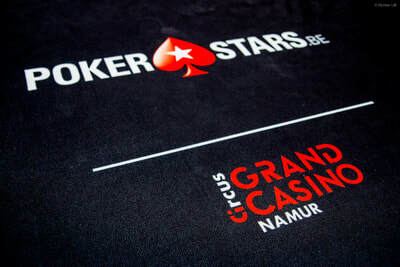 Being in for only €185 (€35 sat, €100 sat, €50 add-on) instead of €600 (normal buy-in), this makes a nice profit of €1.715 and I will add €90 to the charity pot (5% of the profit). 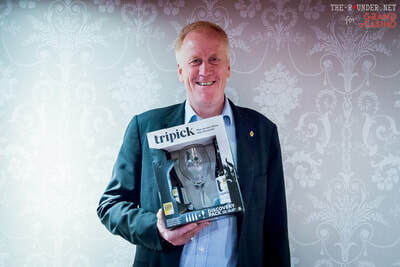 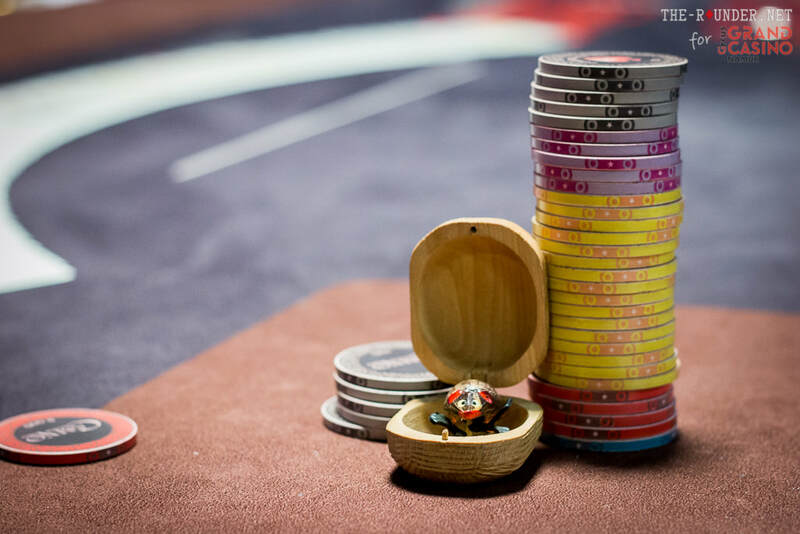 In total, the money pot has now reached €346. 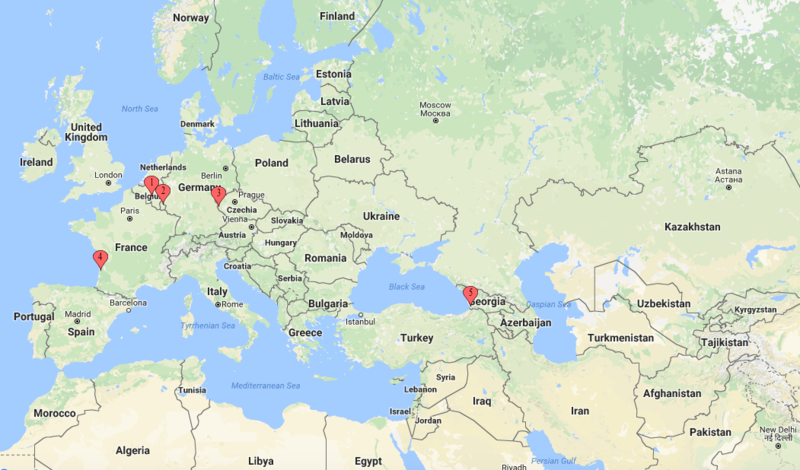 Back in Luxembourg after SPF Rozvadov since the 27th of July and getting ready to fly to Portugal for the CNPi Estoril and to work on some #spew4pt plans. 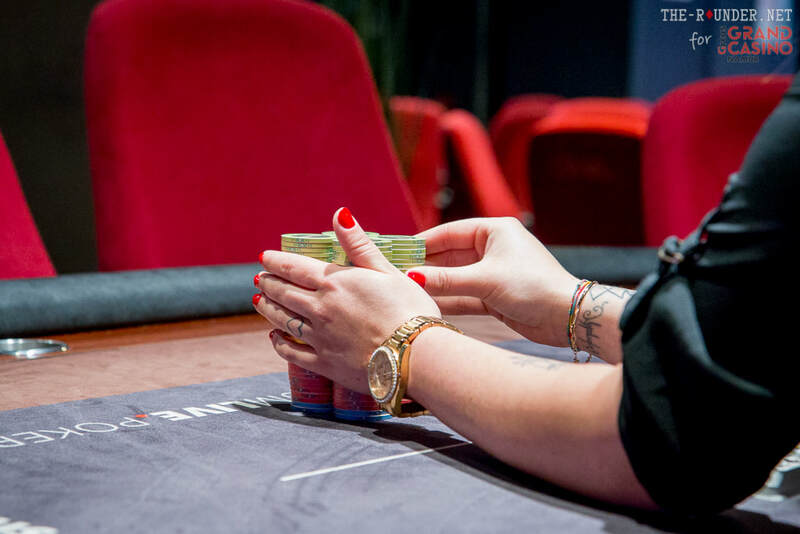 The #solidaritchallenge money pot has now reached a minimum of €236. 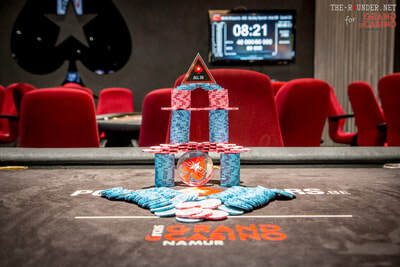 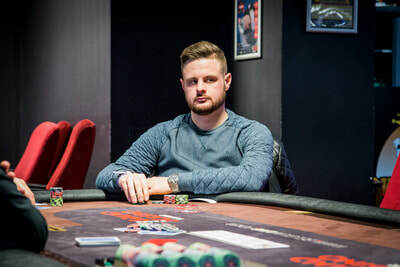 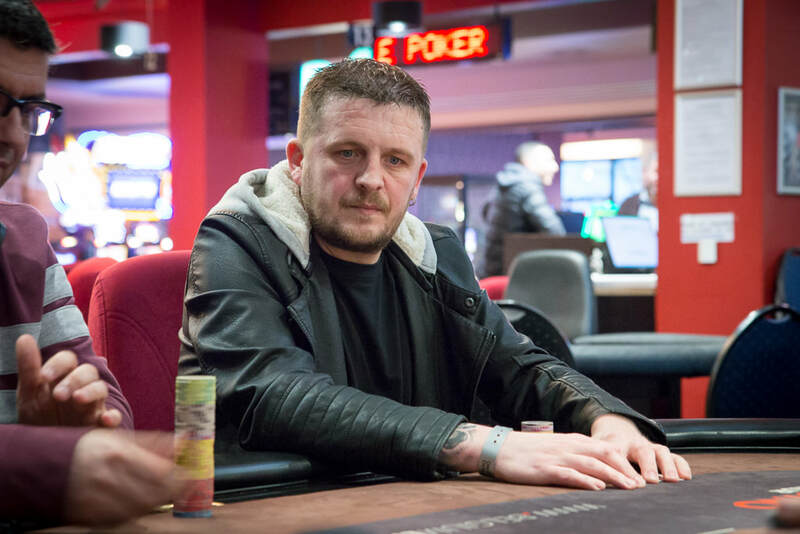 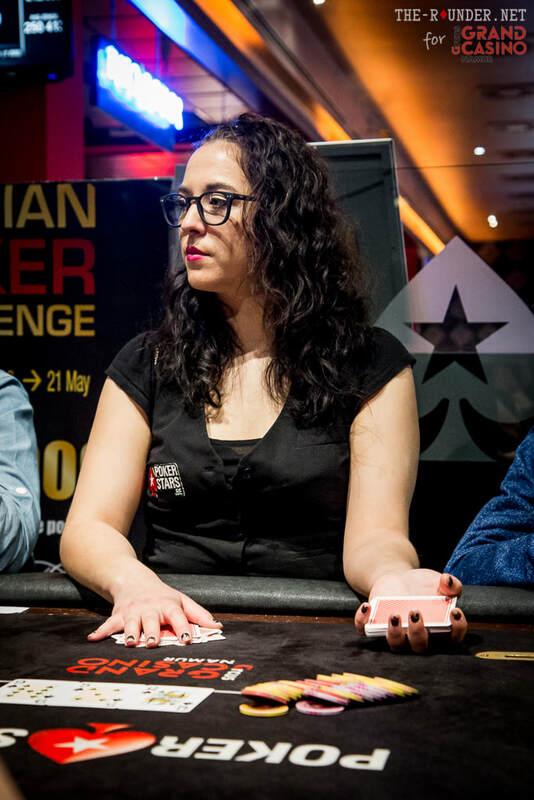 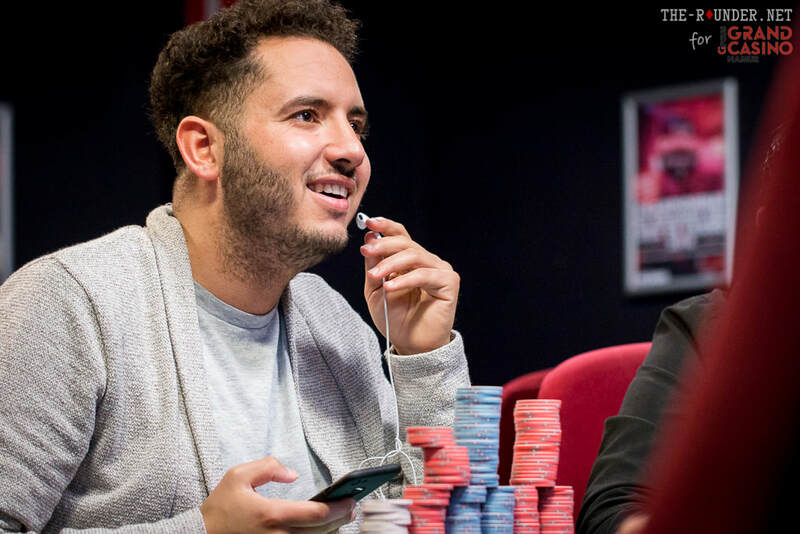 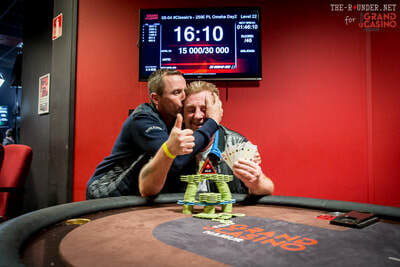 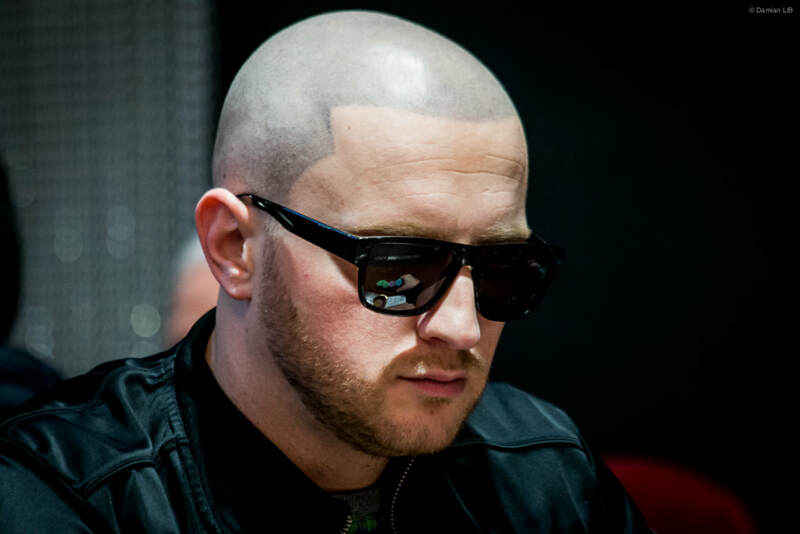 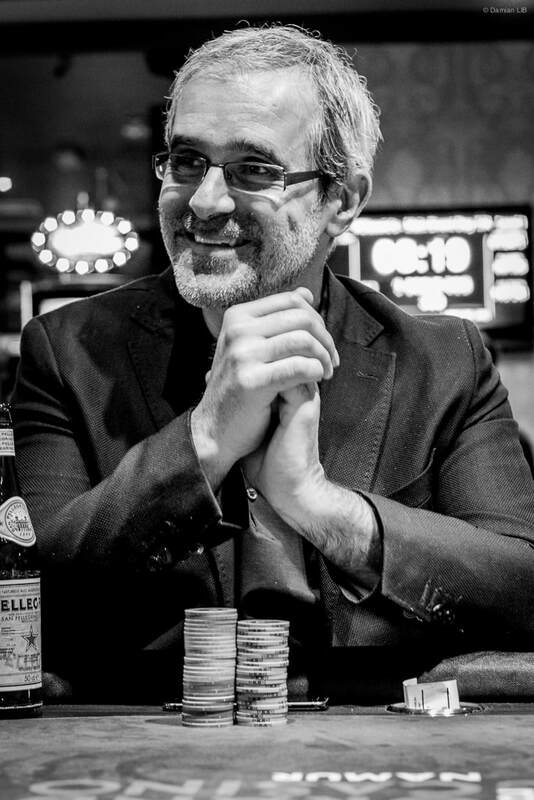 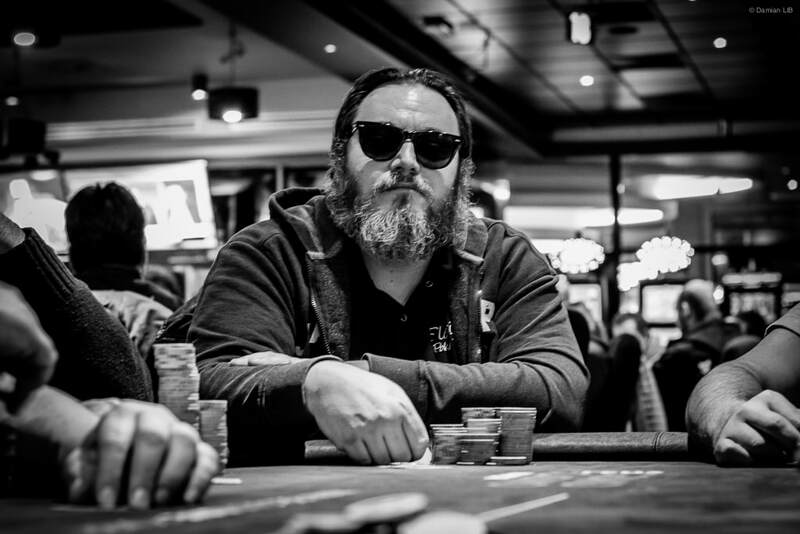 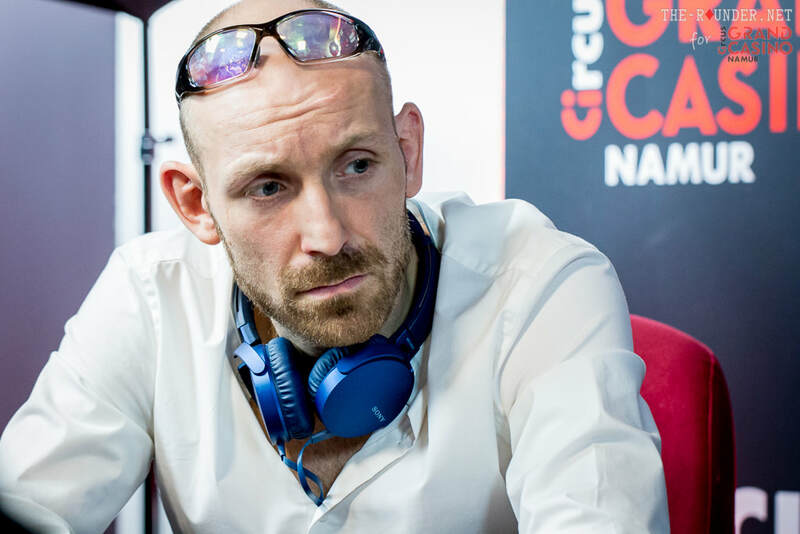 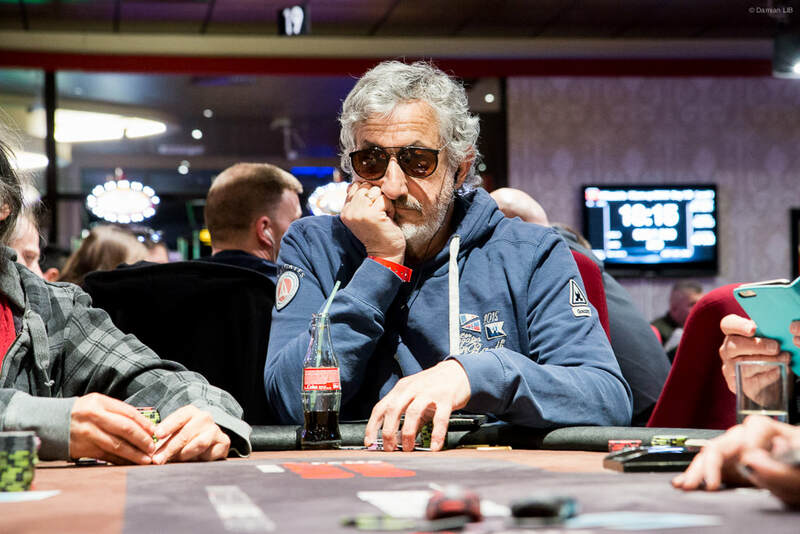 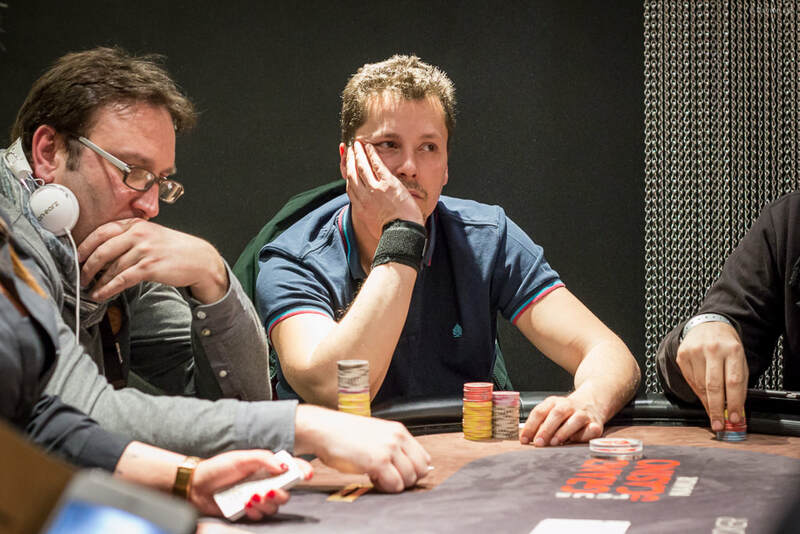 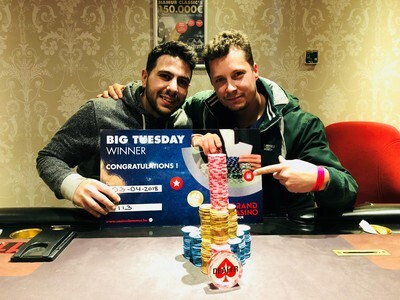 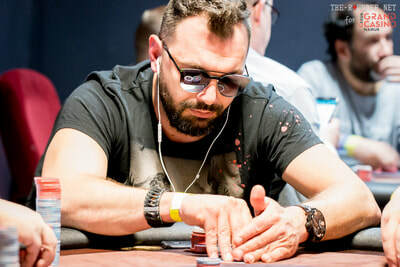 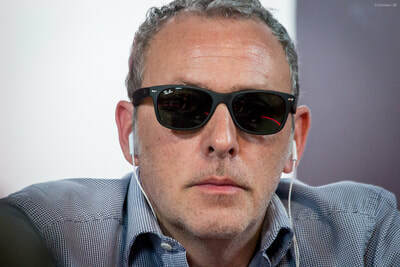 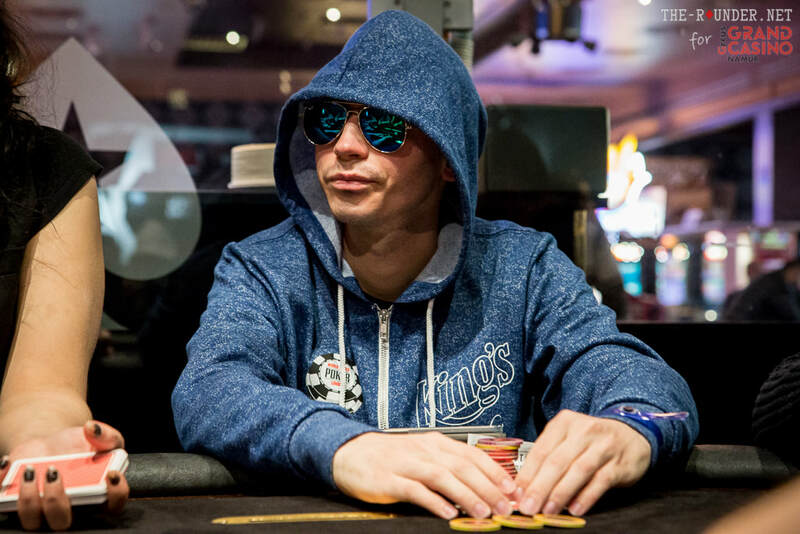 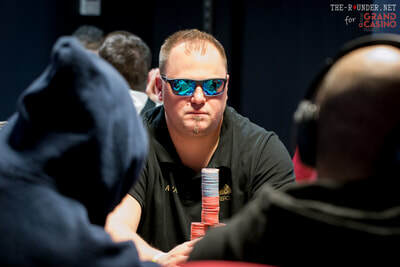 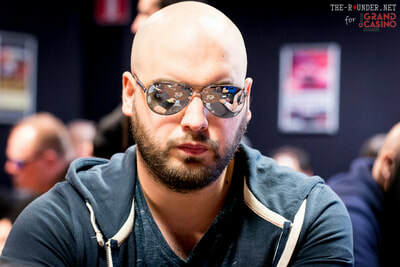 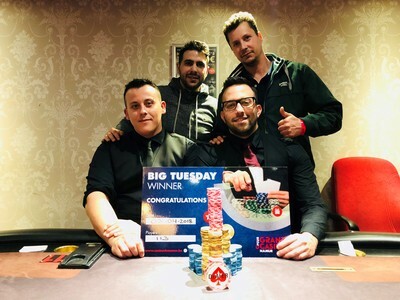 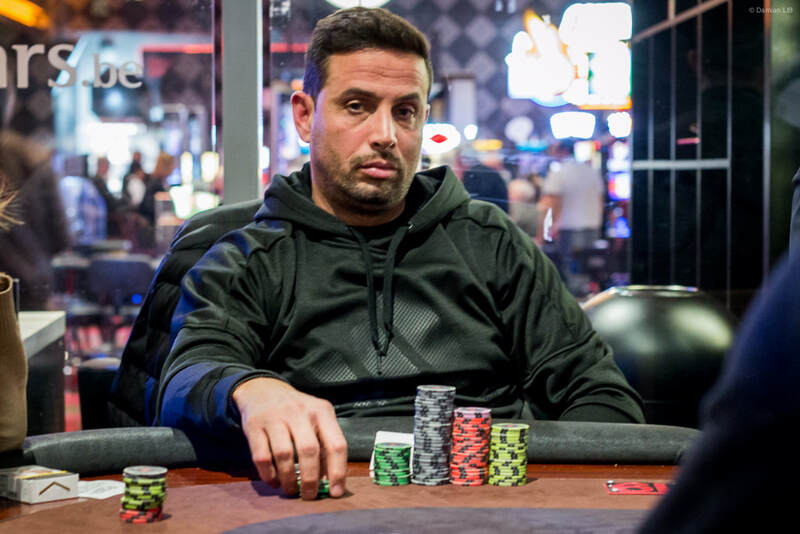 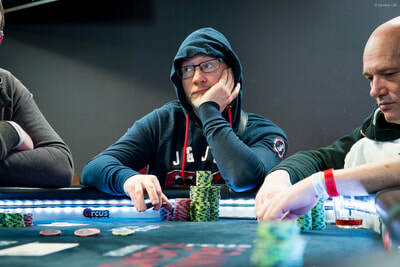 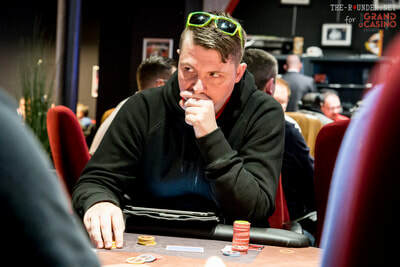 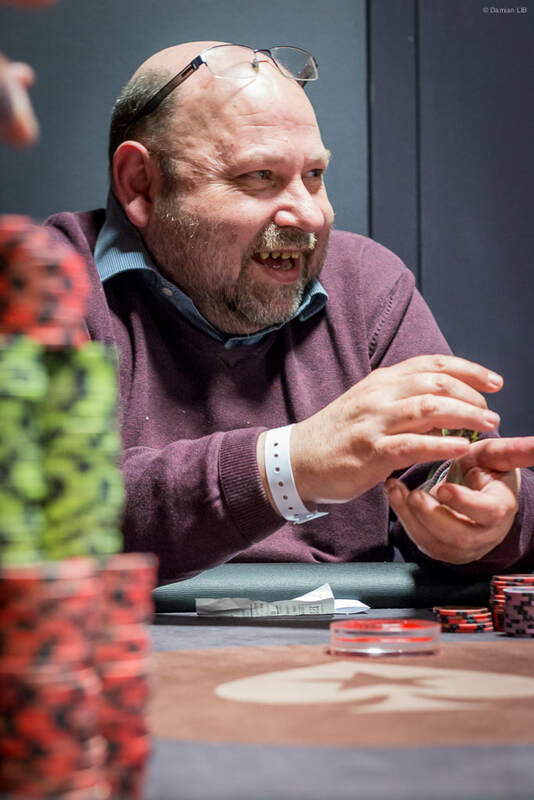 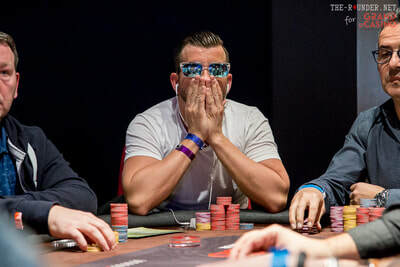 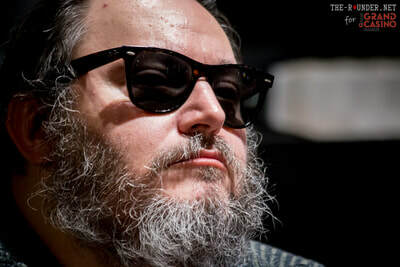 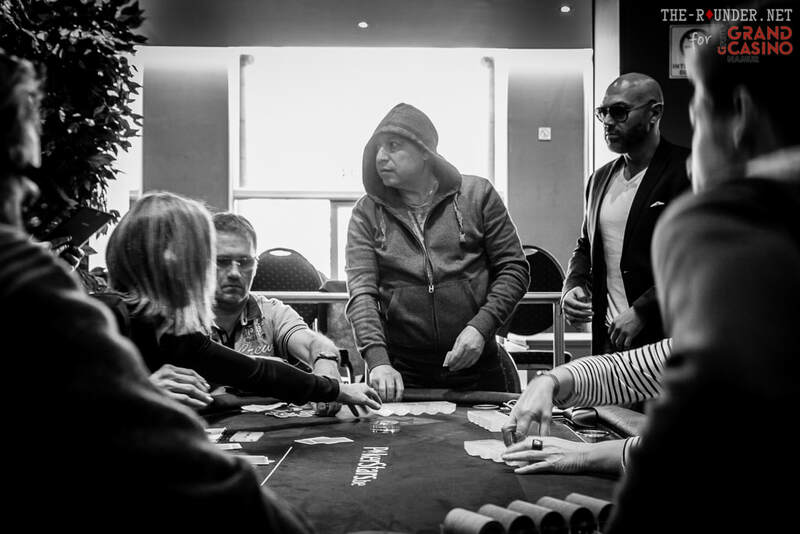 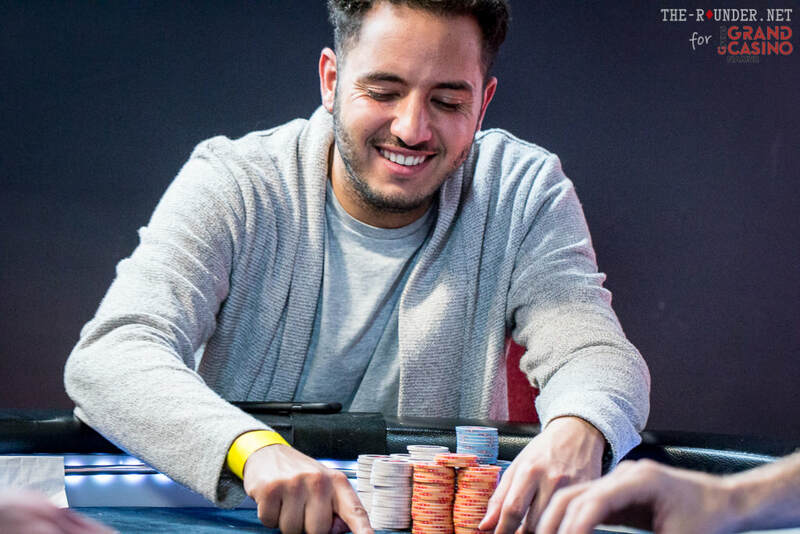 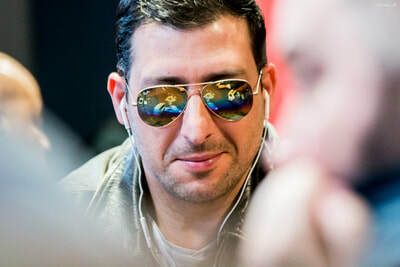 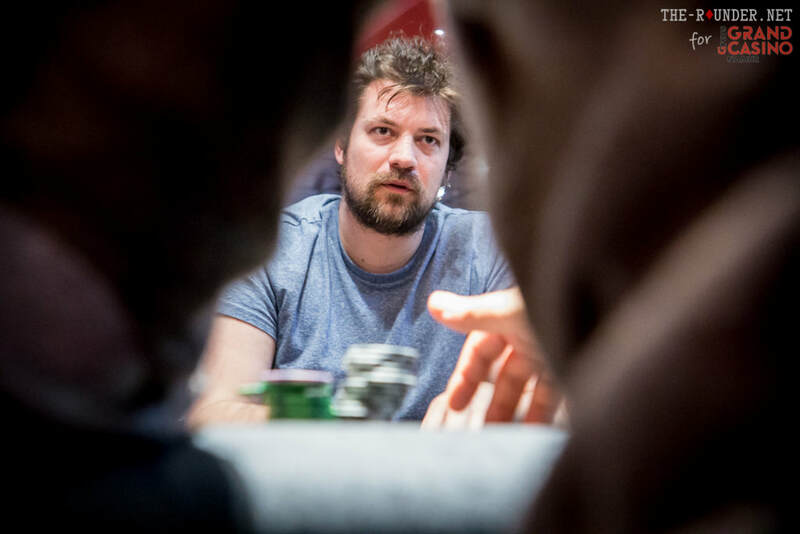 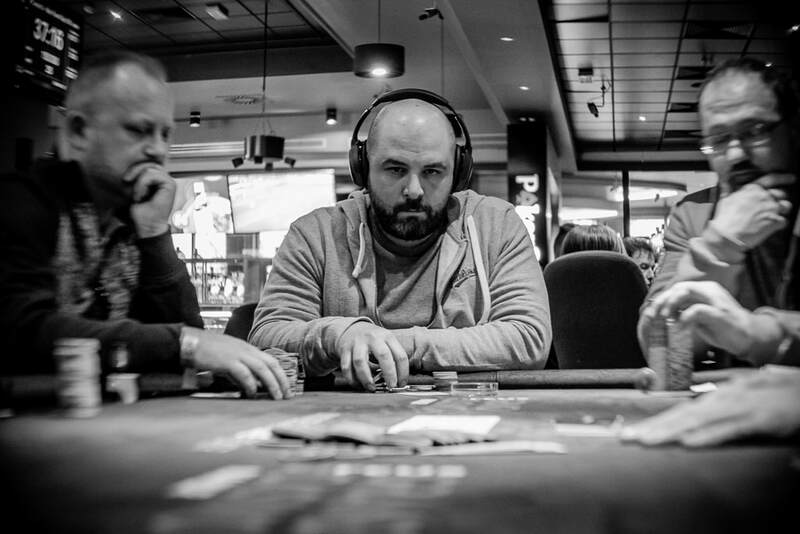 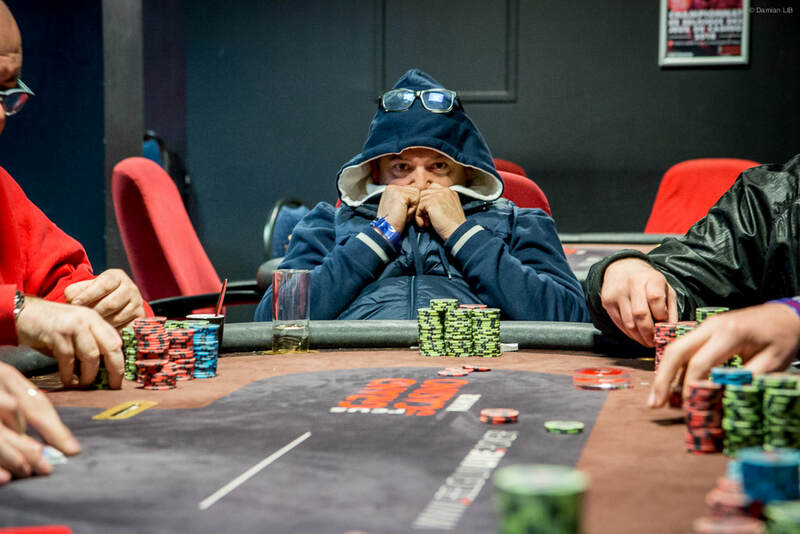 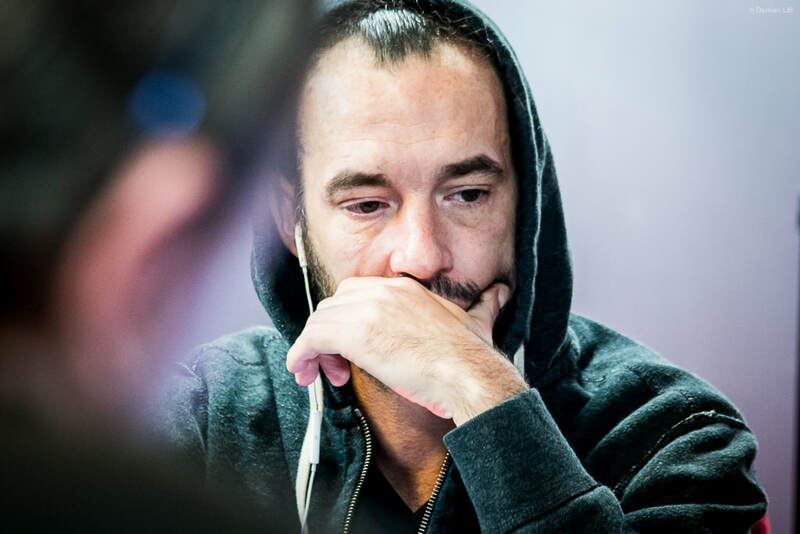 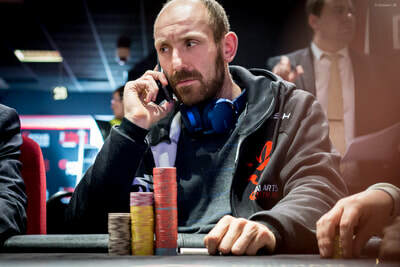 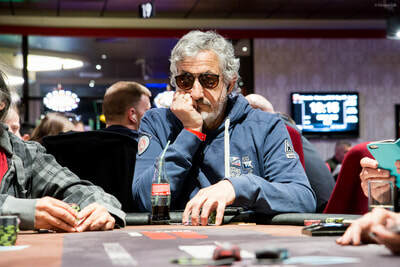 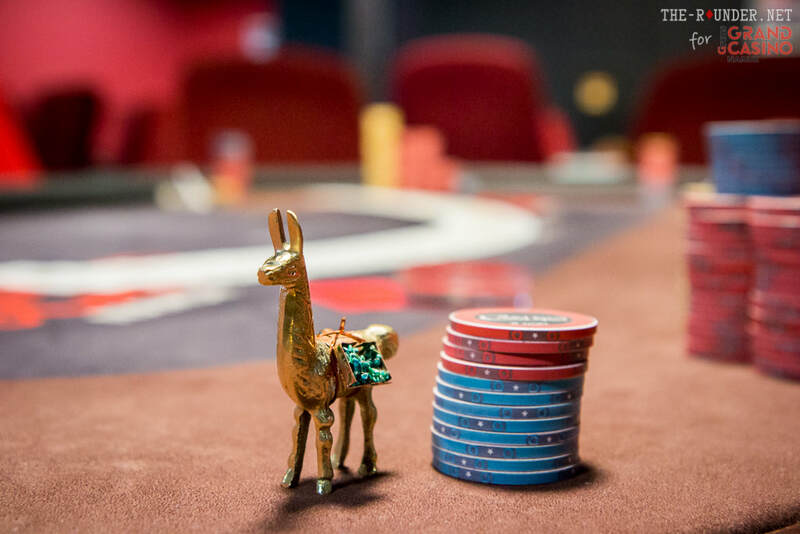 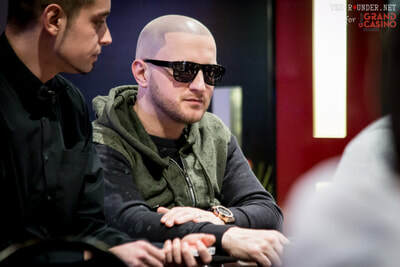 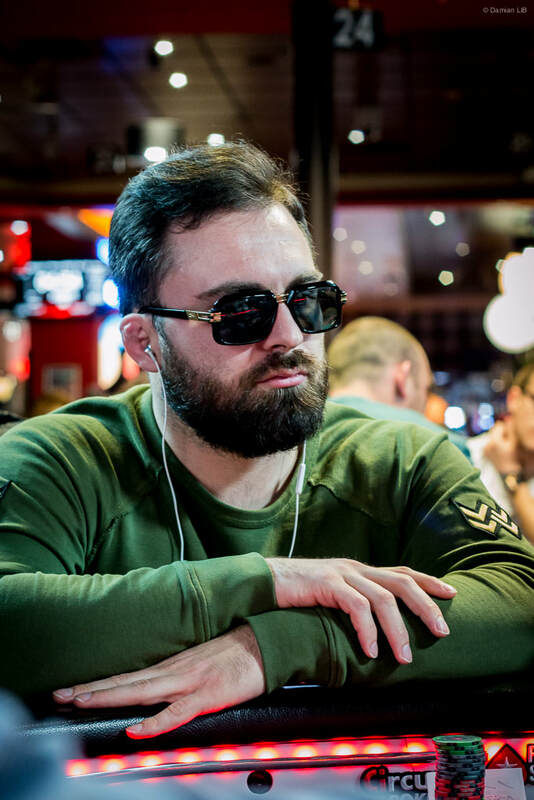 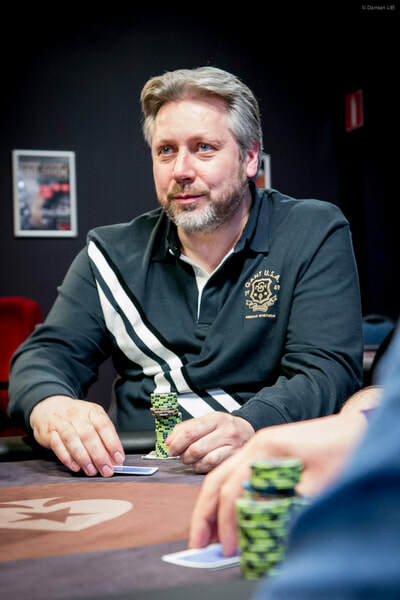 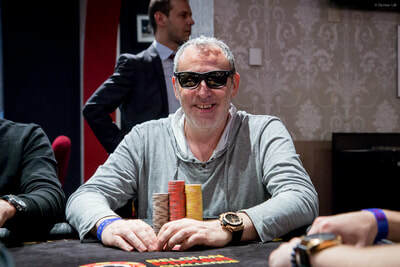 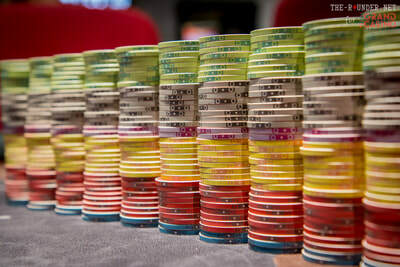 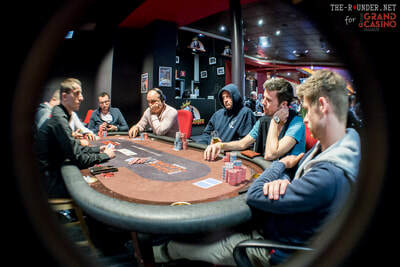 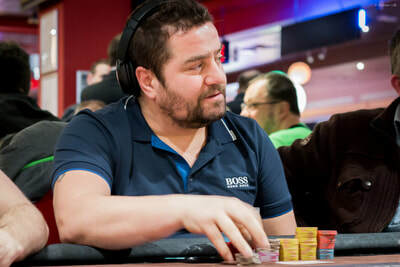 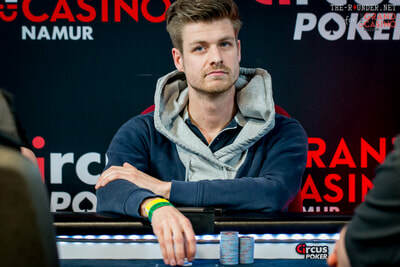 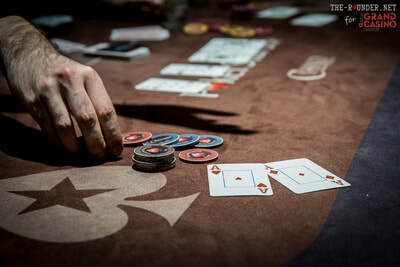 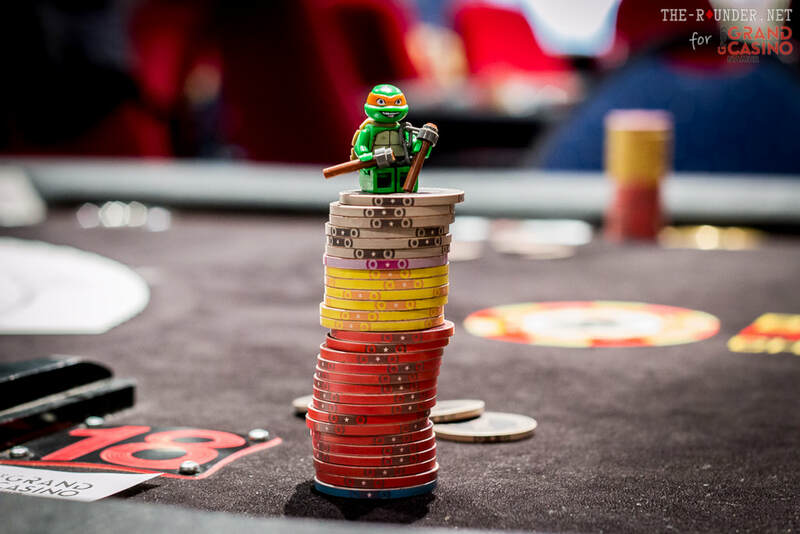 Financially speaking, I'm in the red for this trip after some rough plo runner runner adventures in pretty big pots but this trip has also brought the first ITM of the challenge after 8 tournaments played since June 2017: a cash of €871 for 40th/871 place in the Spanish Poker Festival Main Event. It only took me one busted satellite (AK<QJ) and one single bullet to reach this stage of the tournament so I invested 50+300=350 to win 871 which makes a €521 profit to book for this tournament and this will add €26 (5% of profit) to the charity pot. 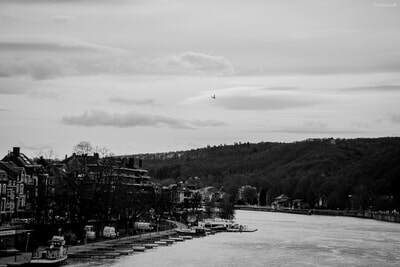 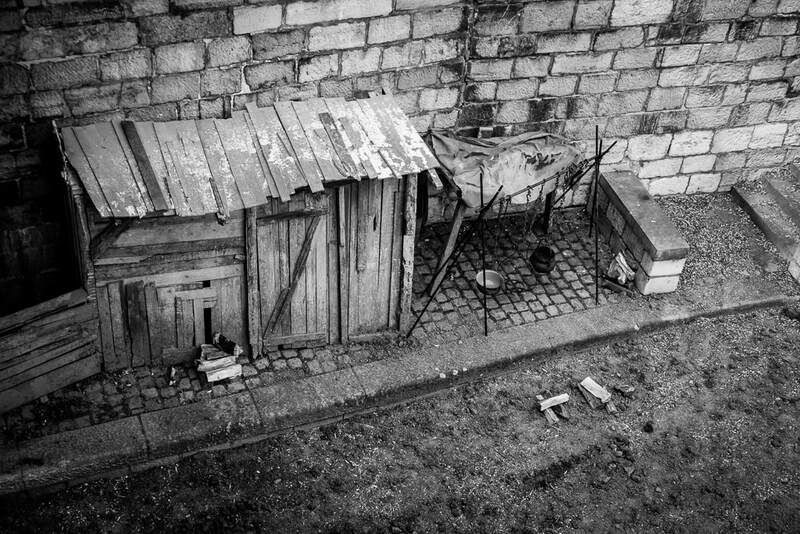 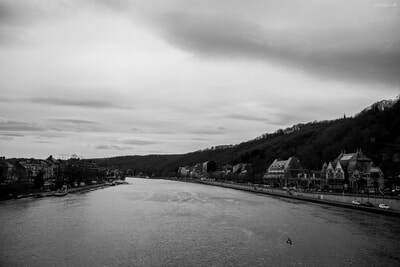 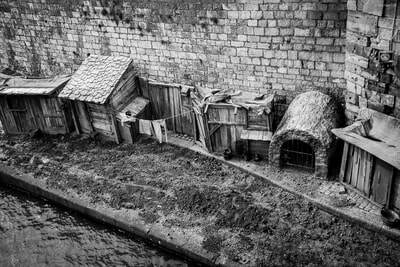 Below, you can enjoy a selection of my photos shot during my stay in CZ the last 11 days. Theses photos are also available on my Flickr and there are a ton of additional photos on the King's and SPF Facebook pages. 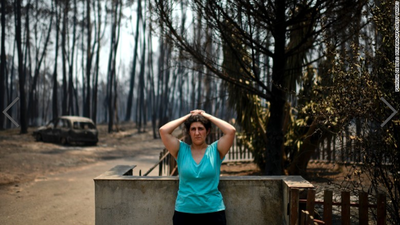 Great wildfires have struck Portugal in late June. 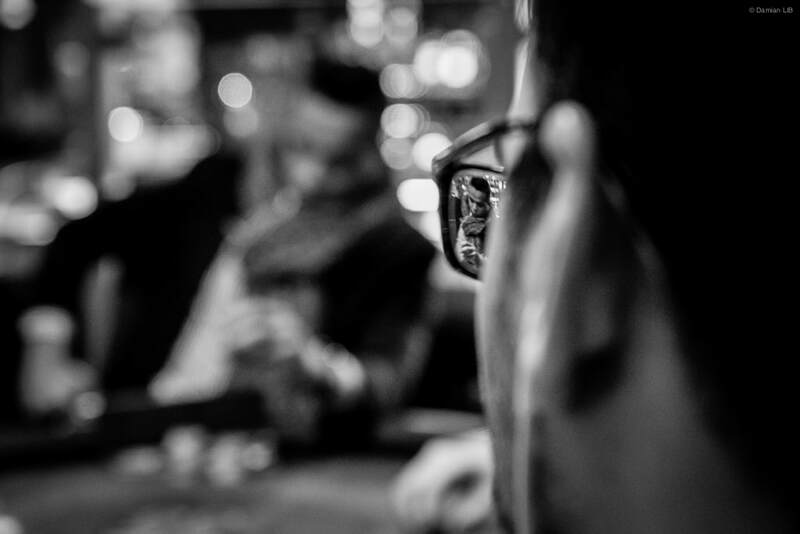 Many people have lost their lives and even more are left with close to nothing looking at an insecure and blurry future. 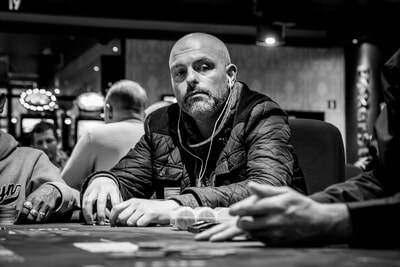 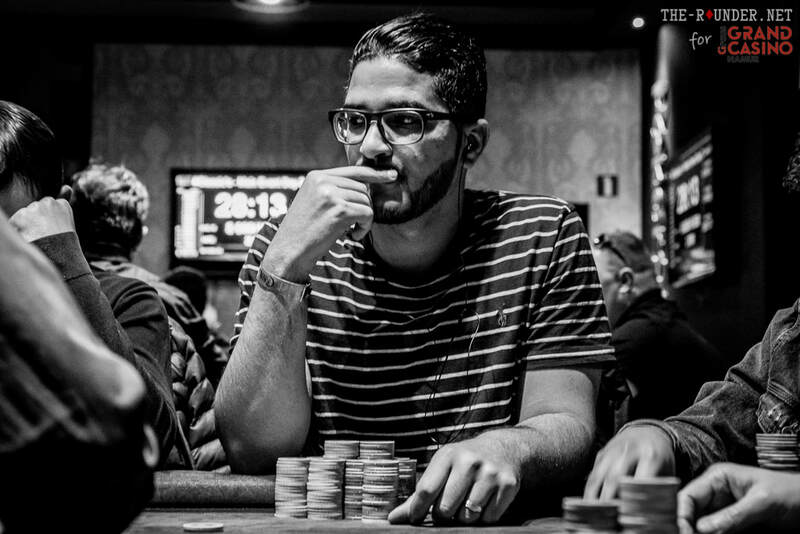 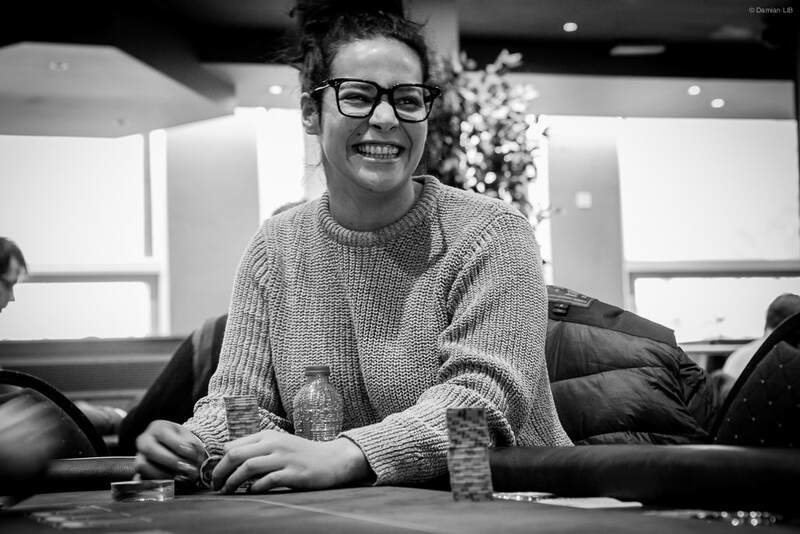 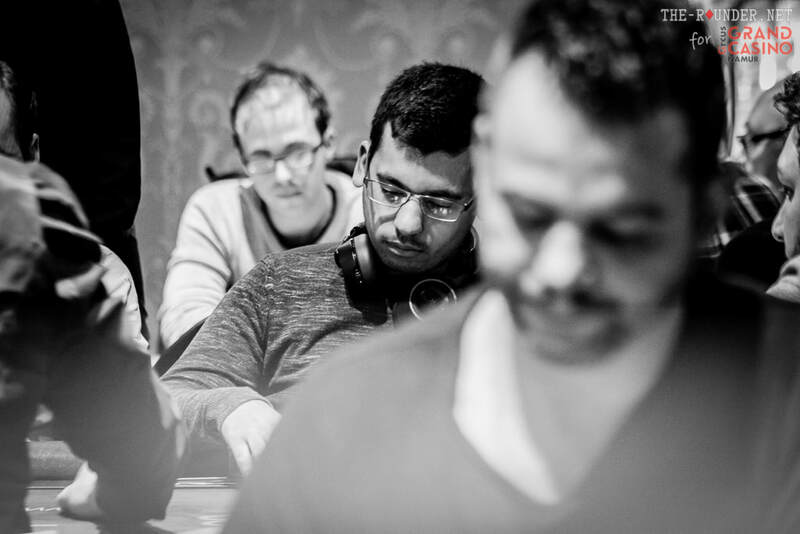 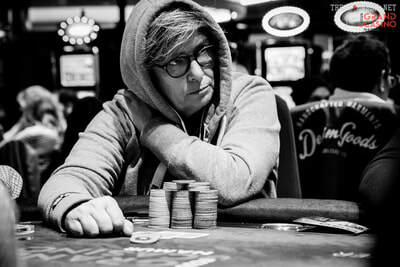 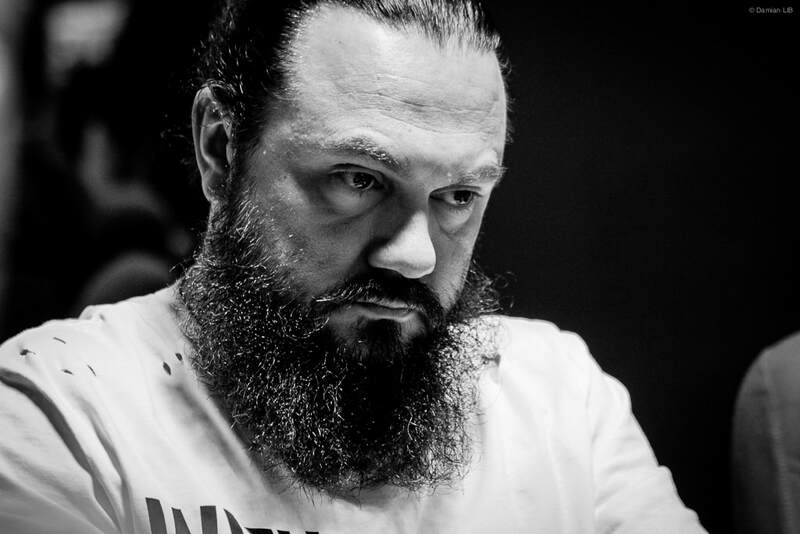 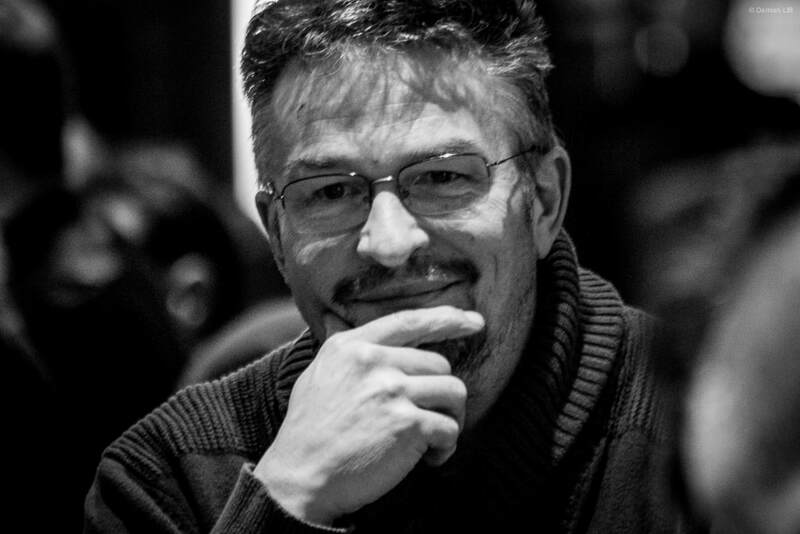 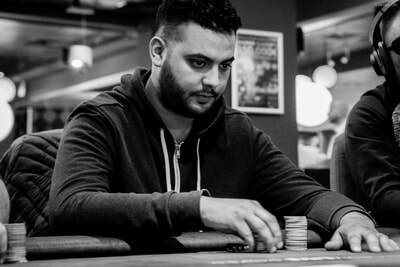 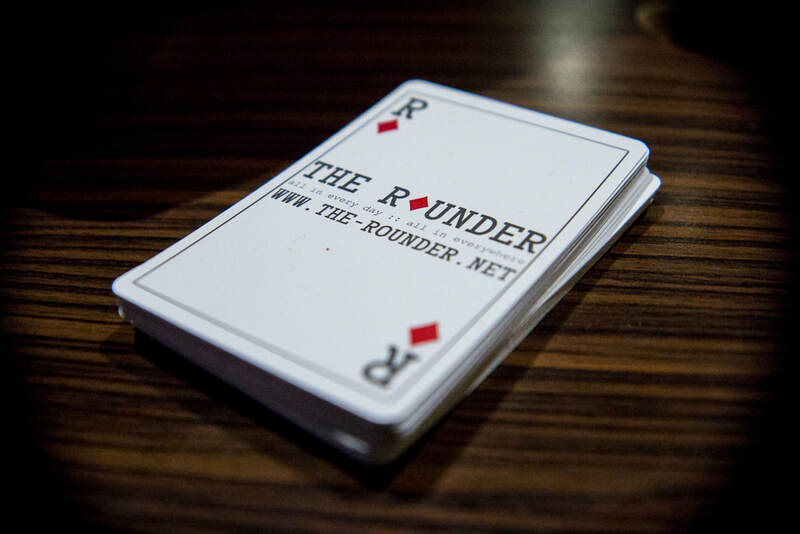 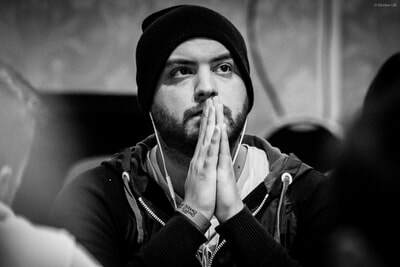 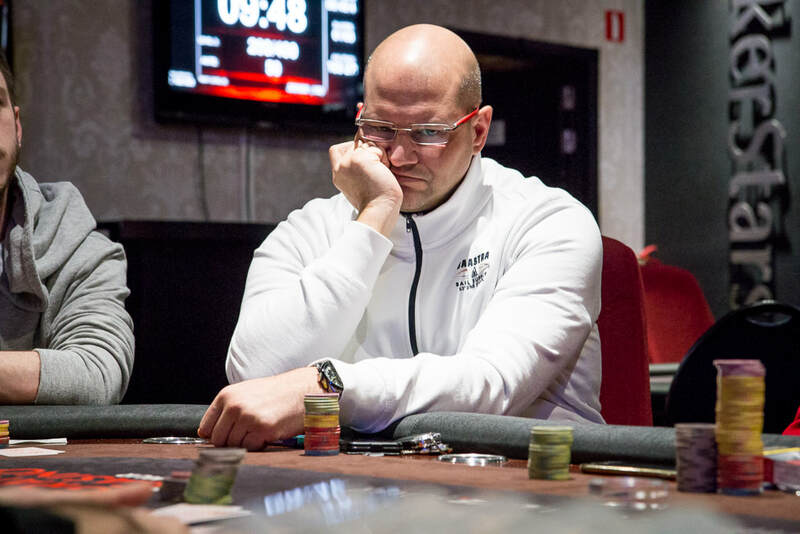 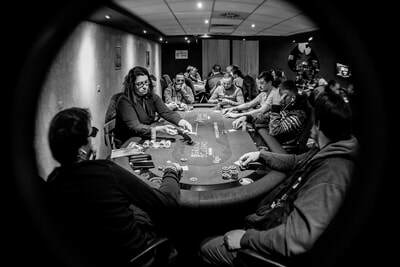 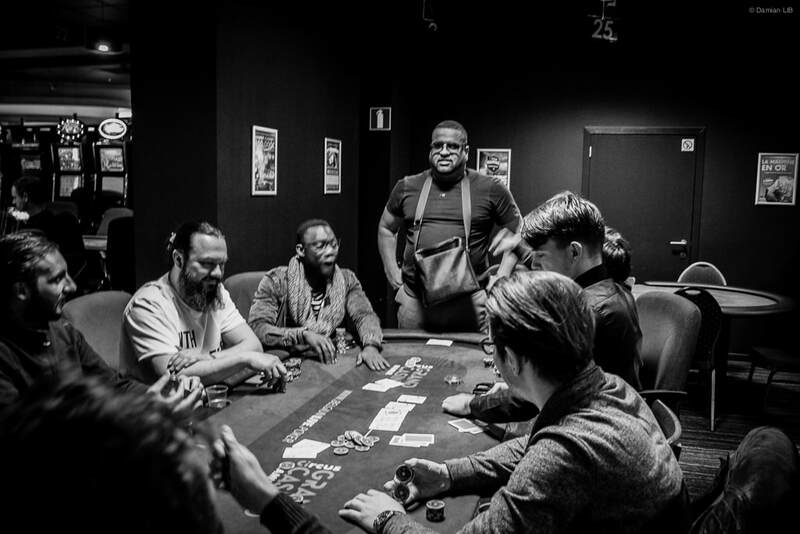 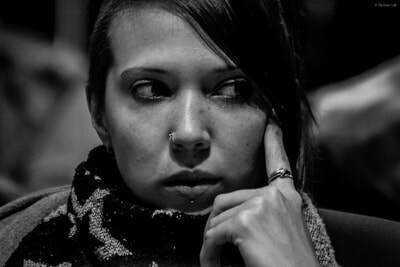 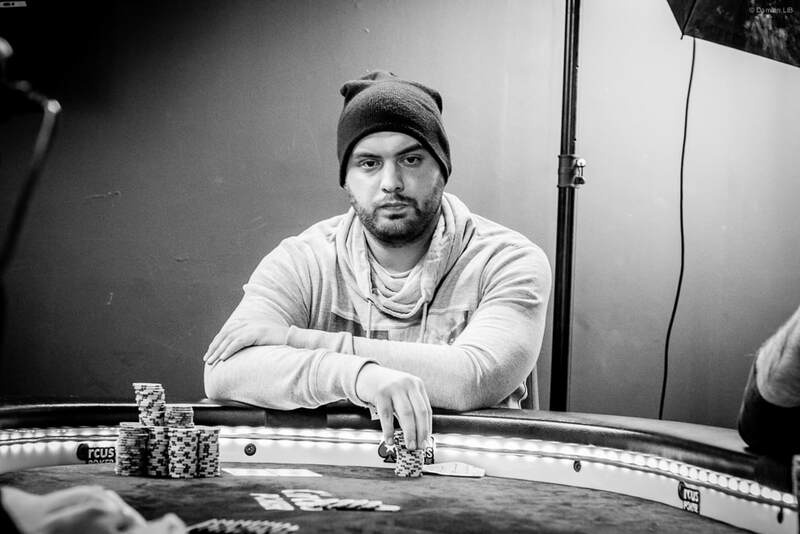 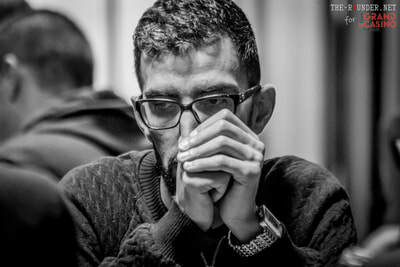 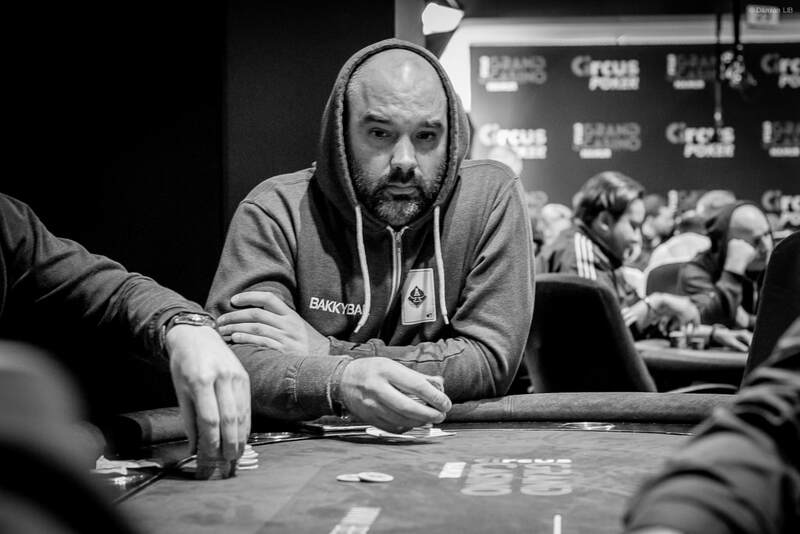 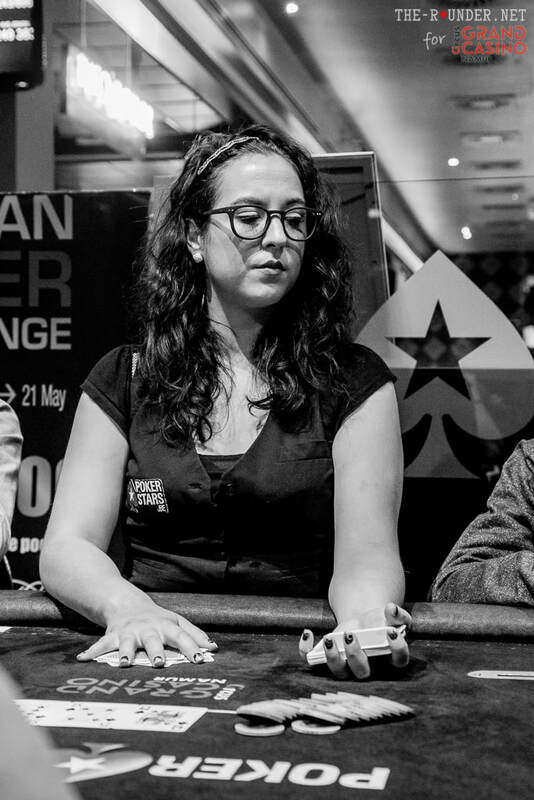 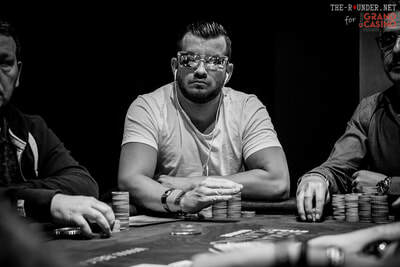 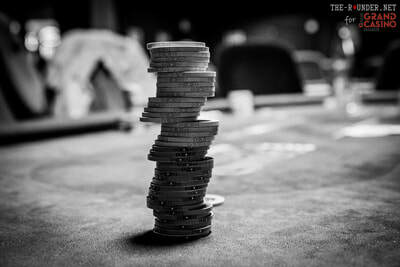 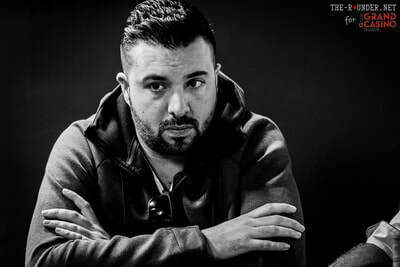 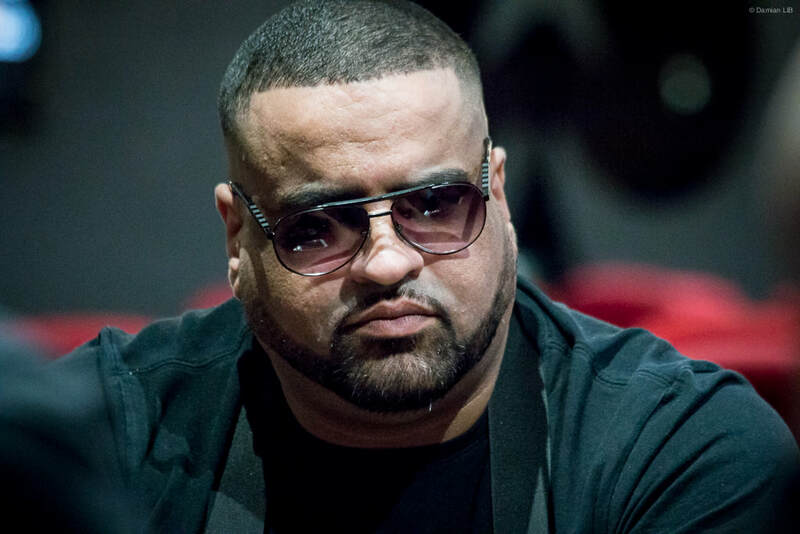 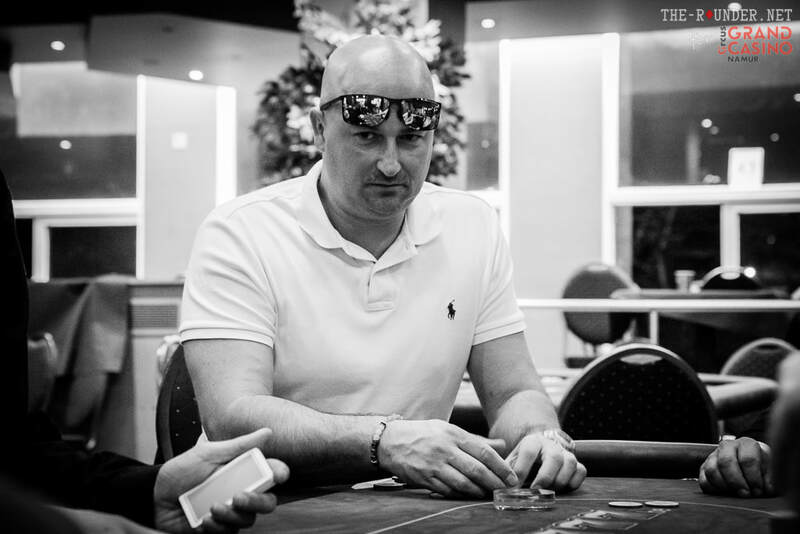 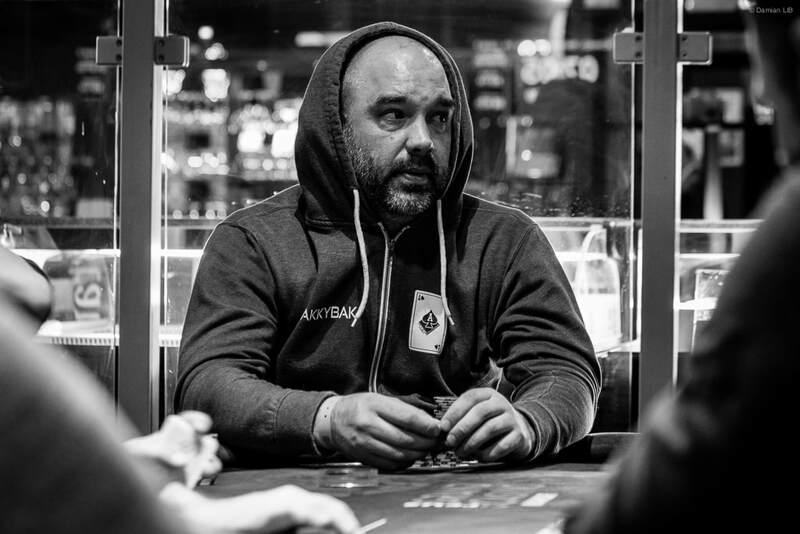 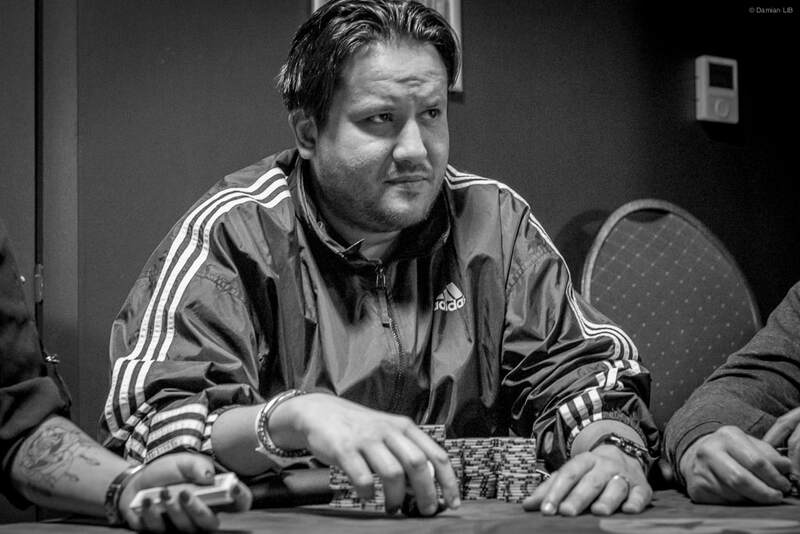 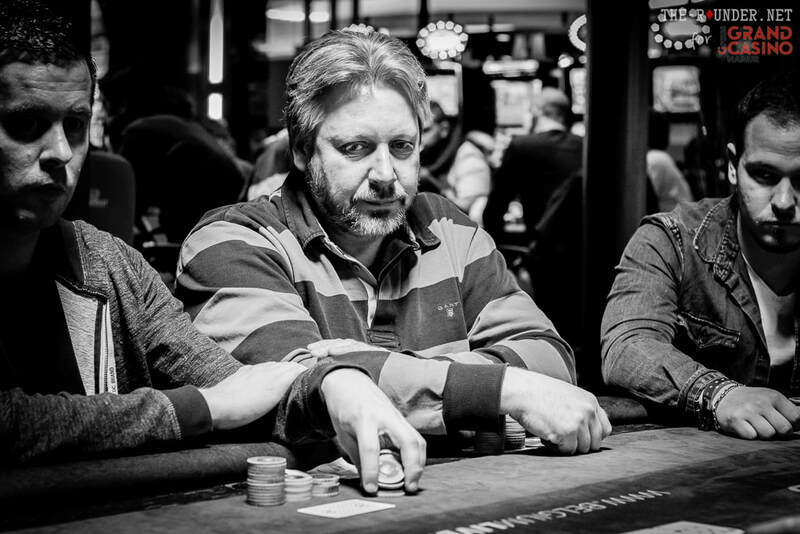 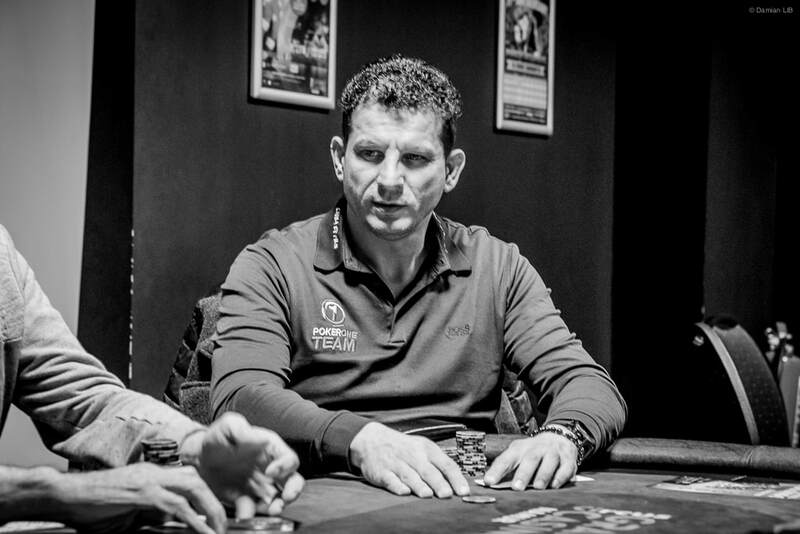 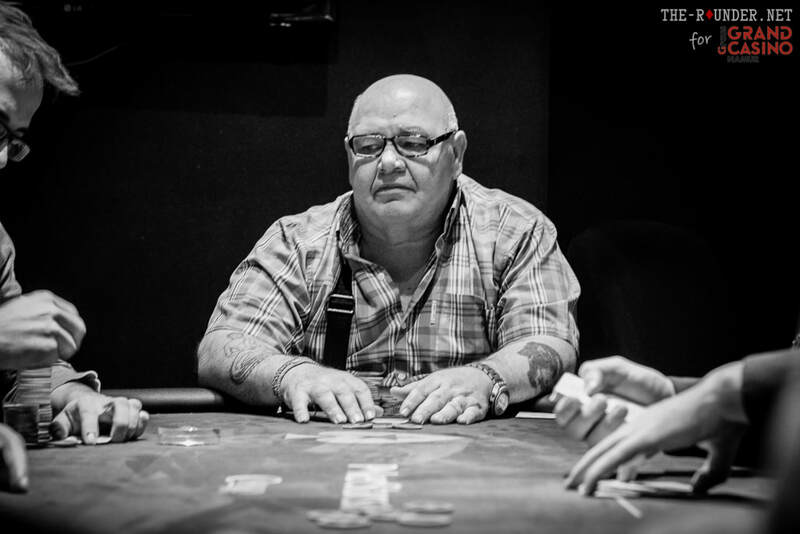 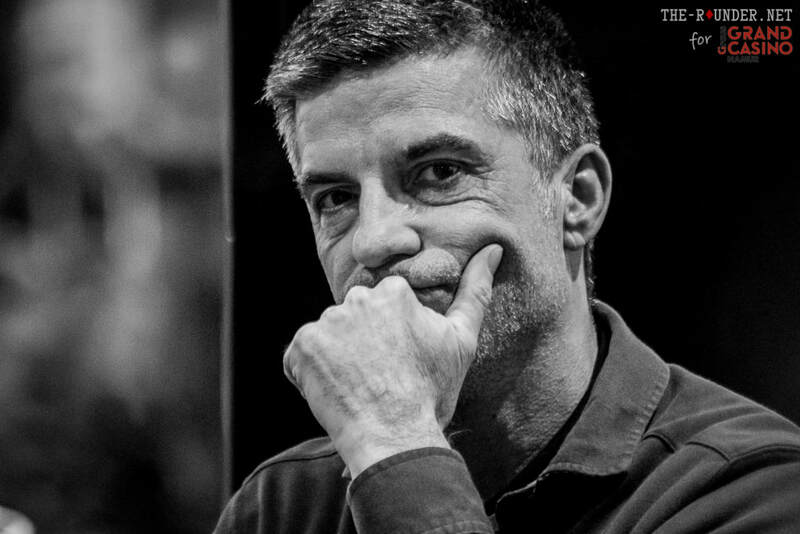 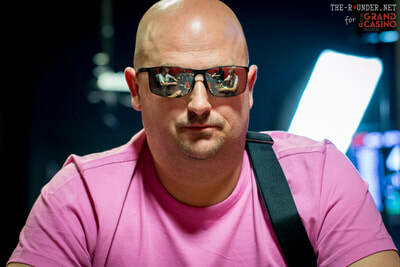 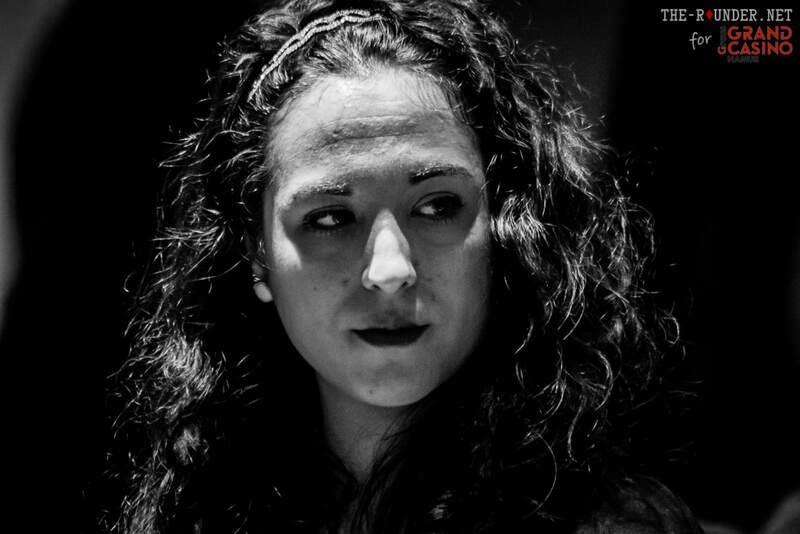 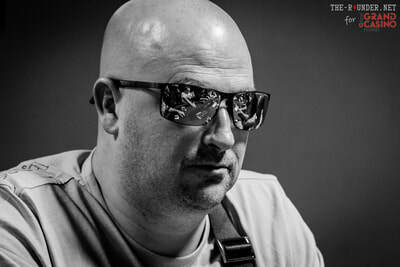 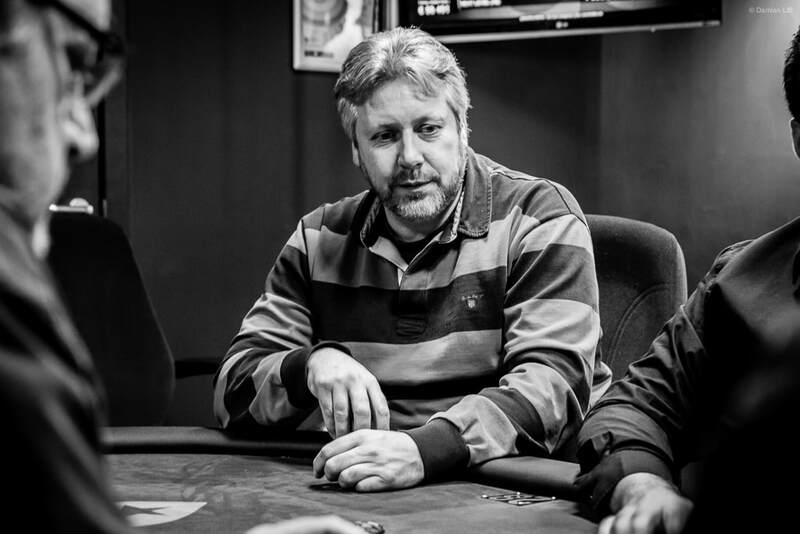 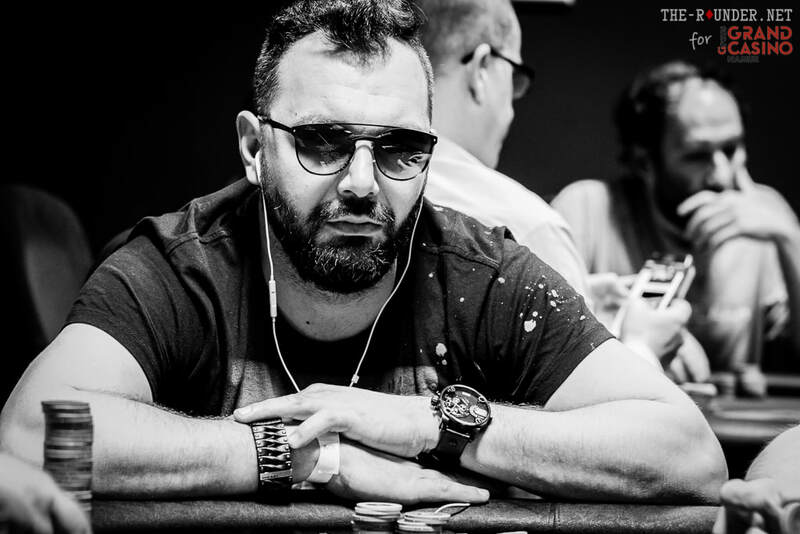 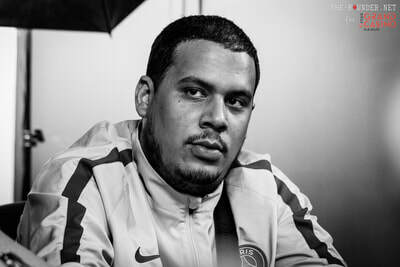 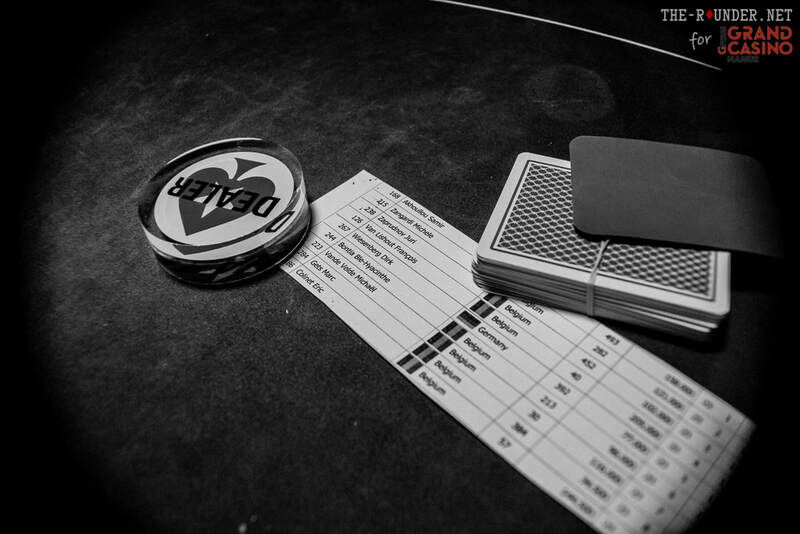 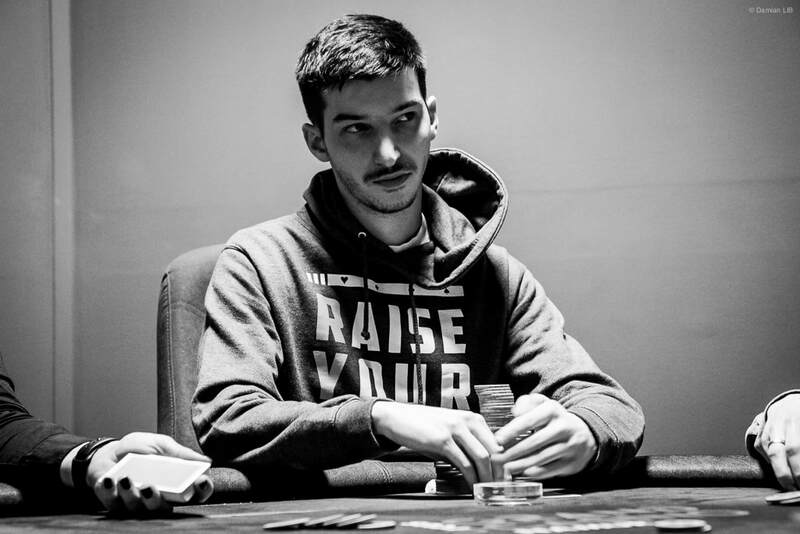 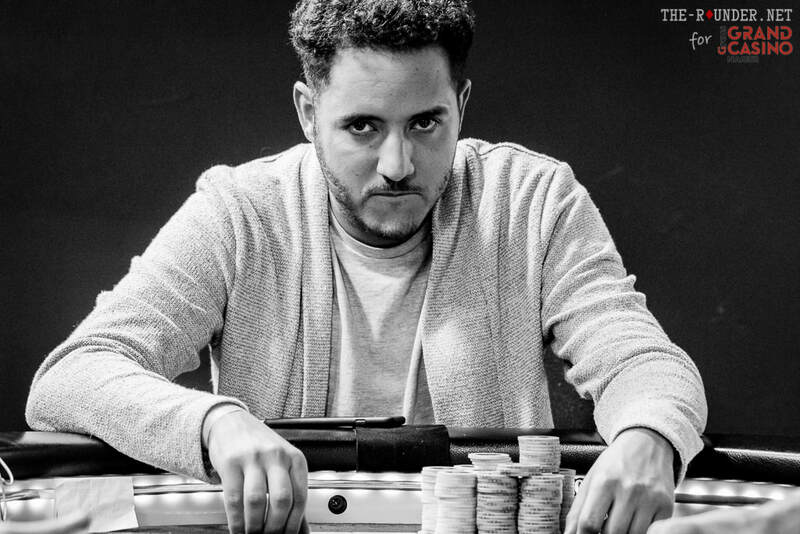 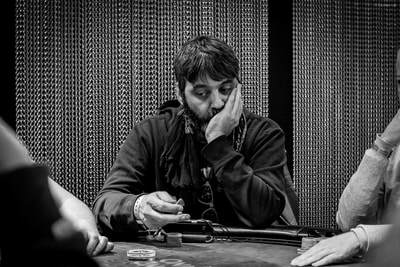 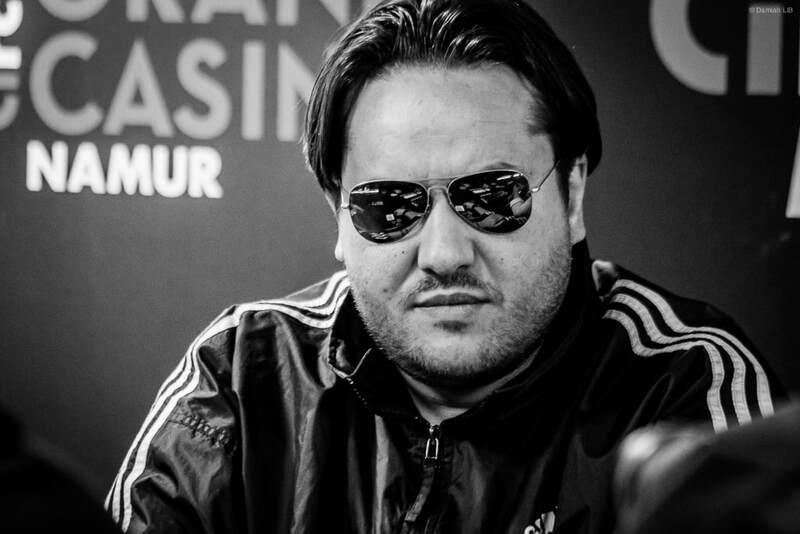 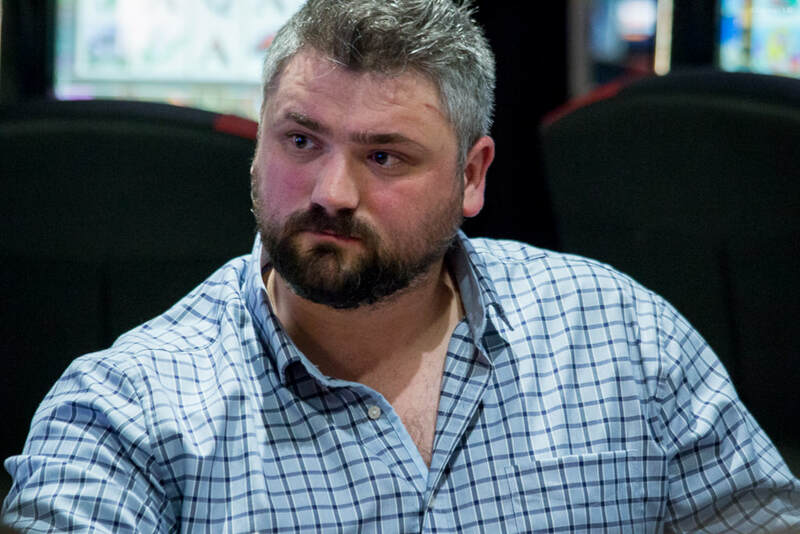 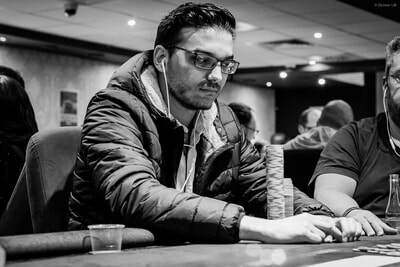 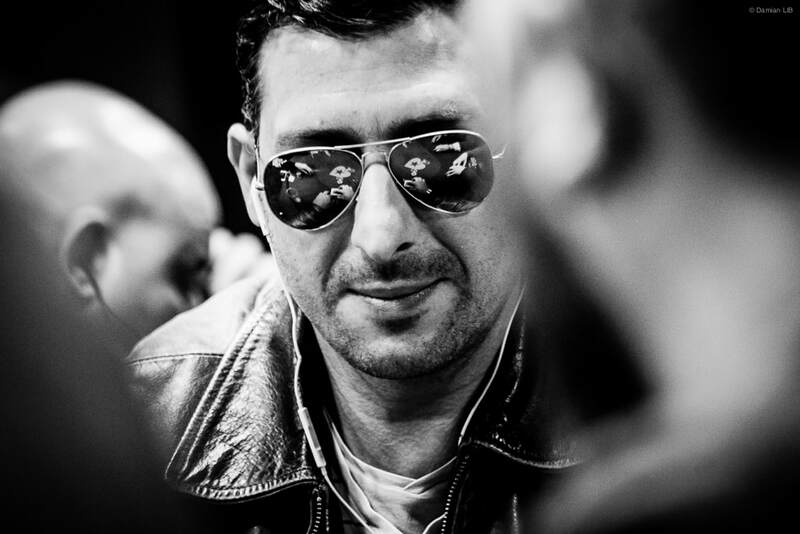 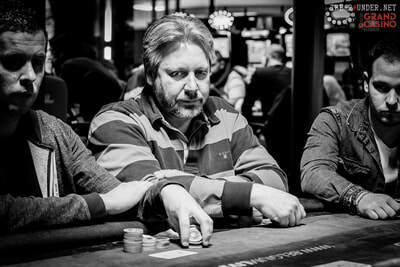 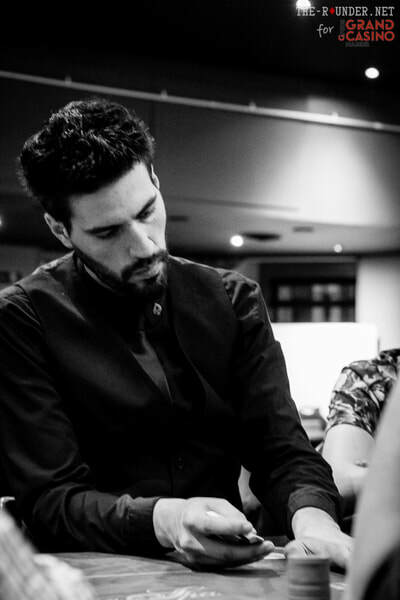 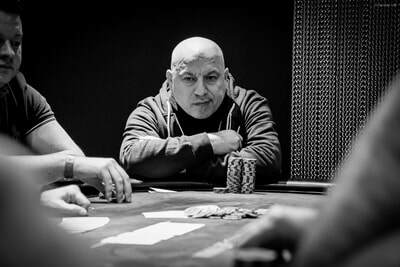 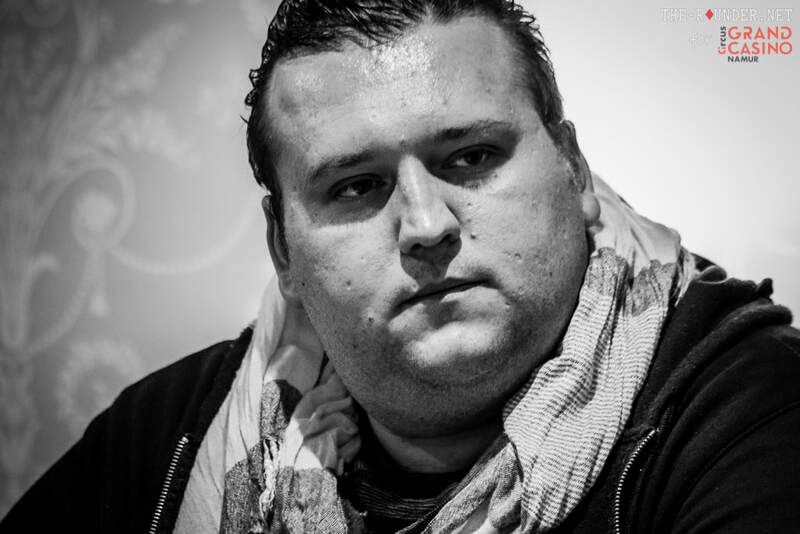 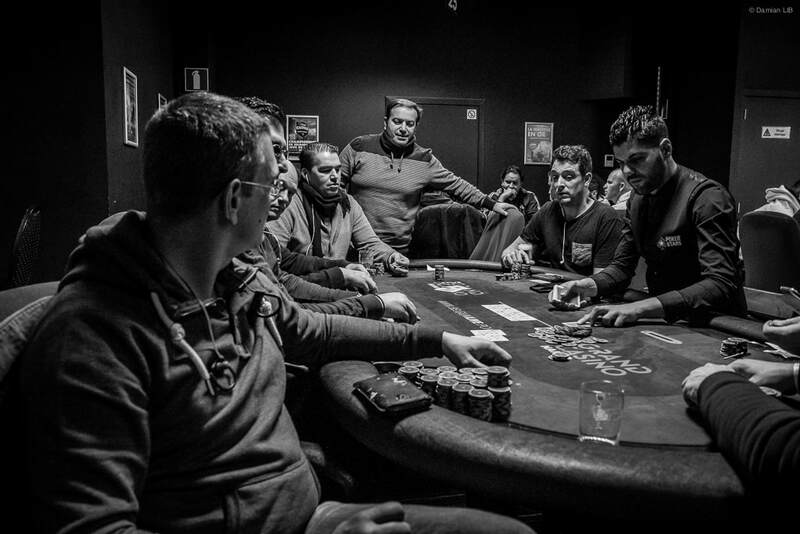 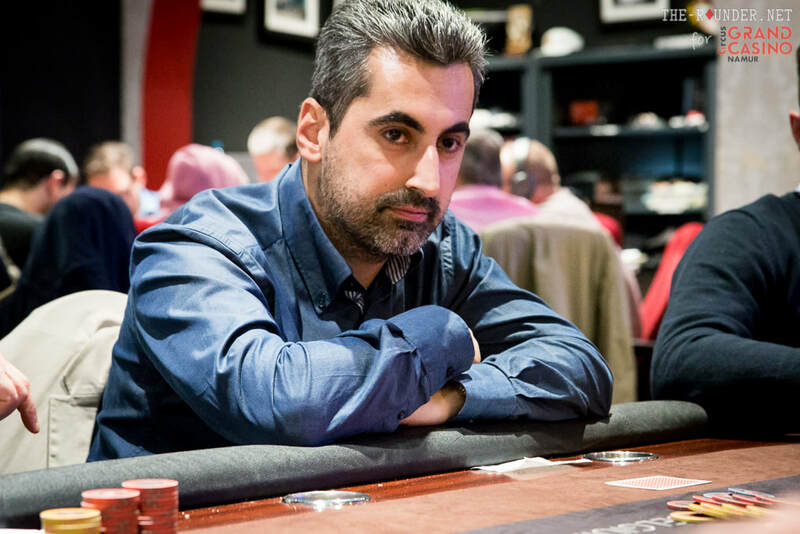 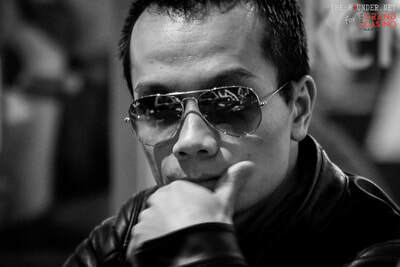 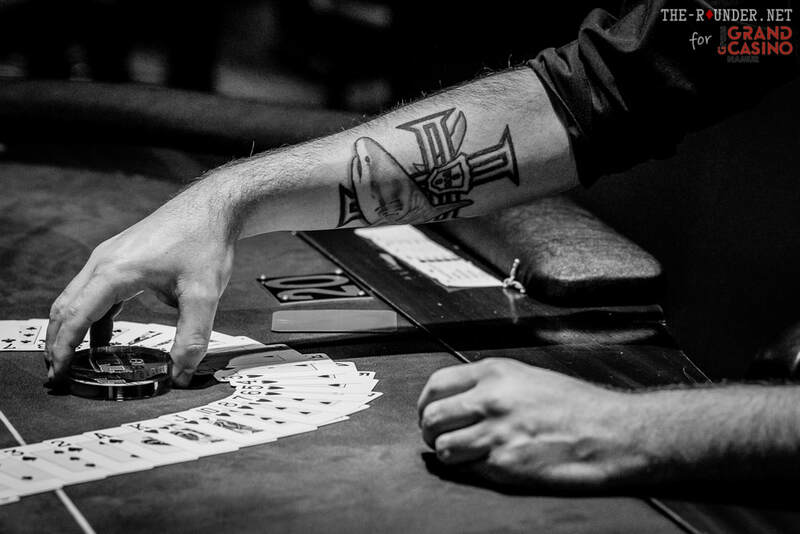 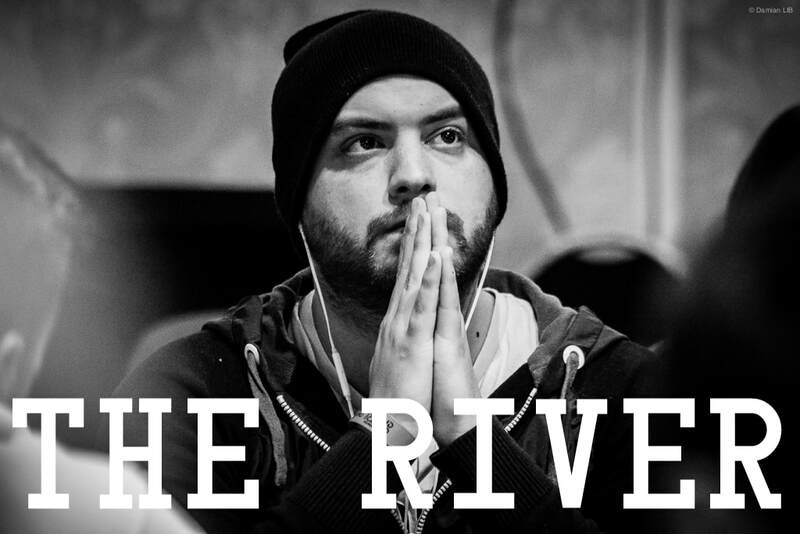 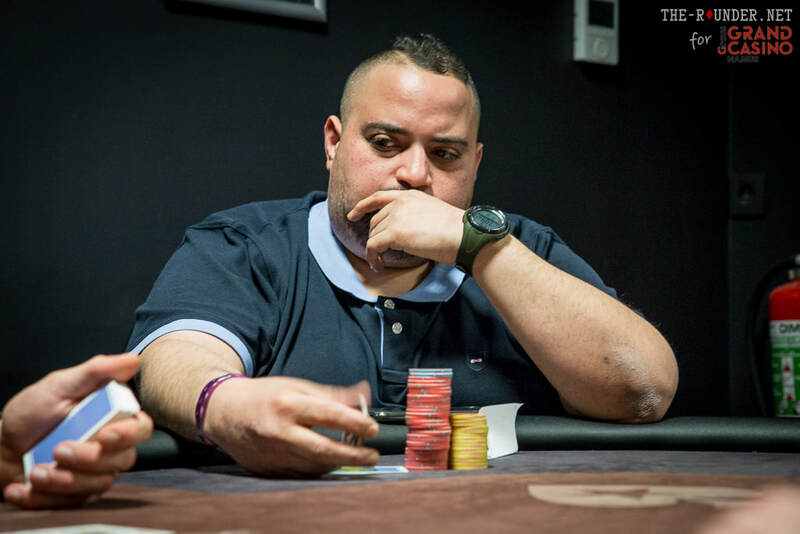 THE-ROUNDER.net together with a bunch of members of the Portugal Poker community have teamed up to set up this solidarity campaign in order support our Portuguese sisters, brothers and friends in these difficult times. View some humbling pictures below taken from a CNN.com report. 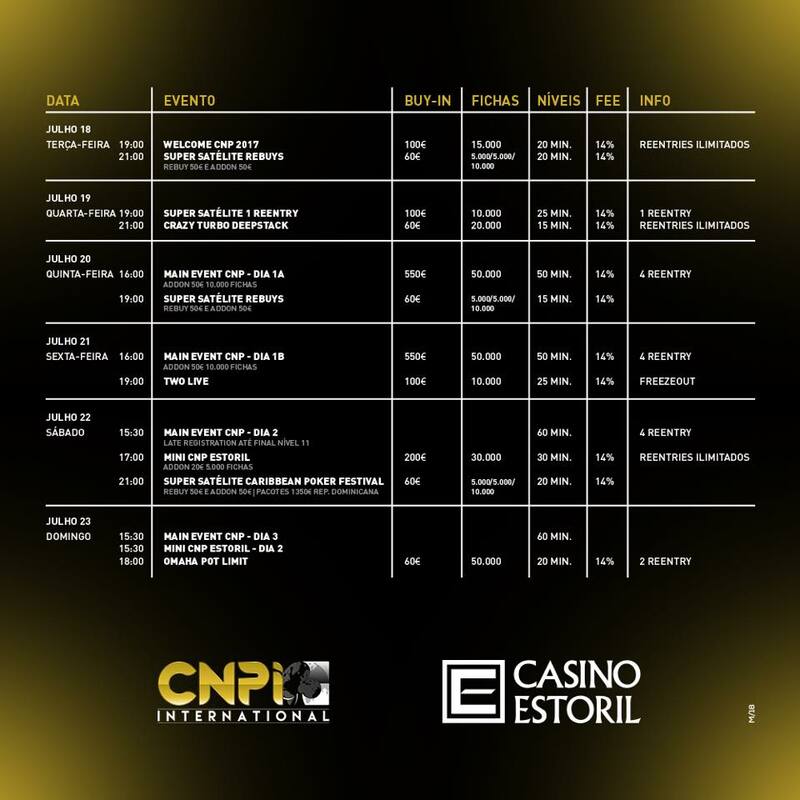 I am flying to Portugal from the 12th to 26th of July to play some cards, visit friends but also to find partners and ideas on who and how to help in an effective way. 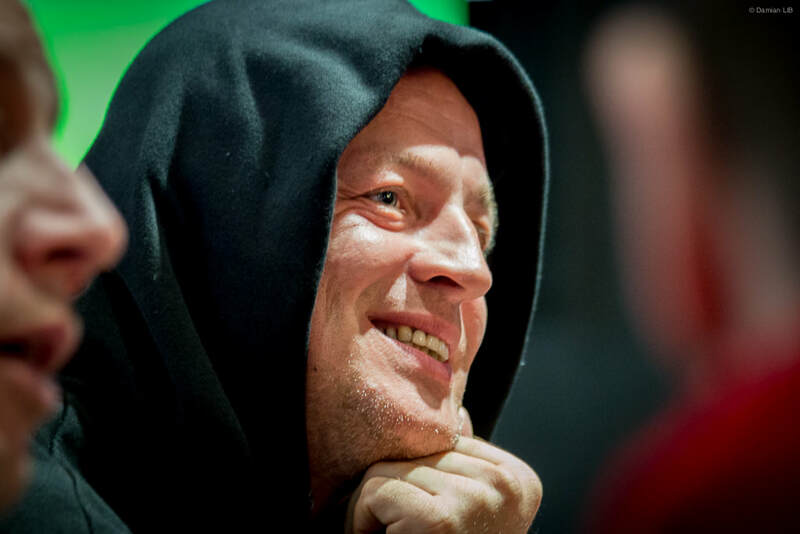 Personally, I will feed the money pot with 100€ to start with and I will give away 5% of my live MTT profit (per tournament, not globally) from June to at least August this year. 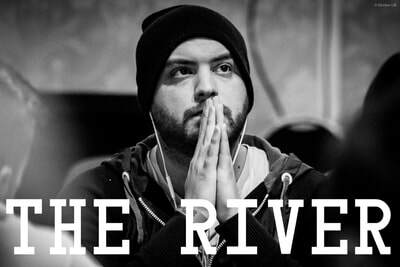 Depending on how the project goes, I might go on with it. 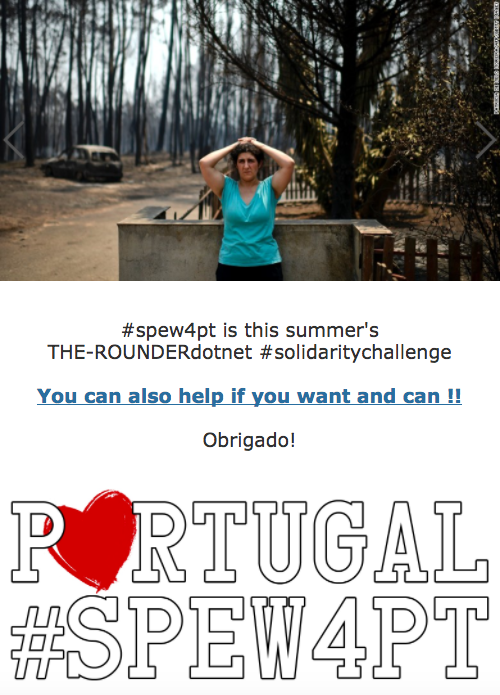 You can all help! 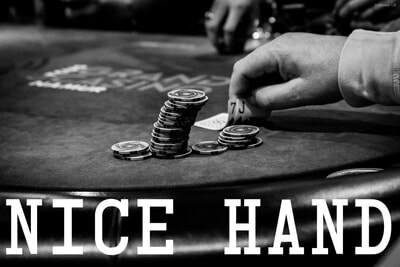 With money, ideas & suggestions, contacts, time ... Every helping hand is warmly welcome! 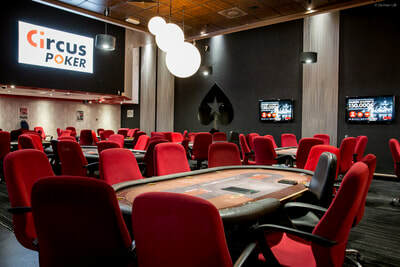 I don't know whether I will be able to make it this time but the Spanish Poker Festivals for sure are always a lot of fun and good value. 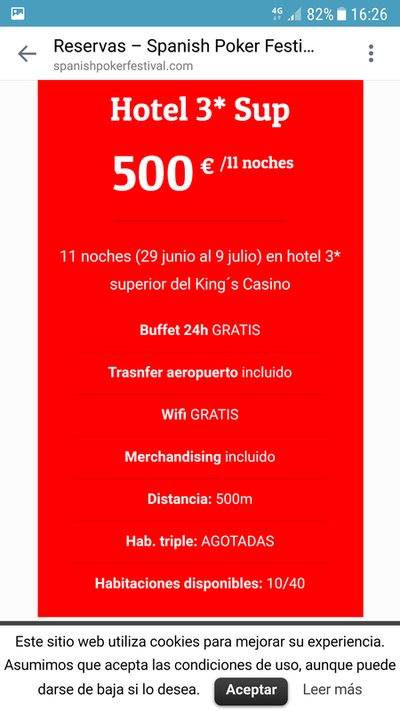 The party will on again from the 29th June to the 10th July OLE!! and a buddy asked me to share their last minute offer for a bunch of available rooms they have left. 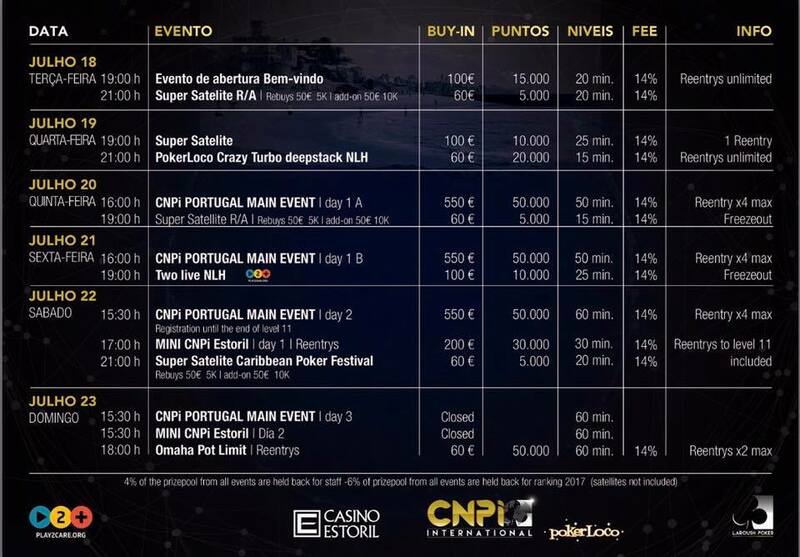 If interested, please get in touch with José Cabral. 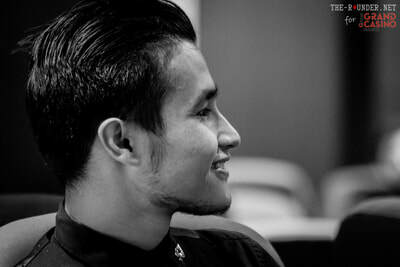 He will take good care of you and of your booking. 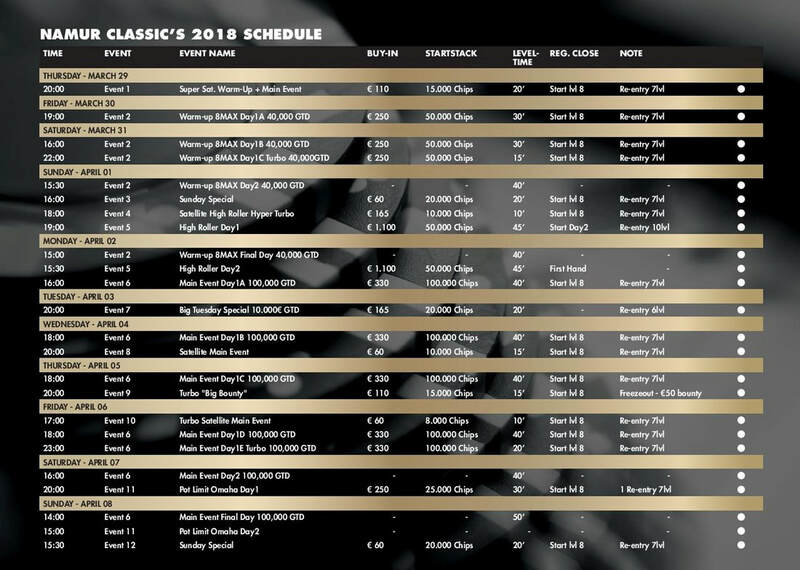 Detailed tournament info on the King's website.